Trainings are conducted using the latest scientific developments and innovative teaching methods. 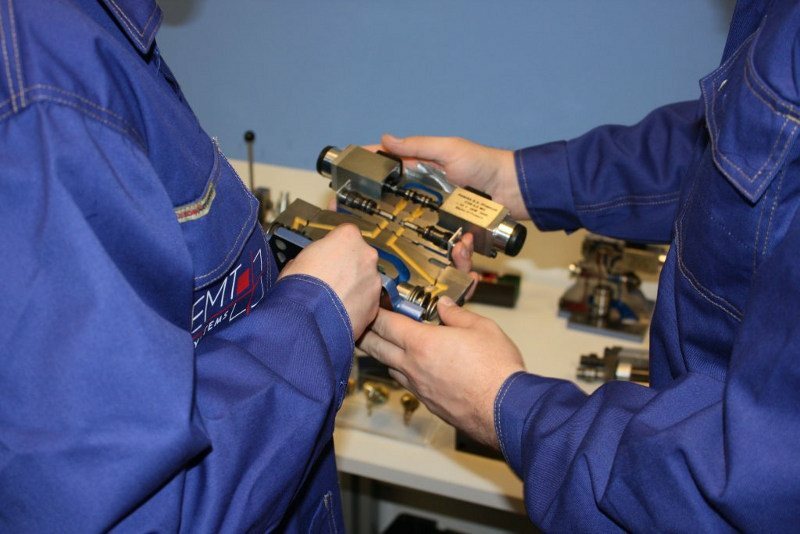 Training sessions take place in laboratories and training rooms fitted with professional equipment and teaching aids. 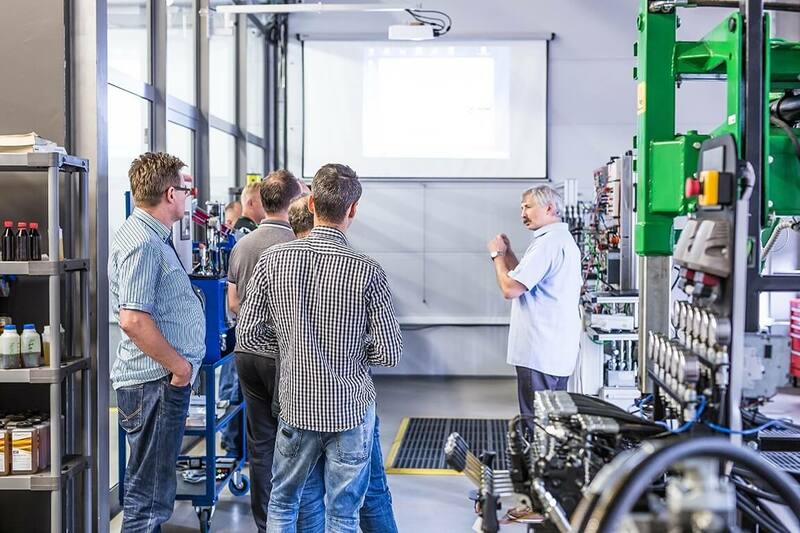 Training sessions comprise workshops and lectures. 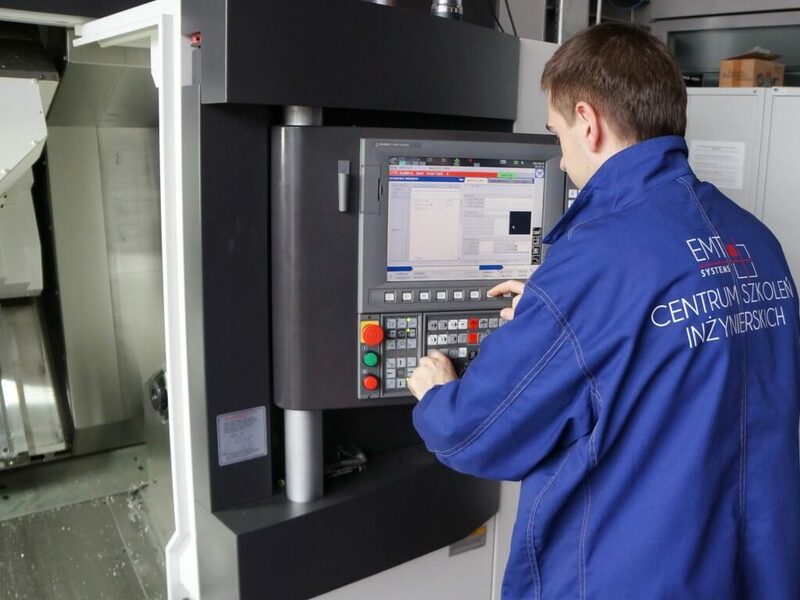 Under supervision of the tutor, participants have access to advanced machines, devices and systems included in the course program. 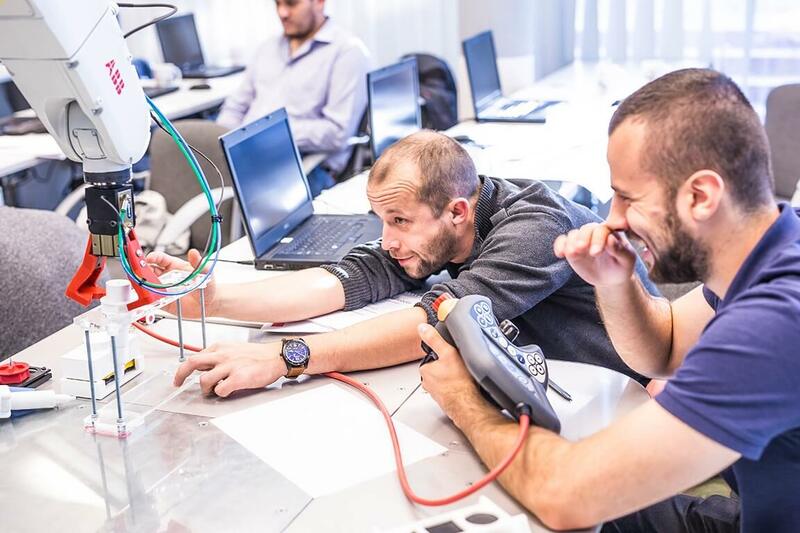 During the classes, participants perform numerous exercises and practice their technical skills. 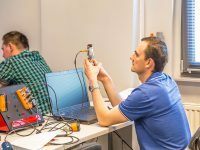 Nine modern training rooms featuring the equipment necessary to teach particular subject areas and social space, where participants spend time during coffee breaks and lunch. 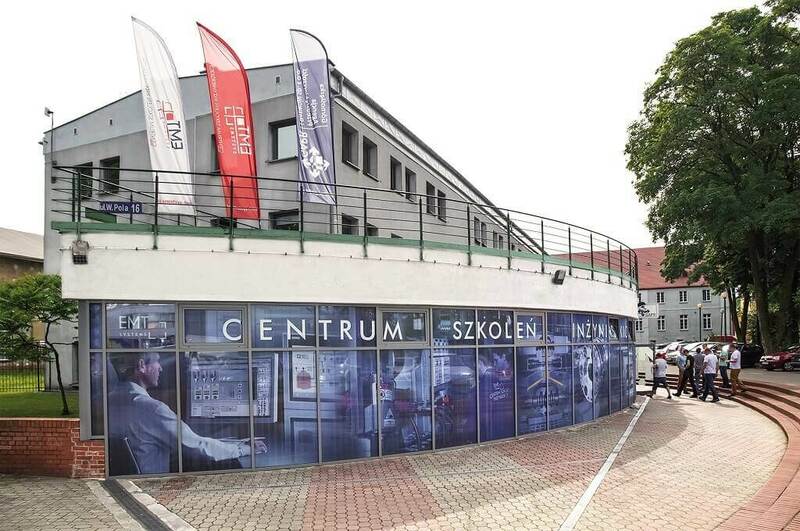 The Center is located in the building of The Science and Technology Park TECHNOPARK, a modern center whose main activity is creation and promotion of innovative, advanced and ultra-modern technology companies. 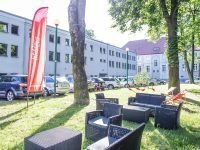 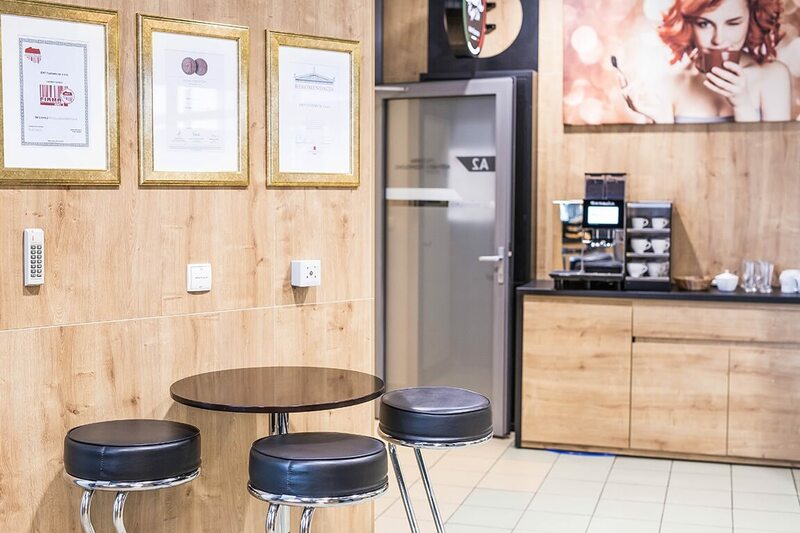 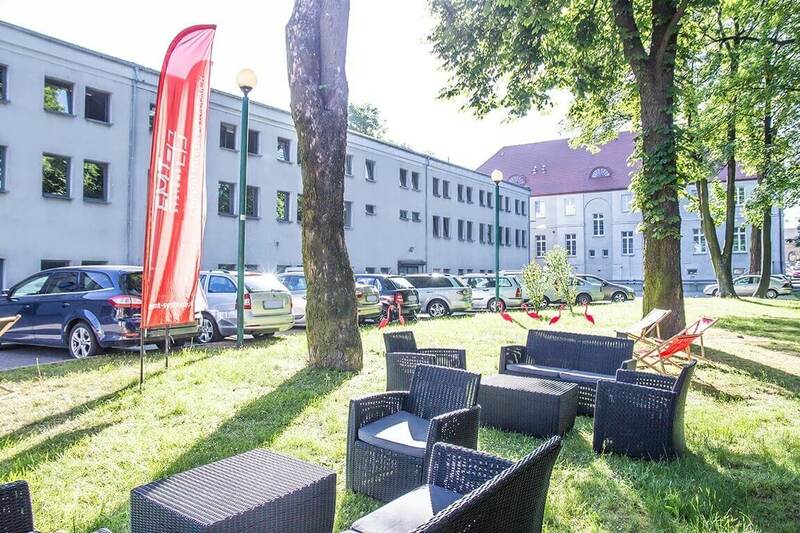 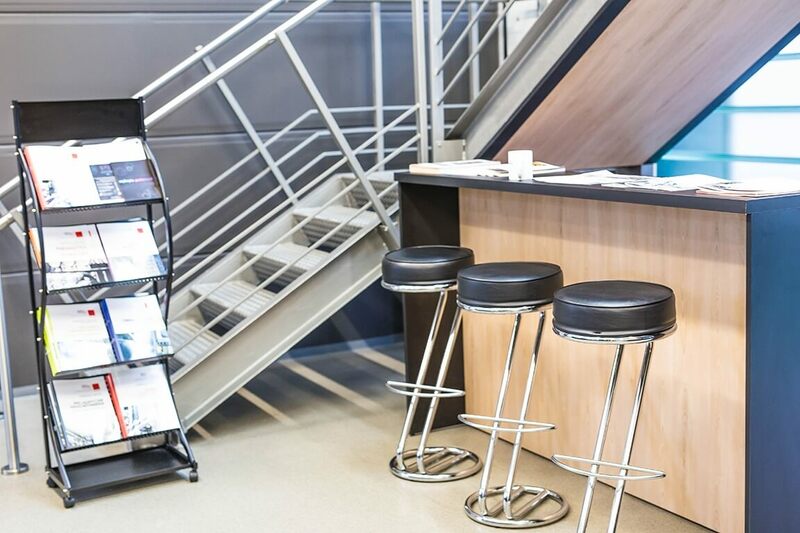 Our other seat is located in the Local Development Agency – entrepreneurship and business innovation center. 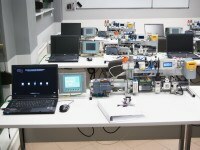 Training rooms and laboratories are air-conditioned, large and spacious. 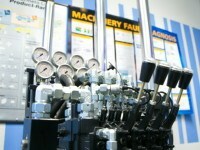 Working positions for students are expertly equipped. 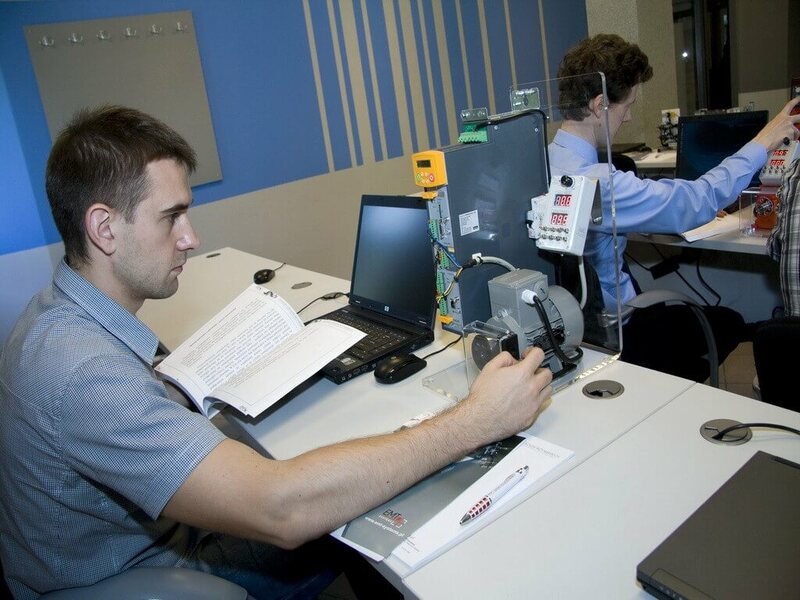 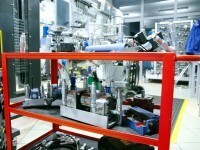 Each participant has access to computers with simulation software and the latest product catalogs, sections of pneumatic components, and richly equipped laboratories used for practical exercises. 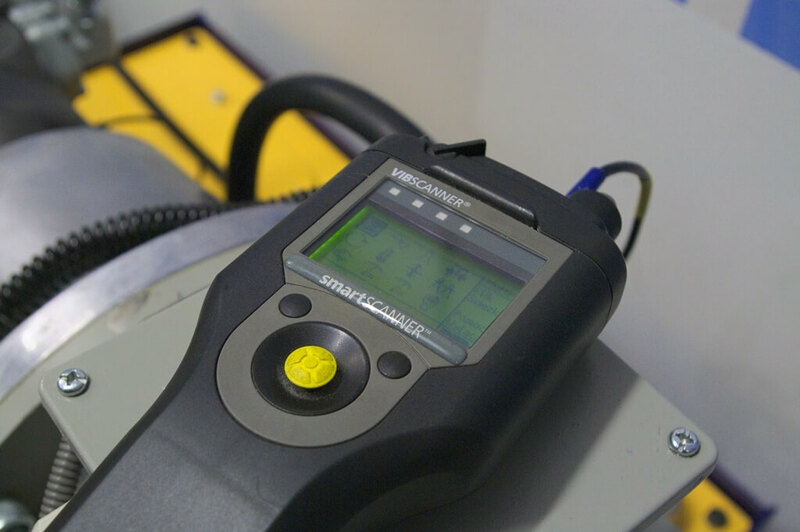 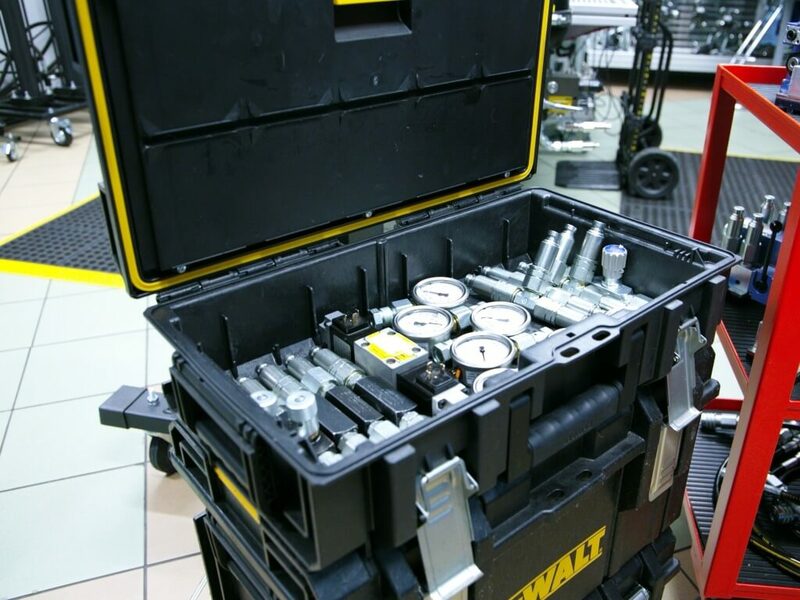 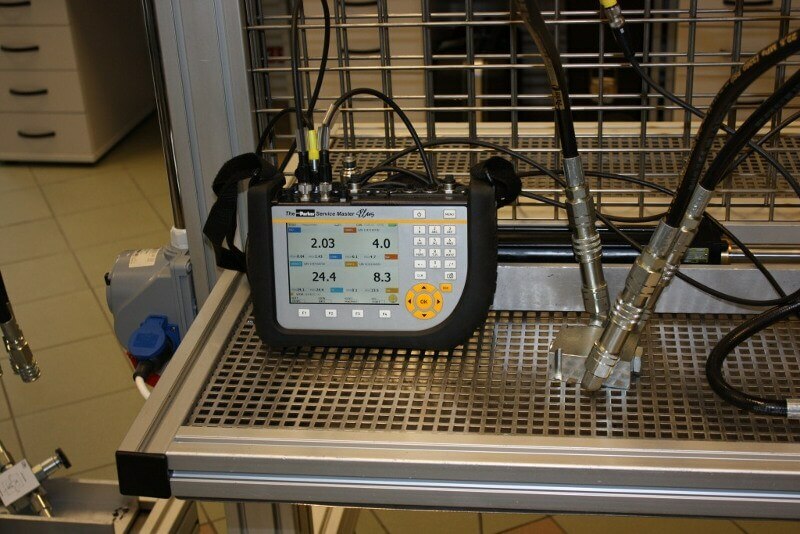 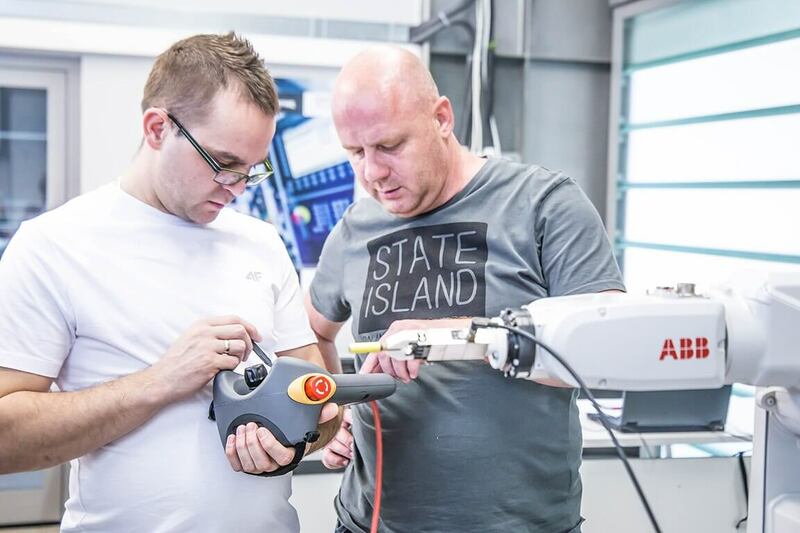 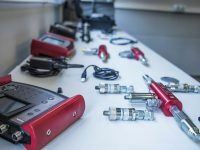 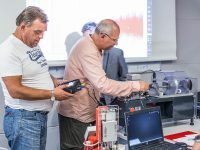 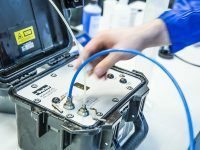 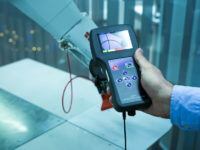 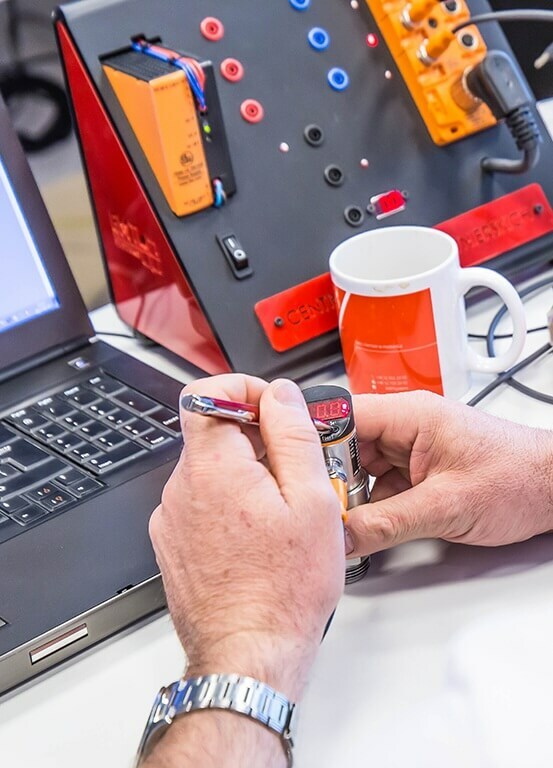 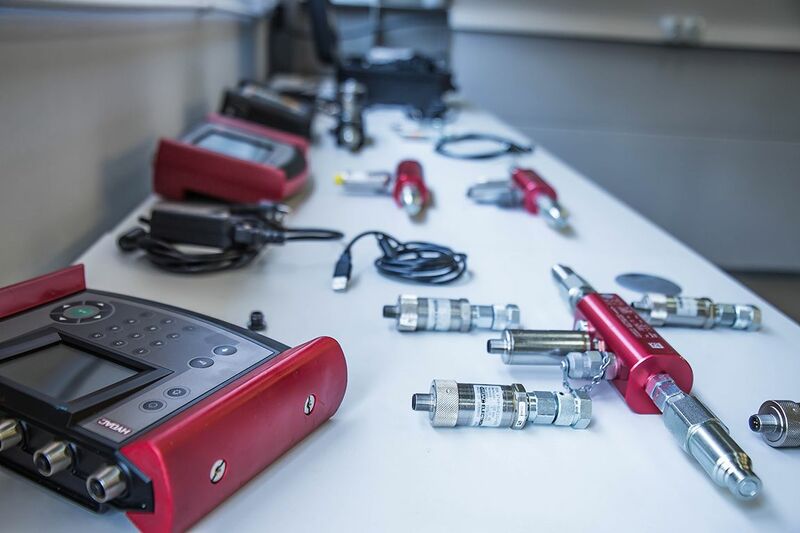 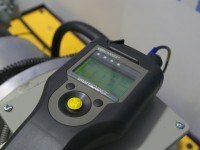 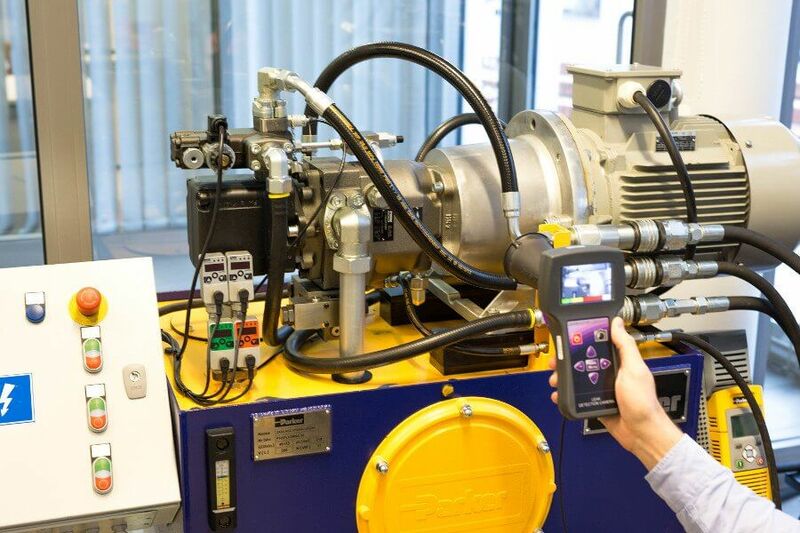 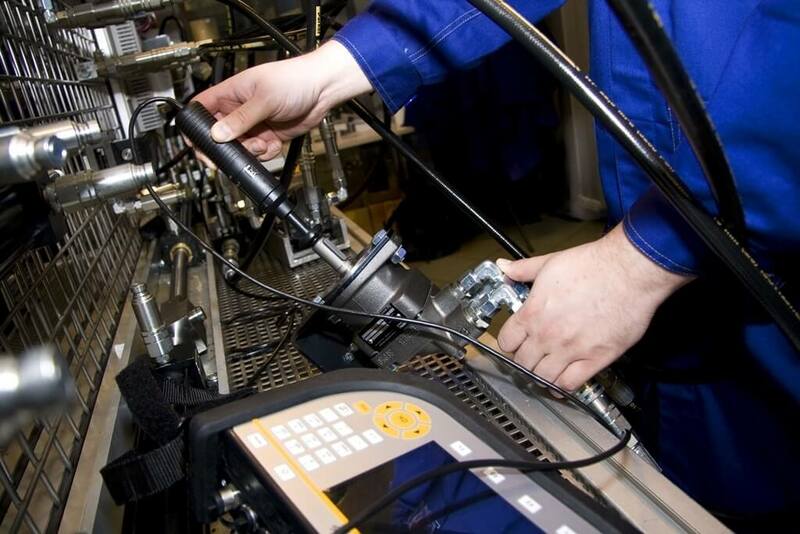 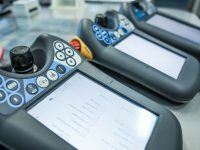 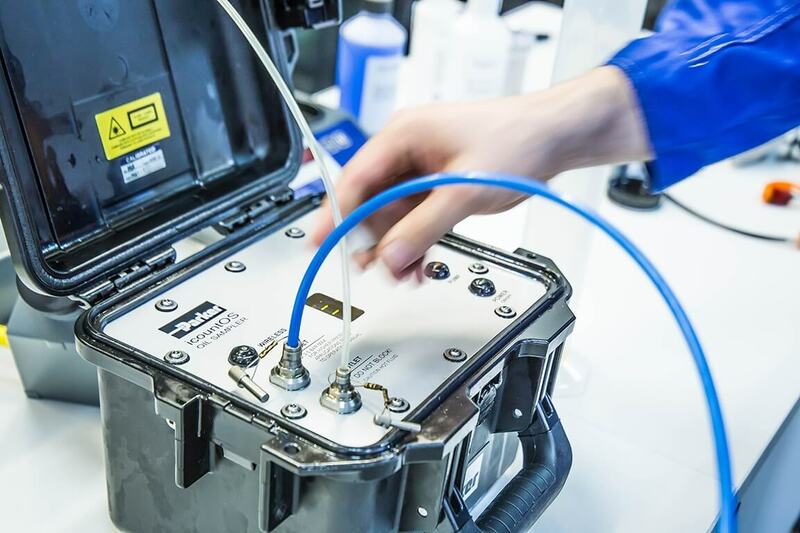 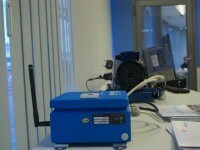 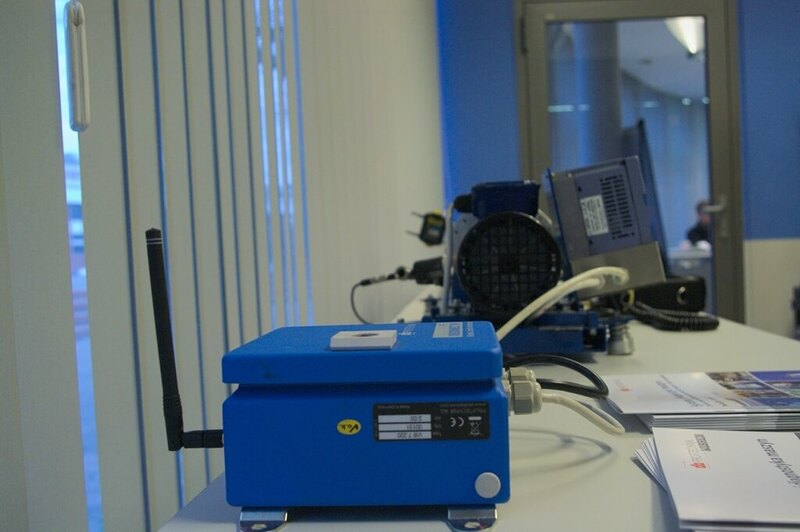 During our training courses, we also demonstrate operation of the leak detector for pneumatic installations. 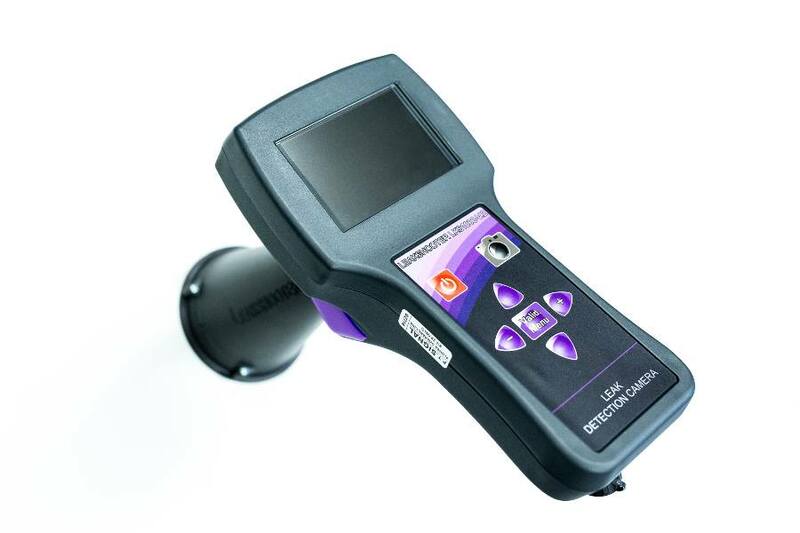 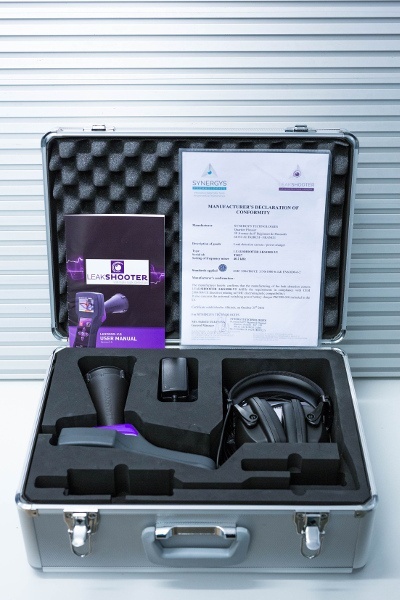 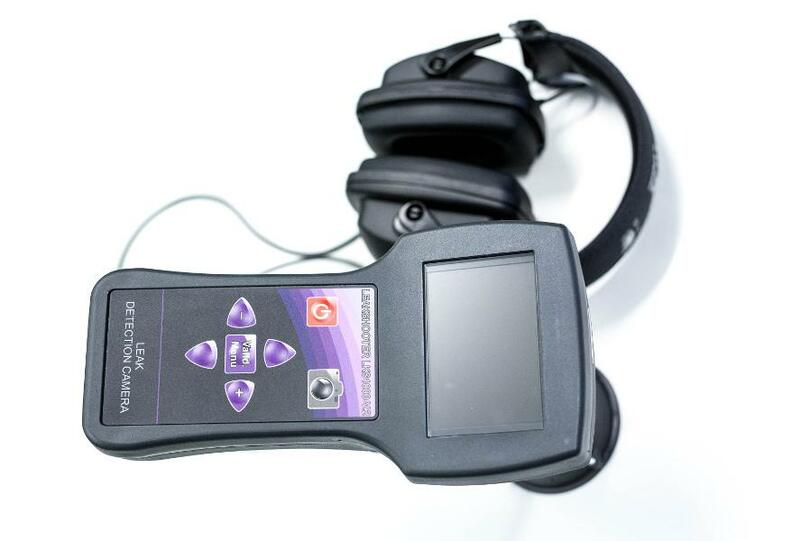 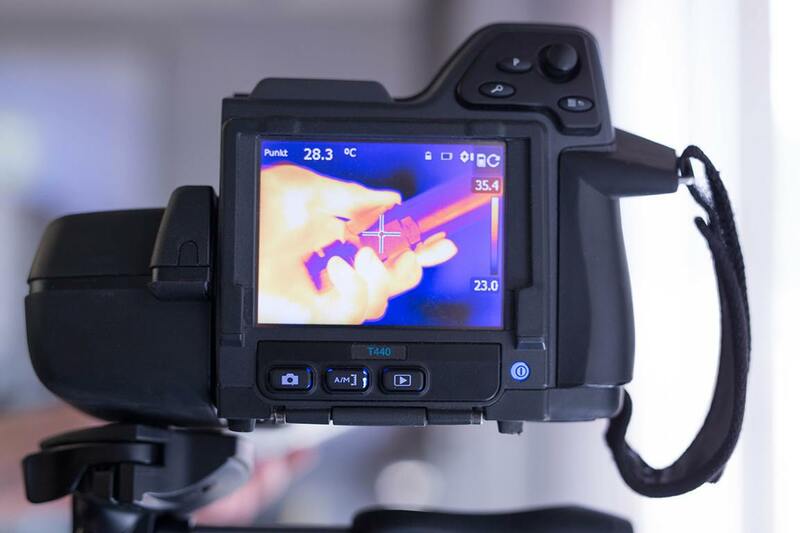 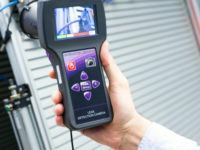 The device that we use is Leakshooter – ultrasonic leak detector with the embedded camera. 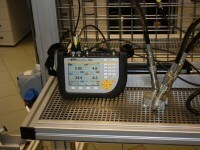 It enables leak detection of any pressurised gas. 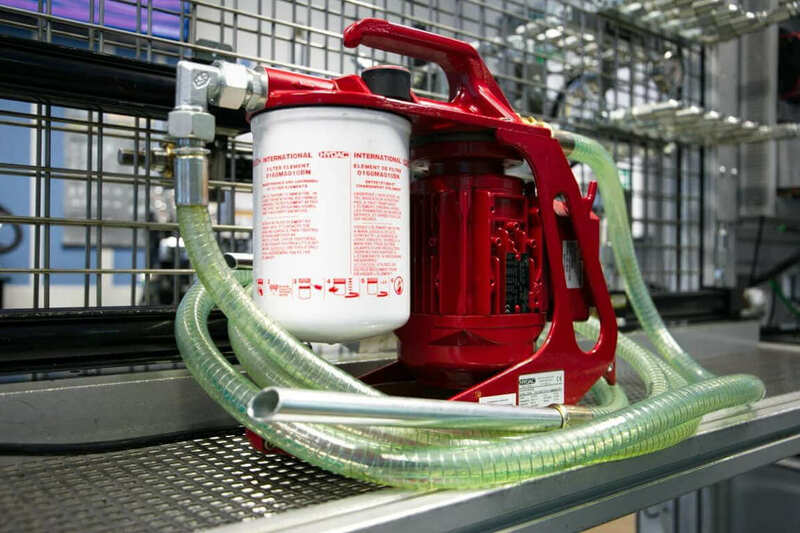 Perfect also for vacuum installations. 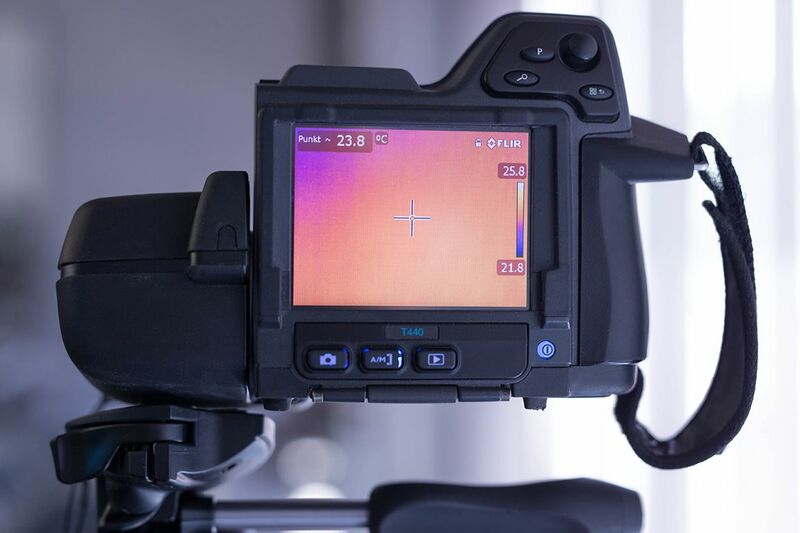 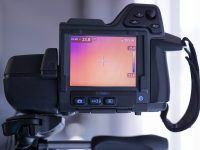 The camera enables finding precise location of leak thanks to the color coded indicator. 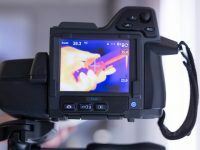 It is possible to take a photo of the leak location and then download it to your PC for further use. 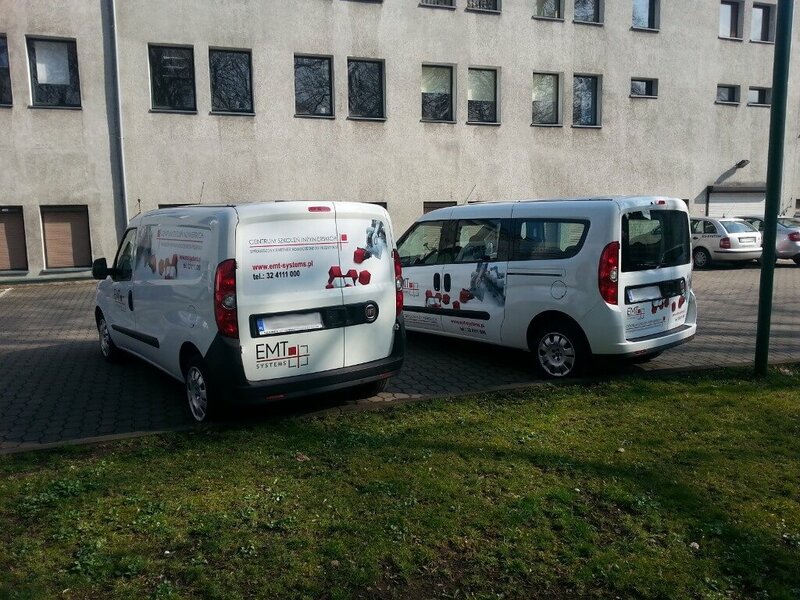 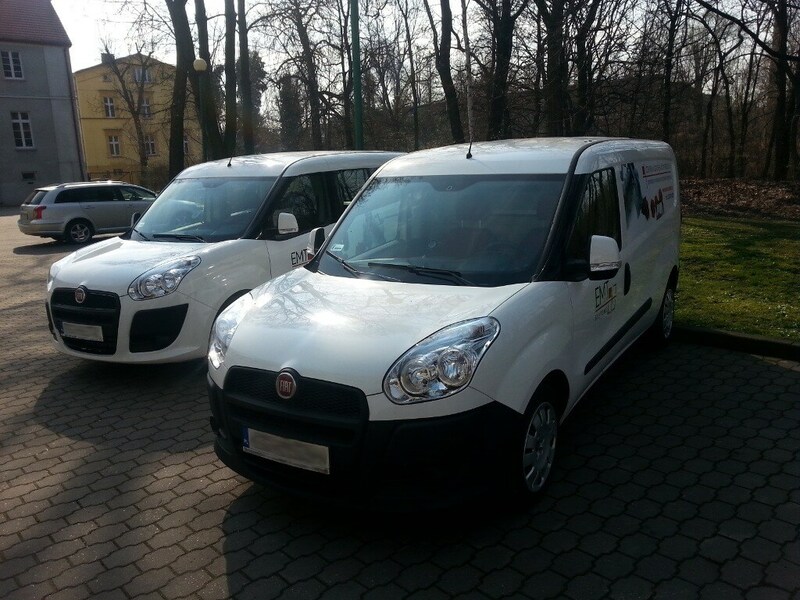 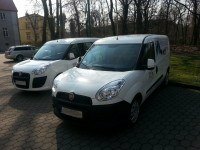 We have our own car fleet and mobile units for basic exercises and individual assembly of the systems. 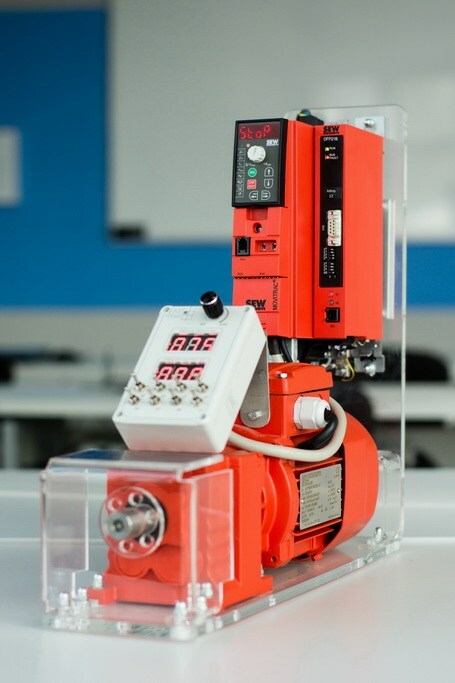 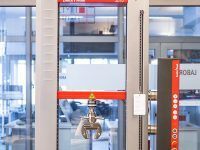 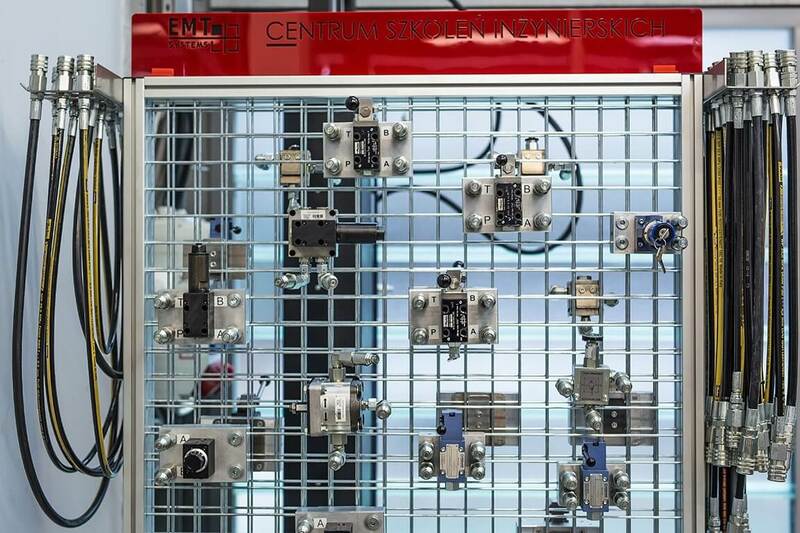 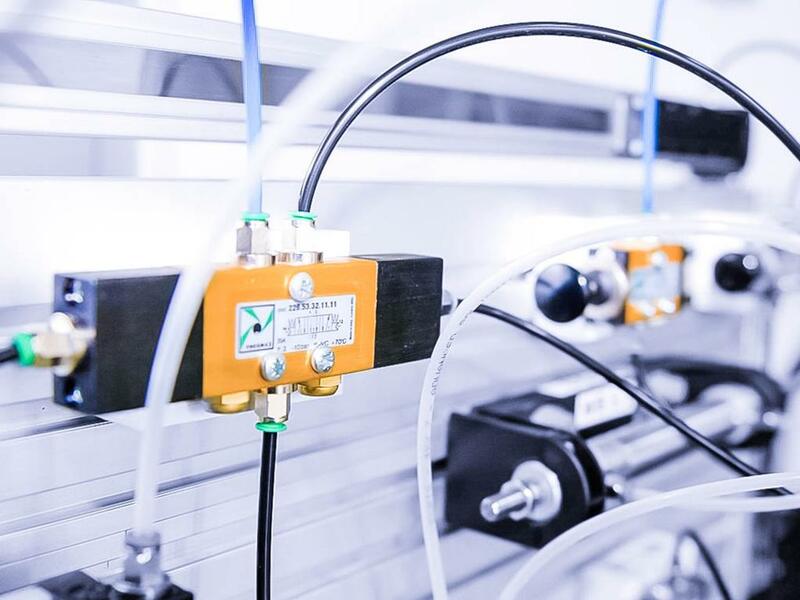 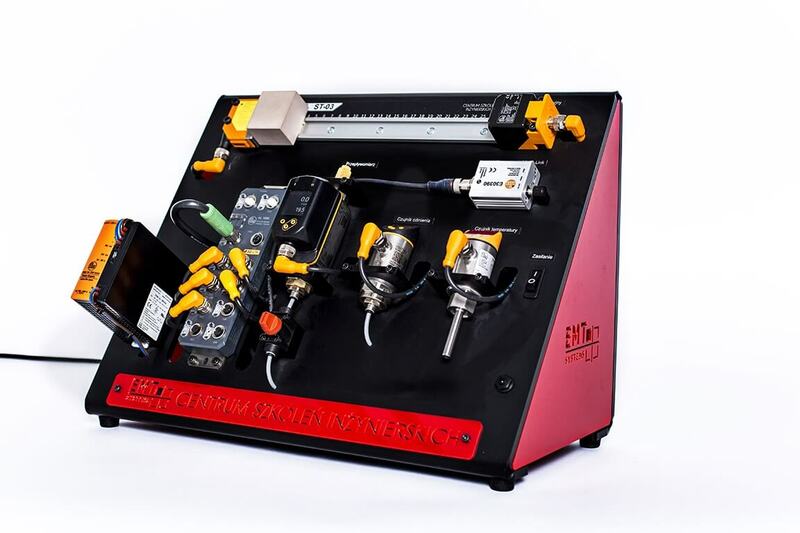 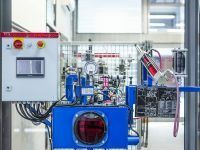 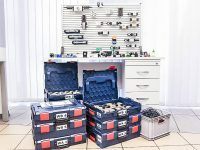 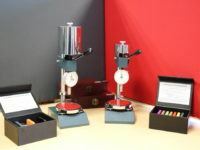 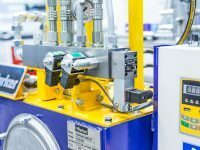 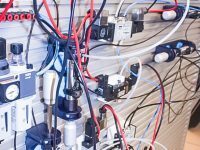 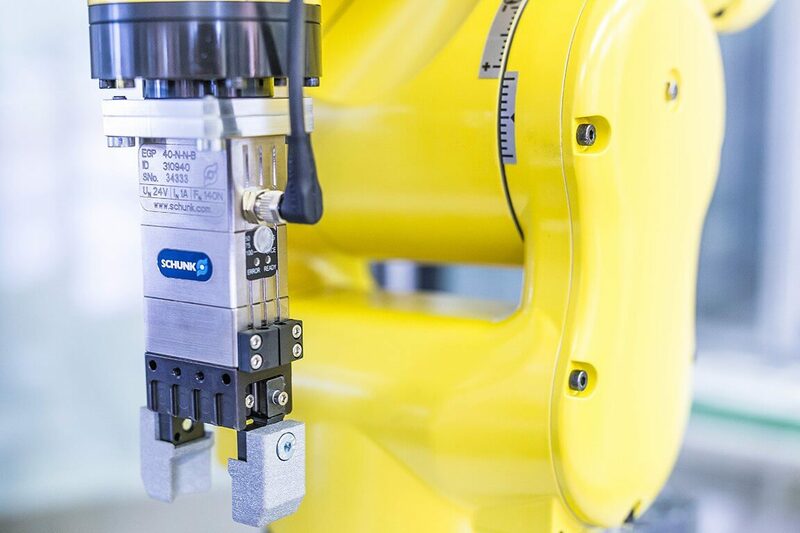 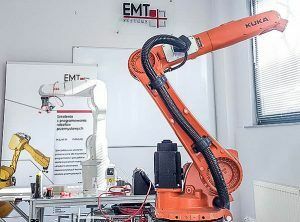 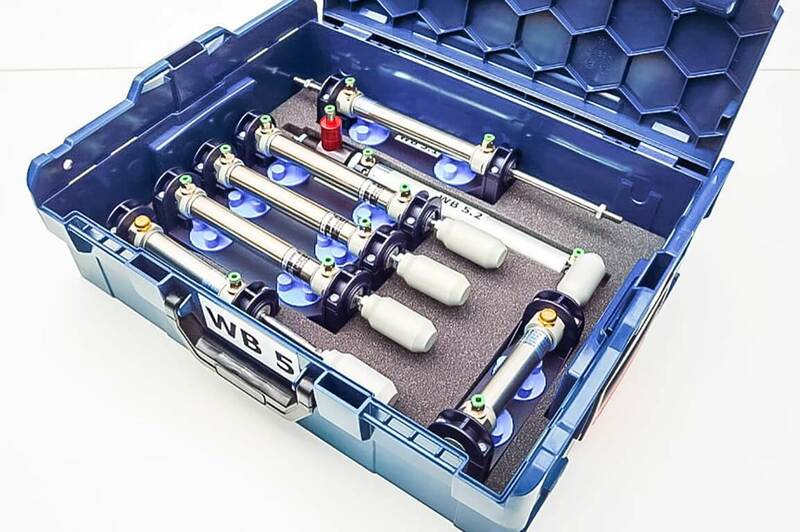 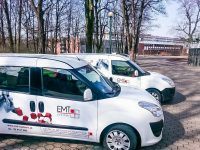 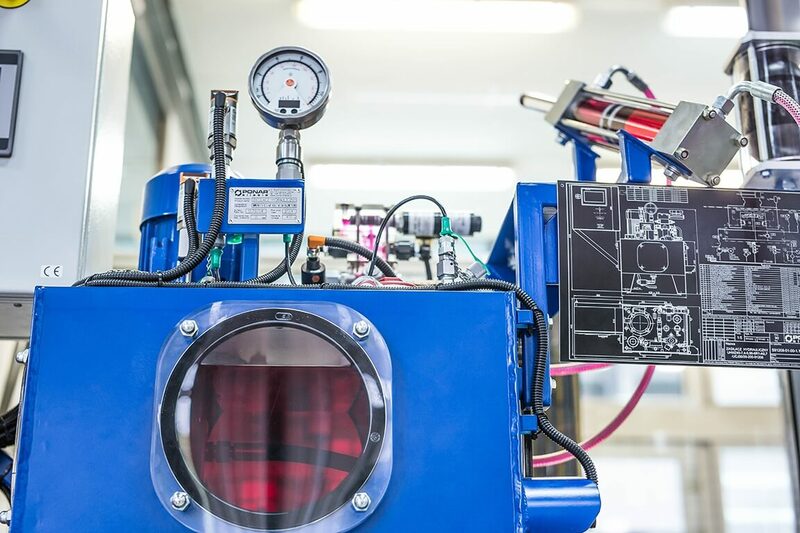 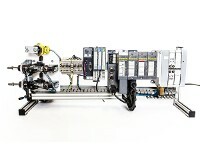 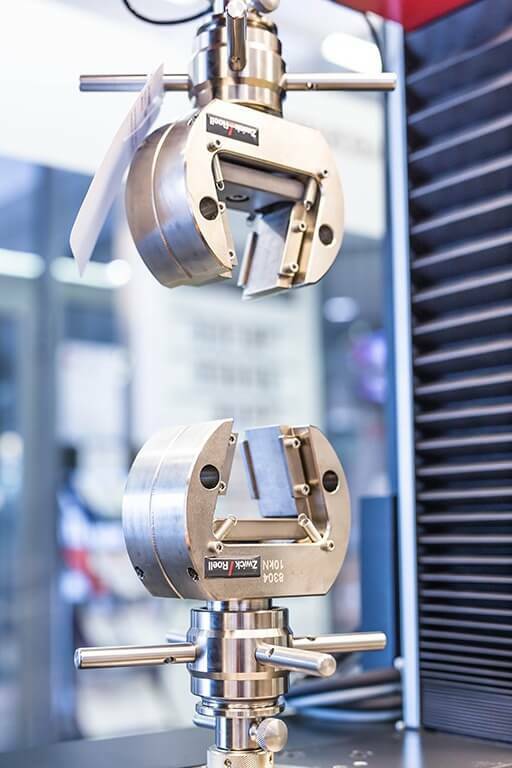 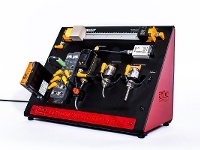 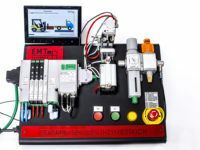 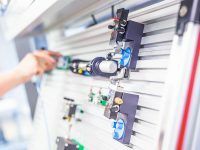 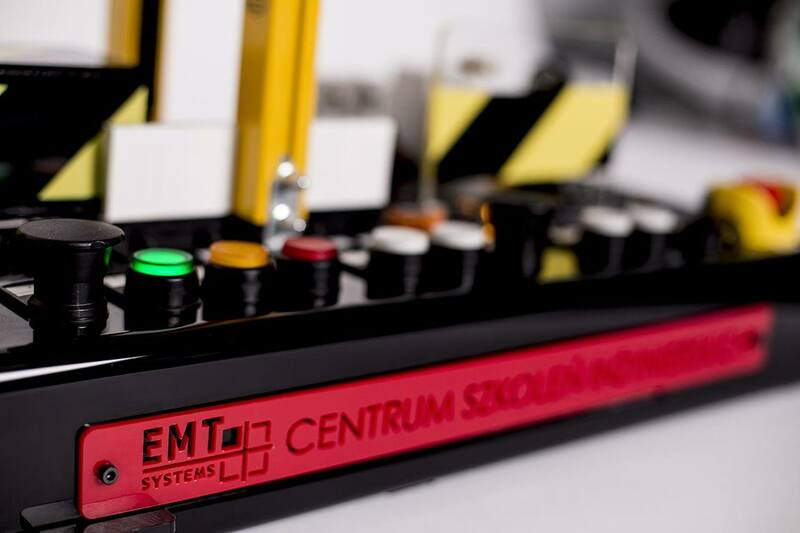 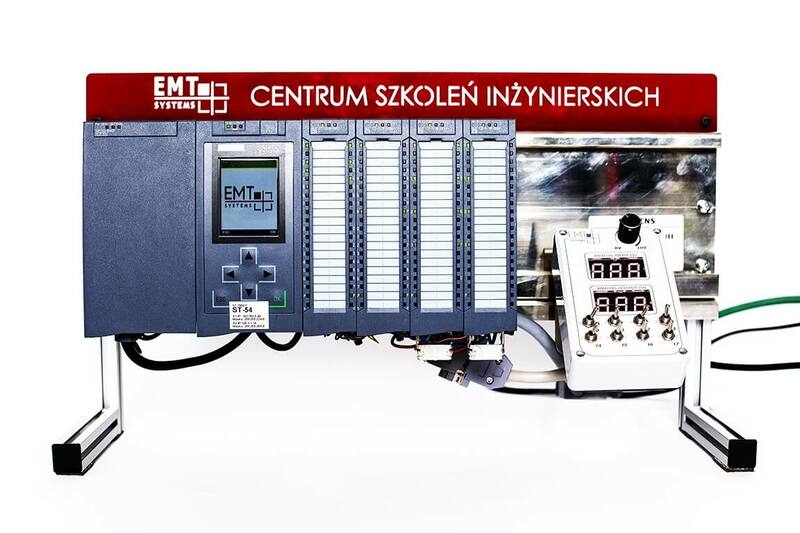 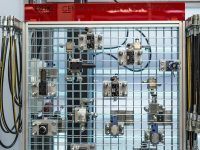 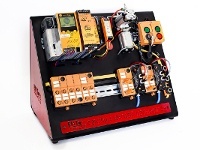 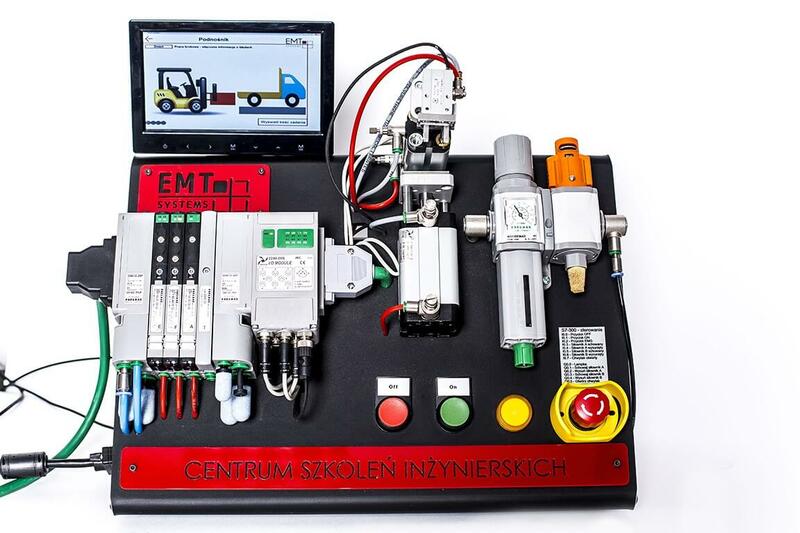 Their sophisticated design and specially arranged functionality enable the realization of top quality training outside the EMT-Systems laboratory of industrial pneumatics. 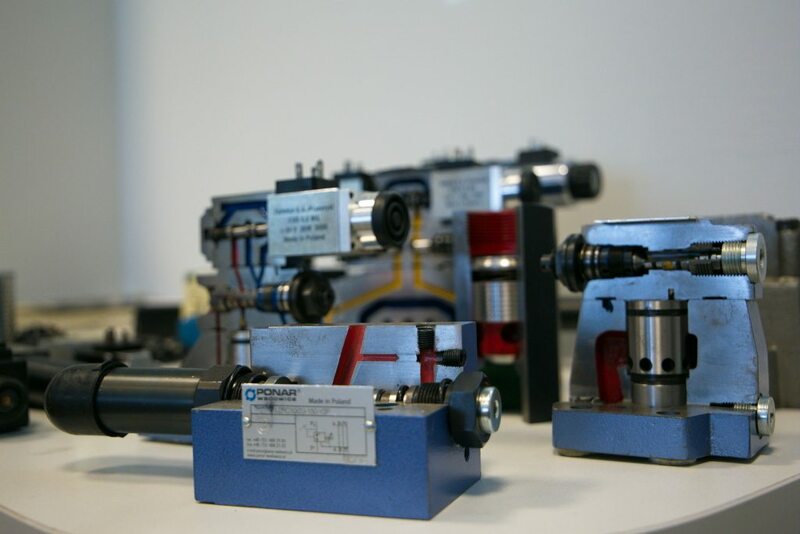 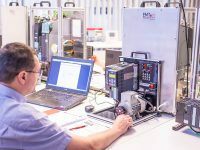 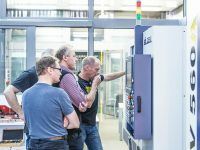 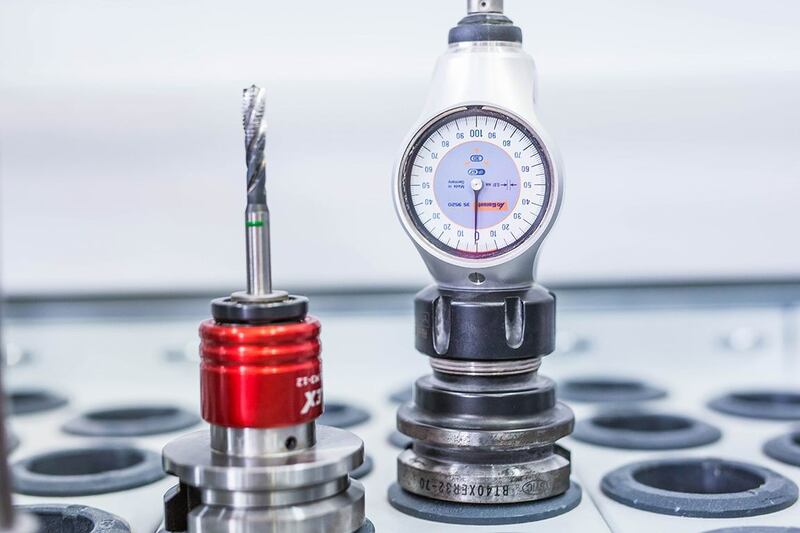 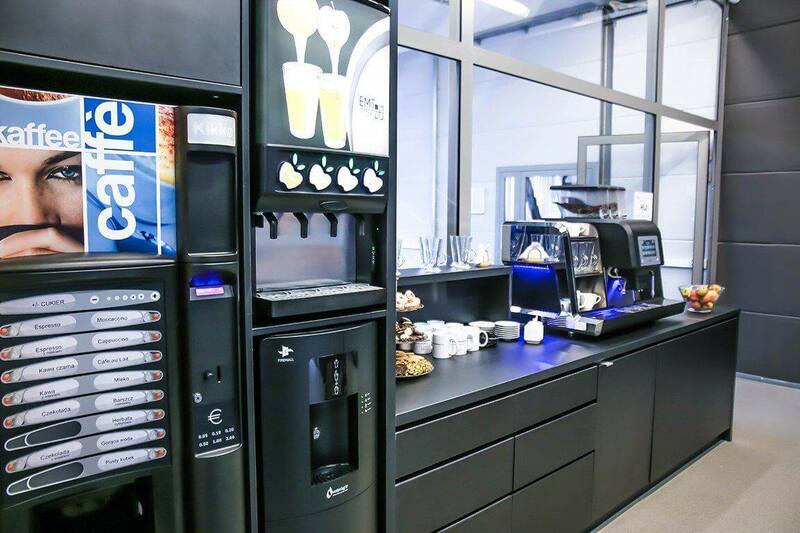 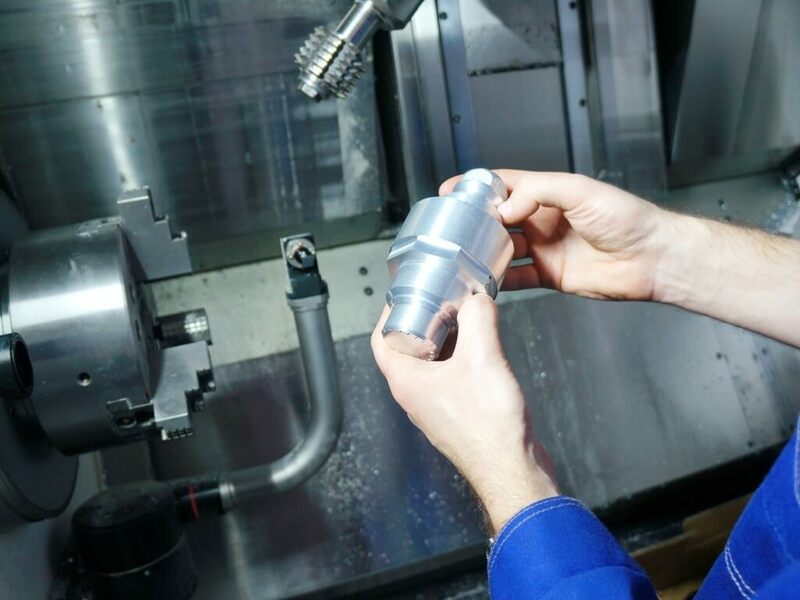 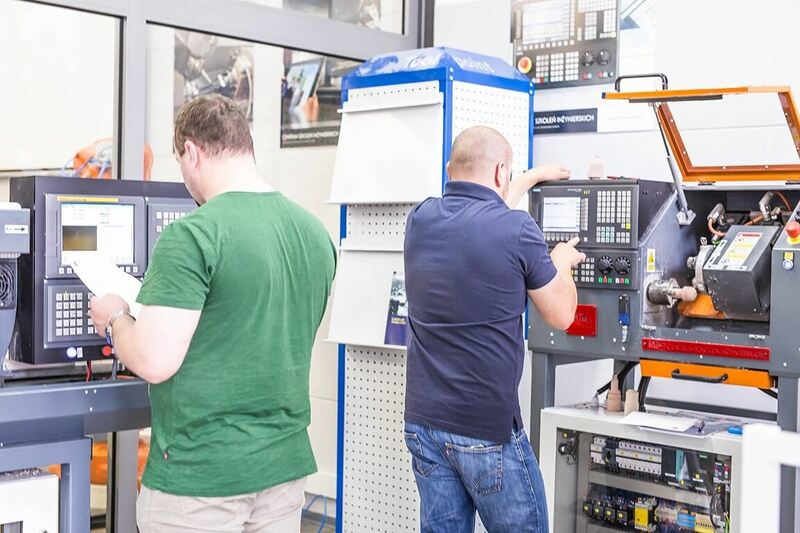 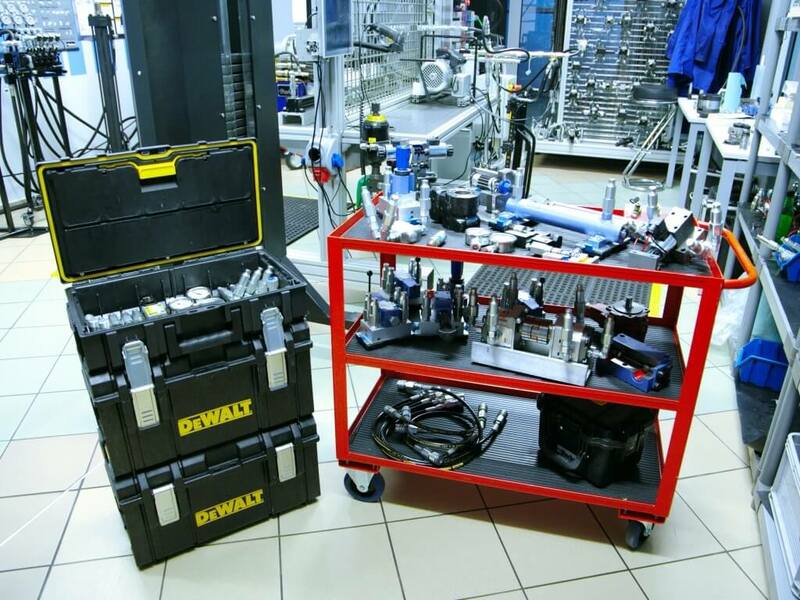 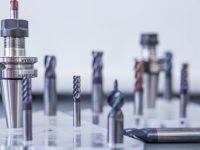 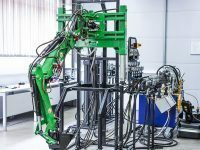 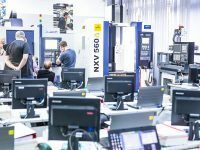 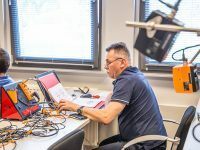 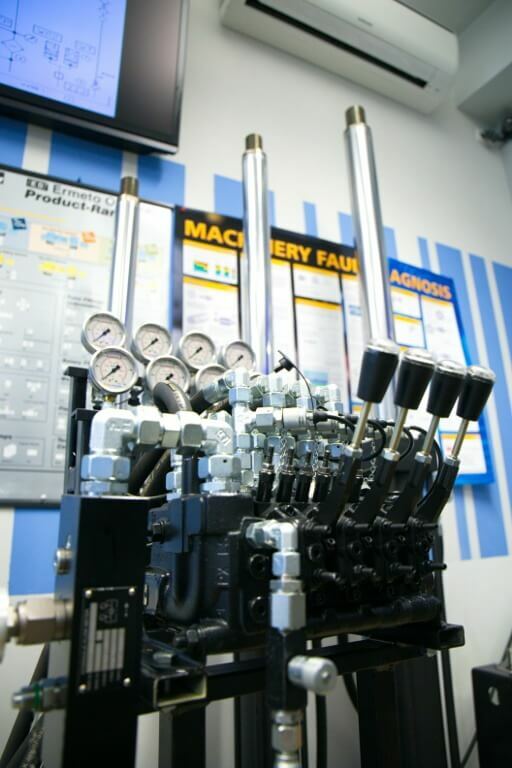 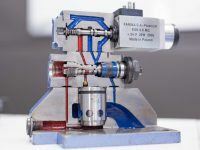 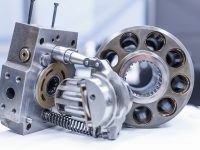 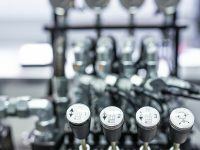 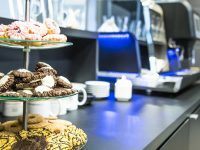 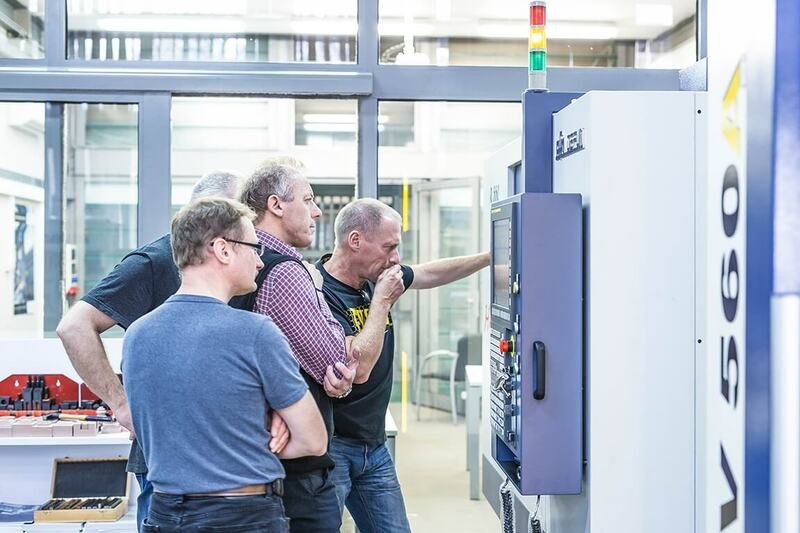 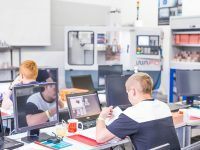 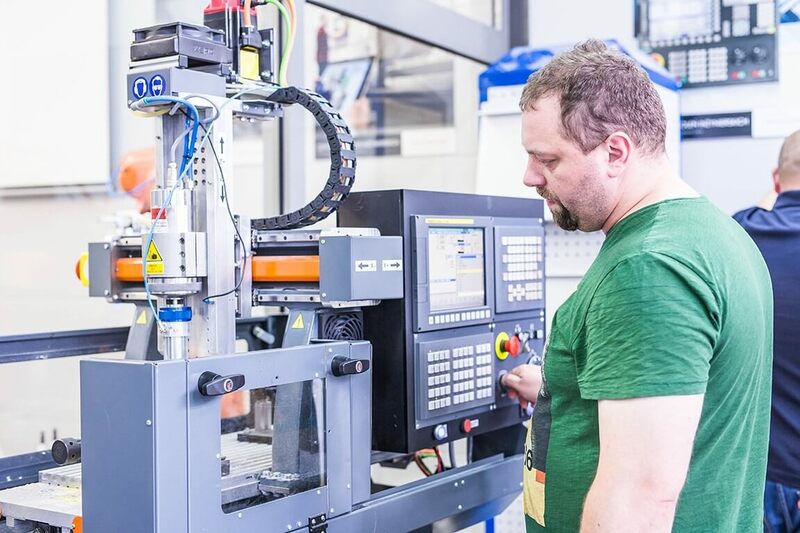 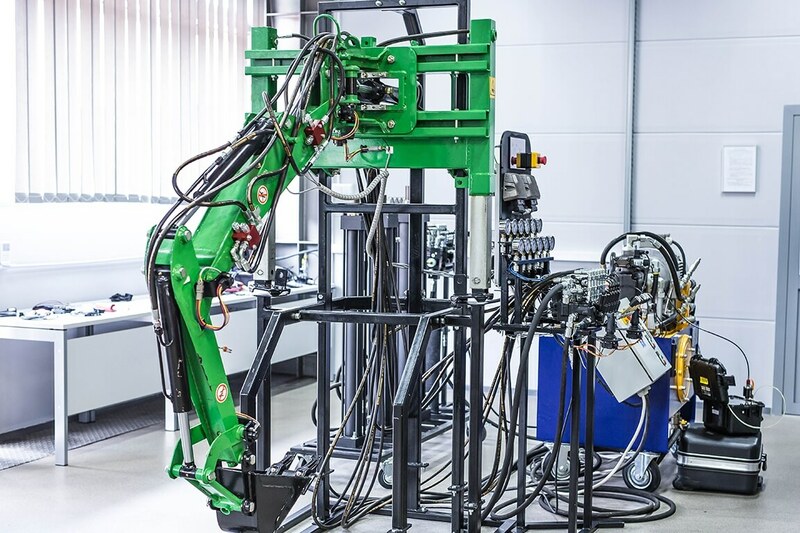 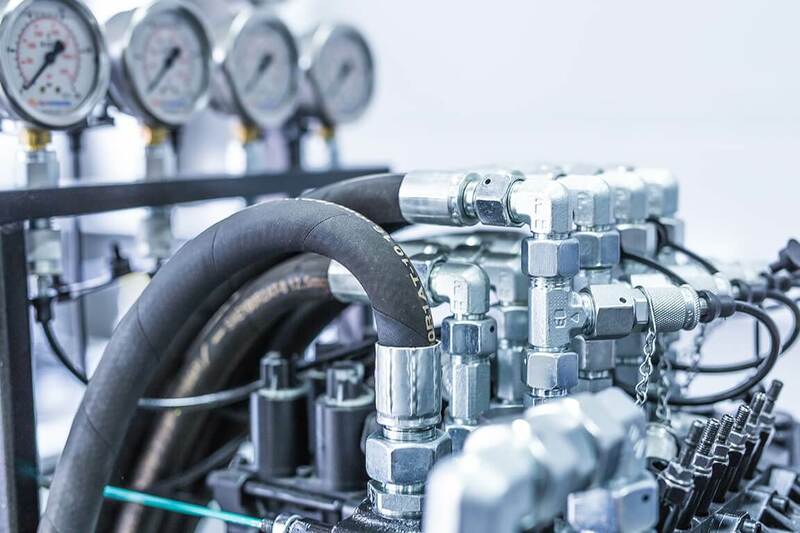 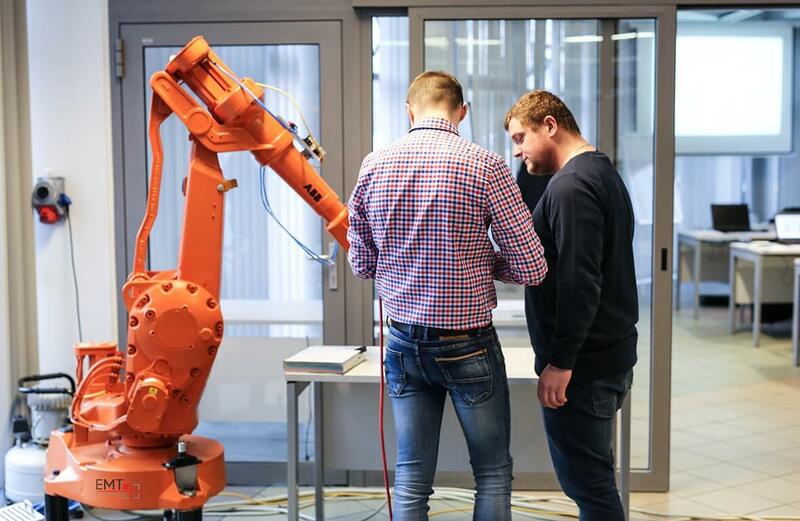 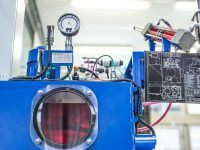 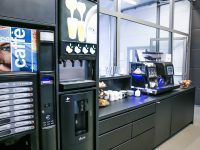 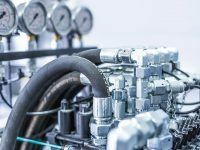 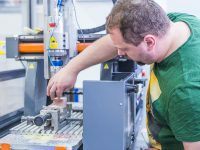 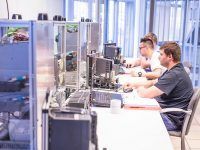 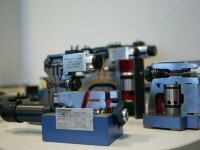 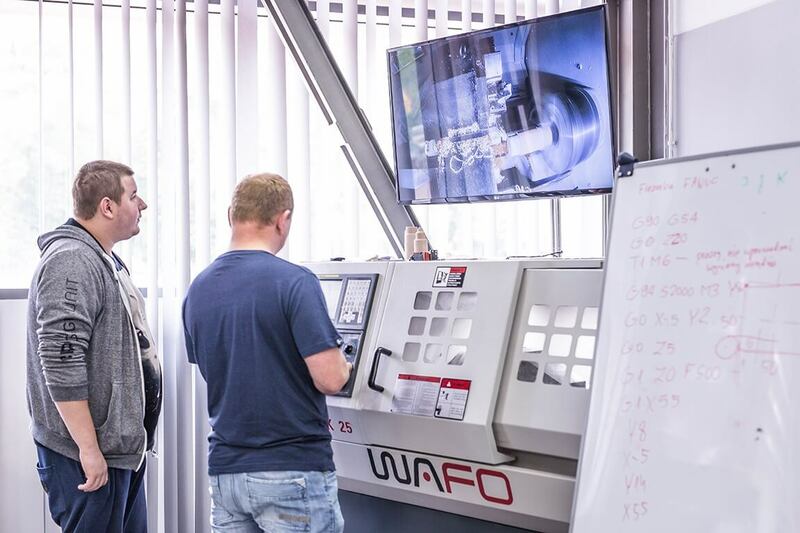 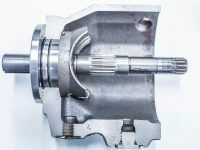 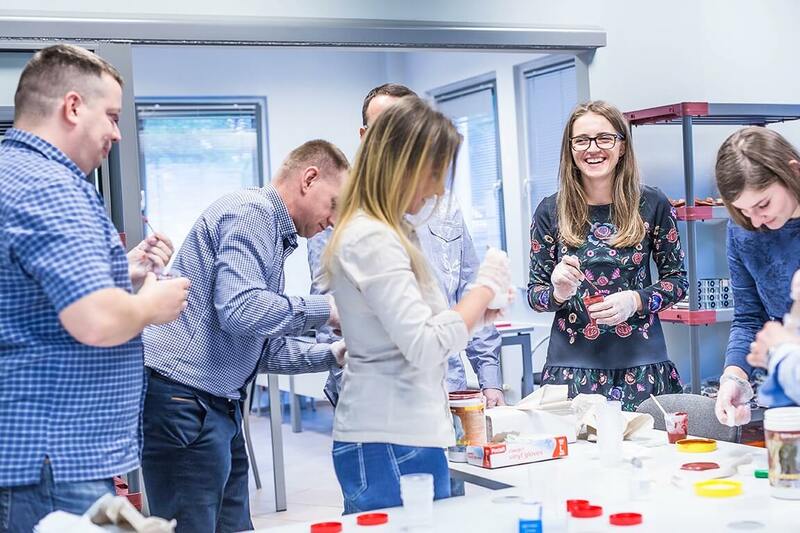 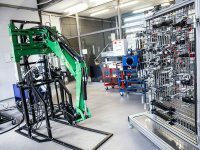 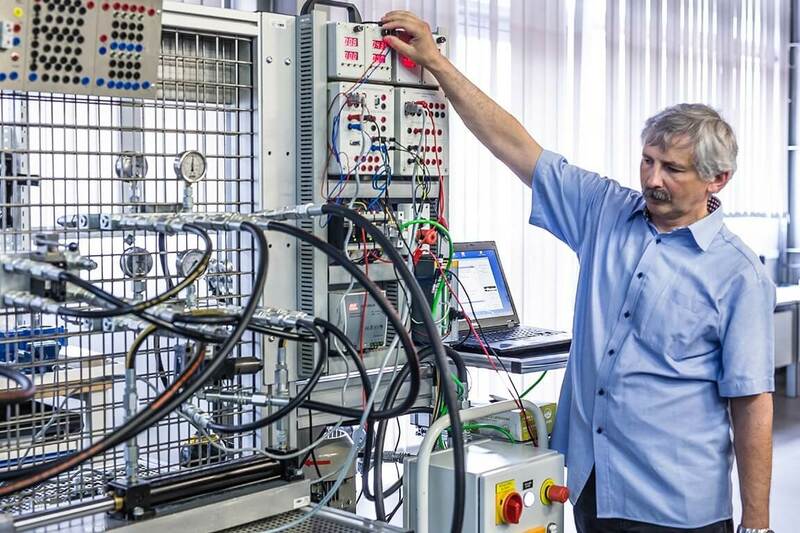 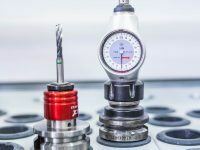 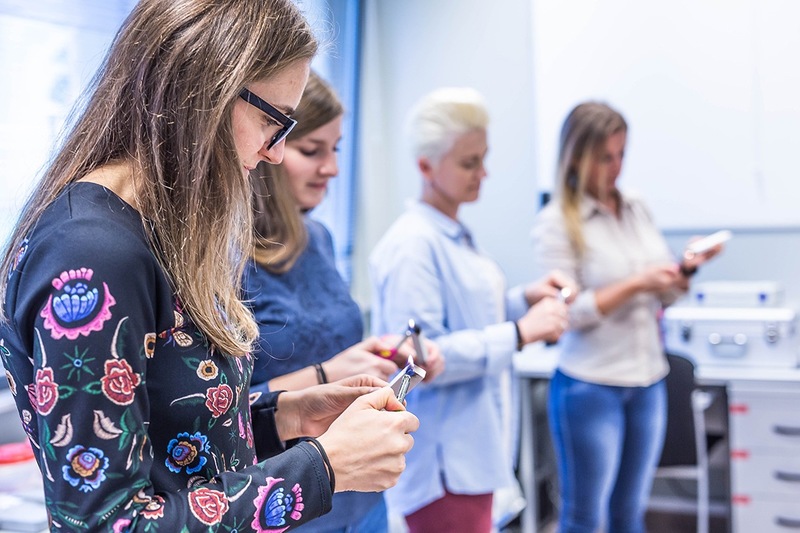 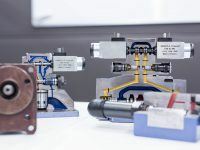 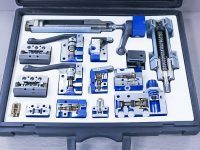 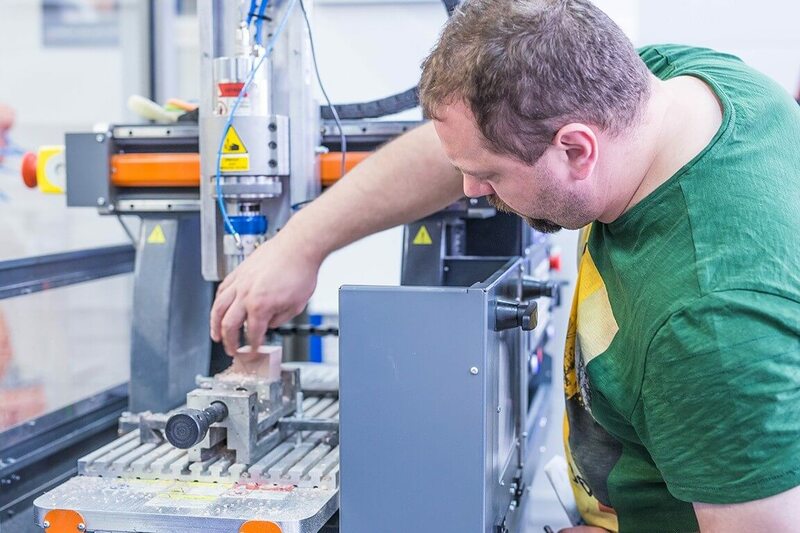 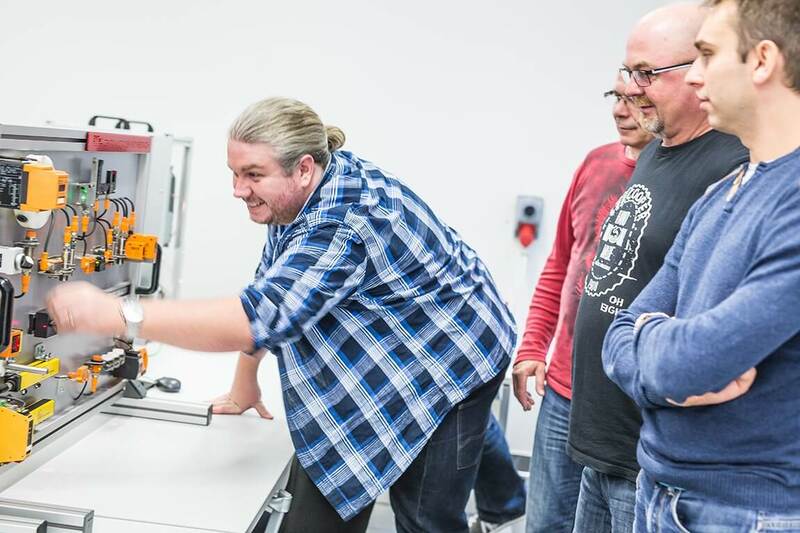 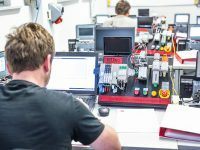 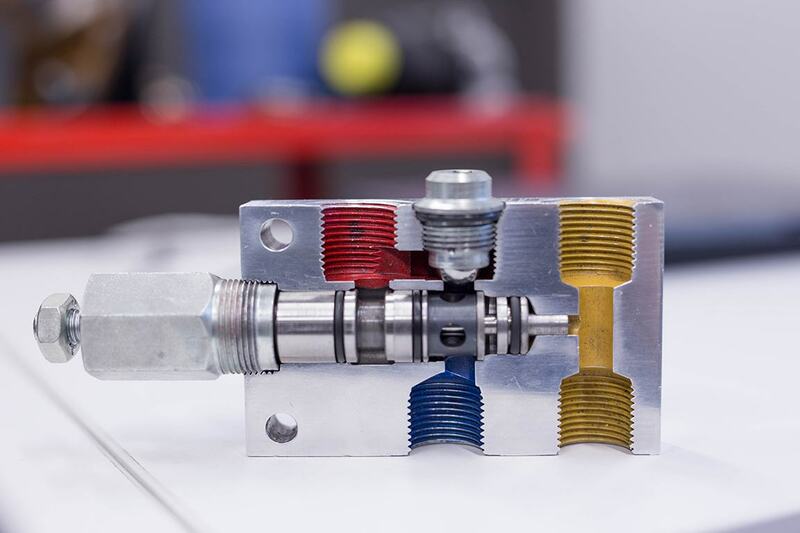 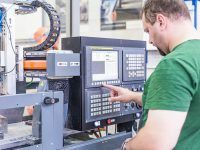 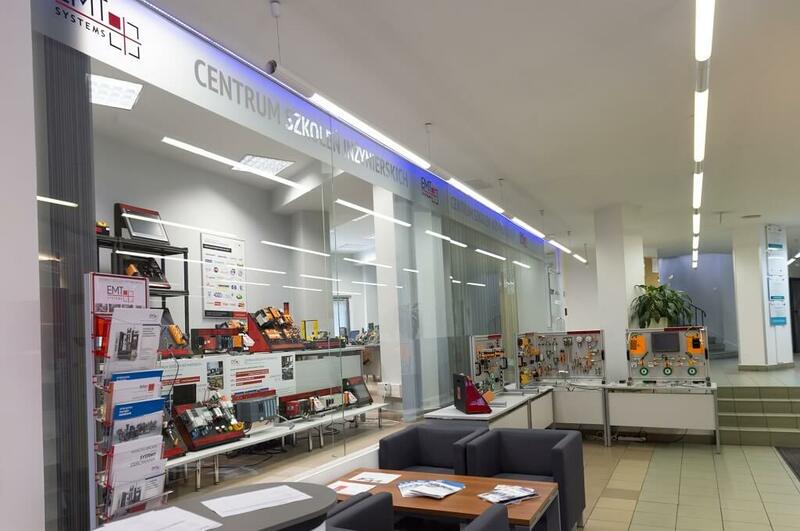 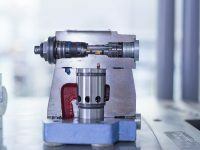 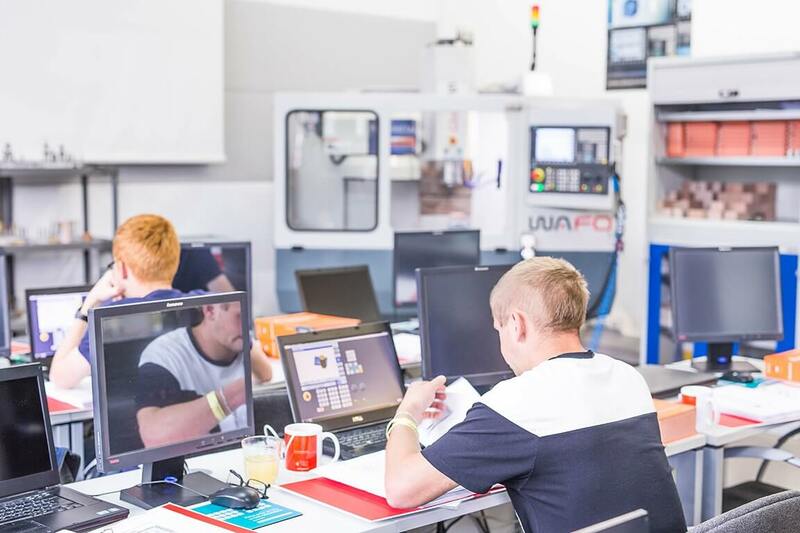 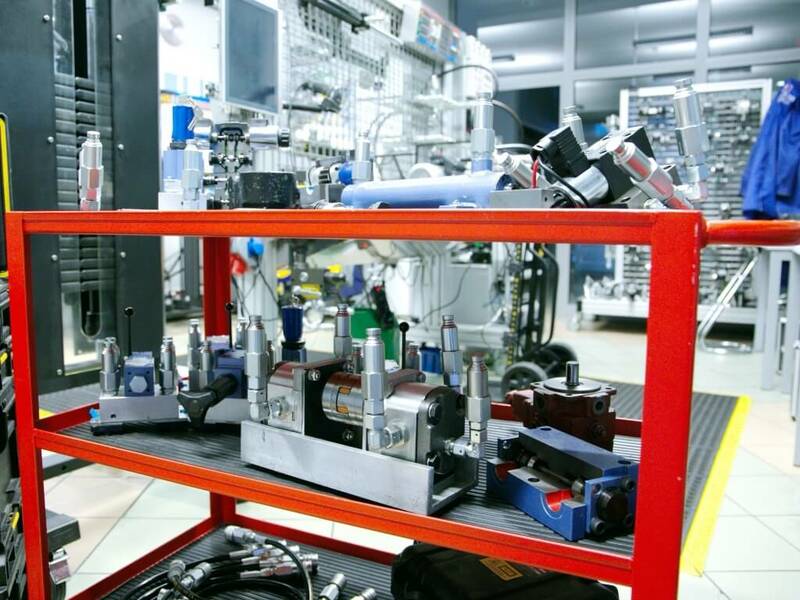 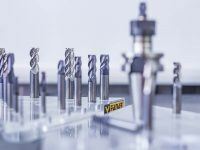 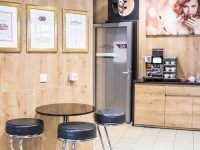 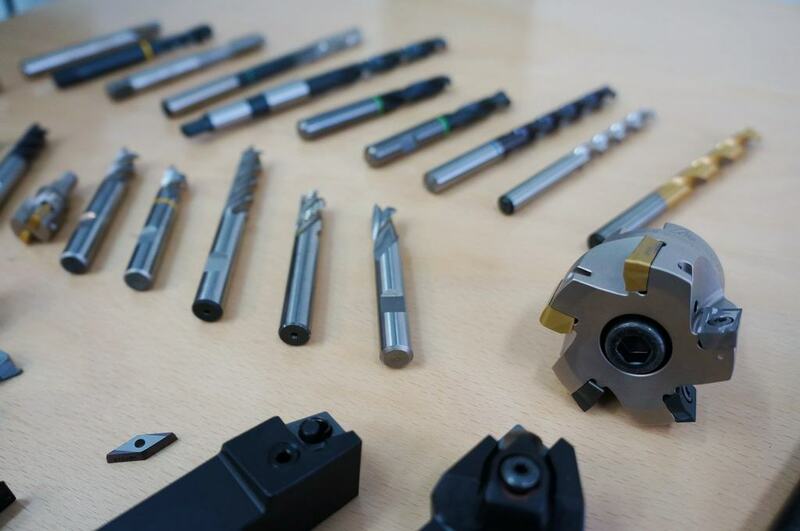 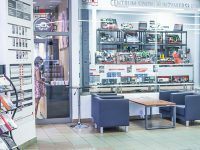 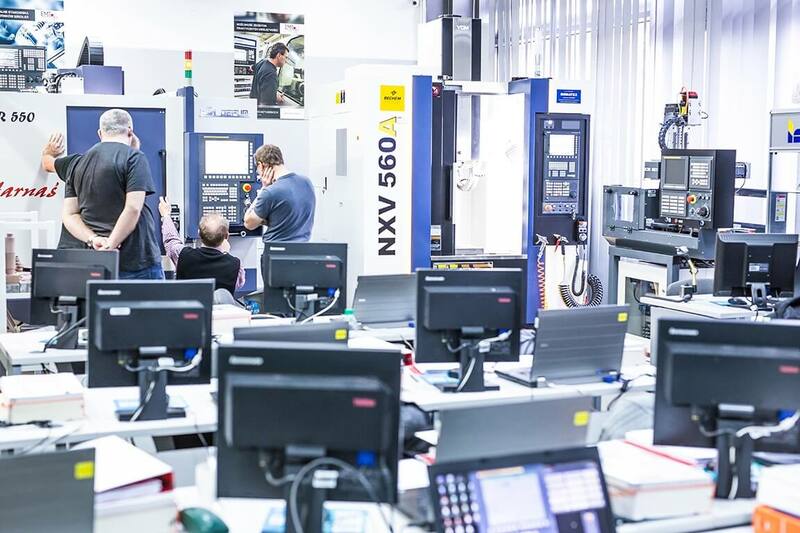 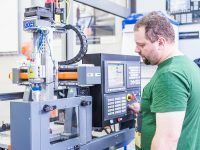 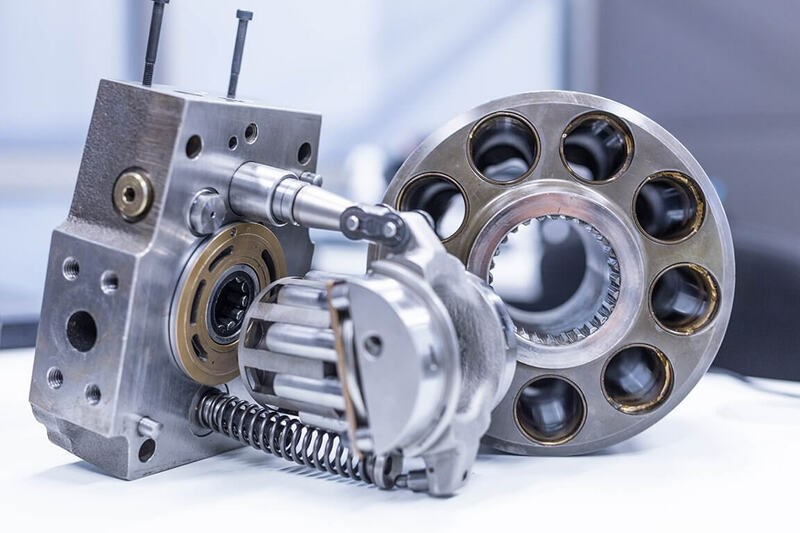 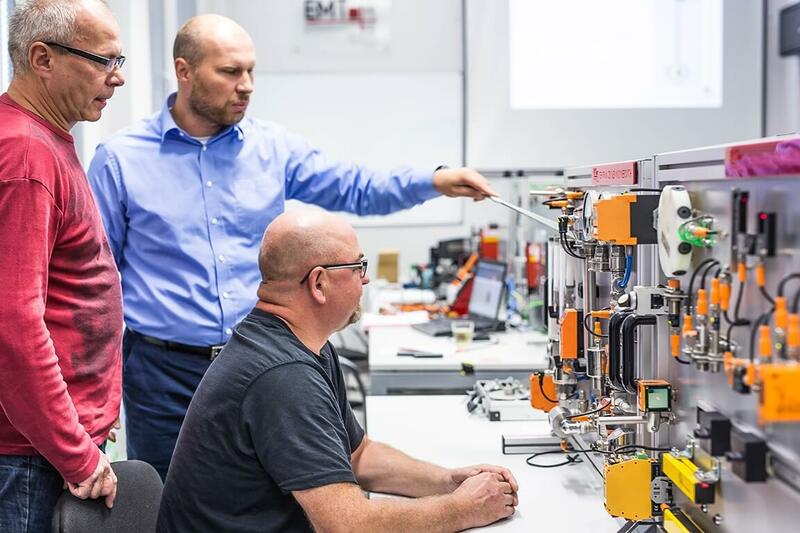 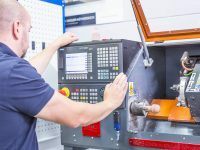 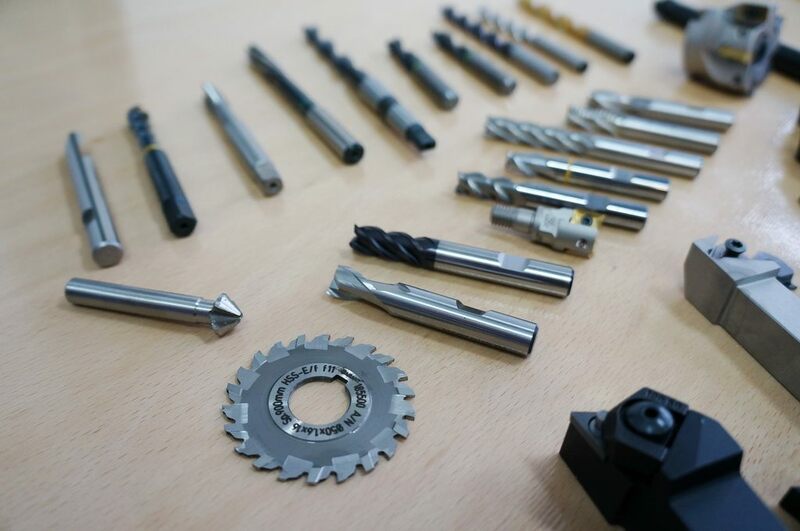 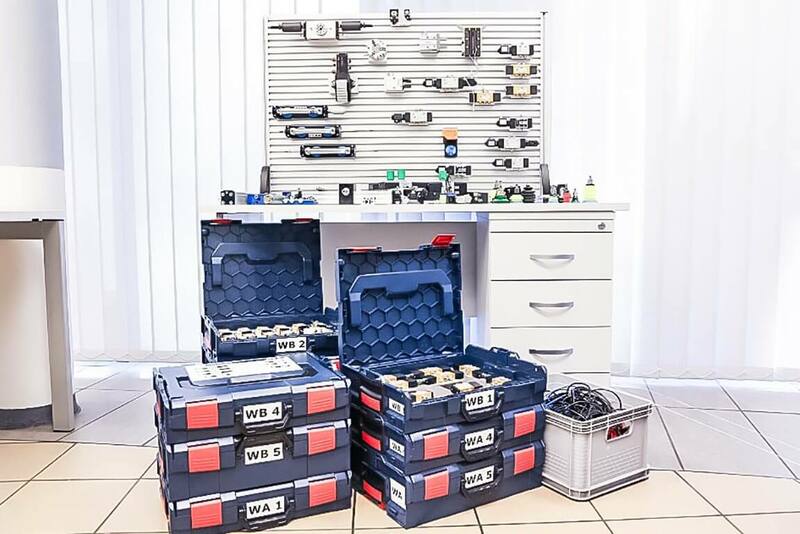 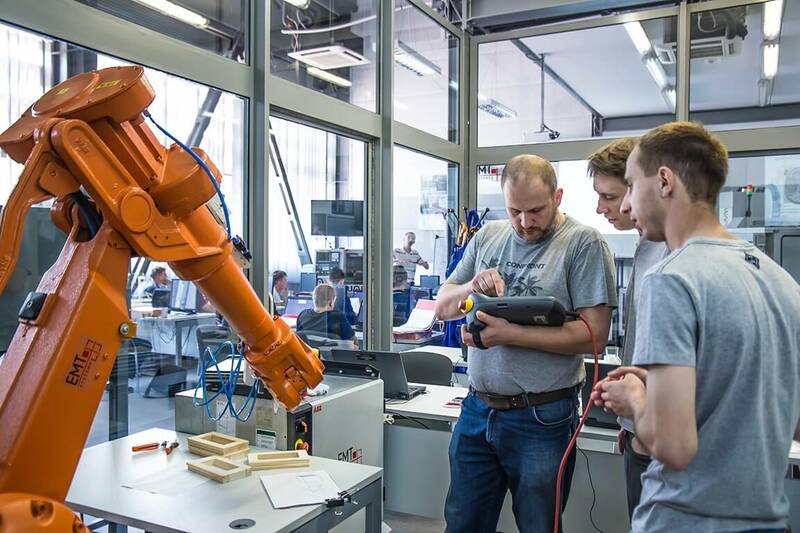 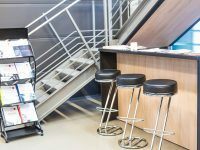 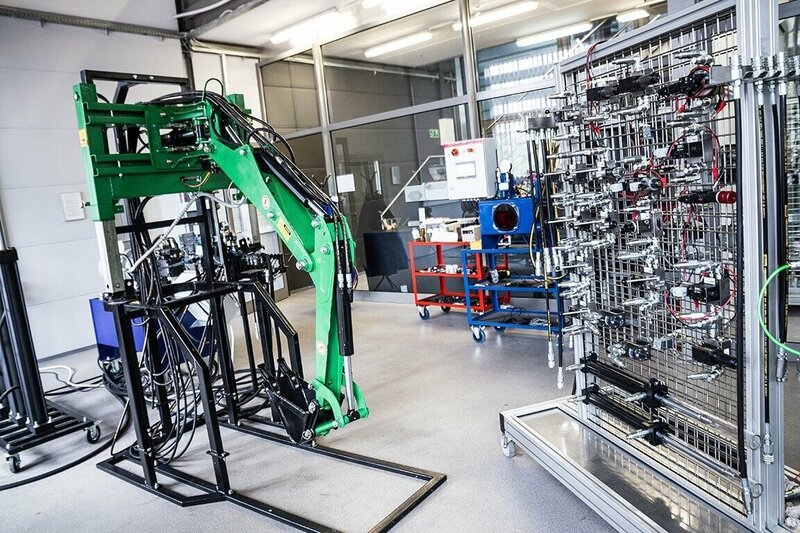 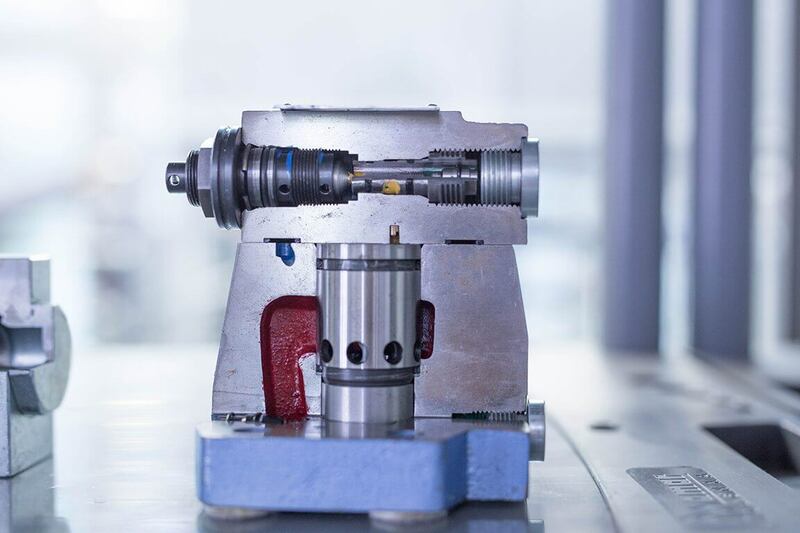 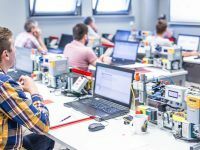 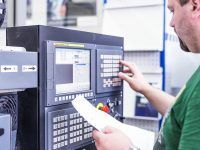 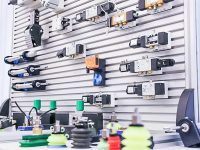 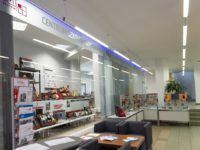 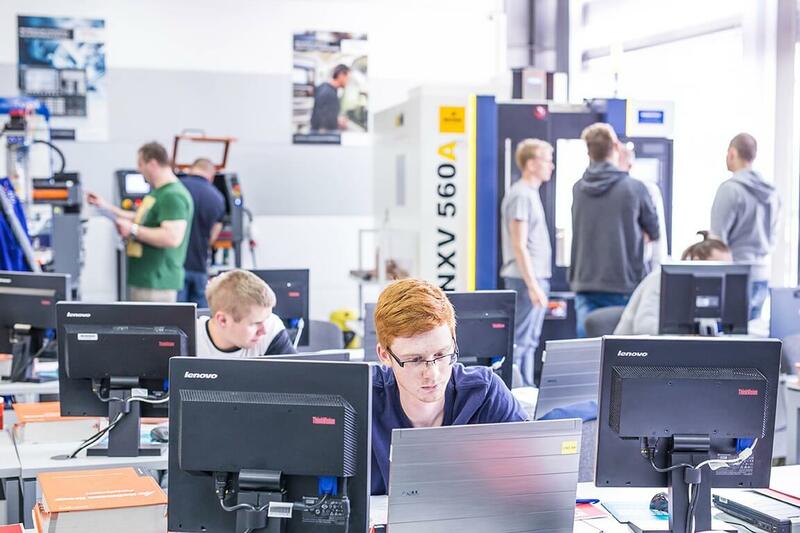 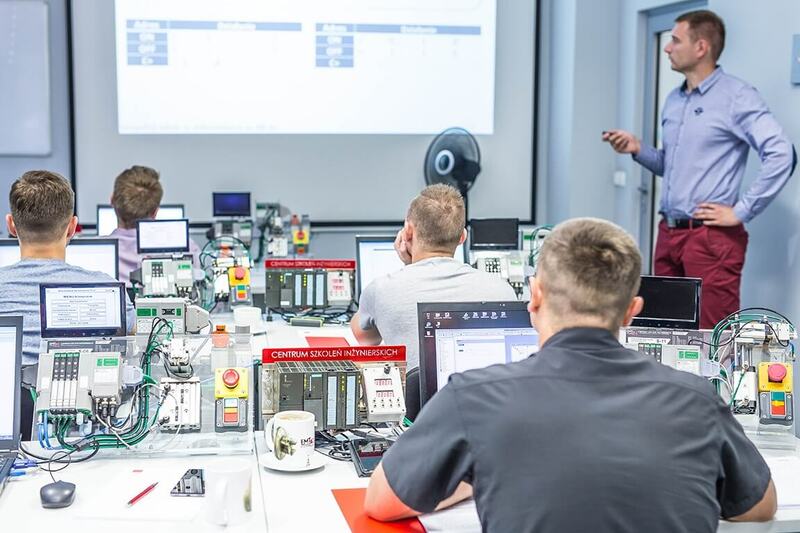 Our training rooms allow working on the industrial components and power hydraulic systems of the most popular manufacturers – PARKER Hannifin, BOSCH Rexroth, Manuli Fluiconnecto, HYDAC and PONAR WADOWICE.. 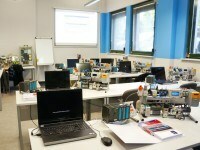 The training room with an area of about 150m2, air-conditioned, large and spacious. 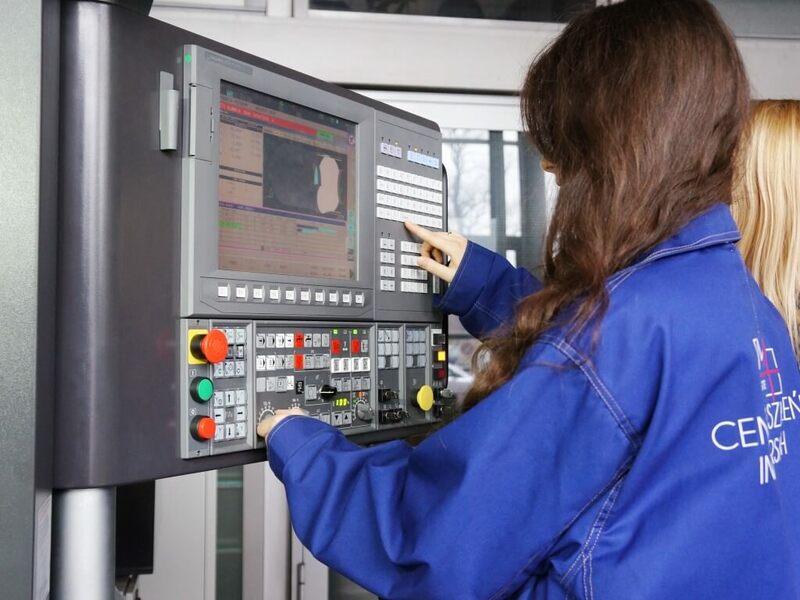 Working positions for students are expertly equipped. Each participant has access to the latest tool directories. 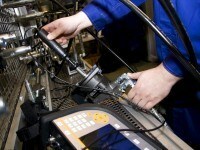 The installed cameras display the current operation of the machines via projector. 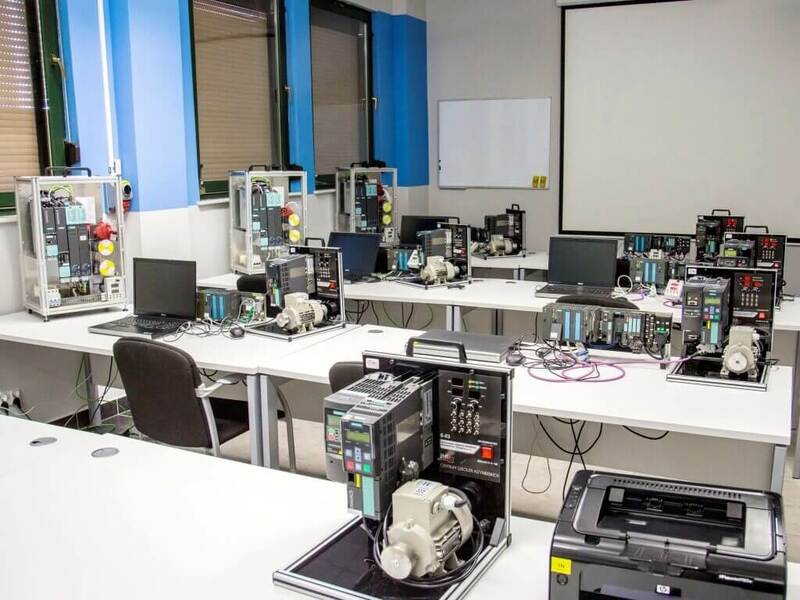 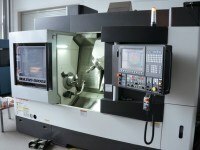 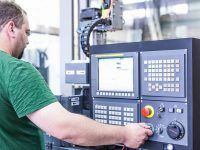 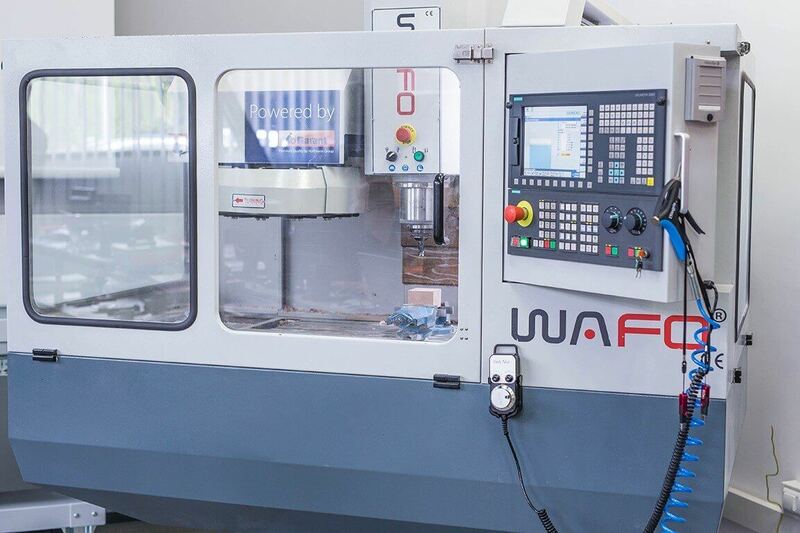 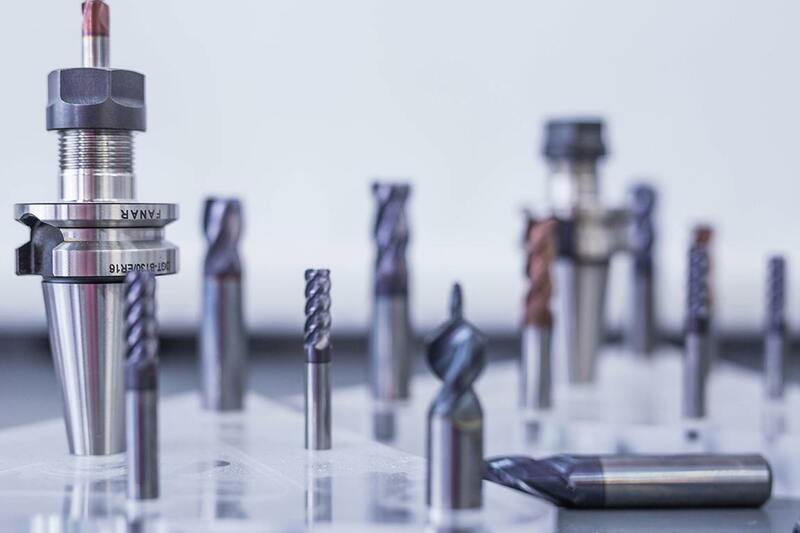 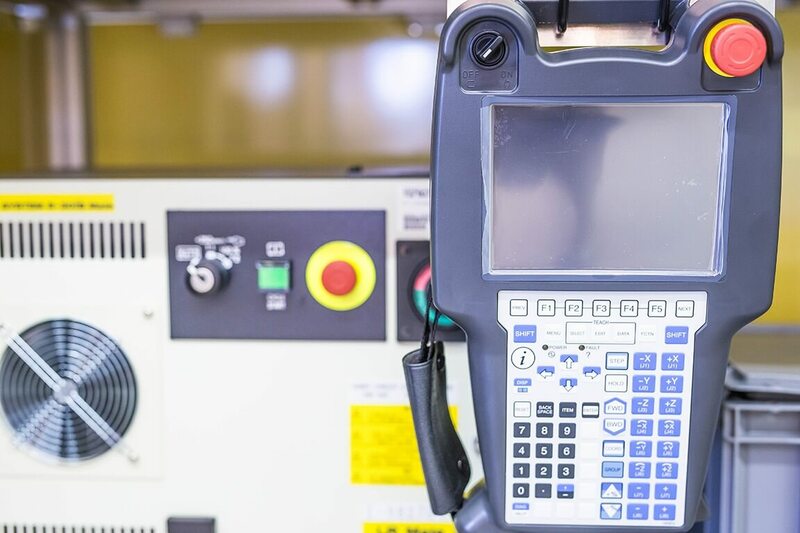 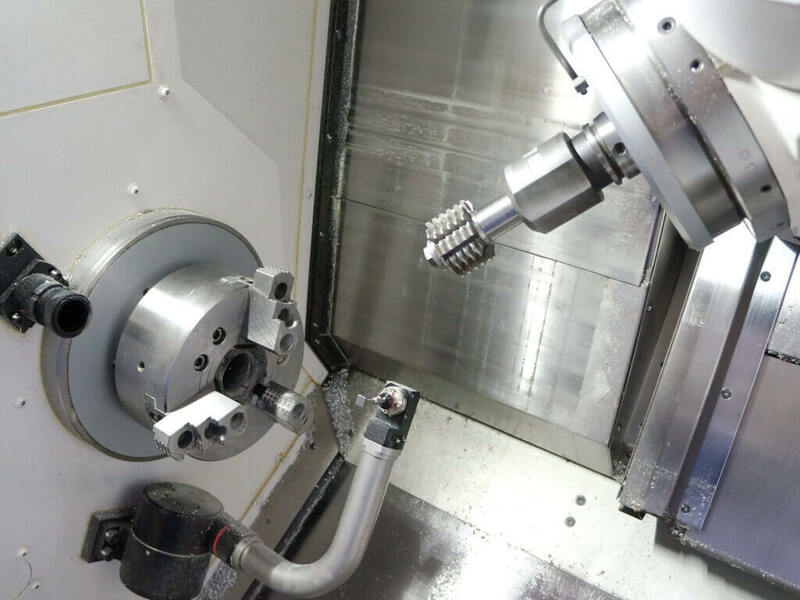 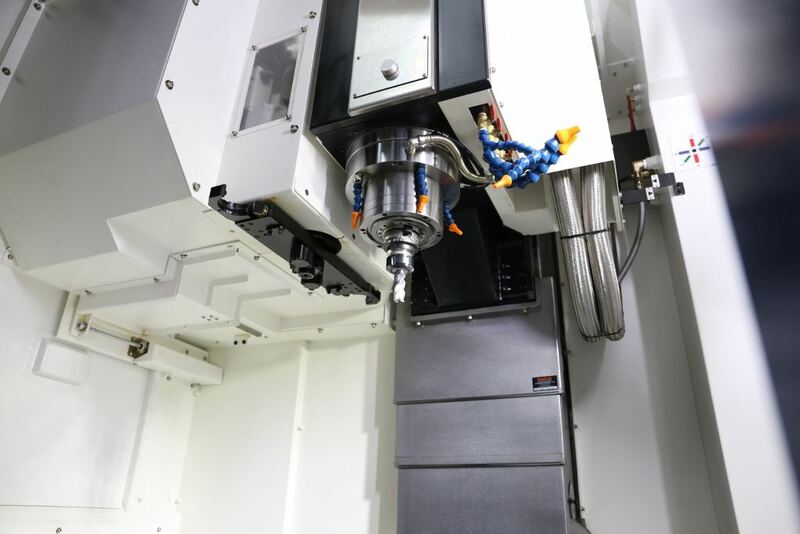 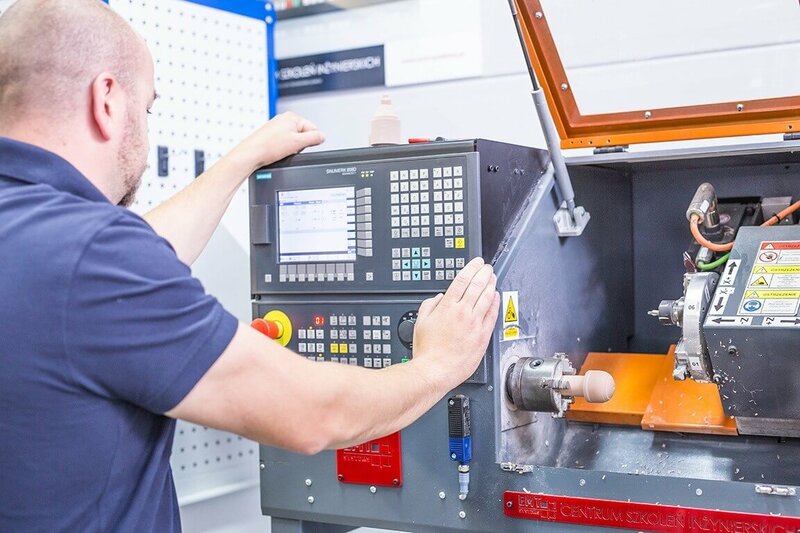 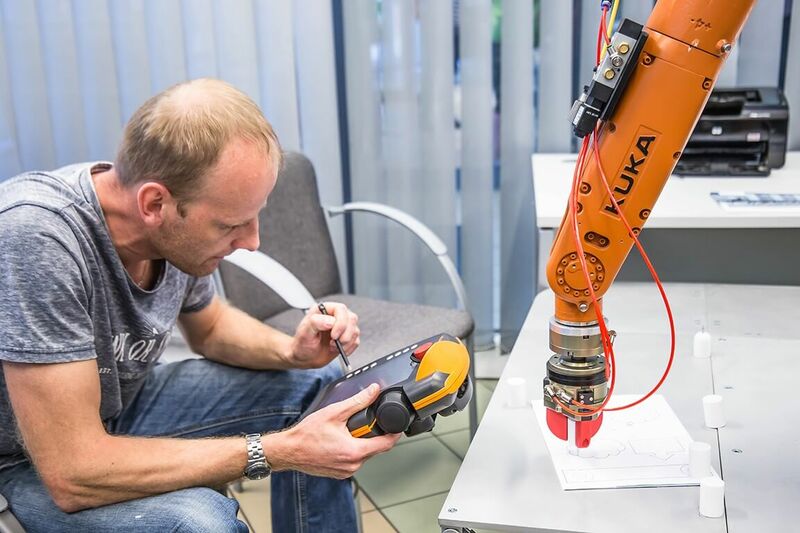 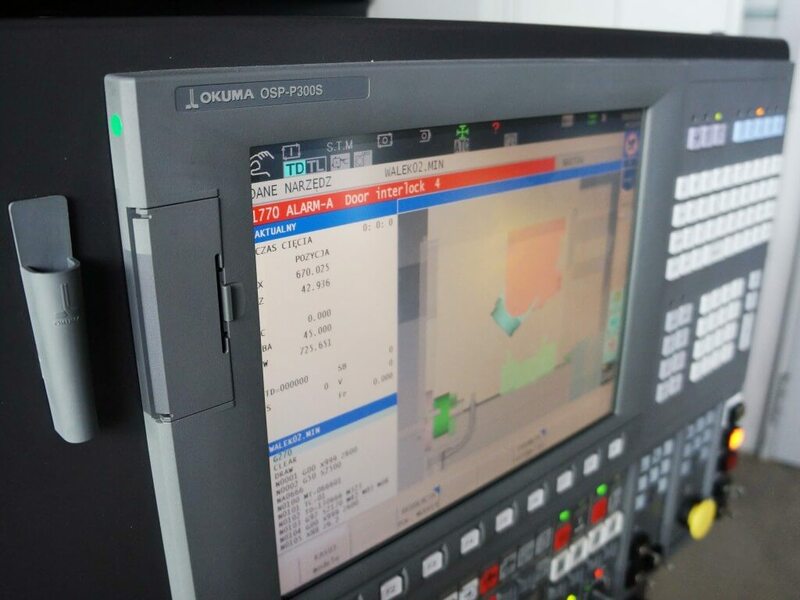 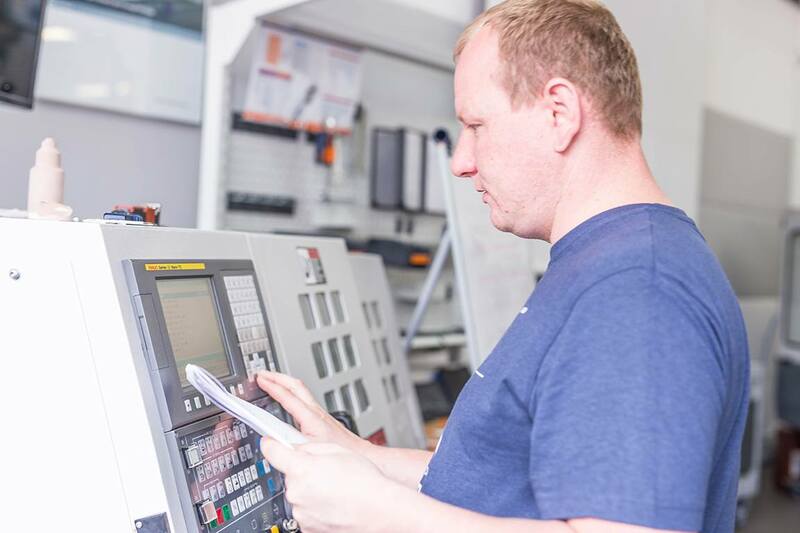 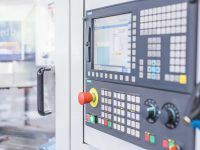 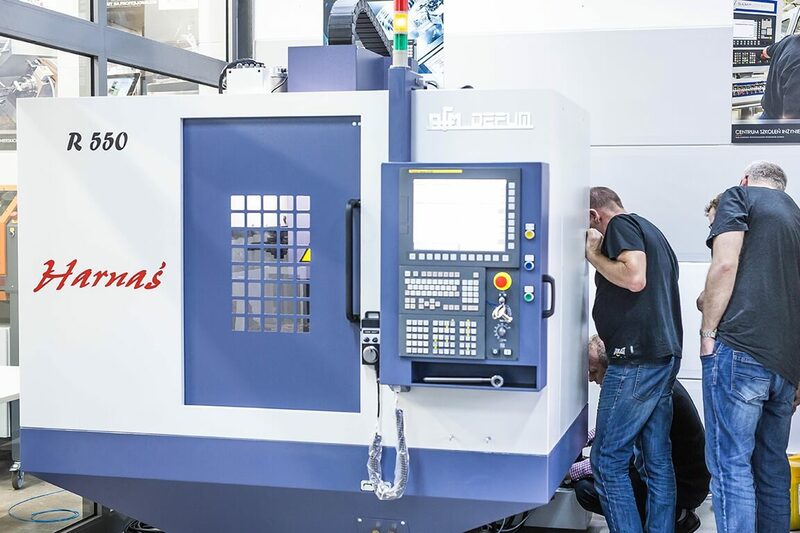 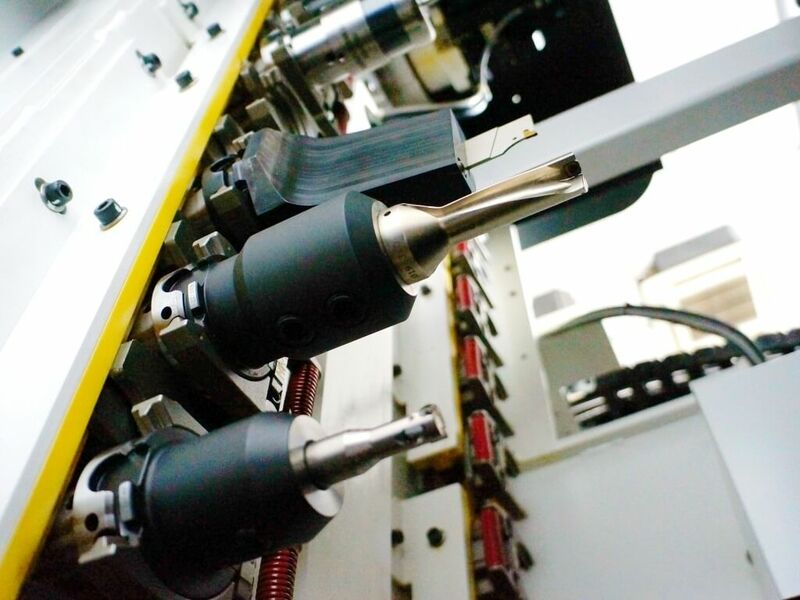 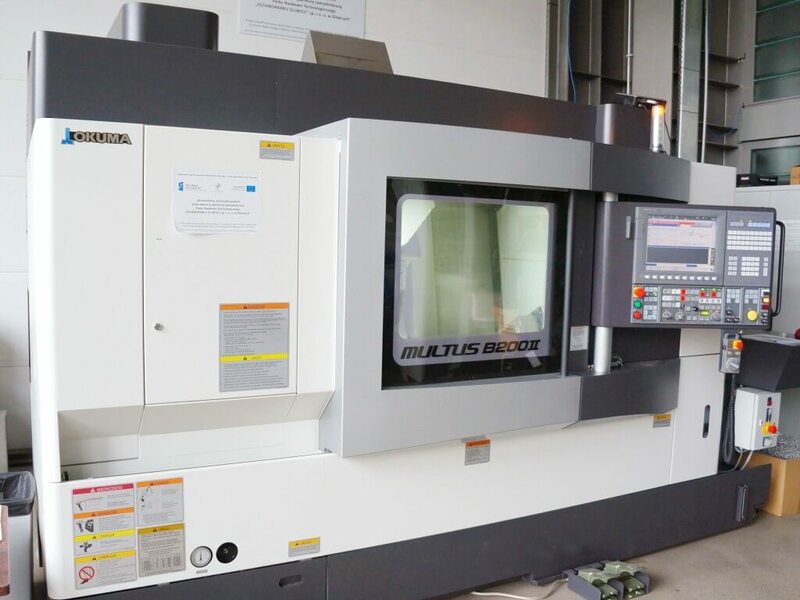 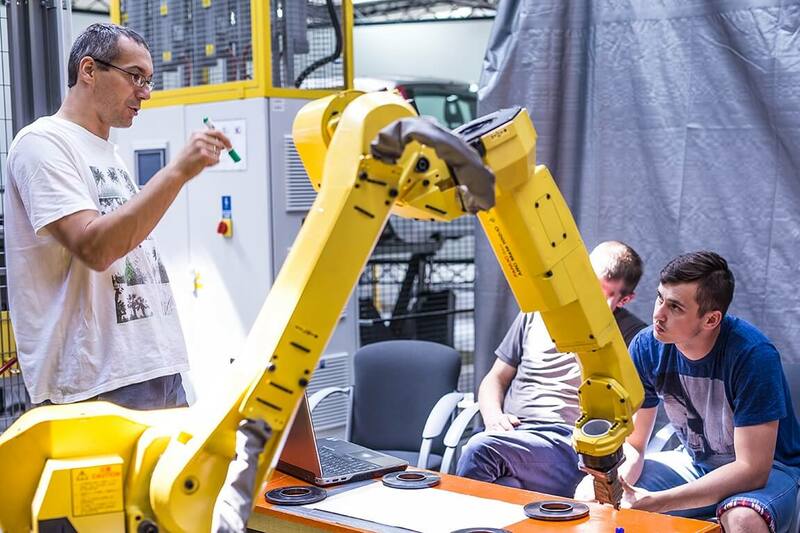 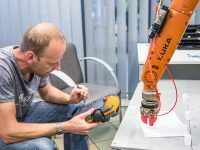 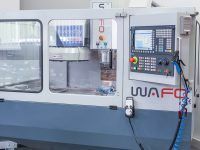 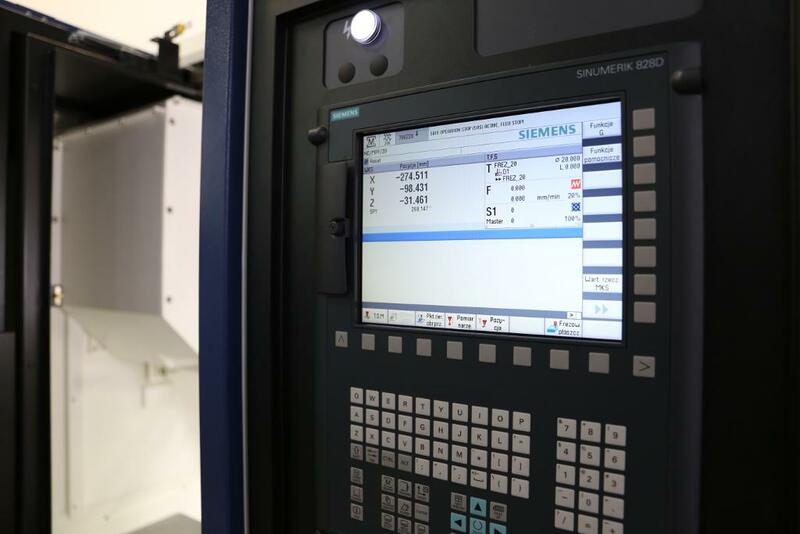 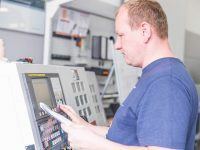 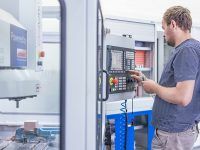 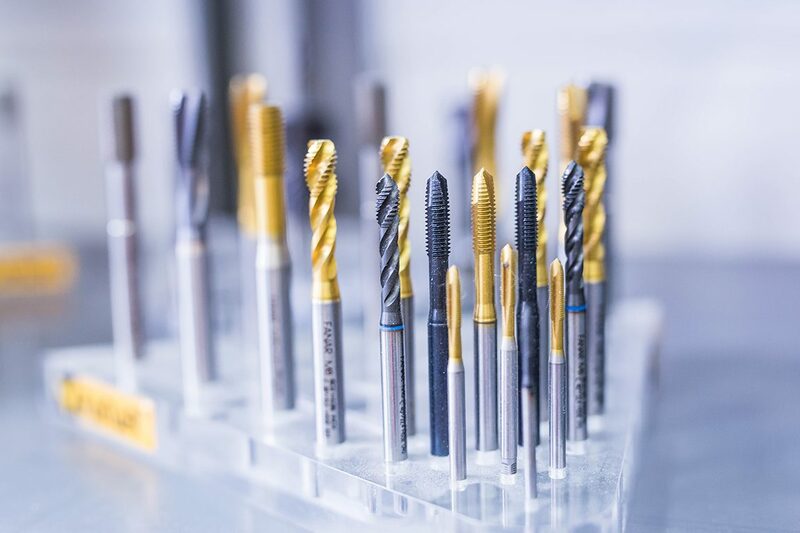 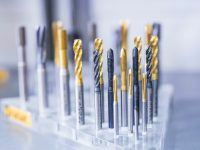 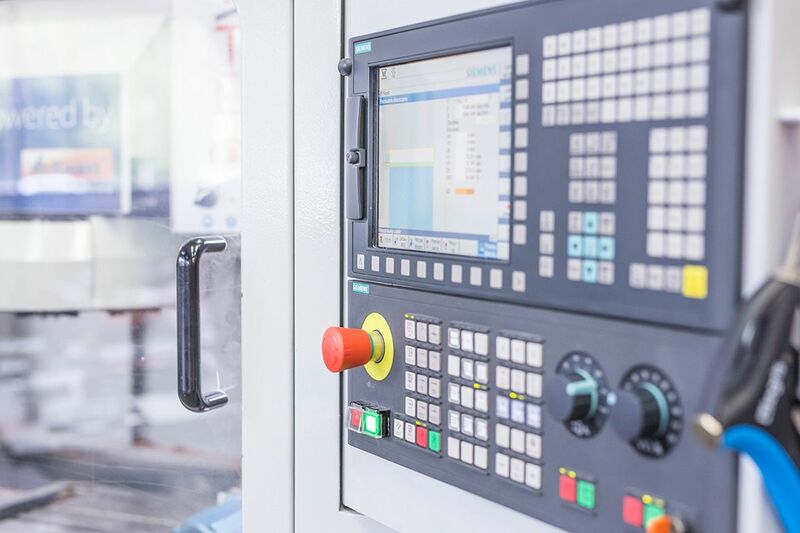 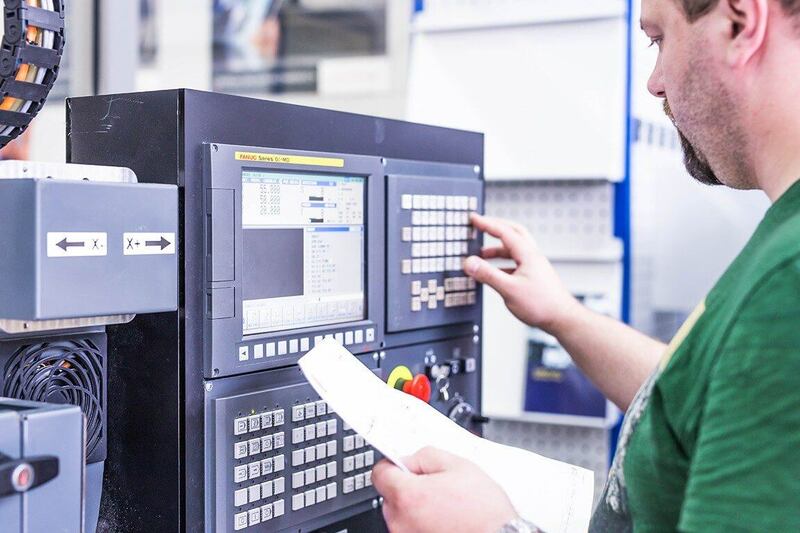 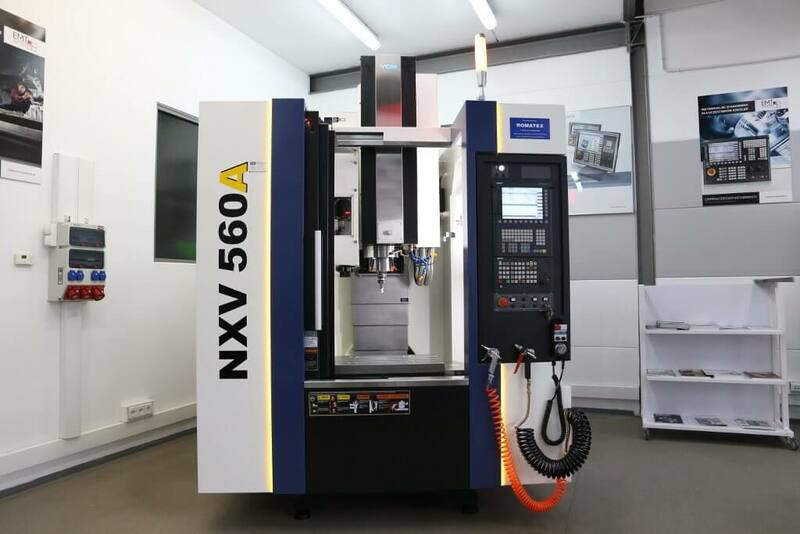 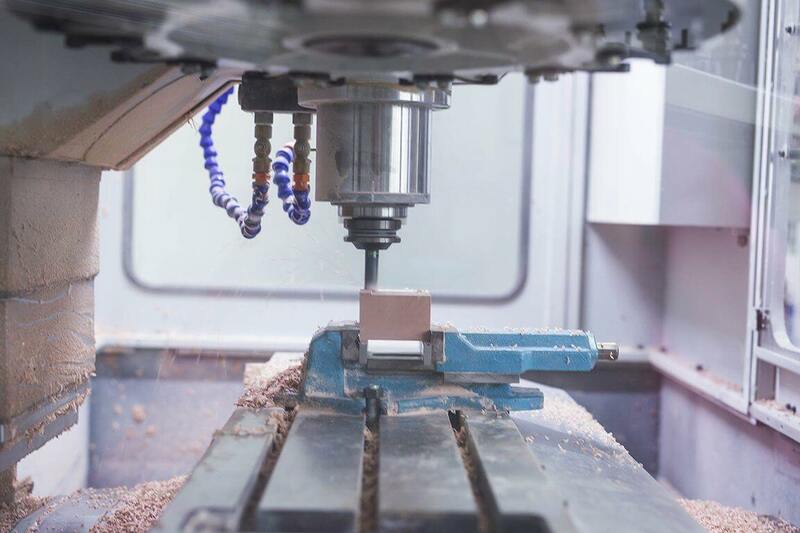 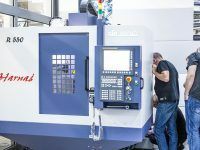 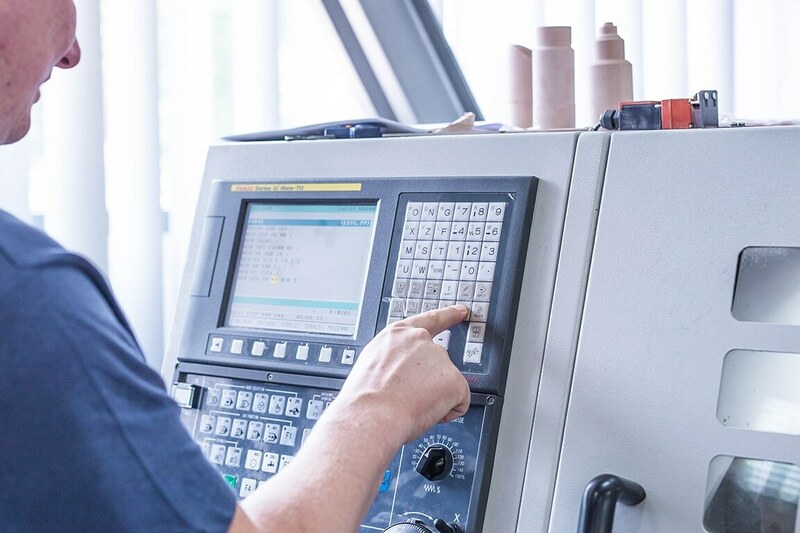 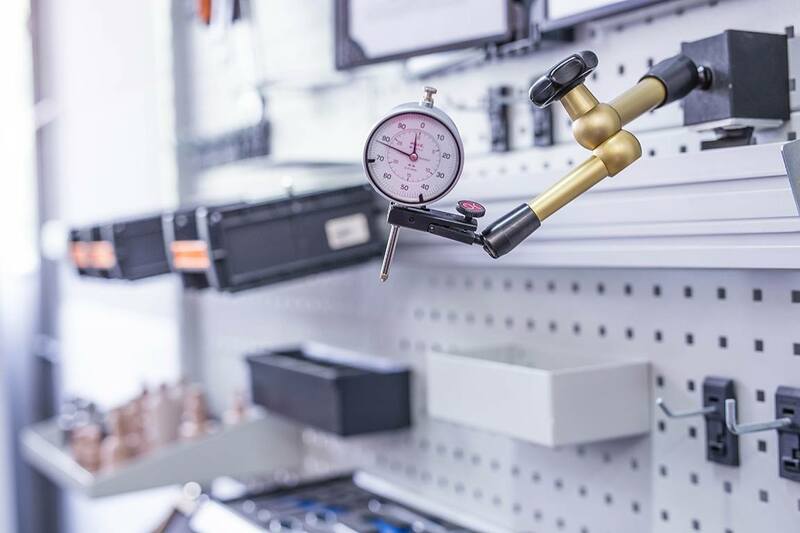 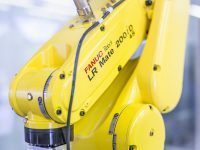 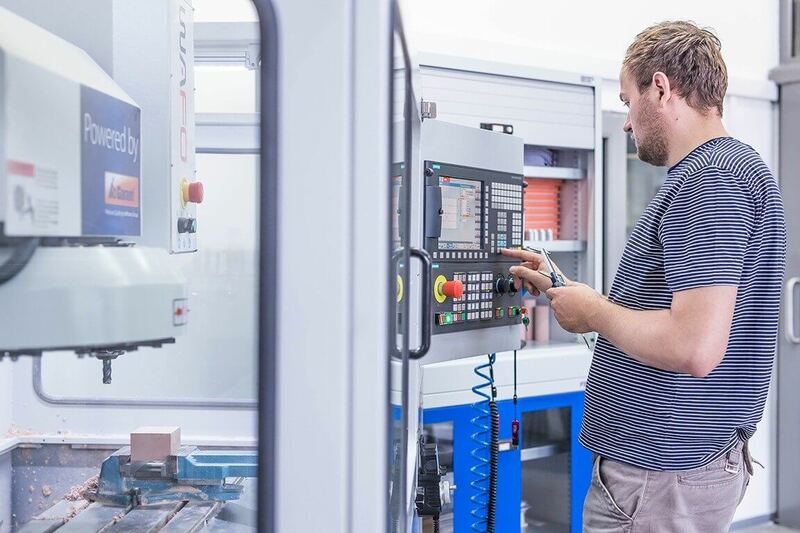 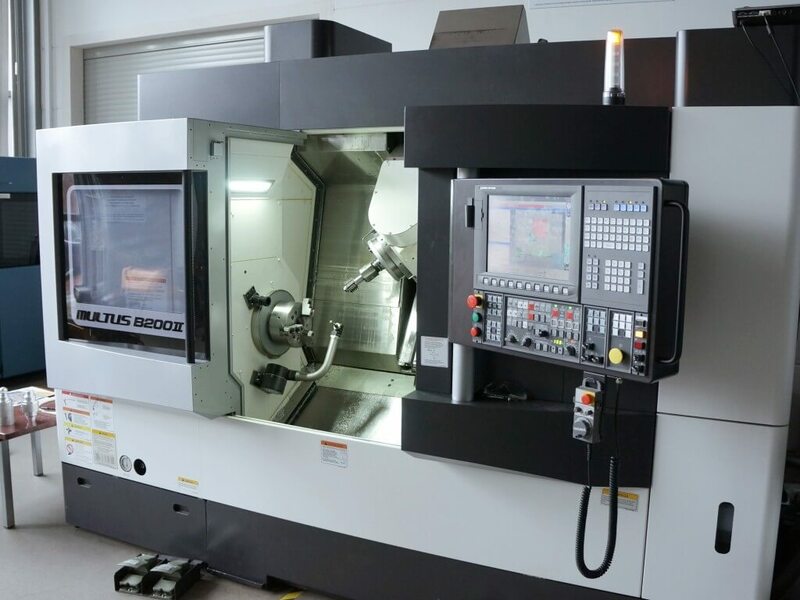 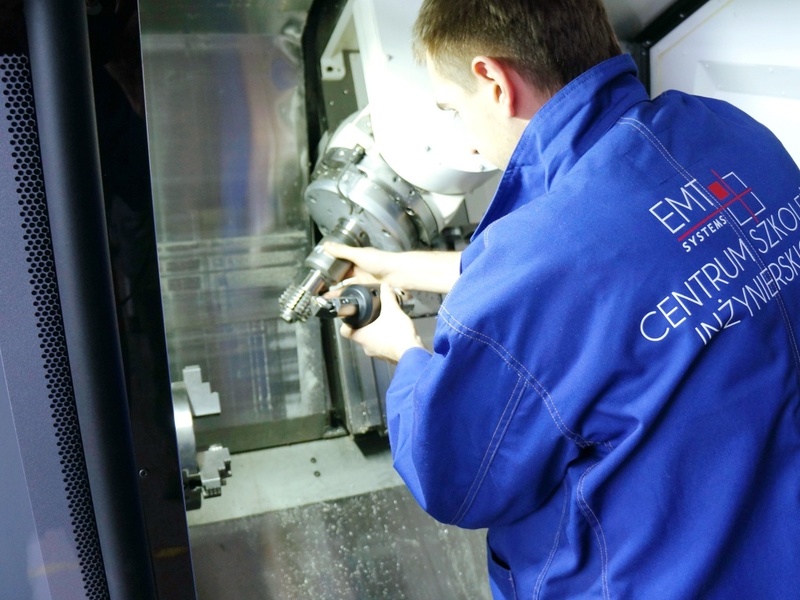 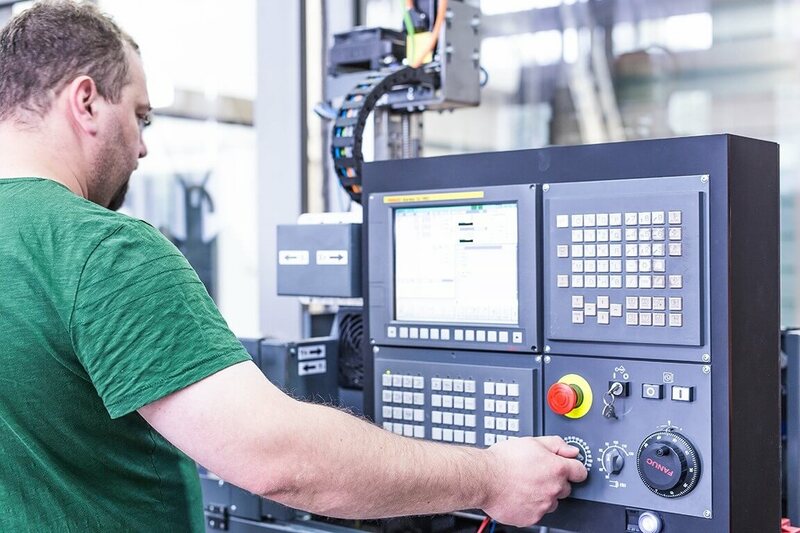 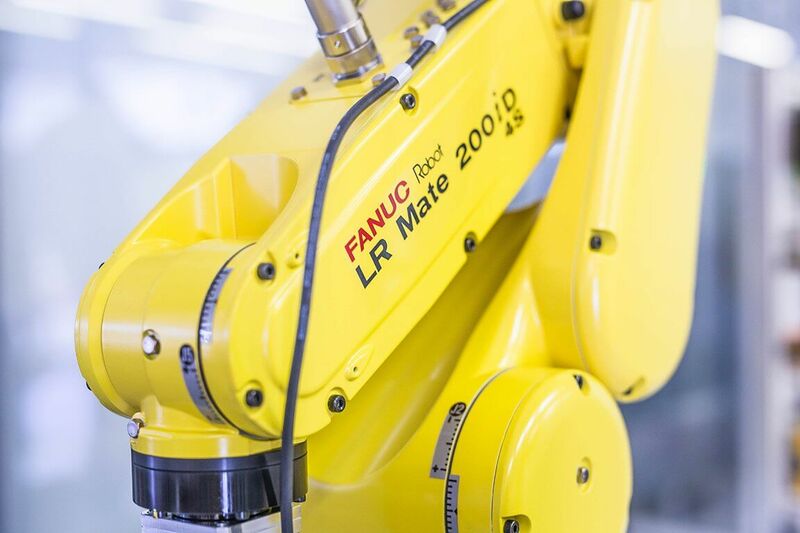 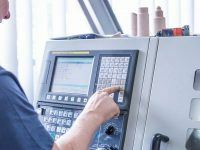 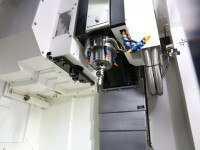 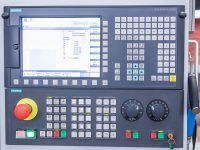 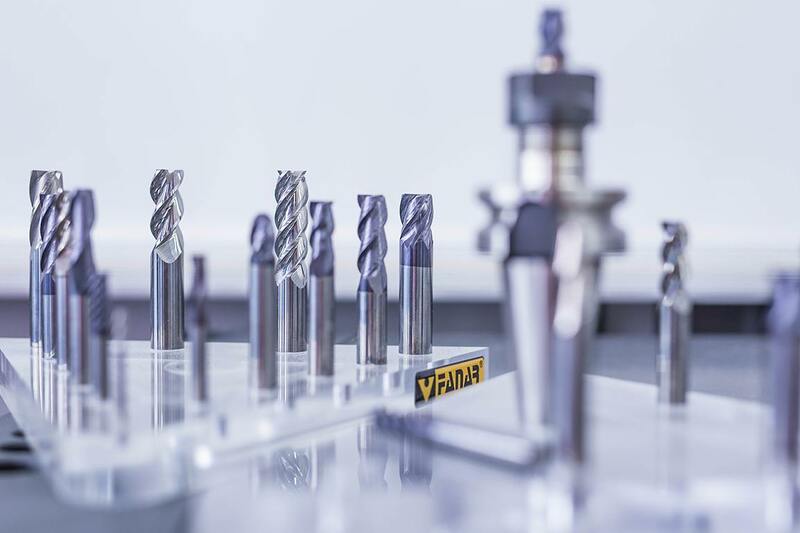 Our training rooms allow working on actual industrial machines based on the state-of-the-art control systems – SINUMERIK, FANUC, Haidenhain and OKUMA. 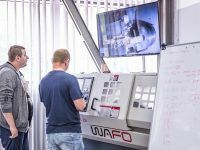 Watch a video presenting laboratories of numerically controlled machine tools used during our professional engineering trainings. 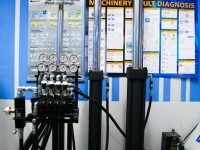 Training rooms and laboratories are large, spacious and air-conditioned. Work benches for the participants have been fitted with specialist equipment. 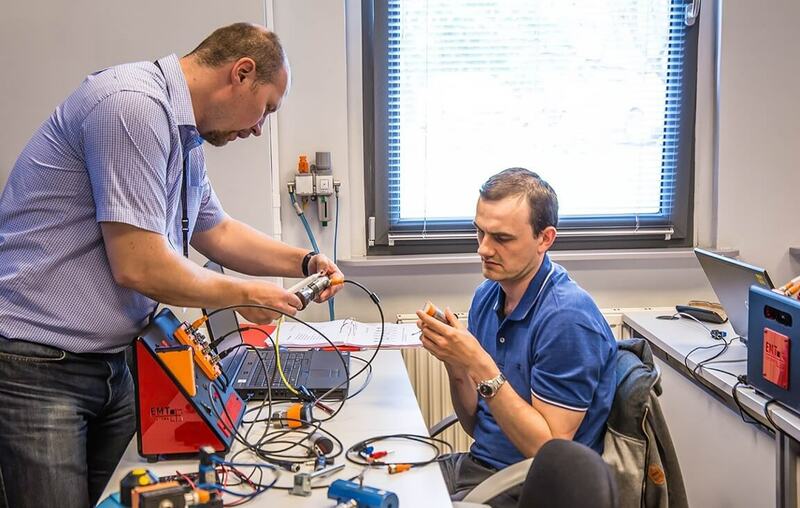 Participants have access to PCs with simulation software, latest product catalogs, diagnostic tools and real research objects used for practical exercises. 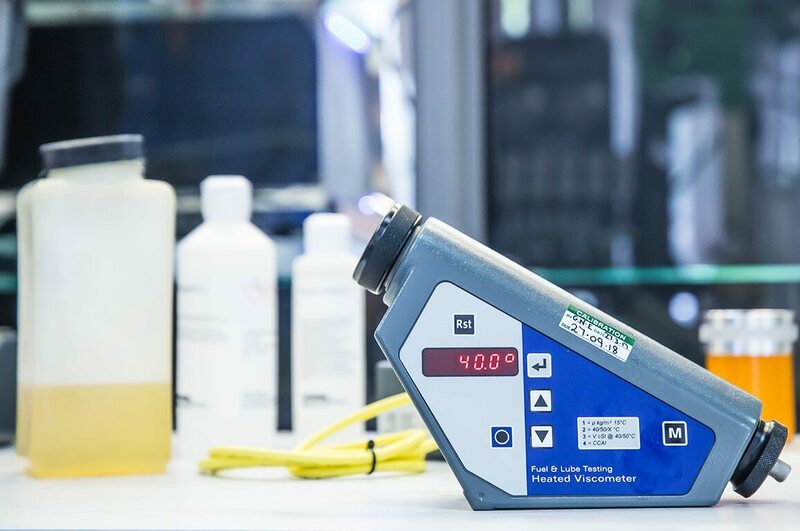 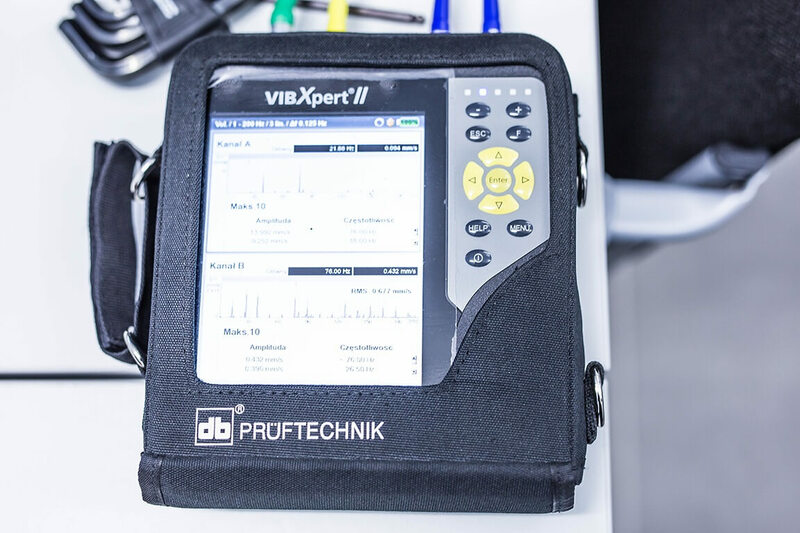 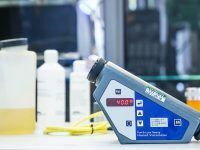 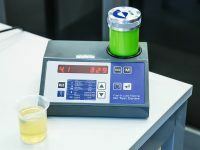 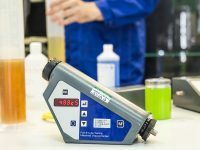 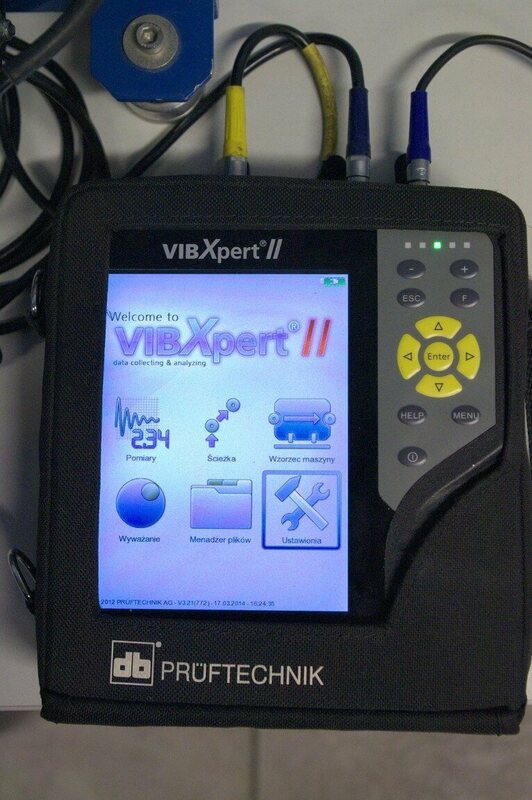 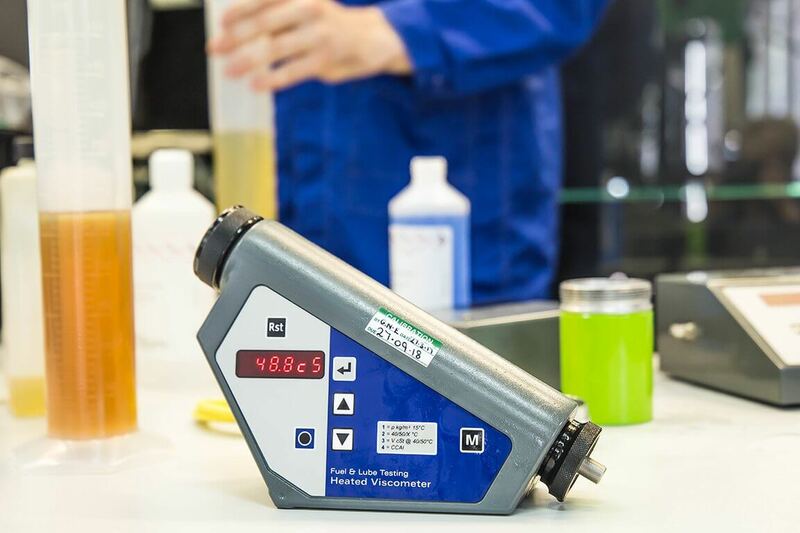 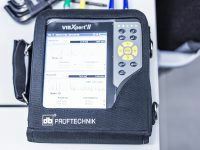 Participants perform tasks and exercises using the VIBEXERT II analyzer expanded to include a new, color display with modern, graphic user interface. 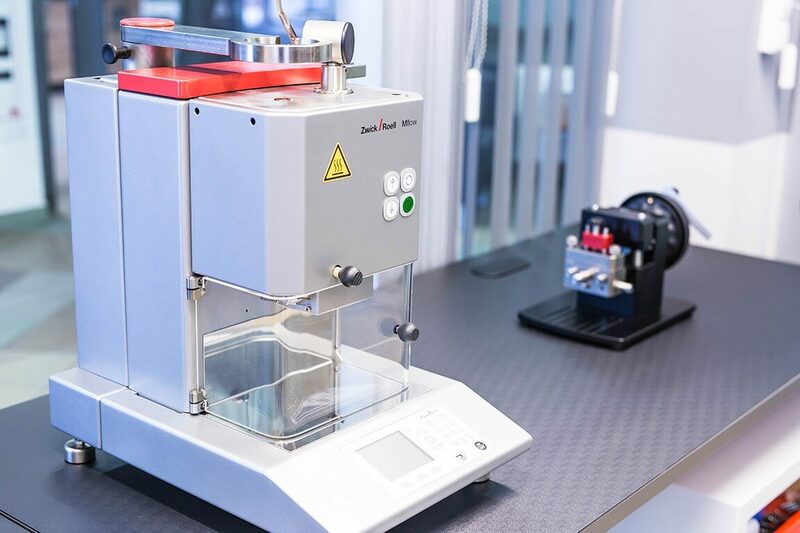 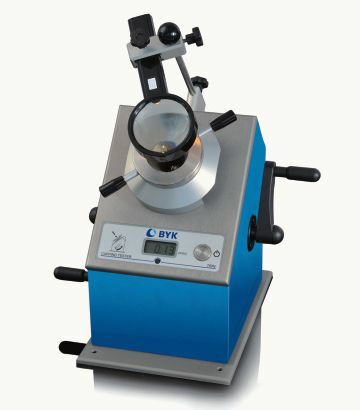 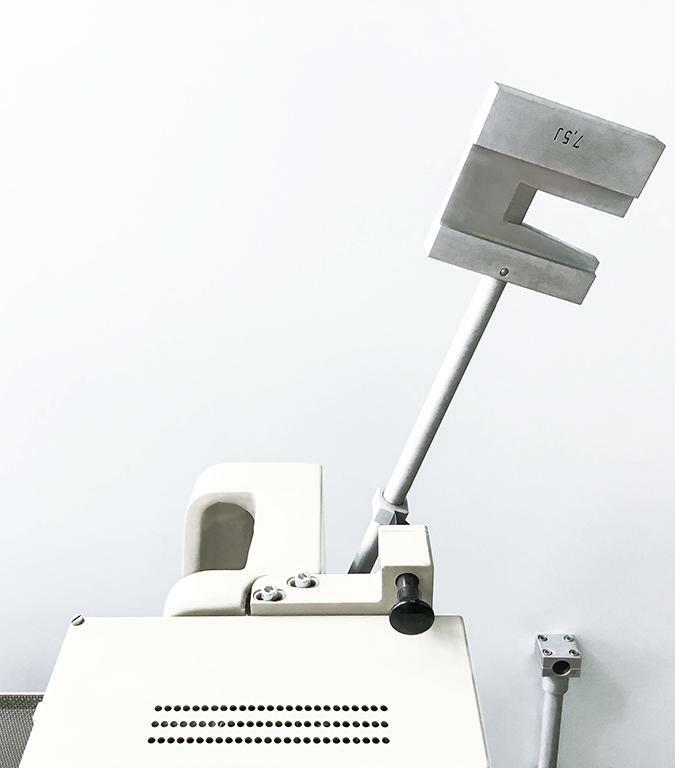 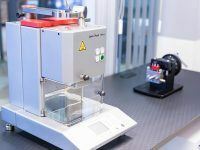 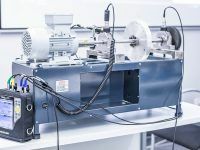 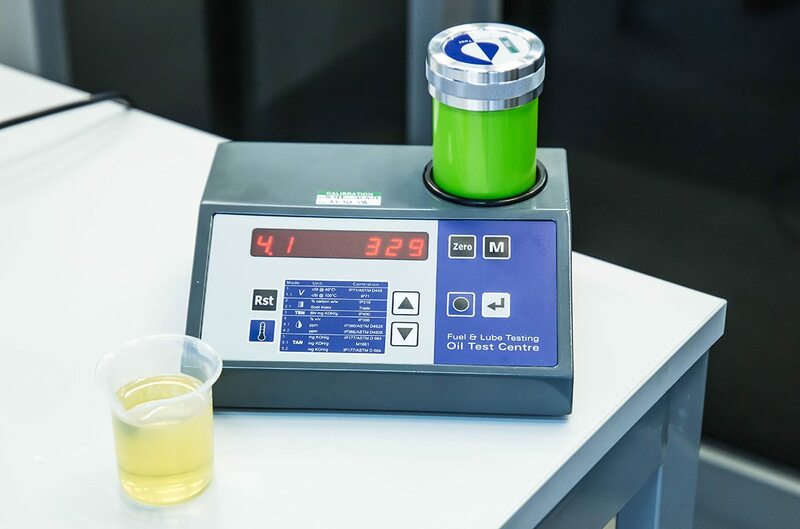 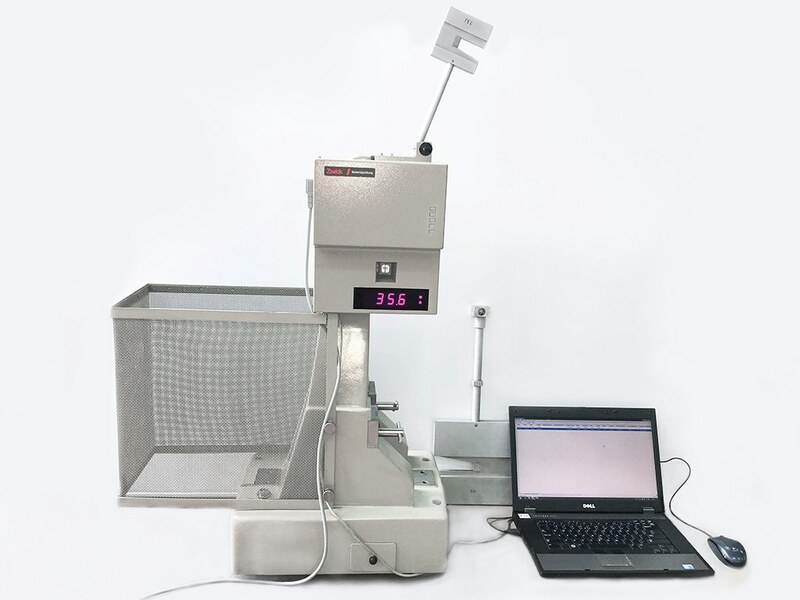 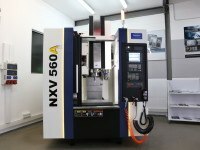 The processor facilitates faster measurements, processing of the measured signals and analyzing the symptoms of defects without the necessity of abandoning the tested machine. 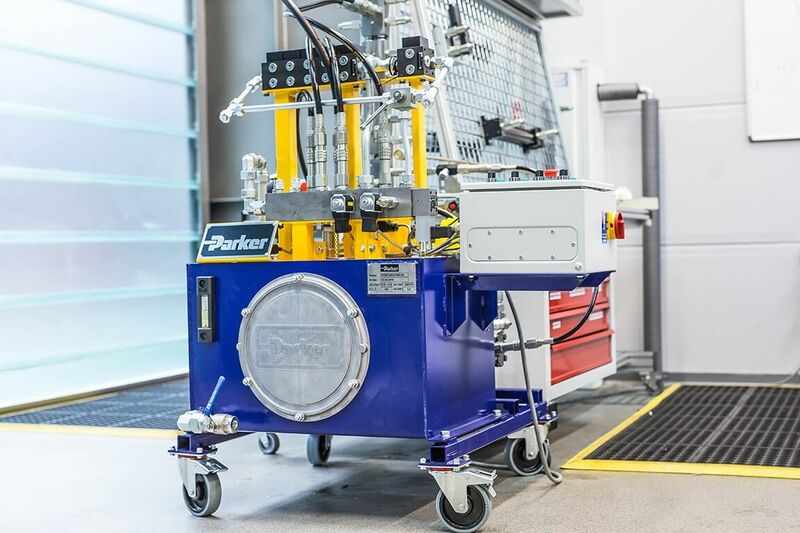 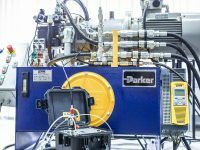 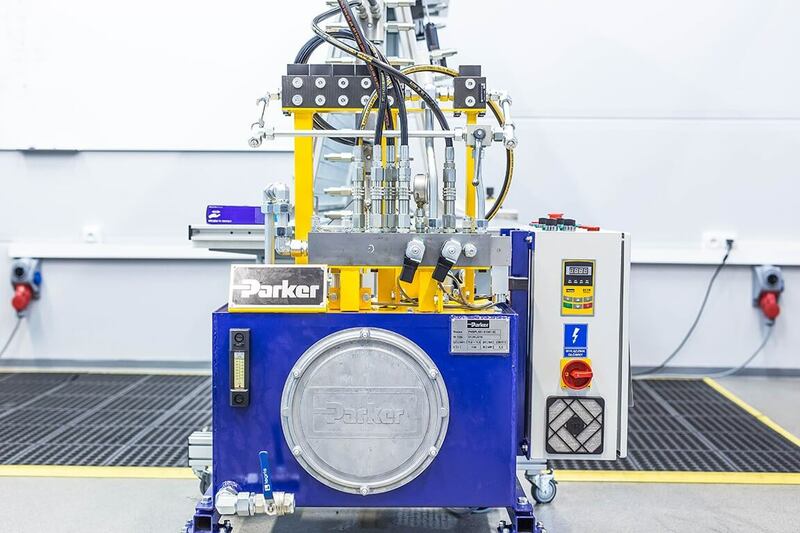 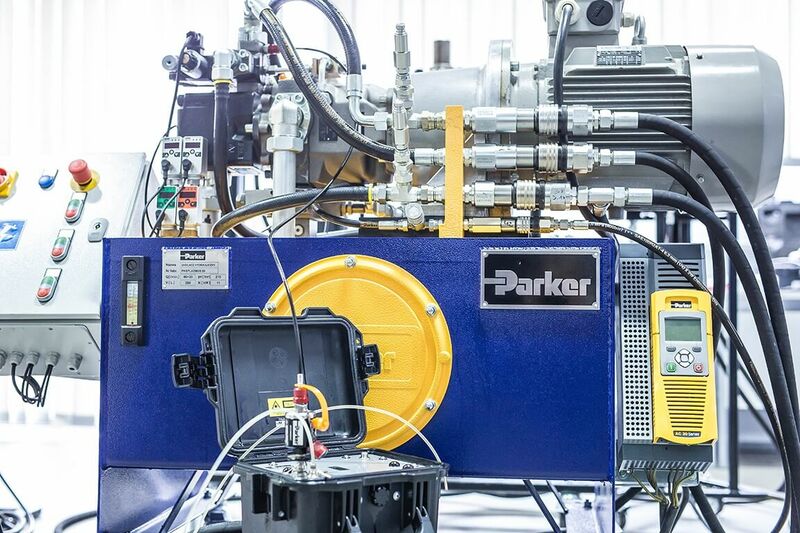 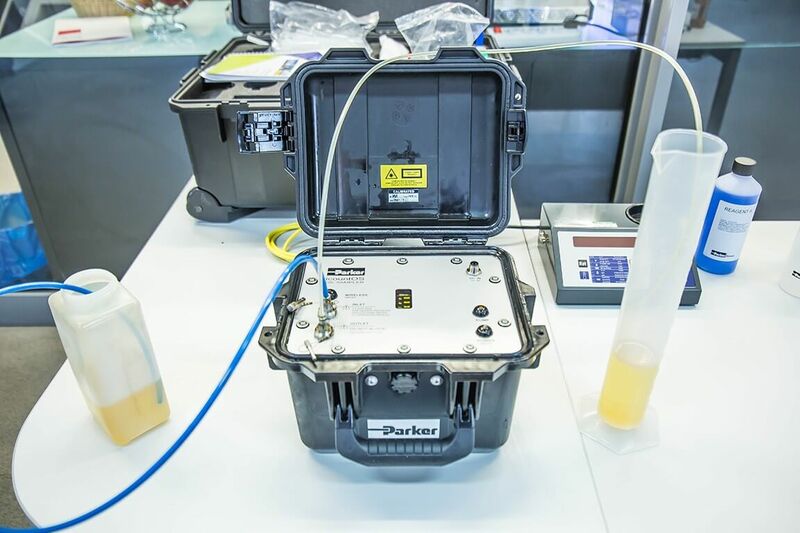 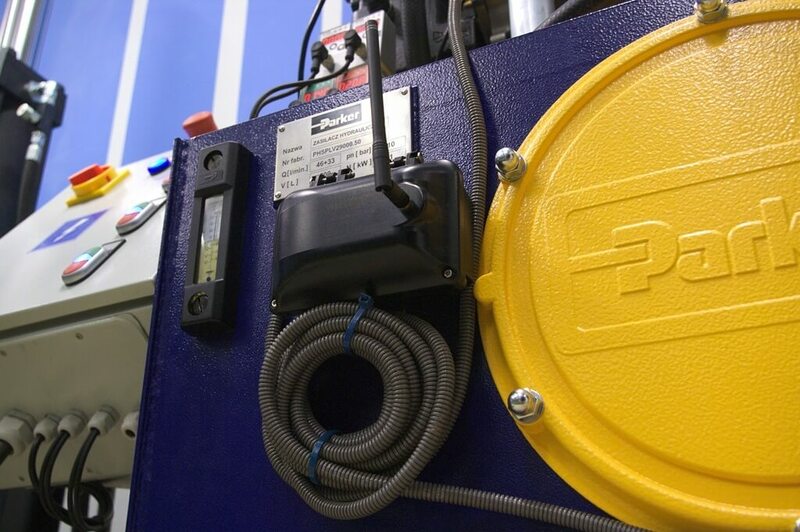 Data is downloaded directly from the high performance hydraulic power unit from PARKER. 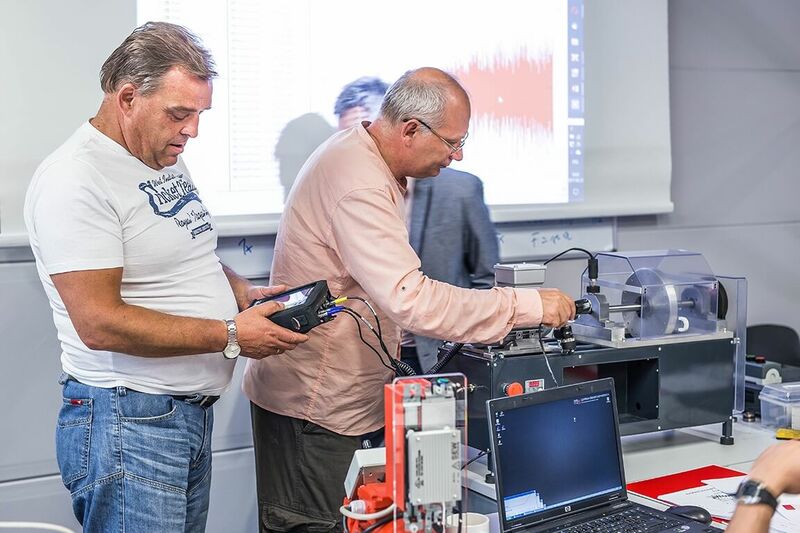 Participants perform tasks and exercises using PRUFTECHNIK SHAFTALIGN device for laser shaft alignment. 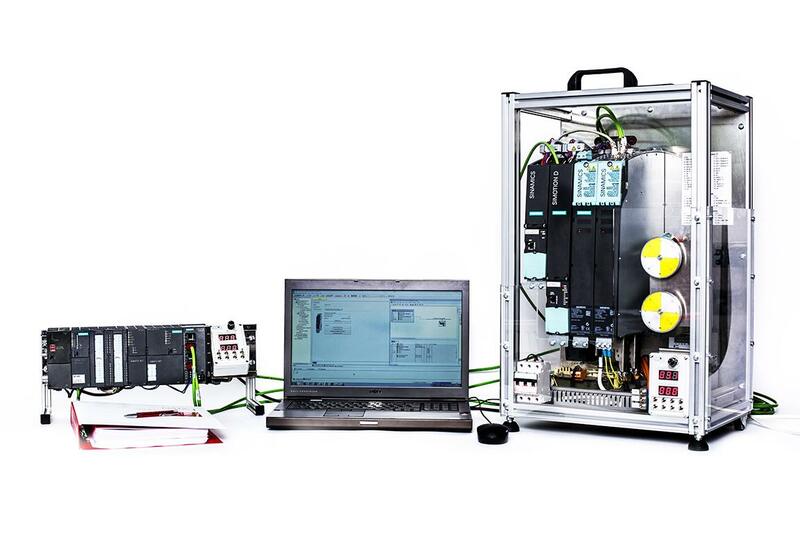 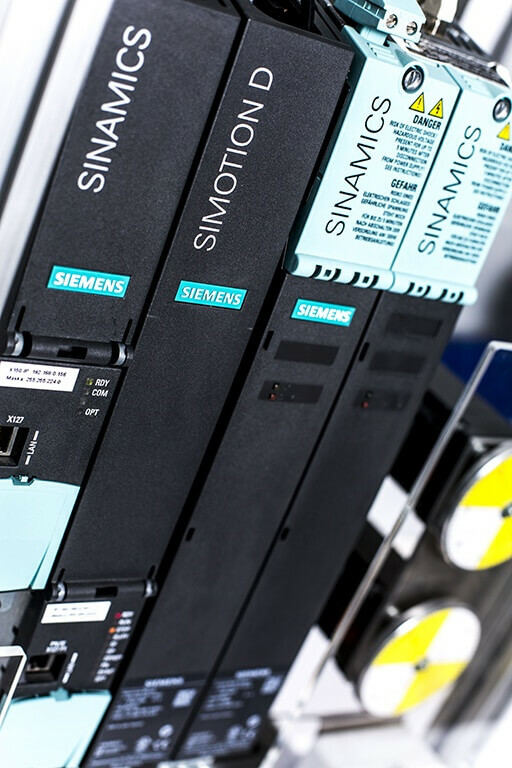 Modern Siemens SIMATIC S7-300 and S7-1200 logic controllers, older S7-200 versions, modules and components of PROFIBUS network, AS-Interface, PROFINET, diagnostic analyzers, operator panels, state-of-the-art software used in industrial automation – these are the basic elements of our laboratory equipment. 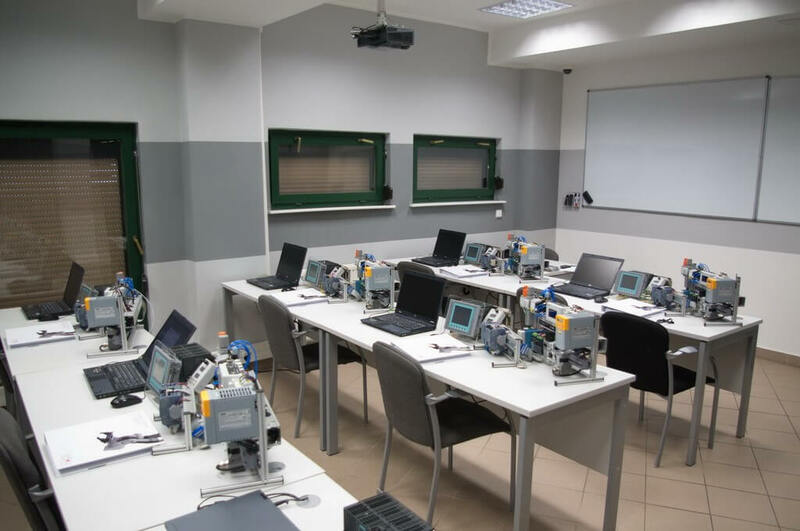 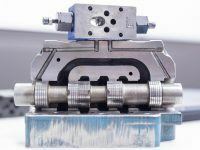 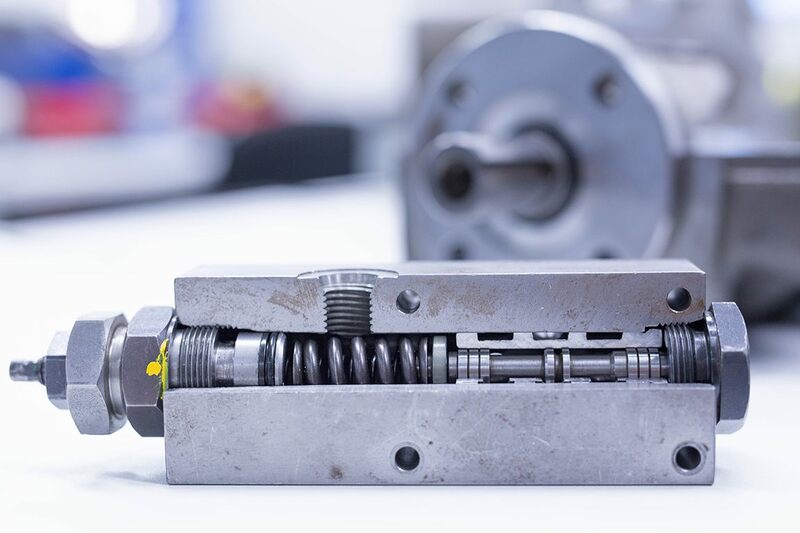 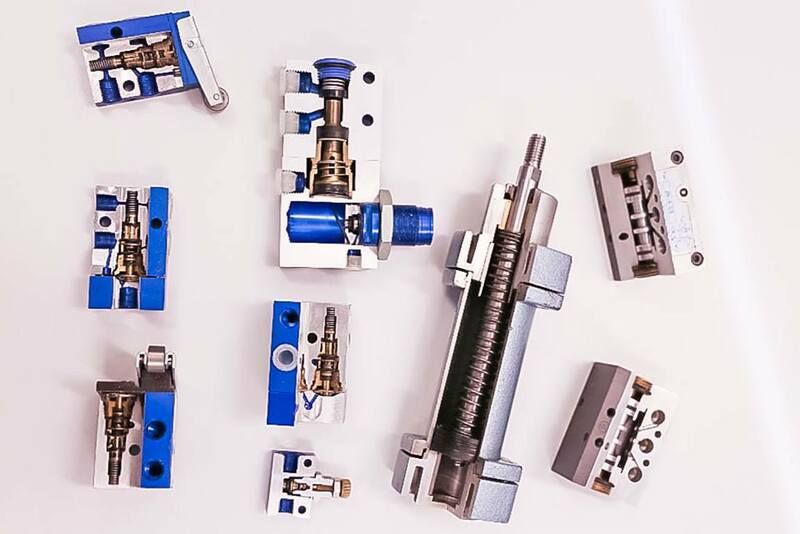 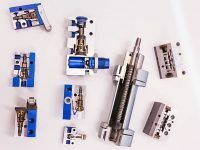 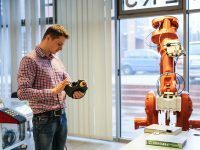 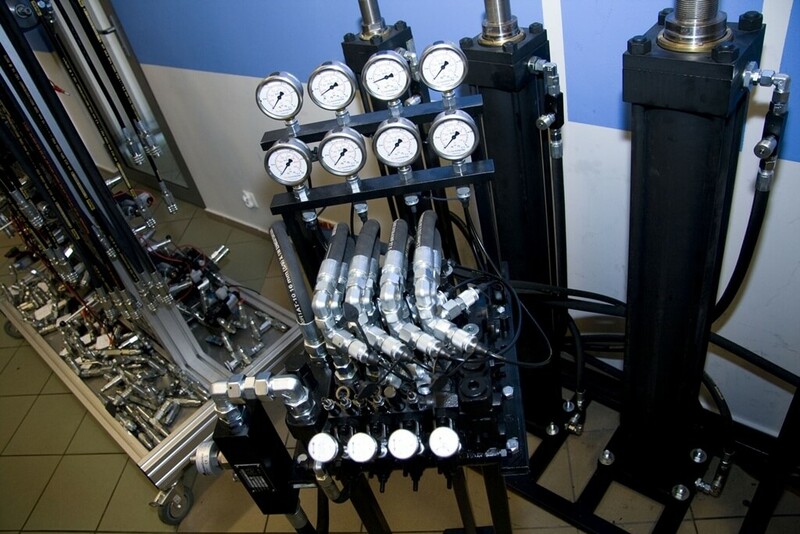 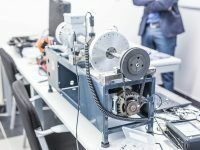 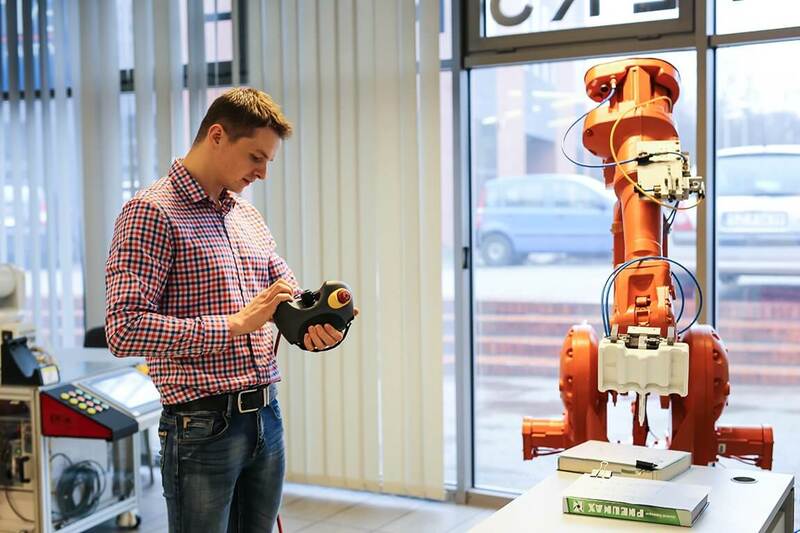 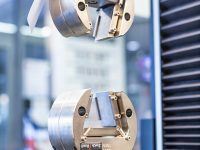 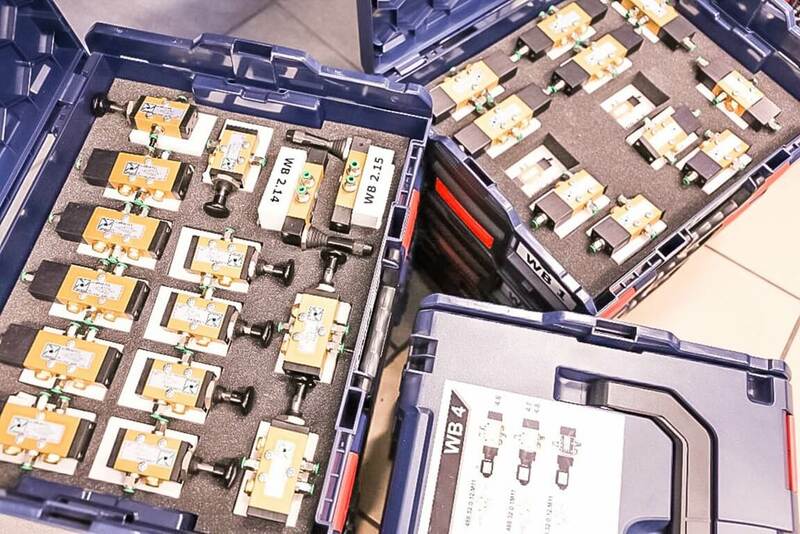 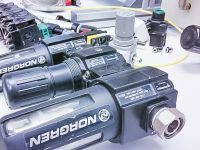 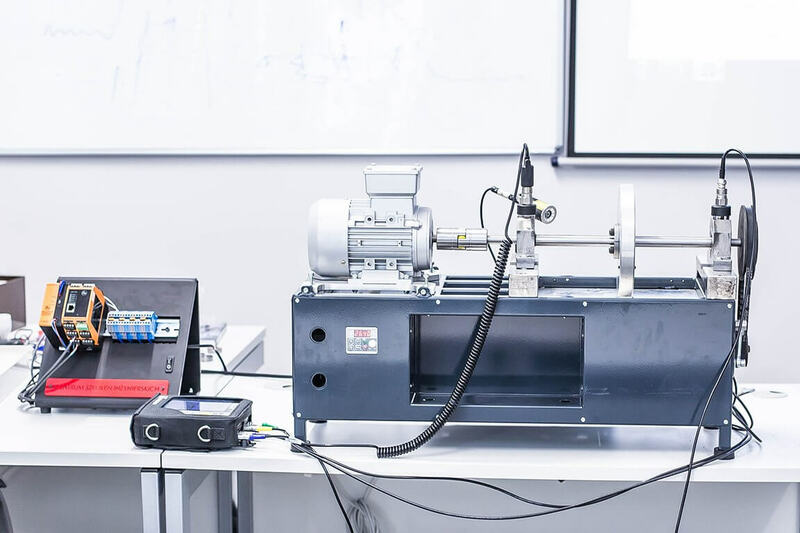 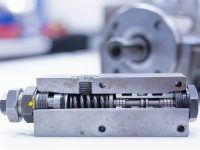 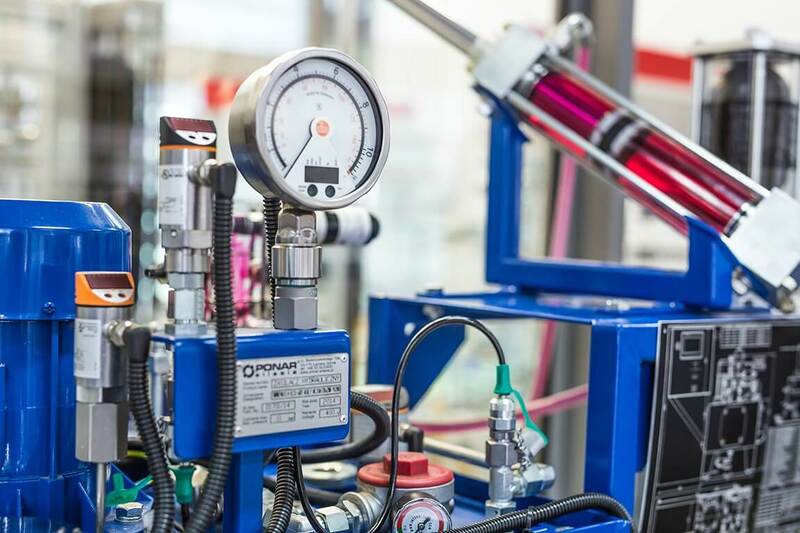 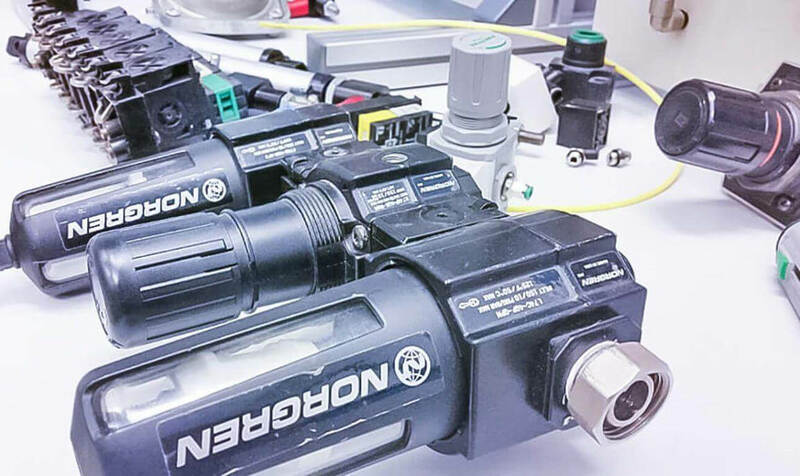 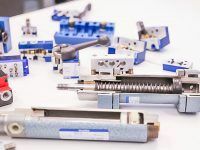 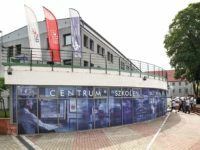 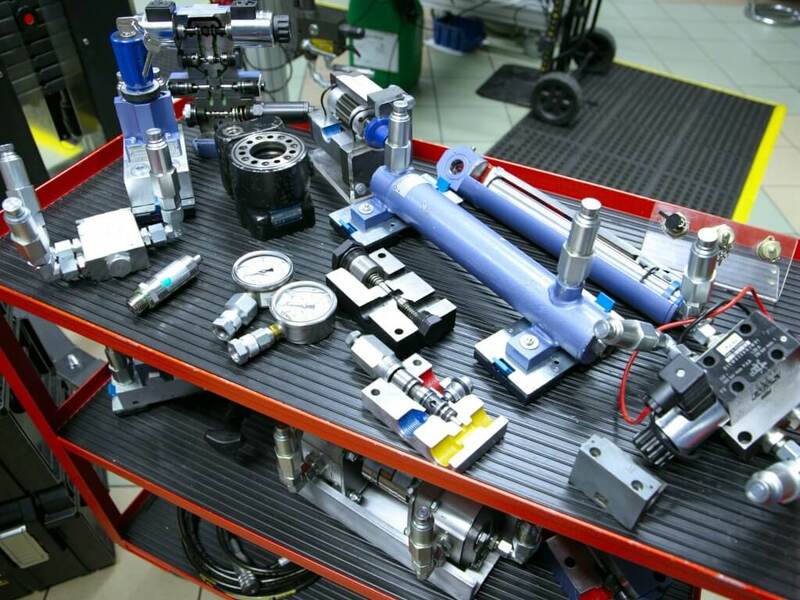 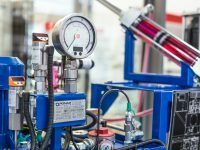 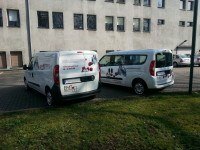 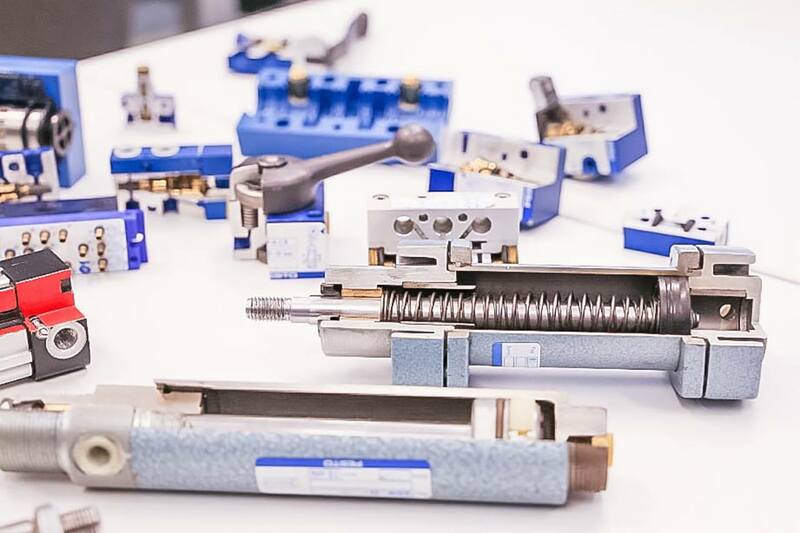 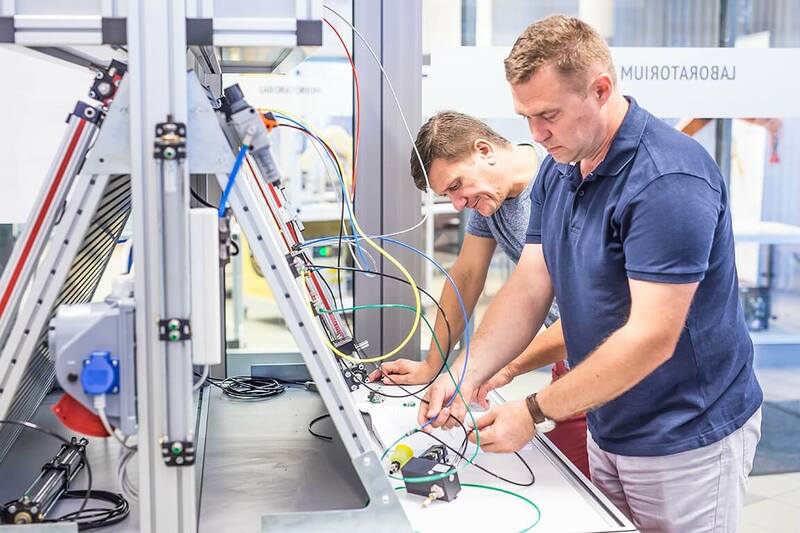 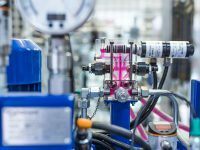 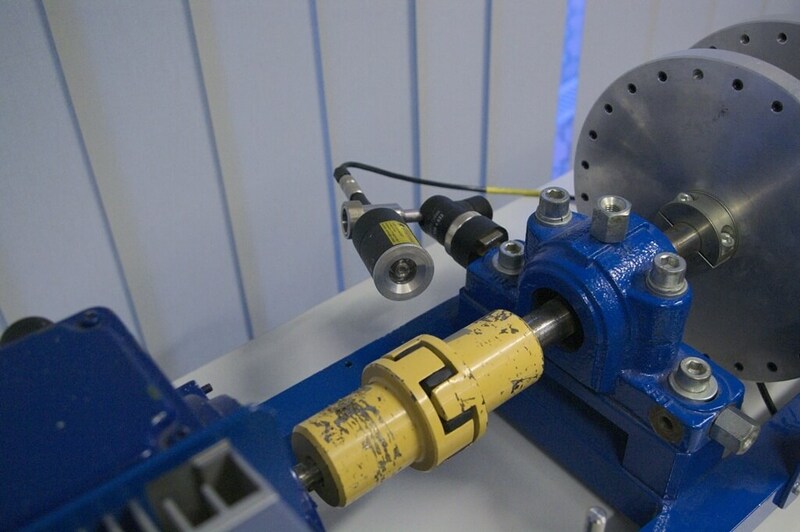 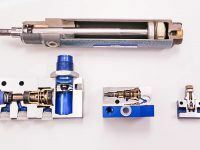 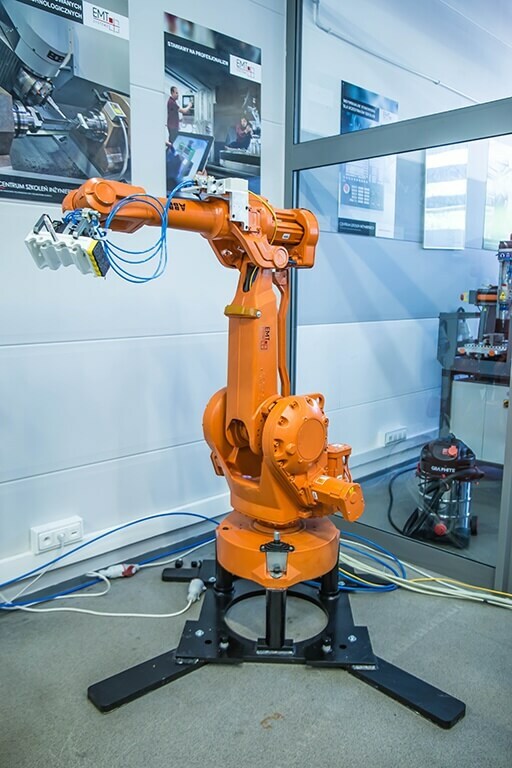 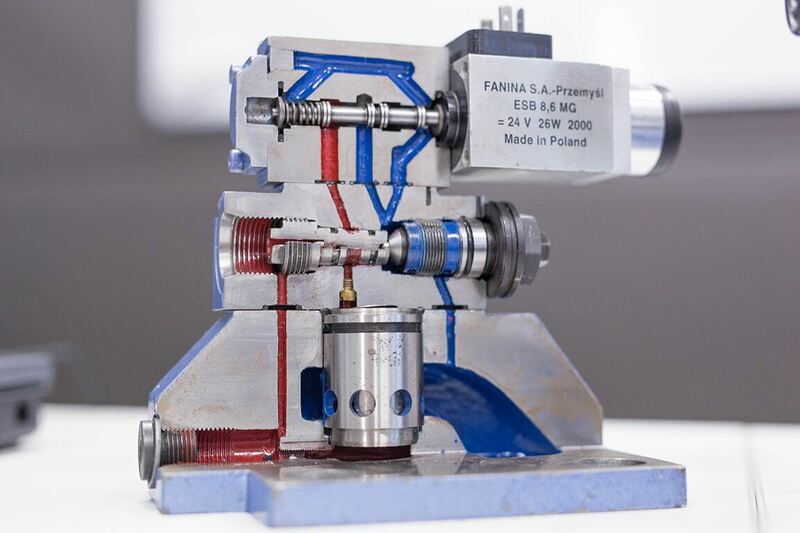 Additionally, we are the only training center in Poland to include industrial actuating elements such as pneumatic cylinders, stepper motors, encoders, temperature sensors, manifolds and many others. 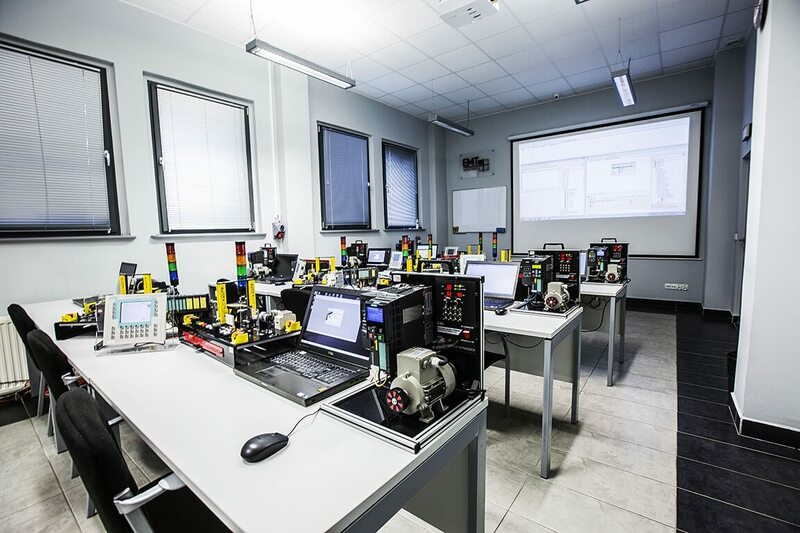 Laboratories are also equipped with HMI operator panels and SCADA software used in courses in modern visualization systems. 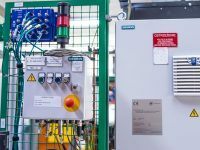 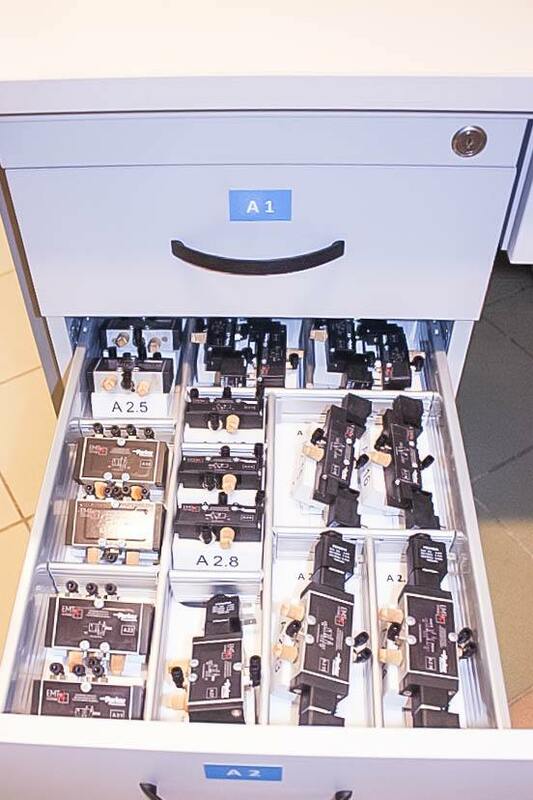 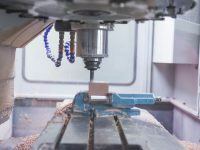 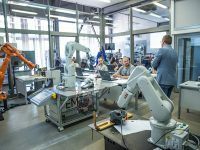 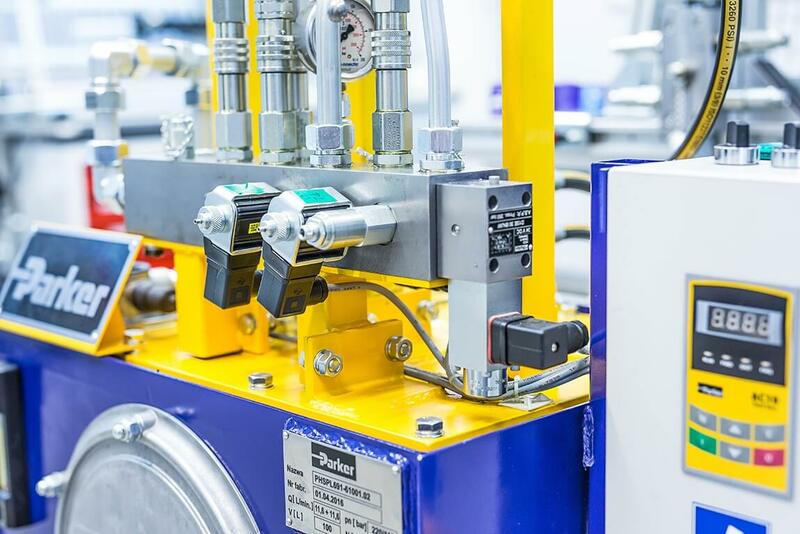 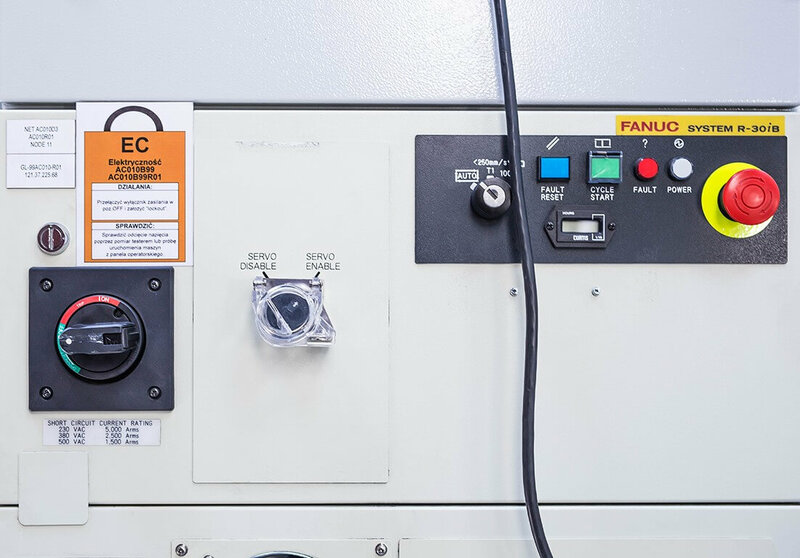 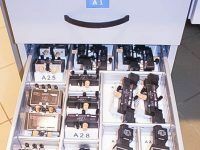 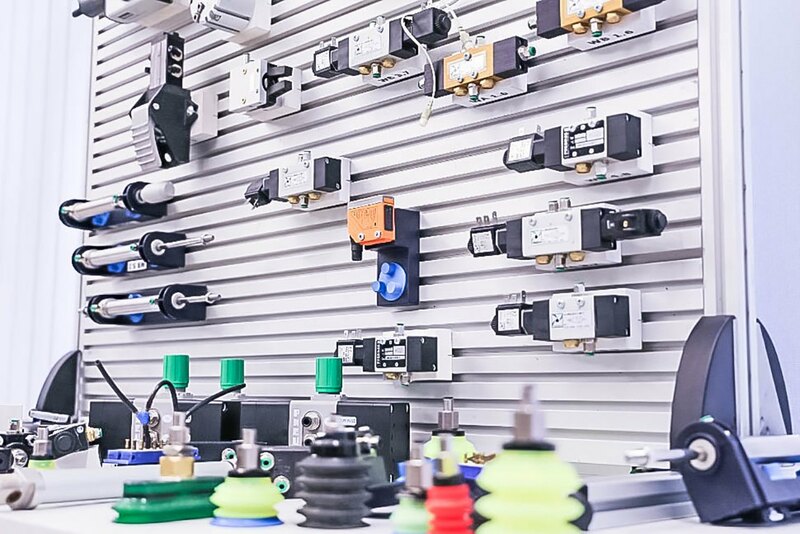 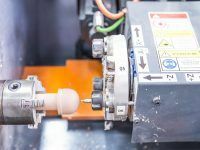 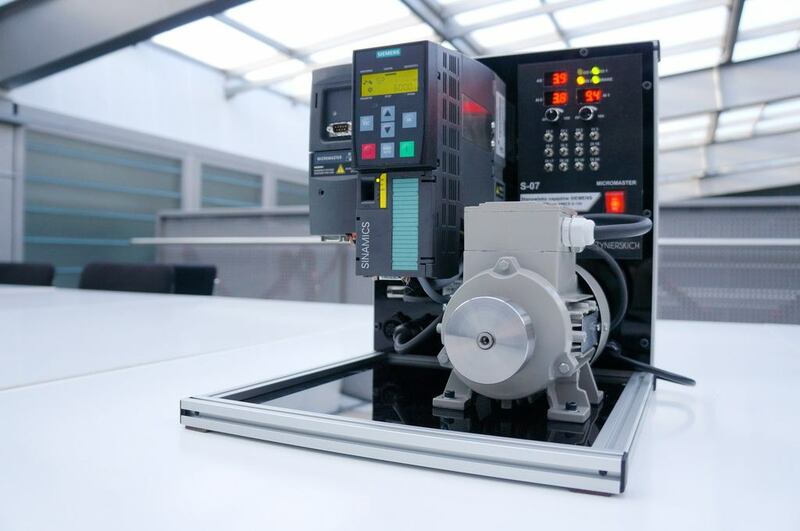 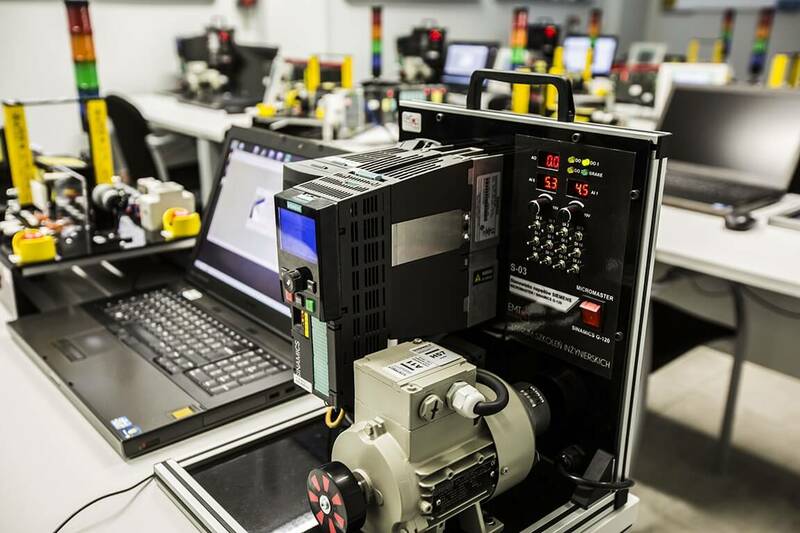 It is also worth mentioning that electrical drives mounted at the workstations allow us to run courses in the modern methods of electric motor control and explain the concepts of economy and energy efficiency in control systems. 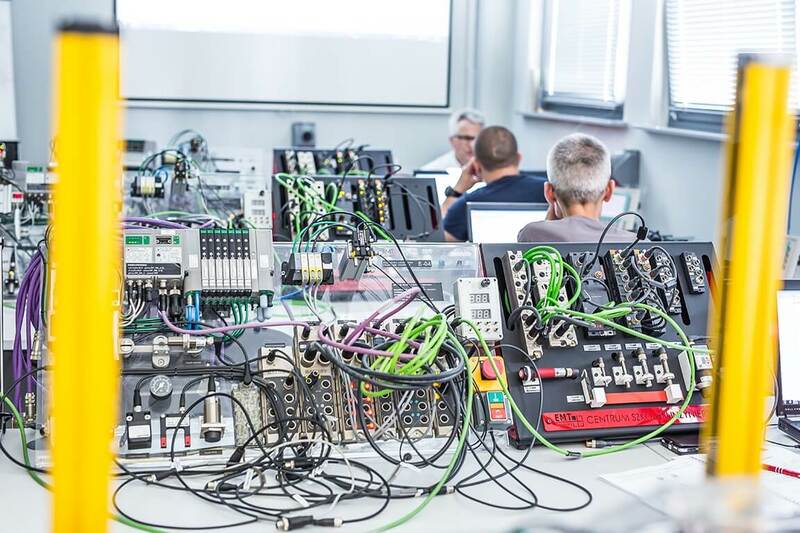 Participants have at their disposal individual workstations designed to practice the tasks and industrial solutions based on the Siemens S7-300/400 S7-1200 and S7-200 controllers. 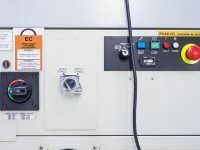 Each station is fitted with the controller featuring digital and analog input/output modules connected with the simulator of digital and analog input/output signals. 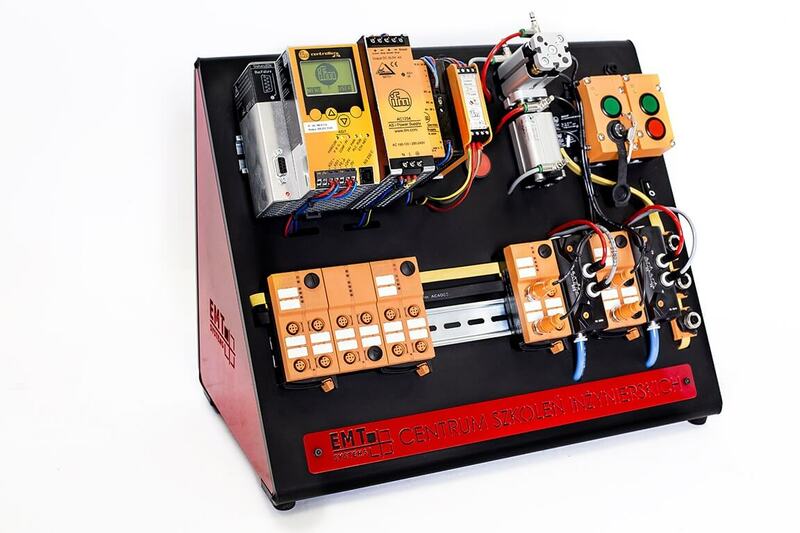 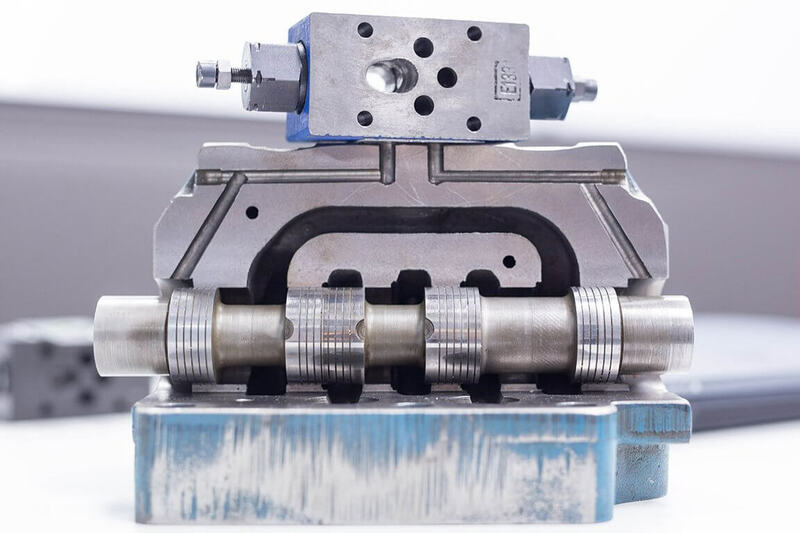 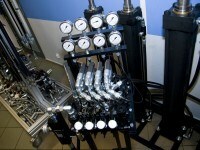 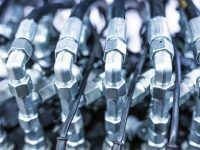 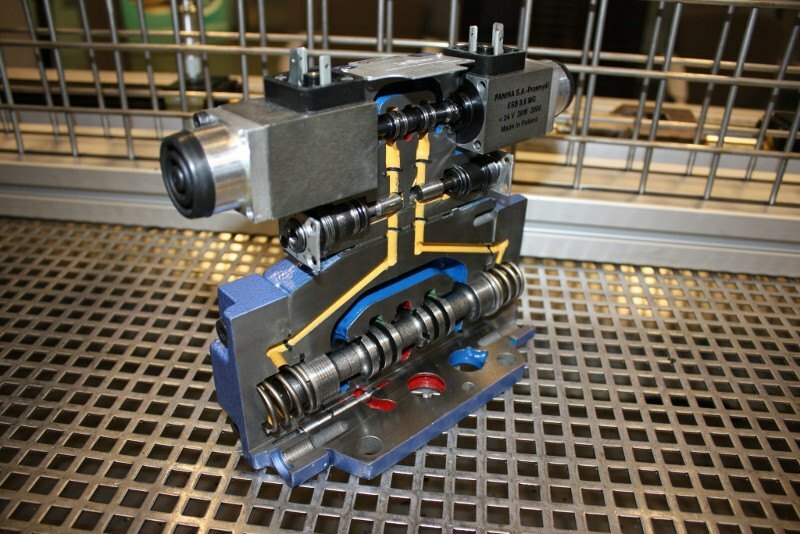 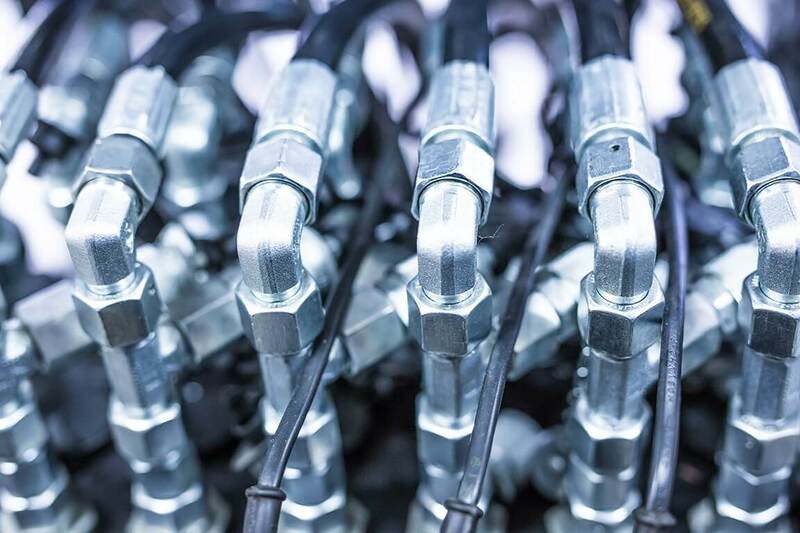 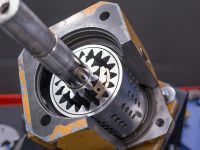 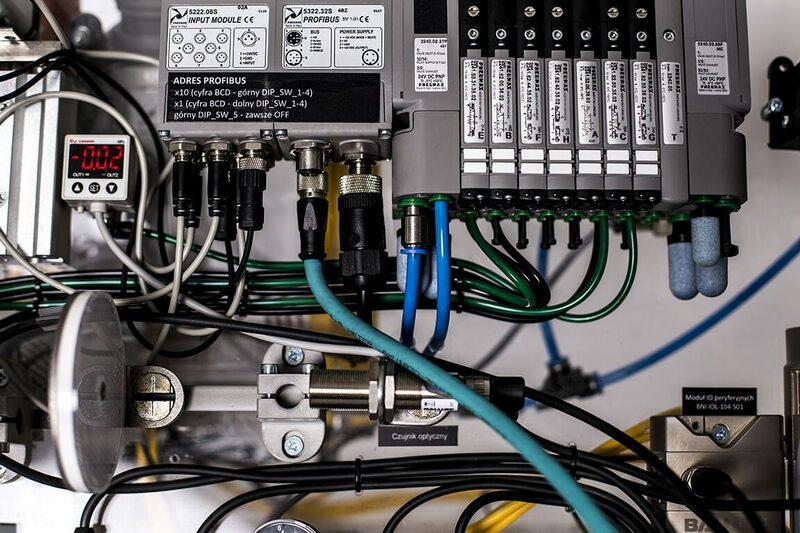 Additionally, each controller is connected with an actuator built of a valve manifold, a manipulator, reed sensors informing about the end positions of the cylinders and pulse button. 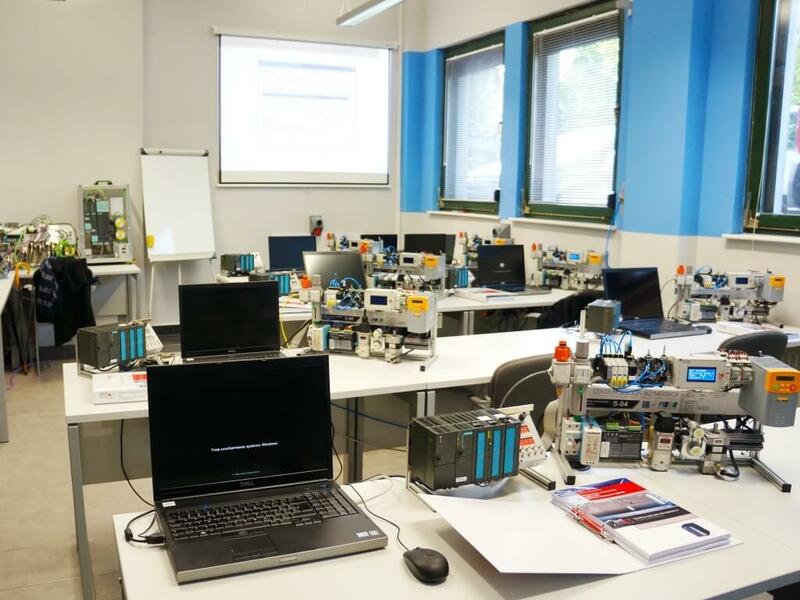 The training positions allow the students to practice using the actual elements applied in the industrial automation. 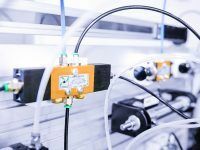 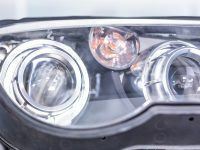 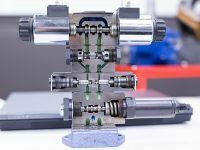 In the near future it is planned to supplement the positions with different types of sensors (optic, induction, capacity, pressure and flow sensors and frequency converters with electric motors. 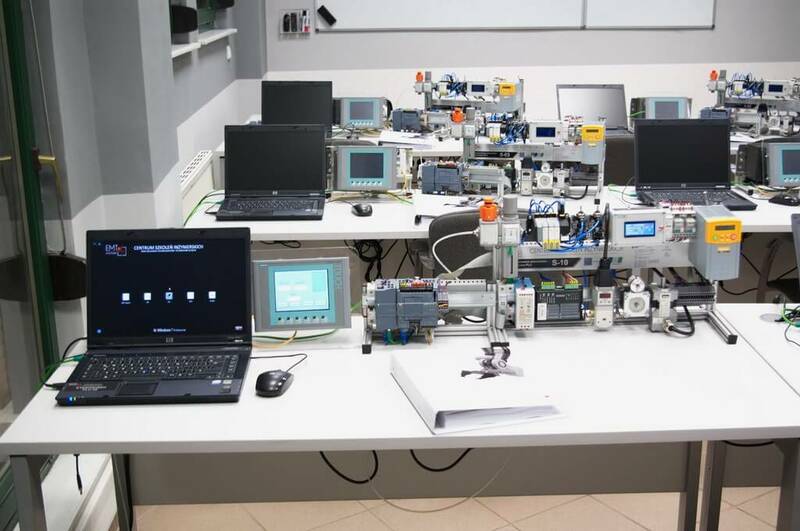 Participants have at their disposal individual workstations designed to practice the tasks and industrial solutions based on the use of PLCs. 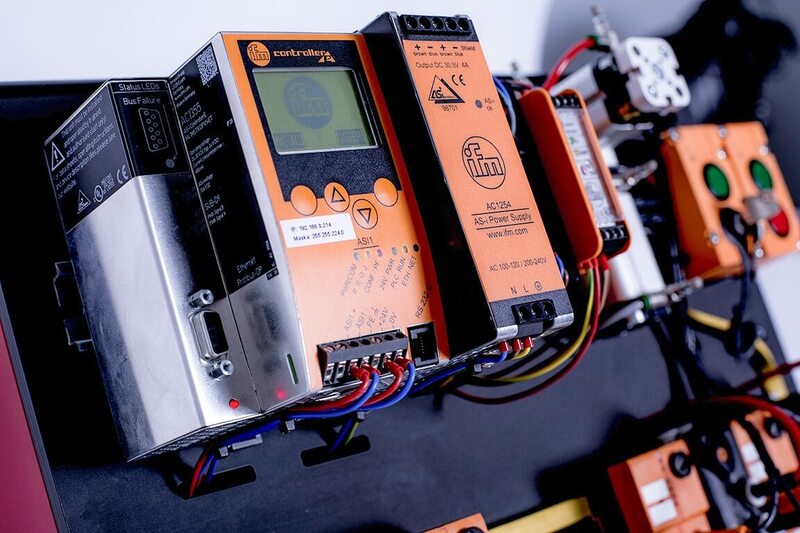 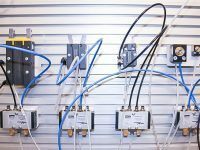 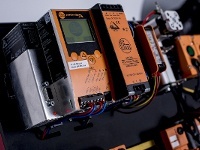 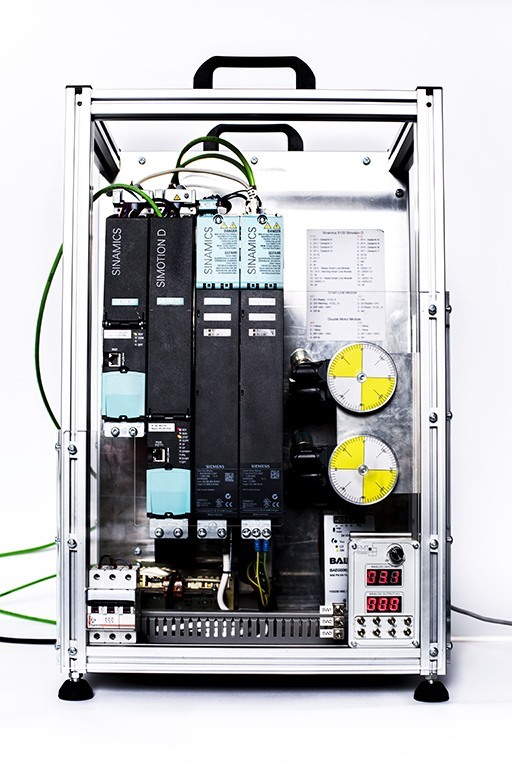 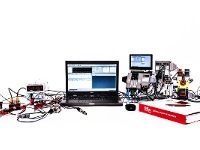 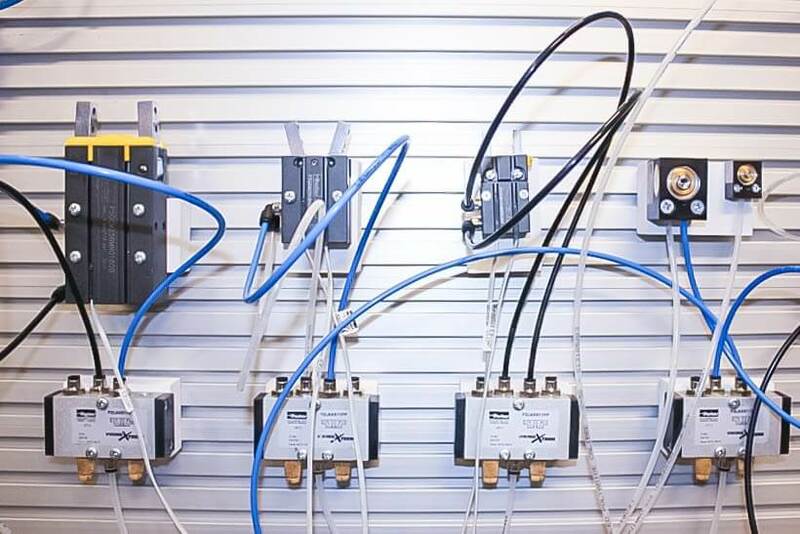 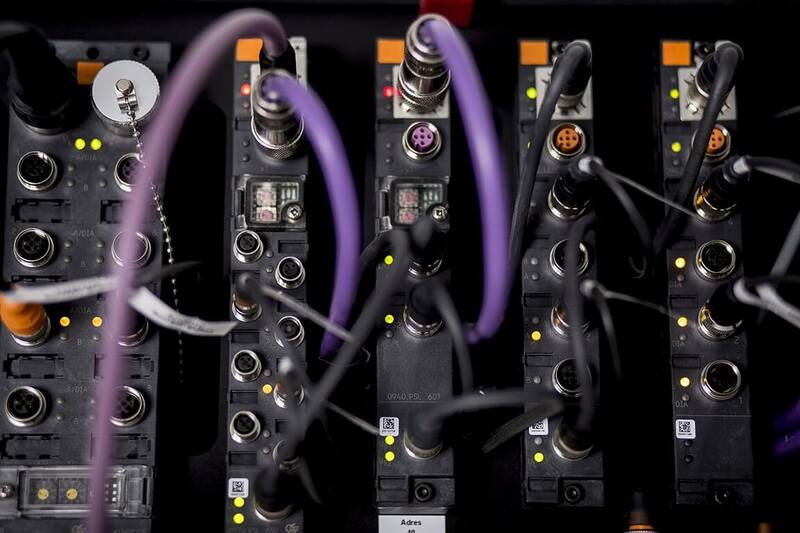 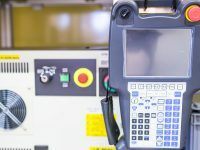 Each station is equipped with the controller fitted with digital I/O modules, I/O signal simulators, and a PC with STEP7 software connected with the PLC. 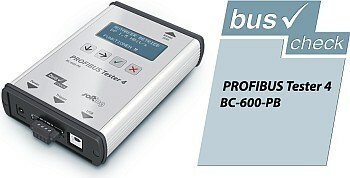 A PC with STEP7 and TIA Portal software. 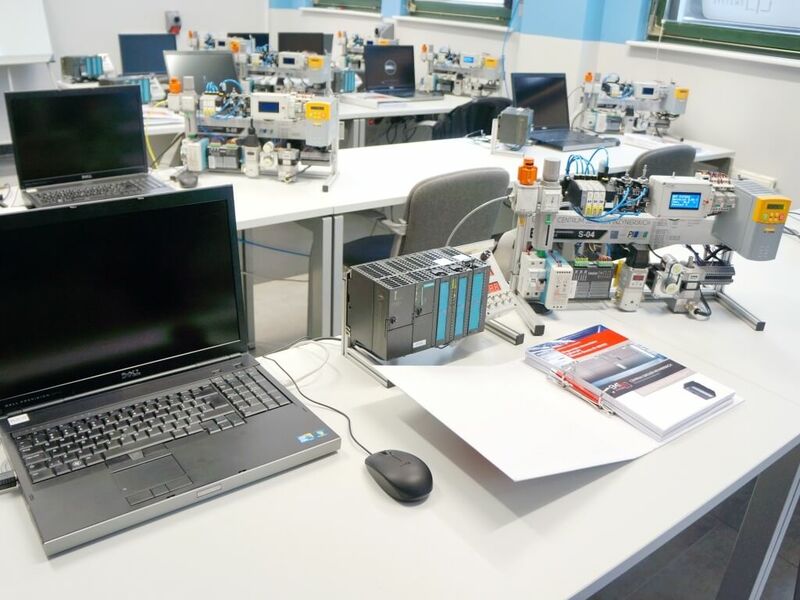 The workstations allow the students to practice using real elements applied in the industrial automation. In the near future, it is planned to supplement the stations with different types of sensors (optic, induction, capacity, pressure and flow sensors and frequency converters with electric motors. 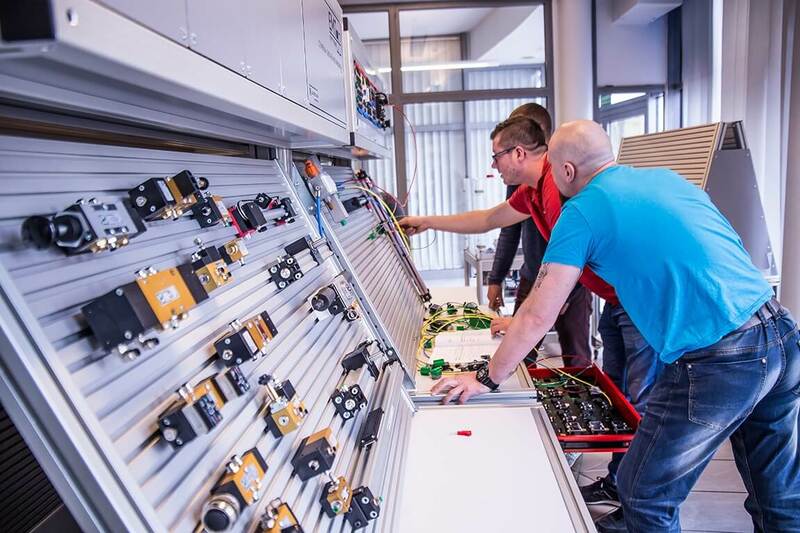 During the training, participants also use, besides PLC-F controller and real actuators, Operator Panels for the purposes of demonstrating the alarms connected with the safety system and the mechanism of confirming safety system errors by the subject panel. 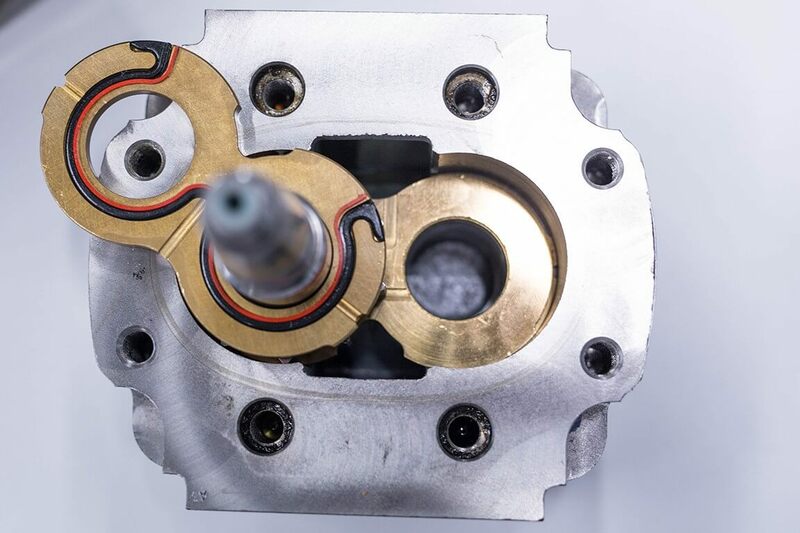 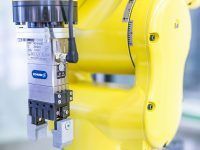 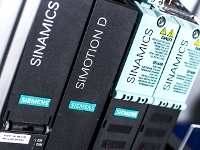 Another important actuating element is frequency converter (Sinamics G120) controlling the asynchronous motor fitted with embedded safety functions called both by digital inputs and via communication networks. 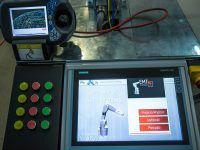 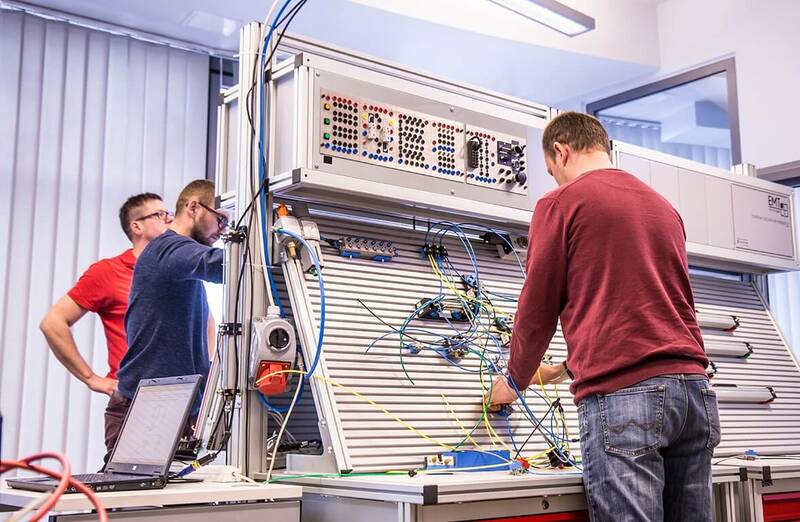 Participants have individual training positions at their disposal, where they perform industrial tasks based on Siemens S7-300/400 controllers. 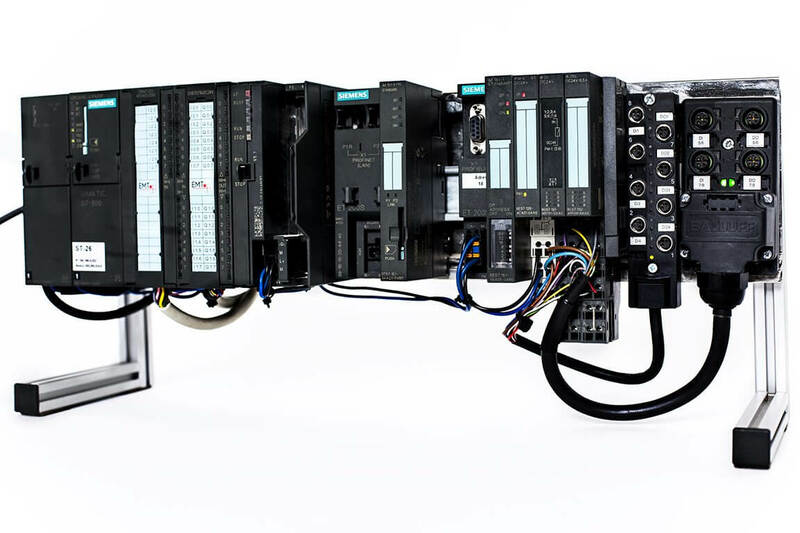 The training position consists of the PLC fitted with analog and digital input/output modules combined with a digital and analog signal simulator. 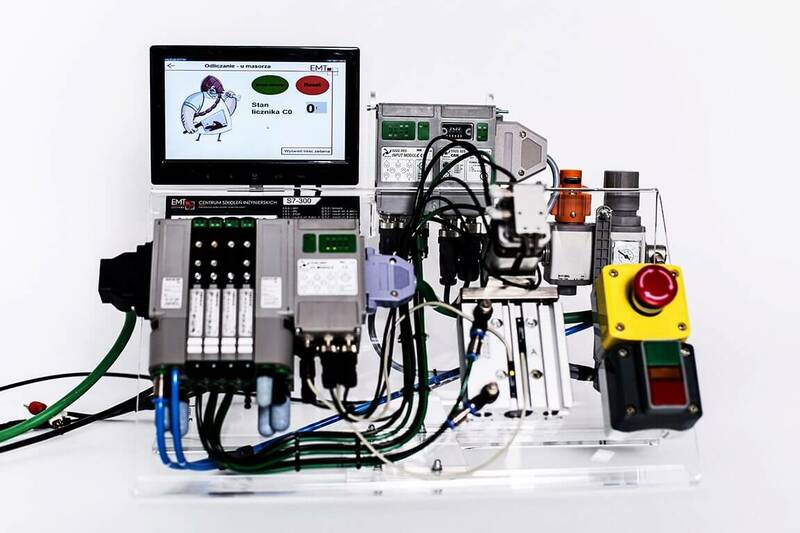 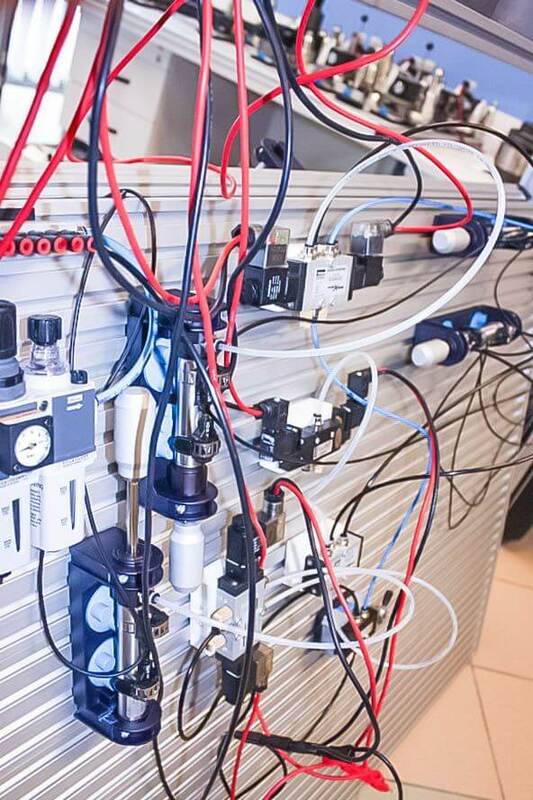 Additionally, each controller is connected with the lab station (basic or advanced) fitted with actual elements applied in the industry. 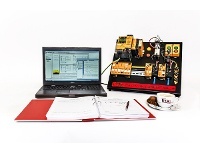 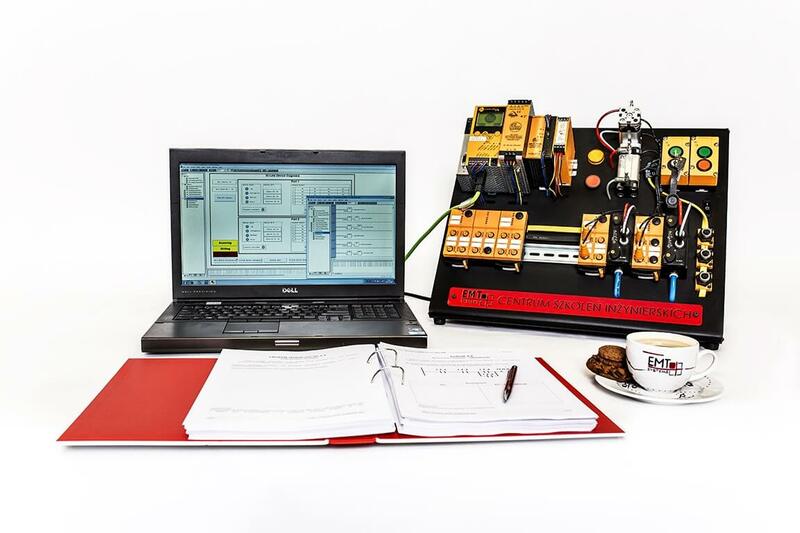 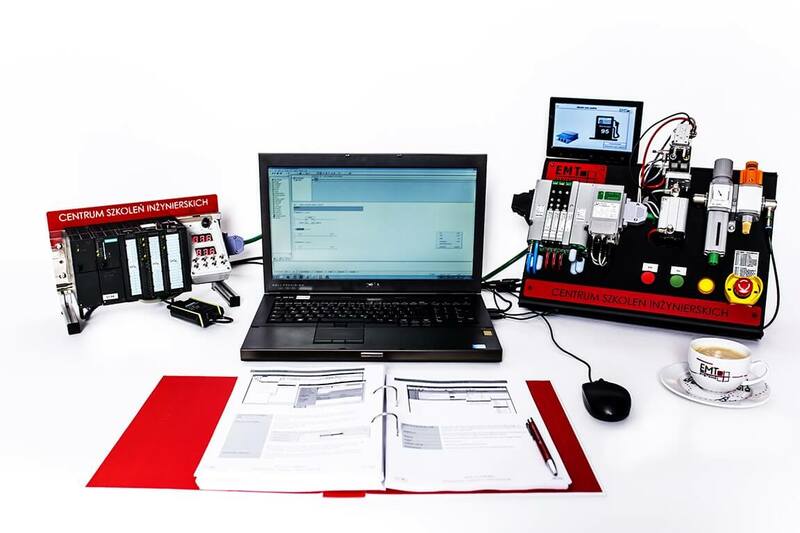 Each participant has at their disposal an individual workstation designed for practicing diagnostics, analysis and maintenance of S7-300/400 logic controllers. 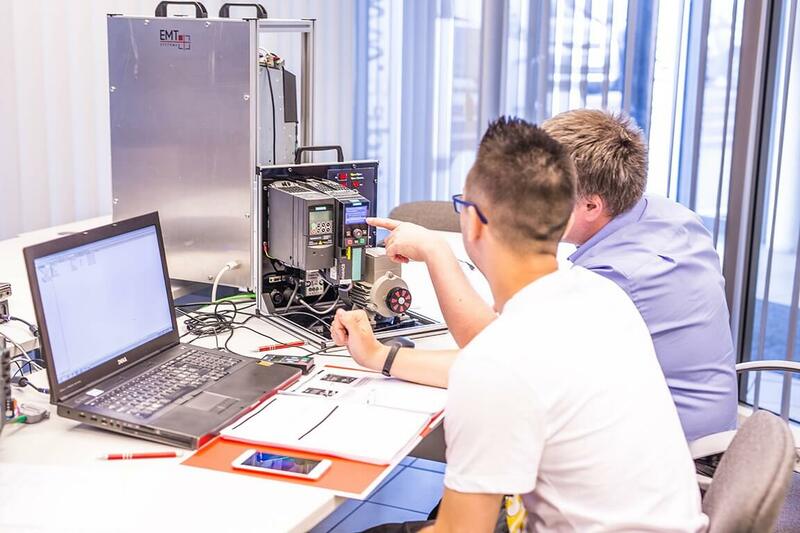 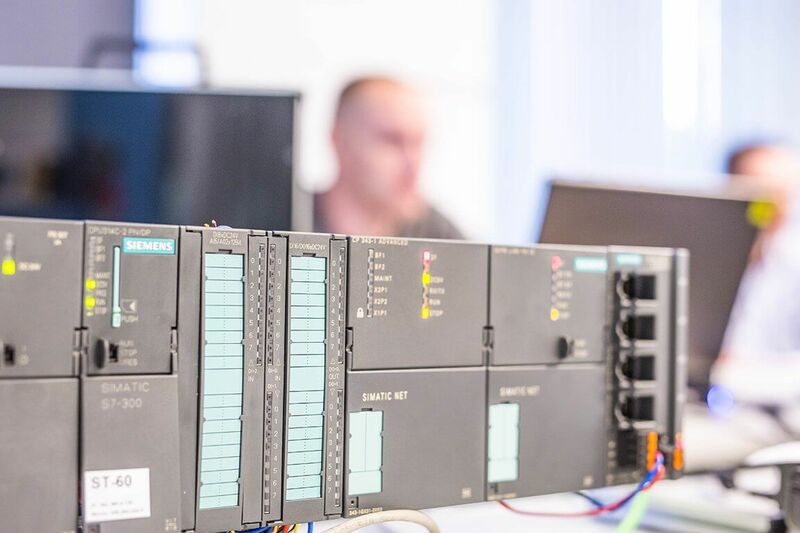 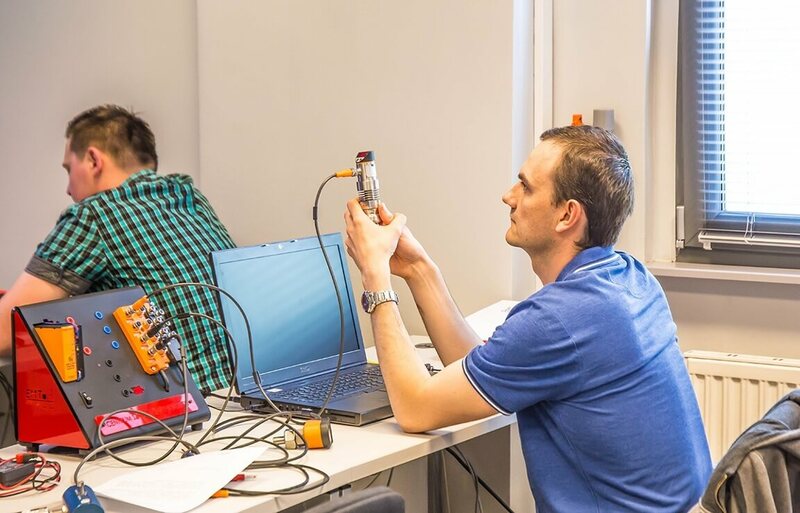 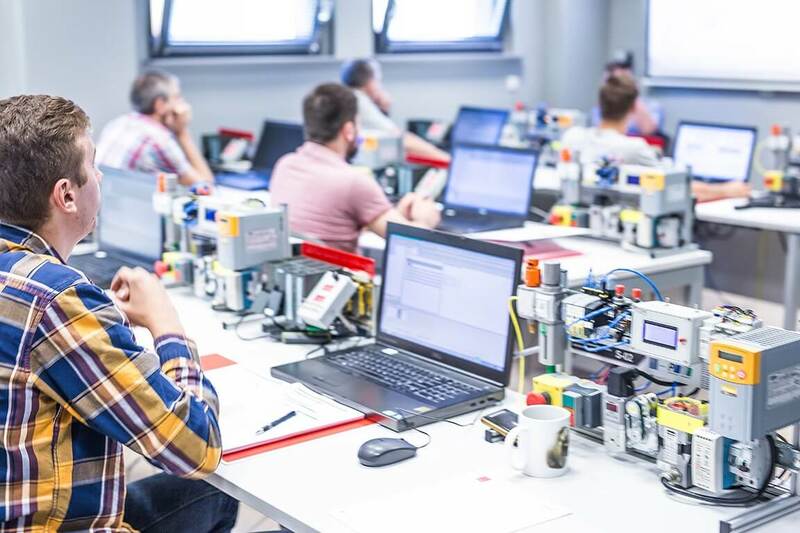 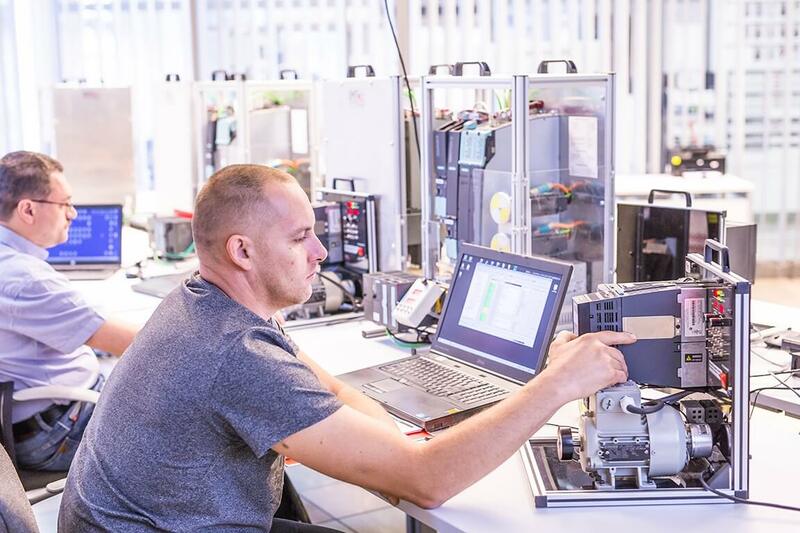 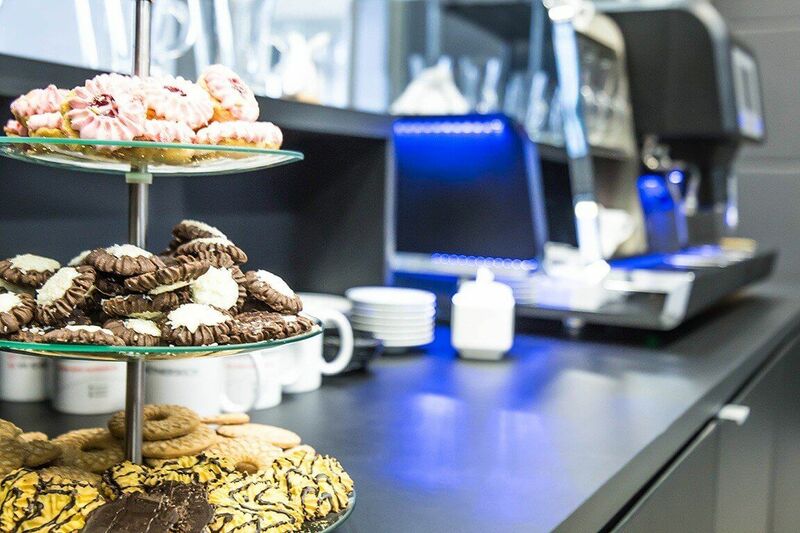 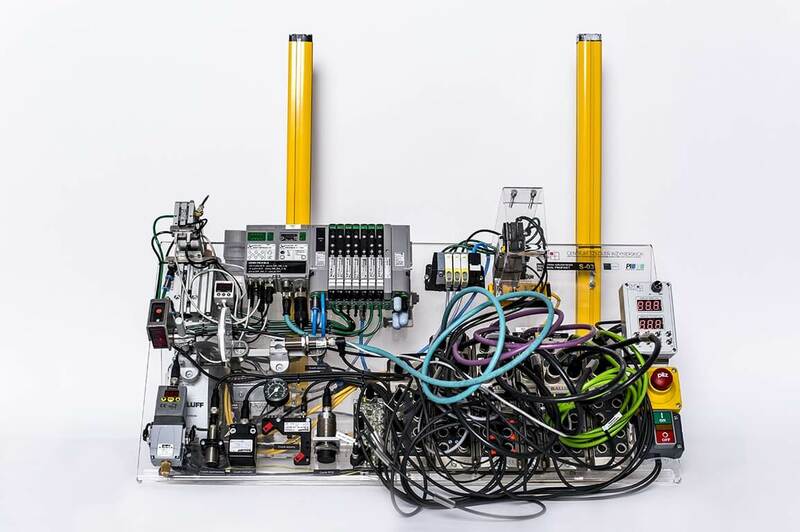 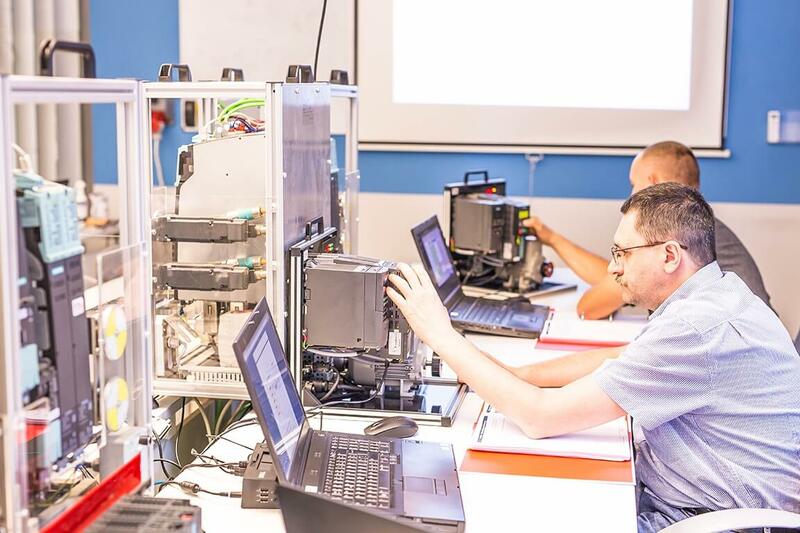 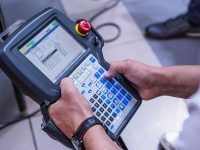 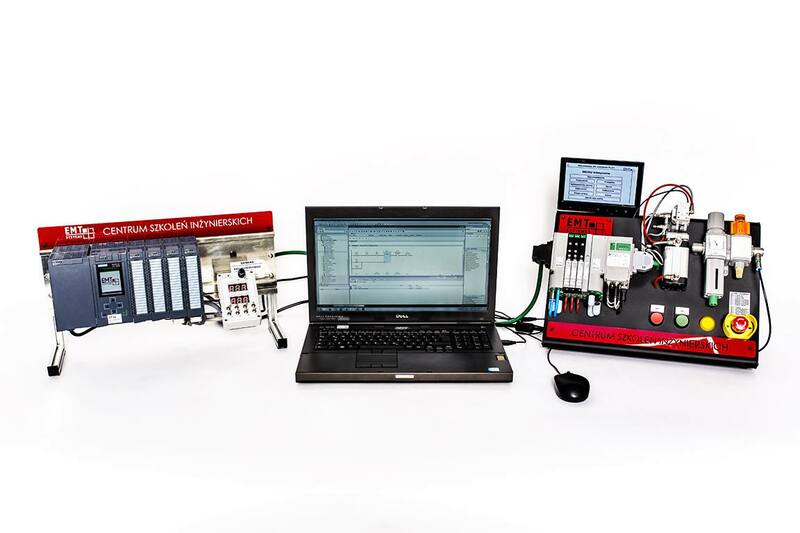 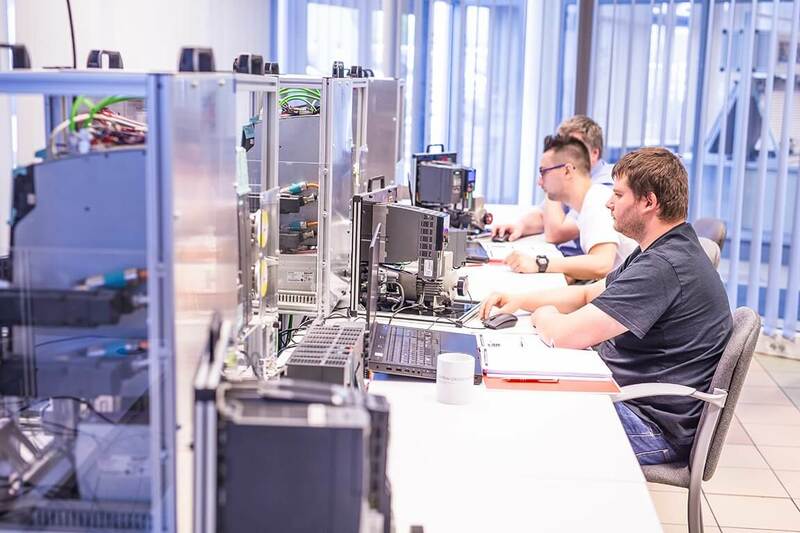 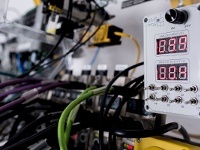 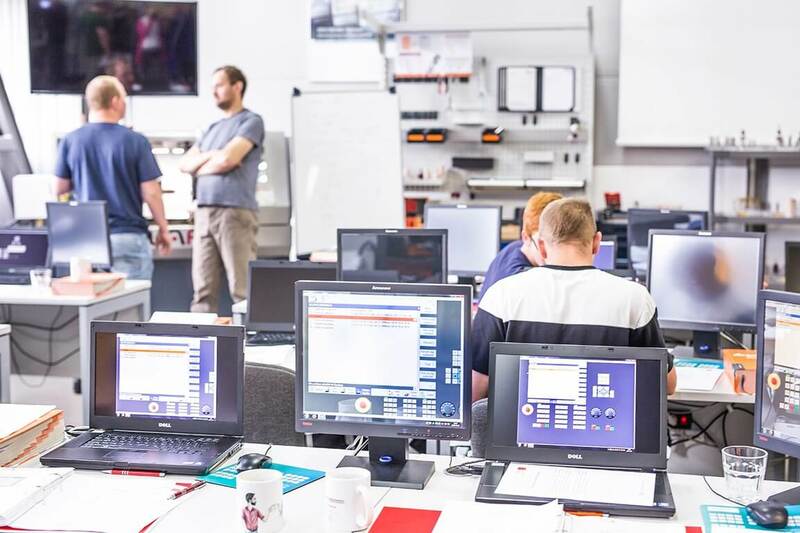 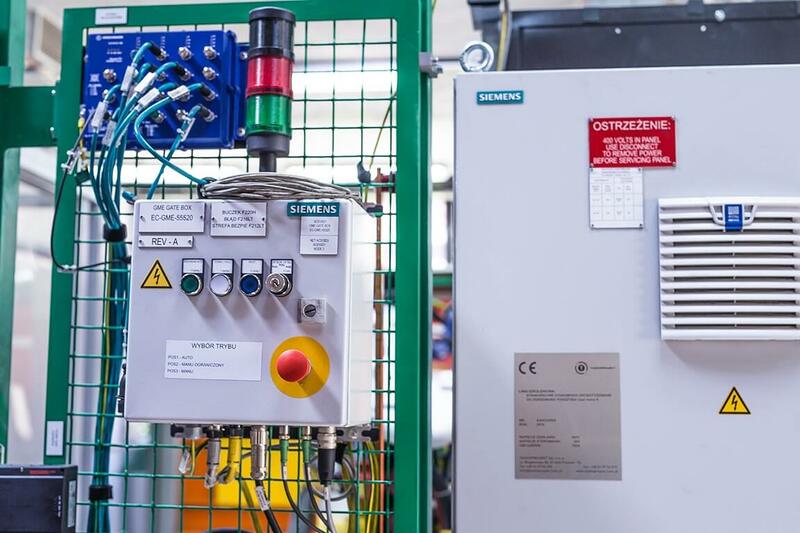 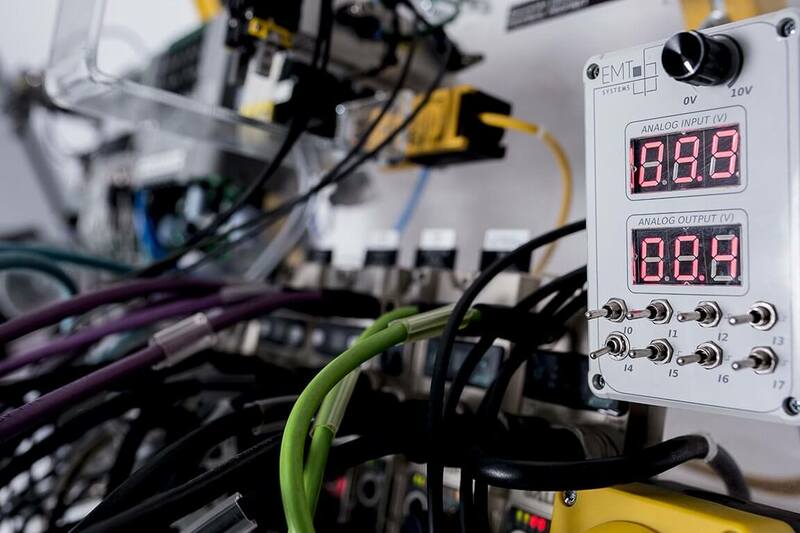 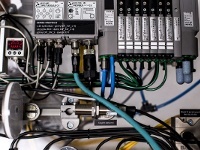 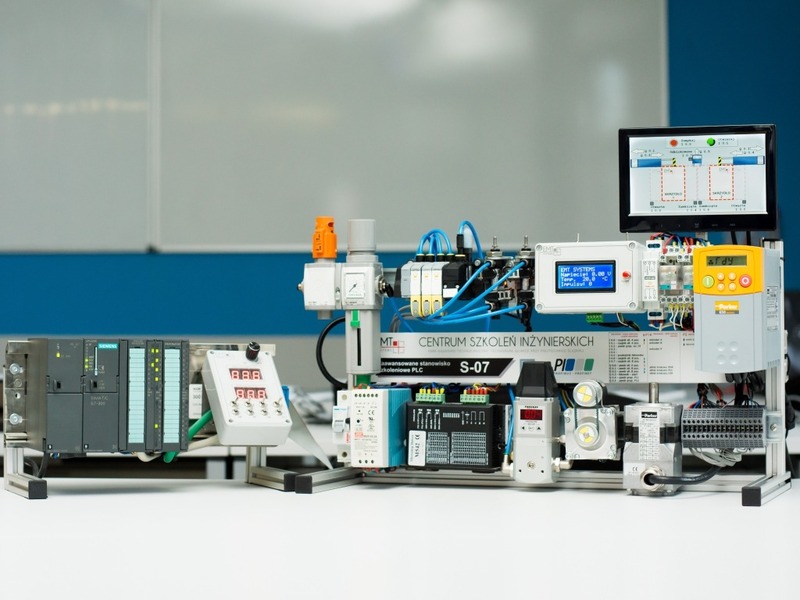 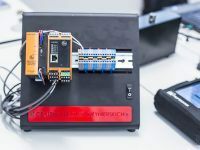 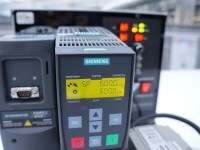 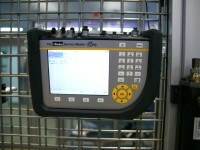 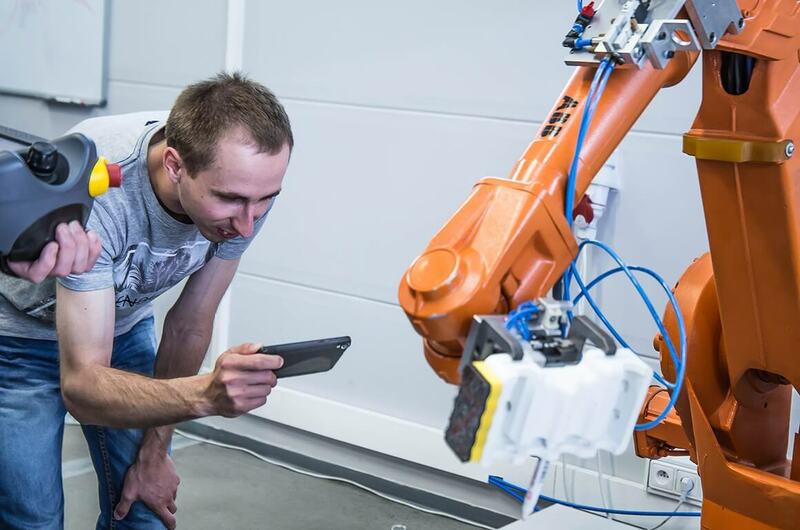 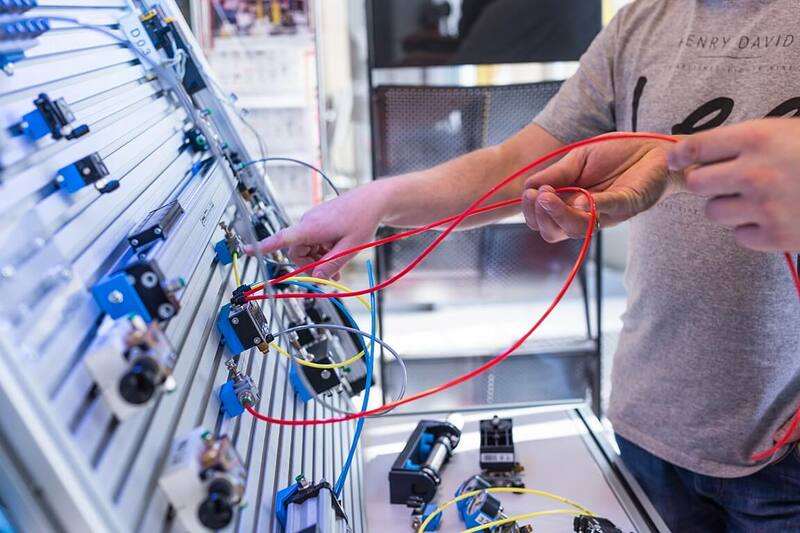 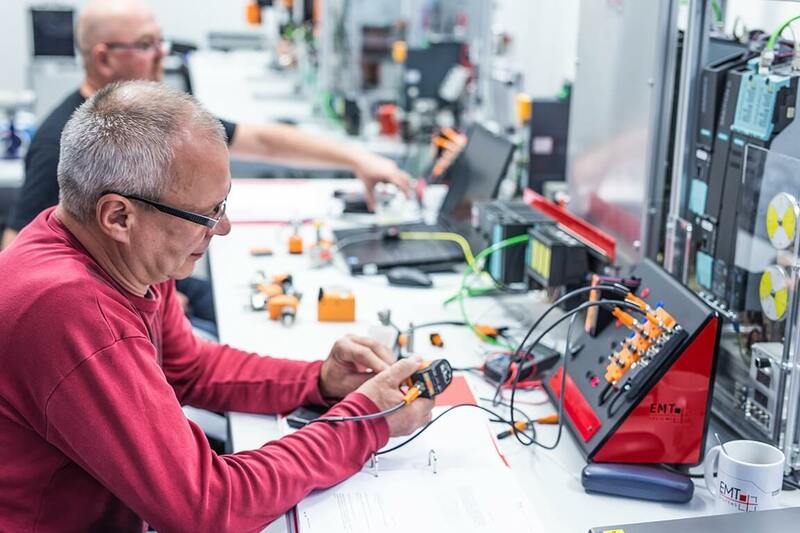 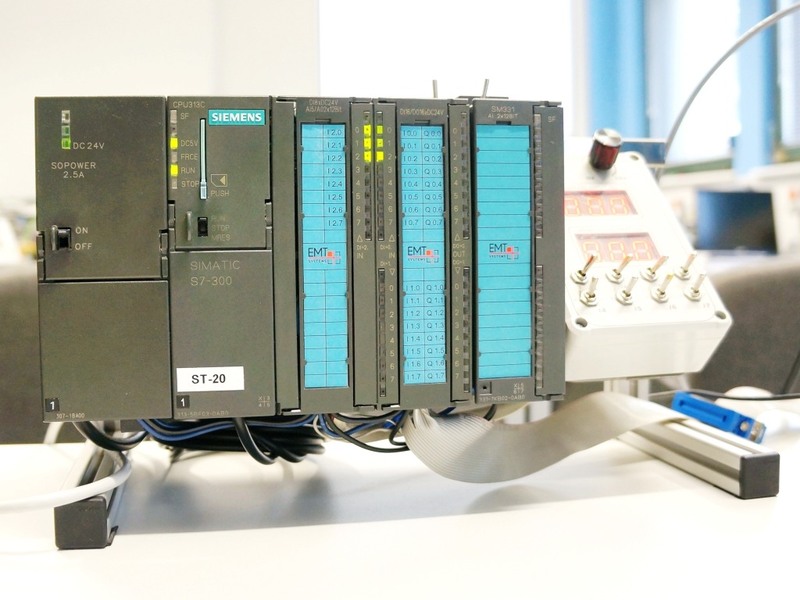 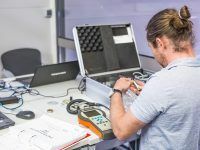 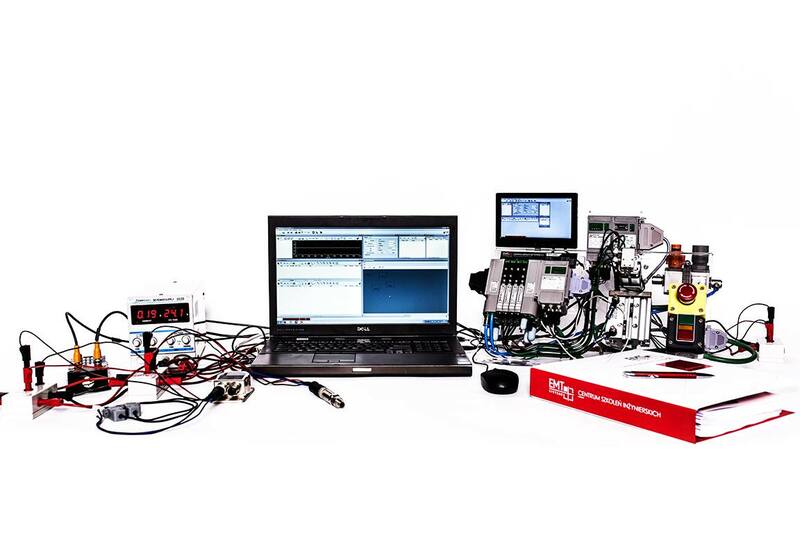 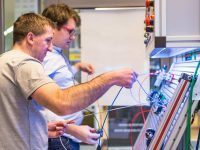 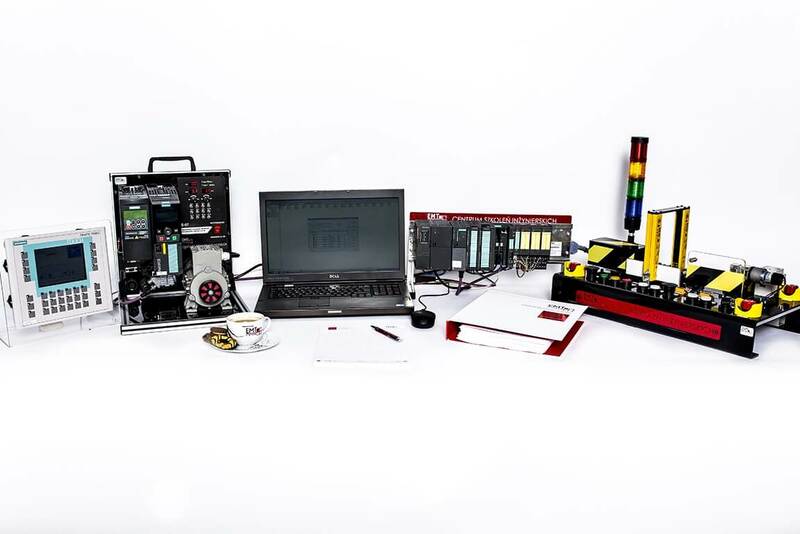 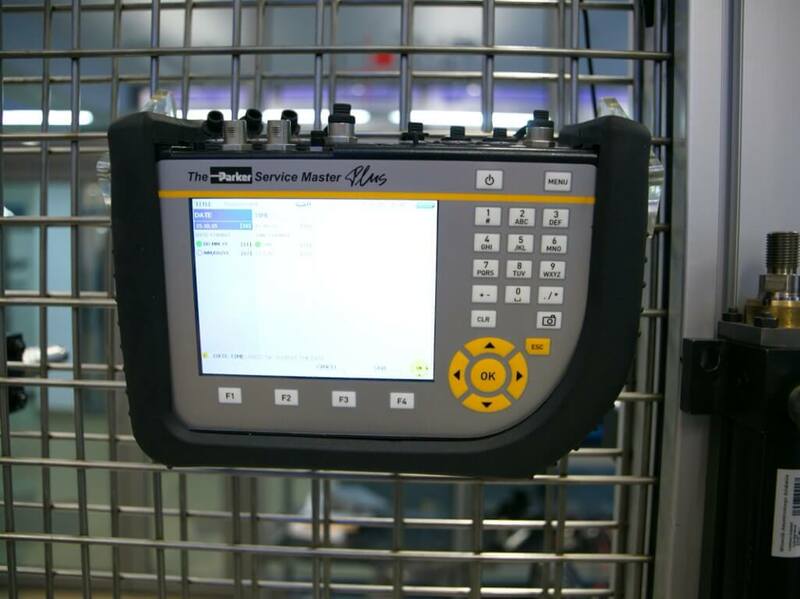 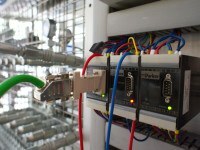 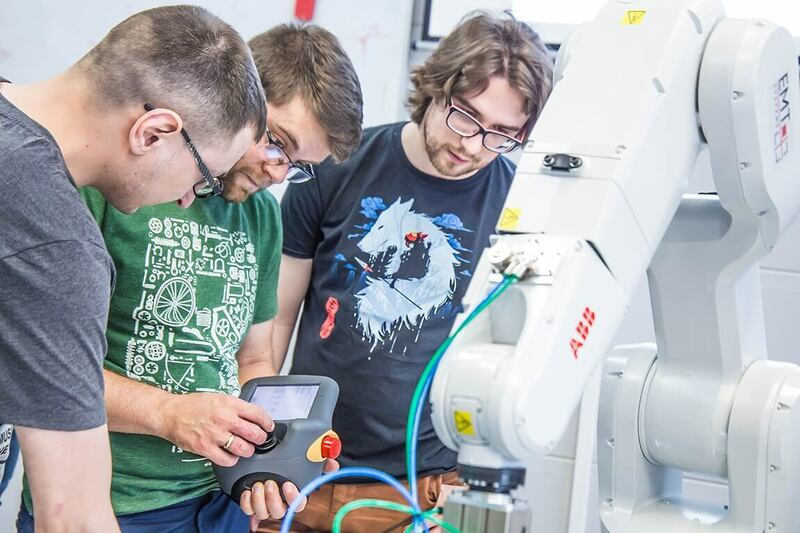 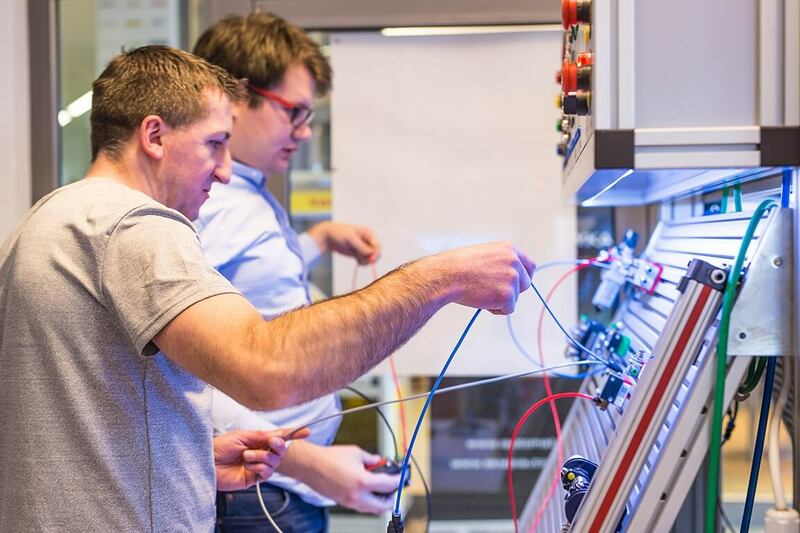 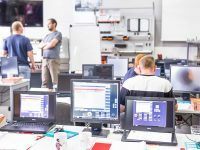 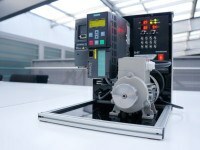 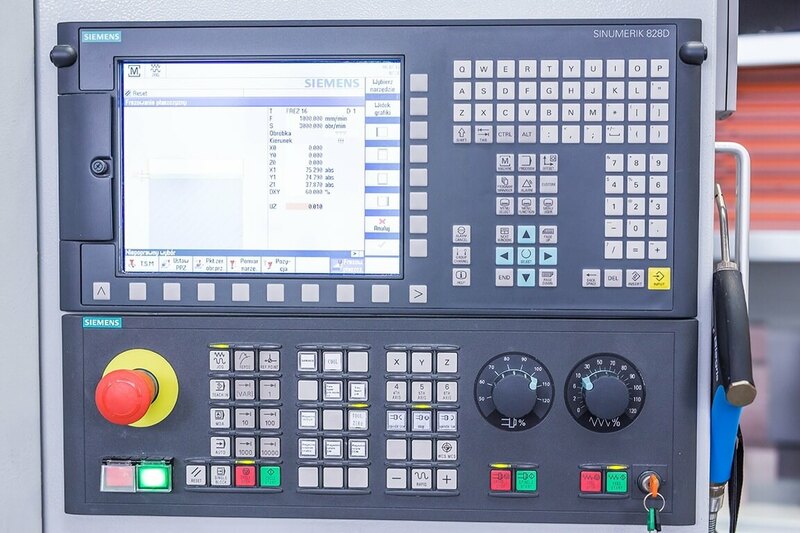 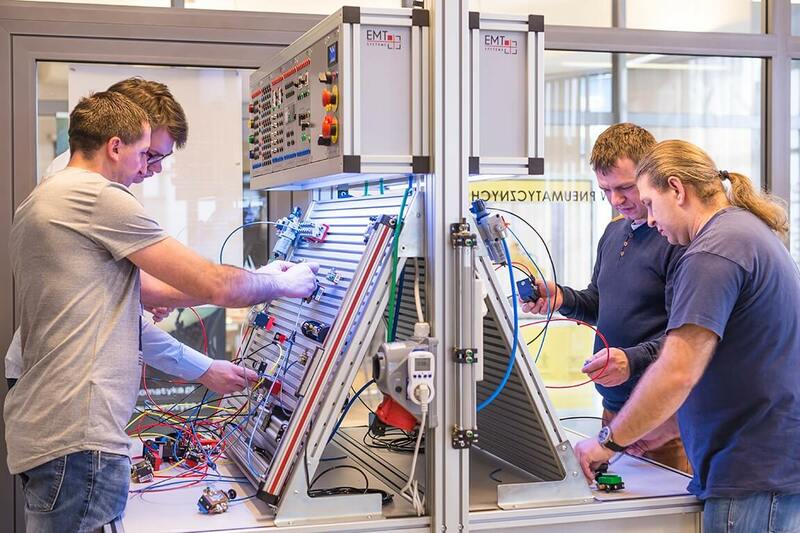 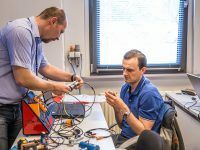 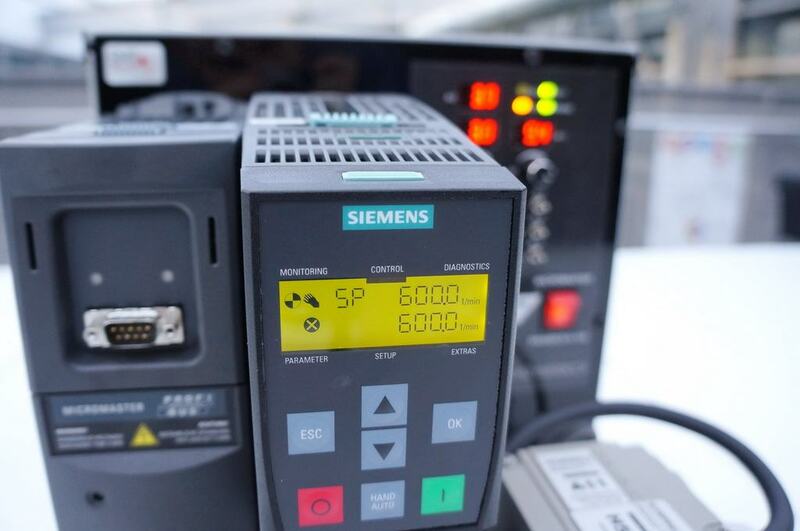 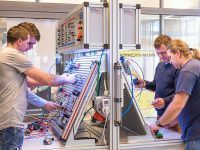 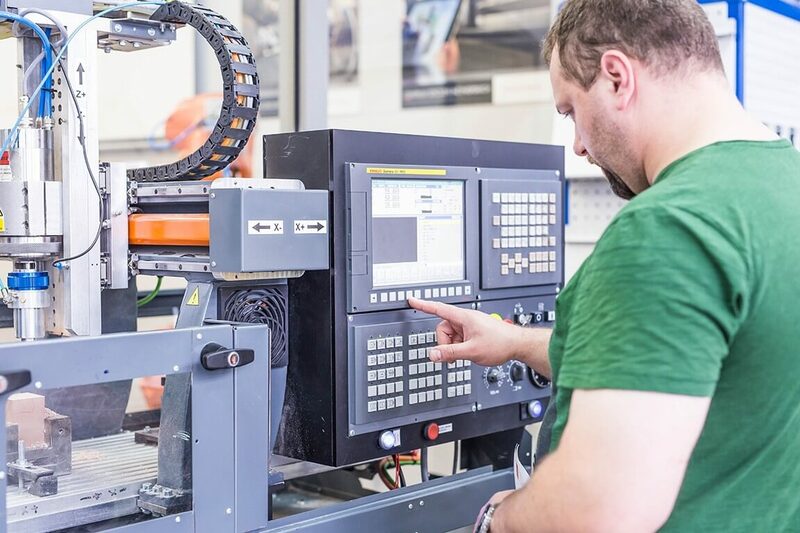 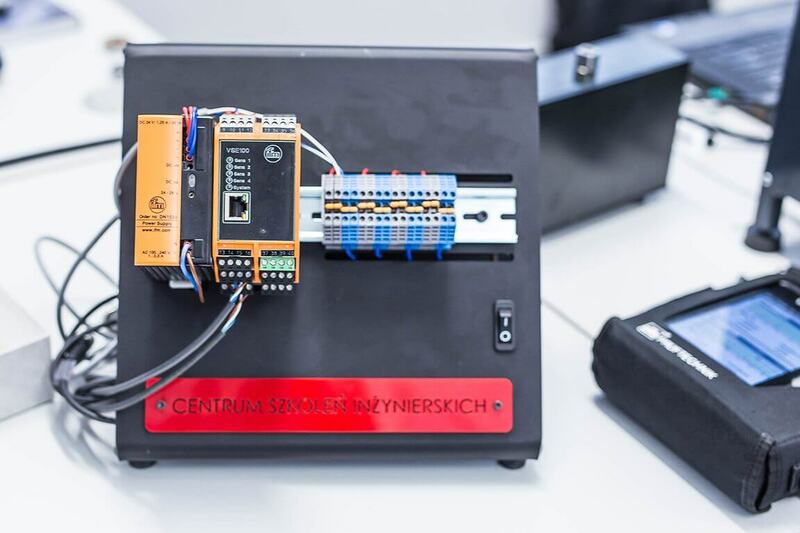 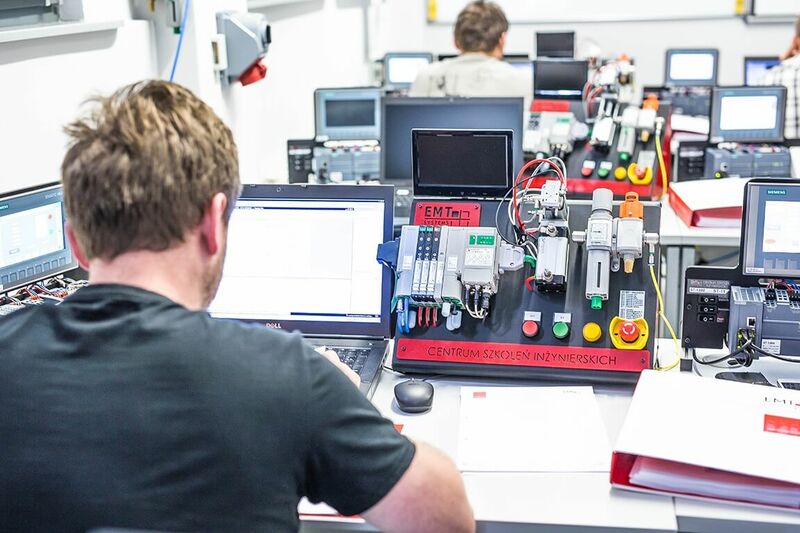 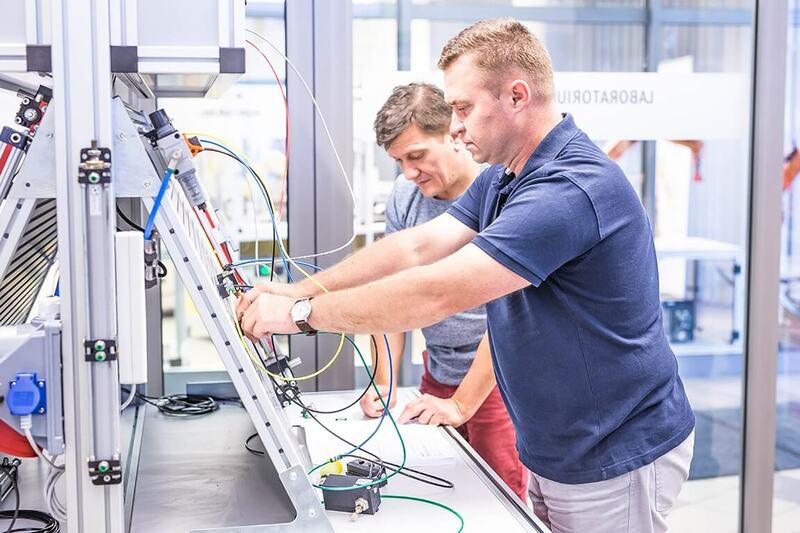 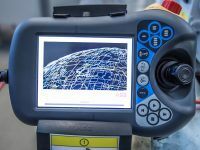 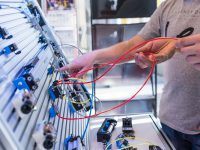 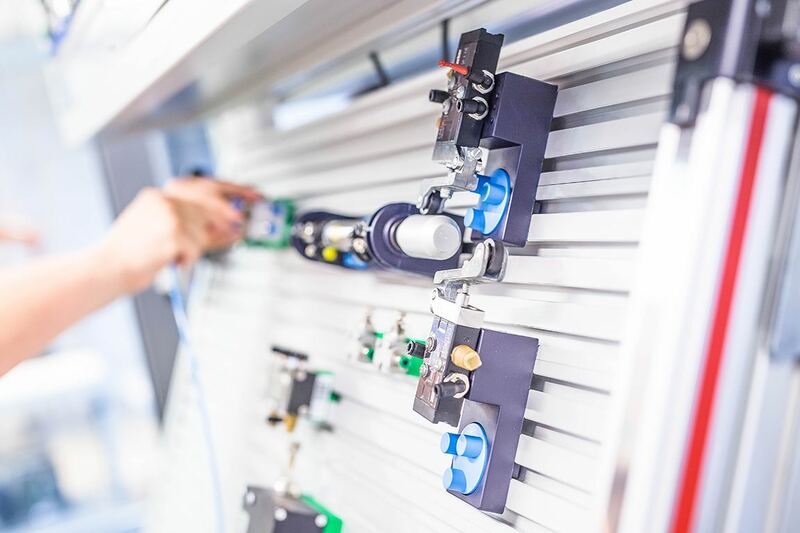 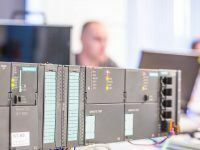 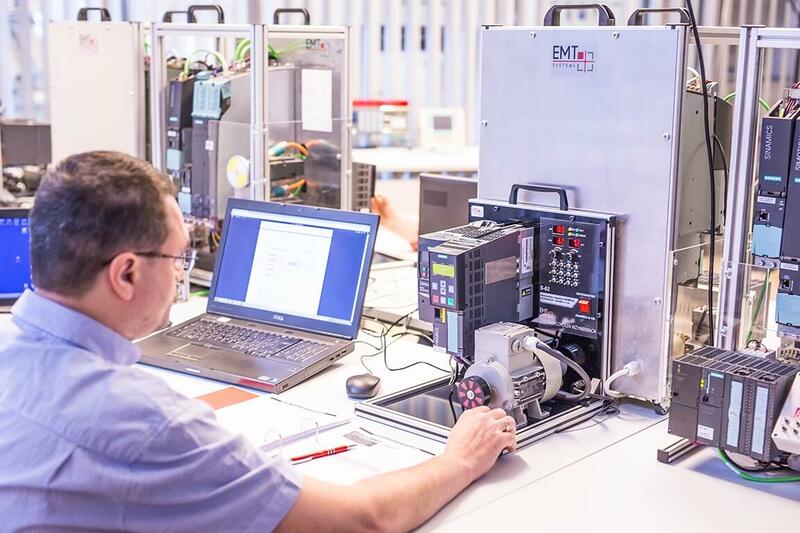 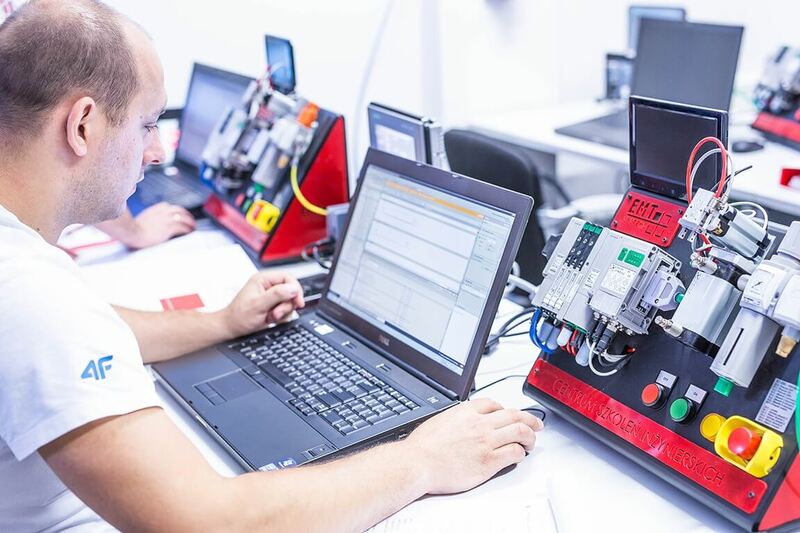 During courses, students work at the stations fitted with a SIEMENS SIMATIC S7-300 CPU313C controller with the connected analog I/O module with diagnostic functions. 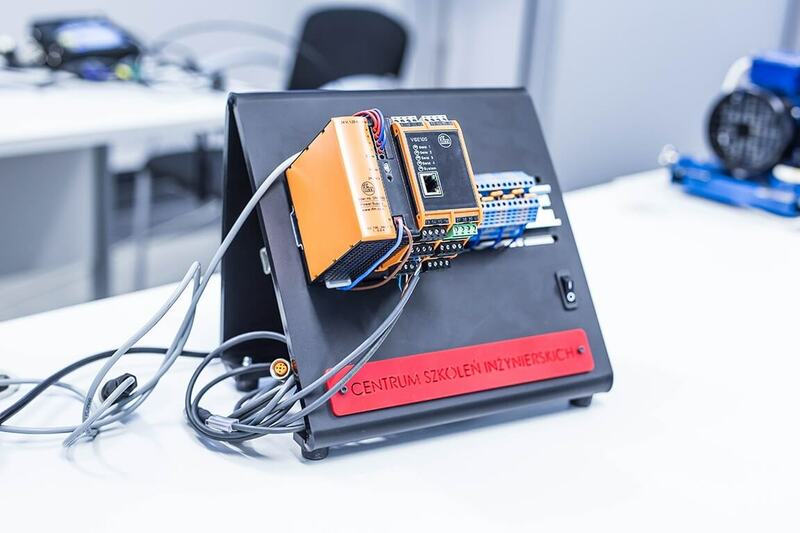 The station has been designed in a way enabling the students to generate diagnostic situations involving PLC, such as digital and analog modules power cut-off in the object section and generating hardware interrupts operated by binary and analog signals. 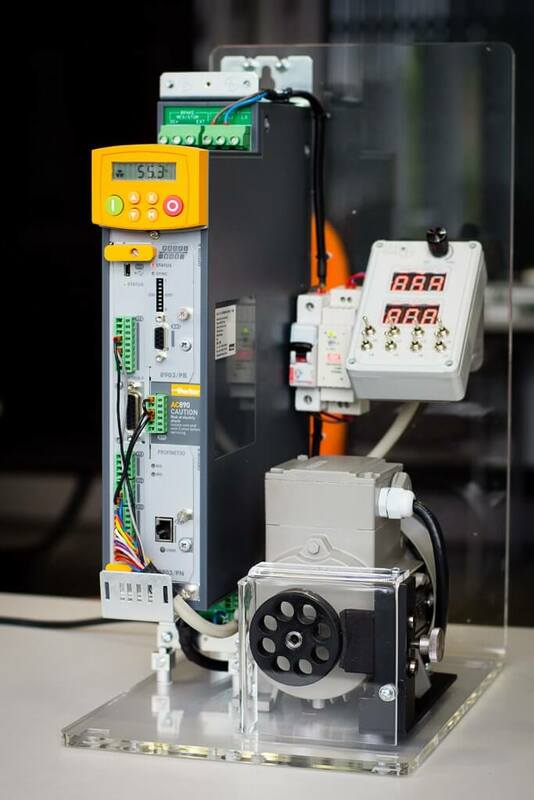 The workstation features actuator station, whose main highlights are stepper motor and encoder. 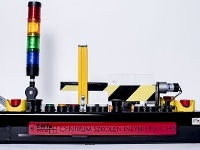 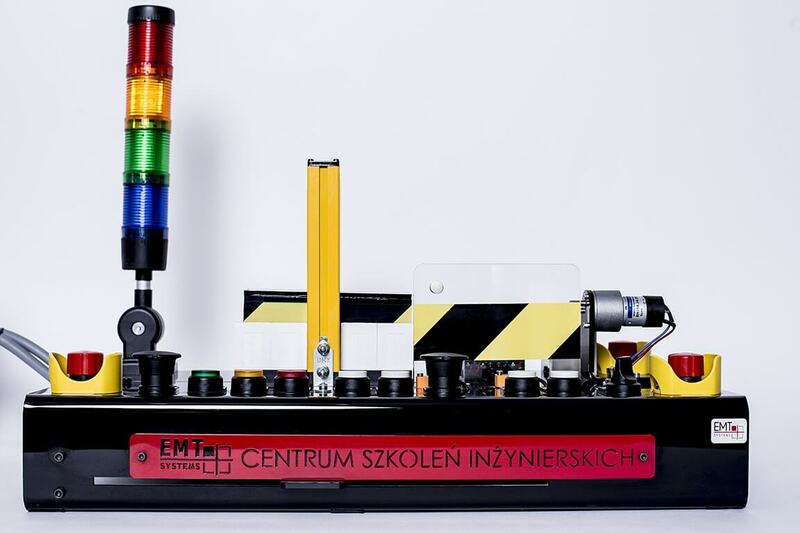 Unique teaching aids (tables, grippers, technology tools, and signaling systems) to facilitate practical exercises. 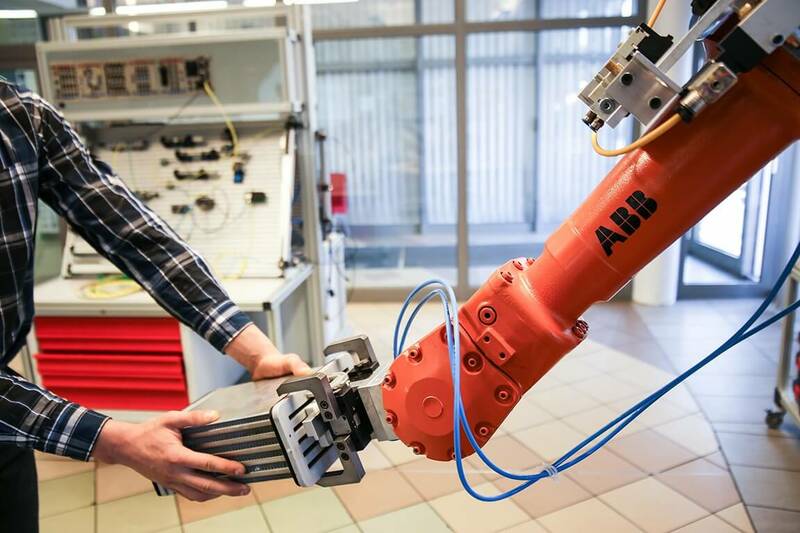 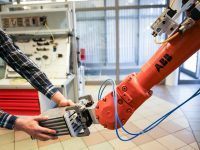 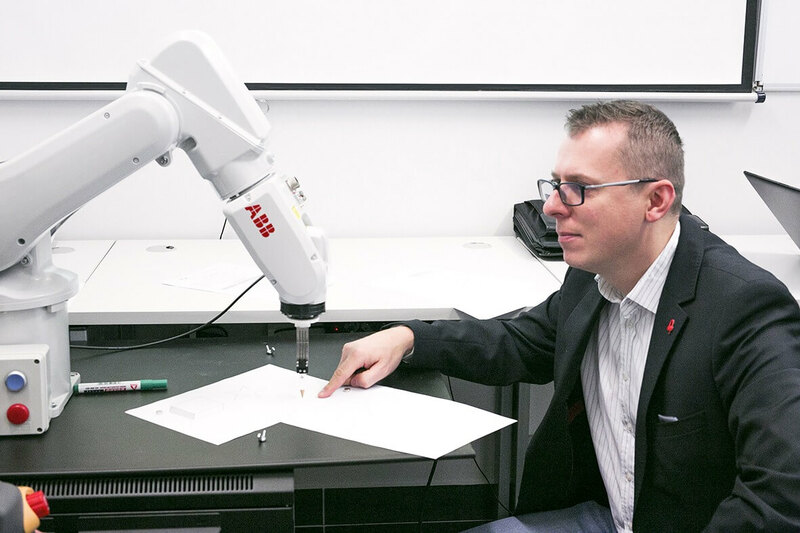 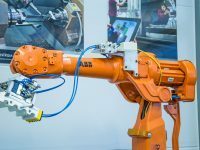 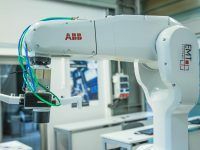 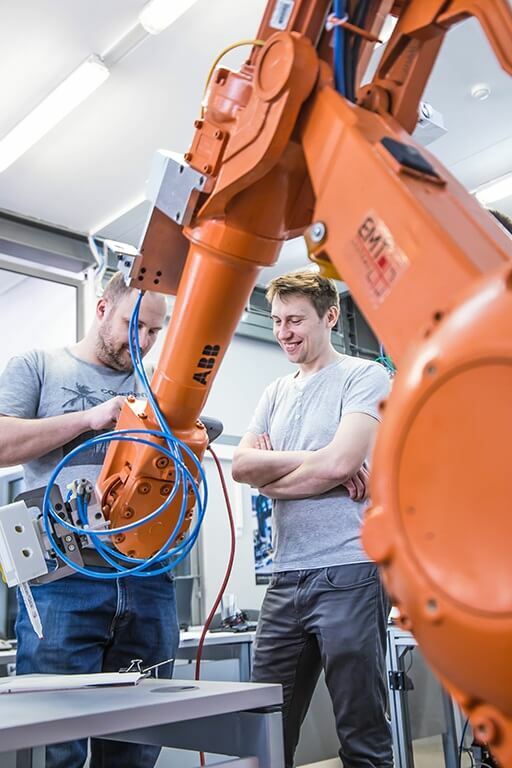 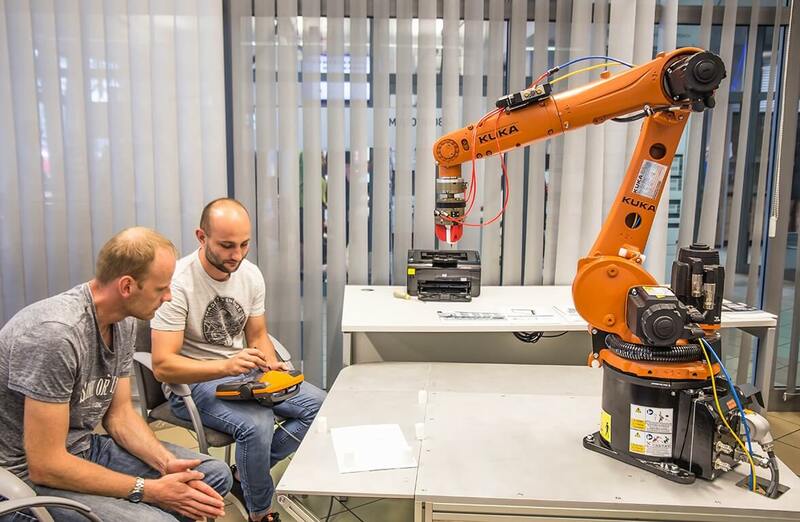 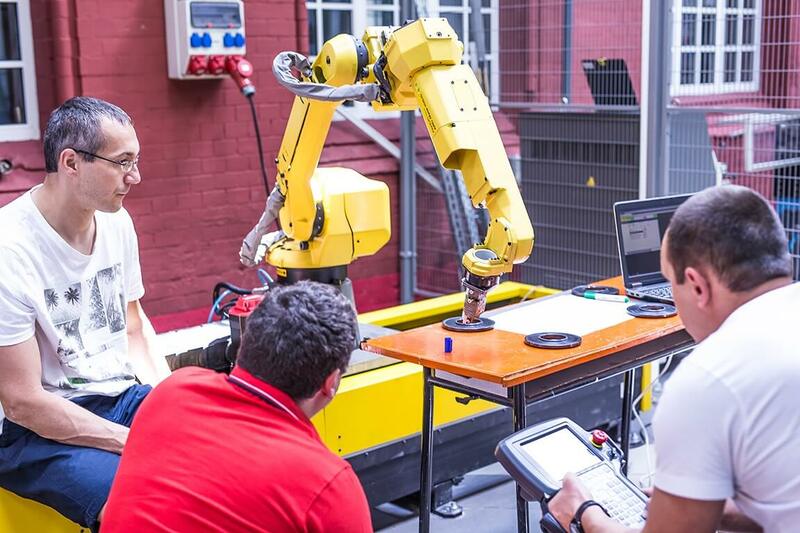 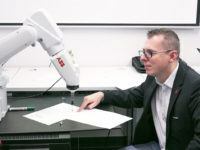 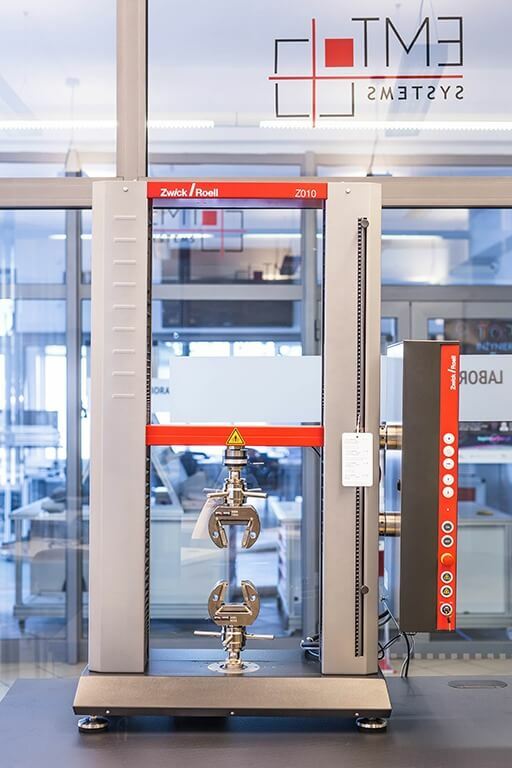 ABB’s smallest ever multipurpose industrial robot weighs just 25kg and can handle a payload of 3kg (4kg for vertical wrist) with a reach of 580mm. 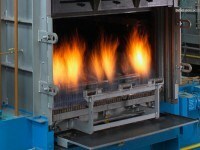 It is a cost-effective and reliable choice for generating high production outputs in return for low investment. 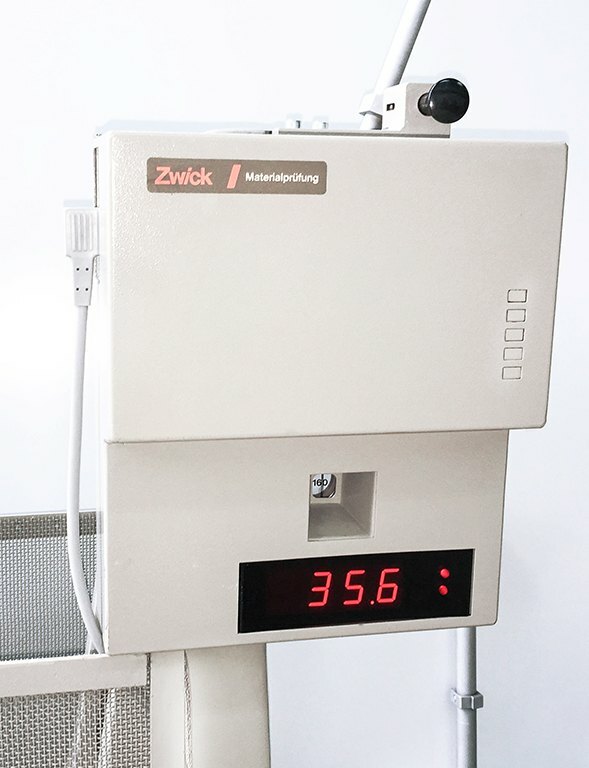 A white finish Clean Room ISO 5 (Class 100) version, certified by IPA, is also available. 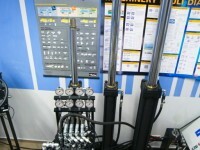 systems: Motion Supervision, SoftMove, World Zones, Path Recovery, Multitasking, Flexpendant Interface, PC Interface. 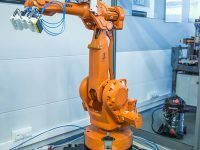 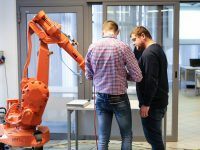 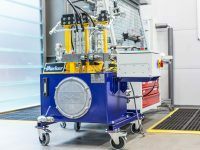 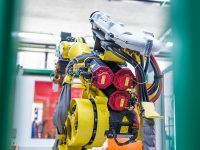 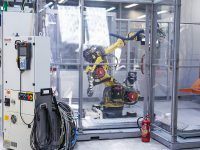 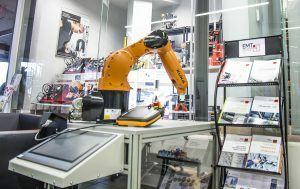 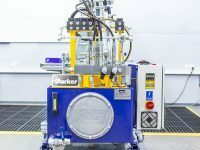 Industrial robot with a payload of 5 kg and reach of 900 mm, it addresses the needs of material handling and machine tending applications for flexibility, ease of use, compactness and short cycle times while still maintaining large working envelopes. 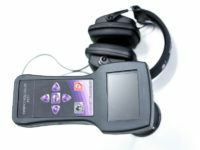 systems: Motion Supervision, World Zones, Path Recovery, Multitasking, Flexpendant Interface, PC Interface, Integrated Vision. 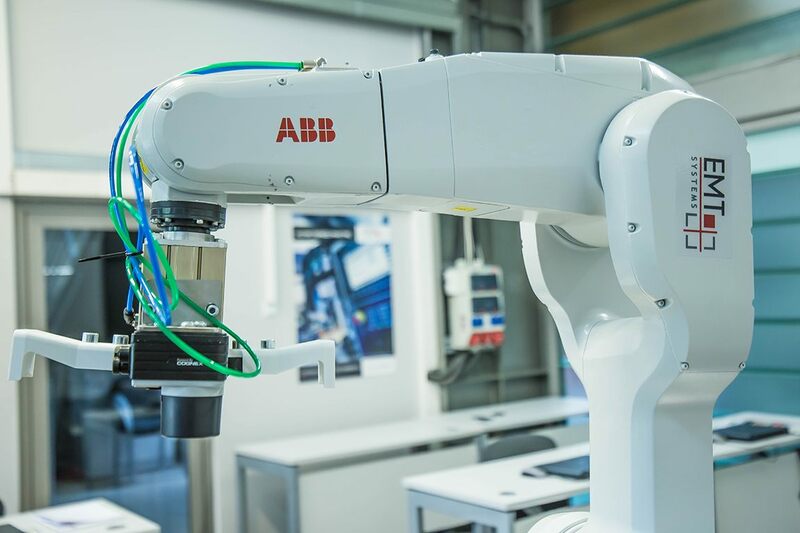 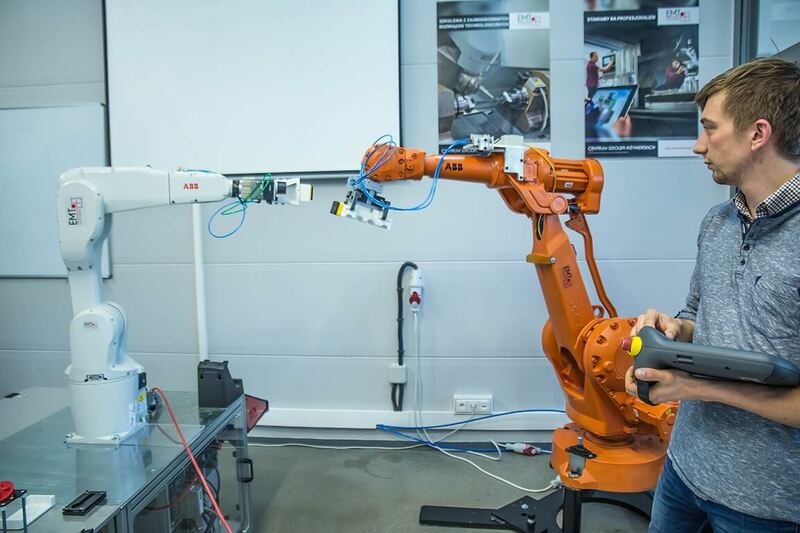 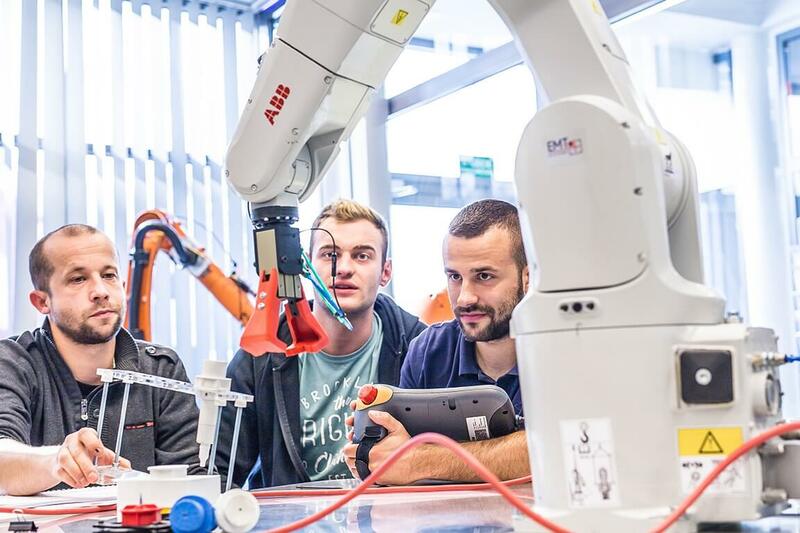 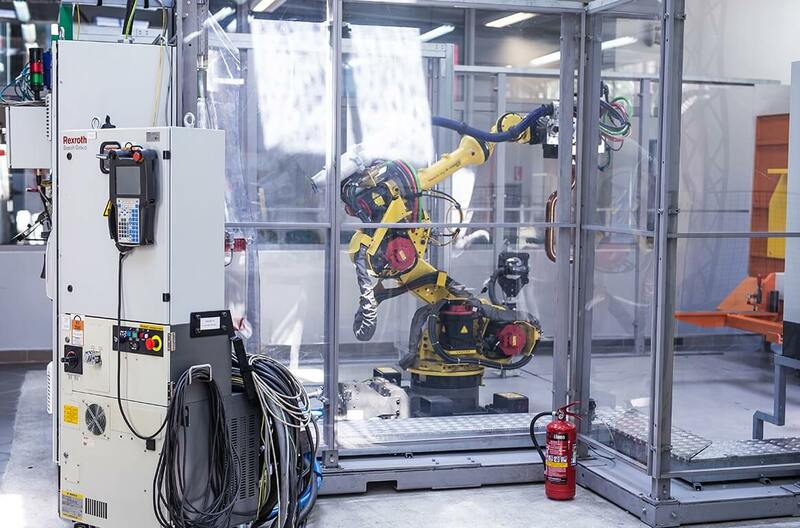 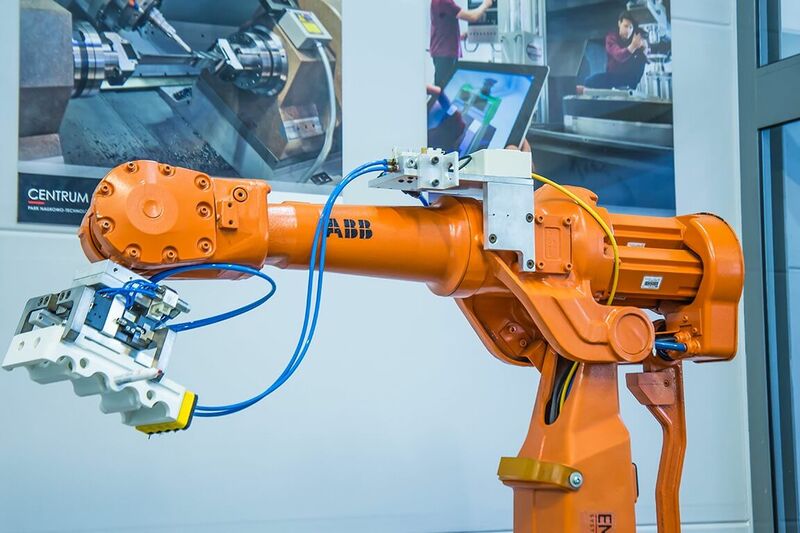 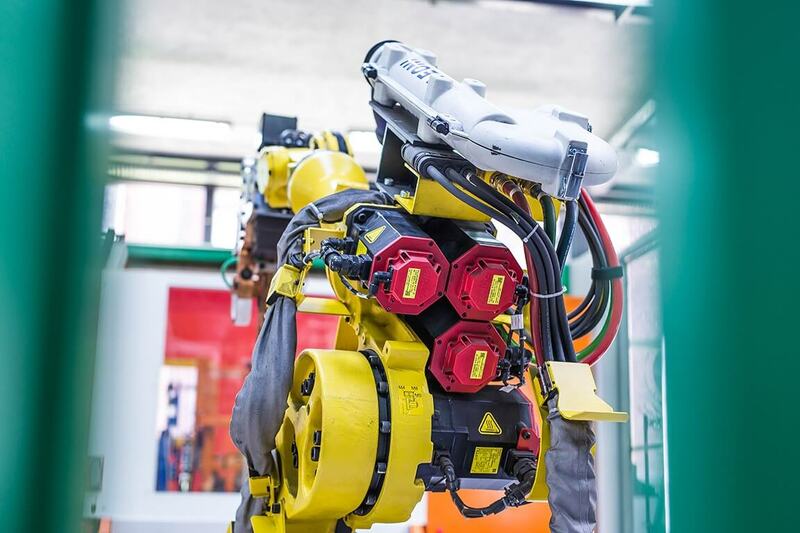 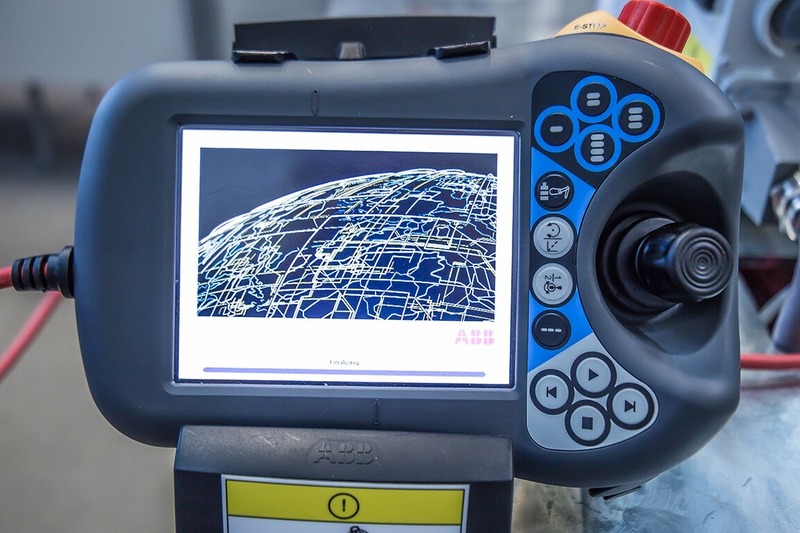 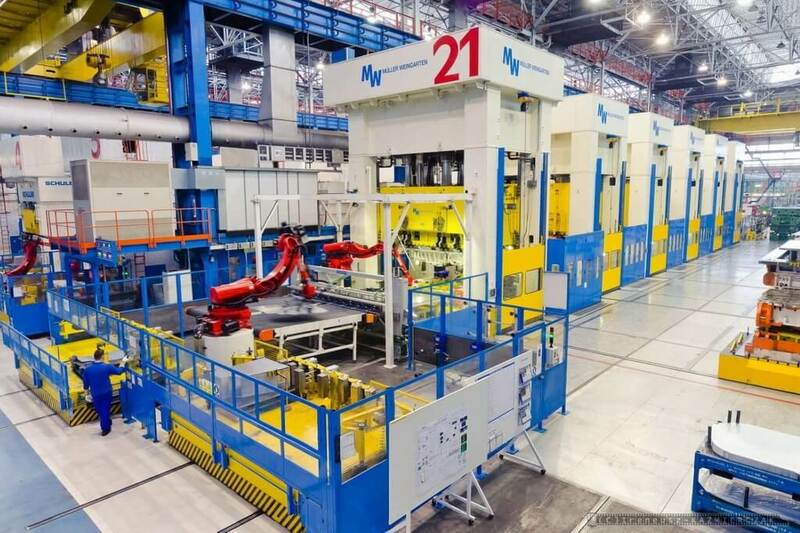 The universal ABB IRB2400 is the world’s most popular industrial robot. 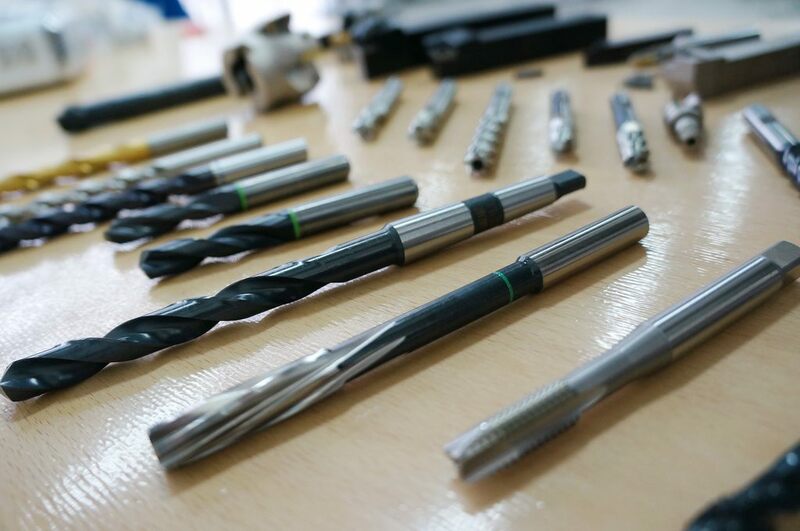 Its main applications are arc welding, cutting/deburring, glueing/sealing, grinding/polishing, machine tending and material handling. 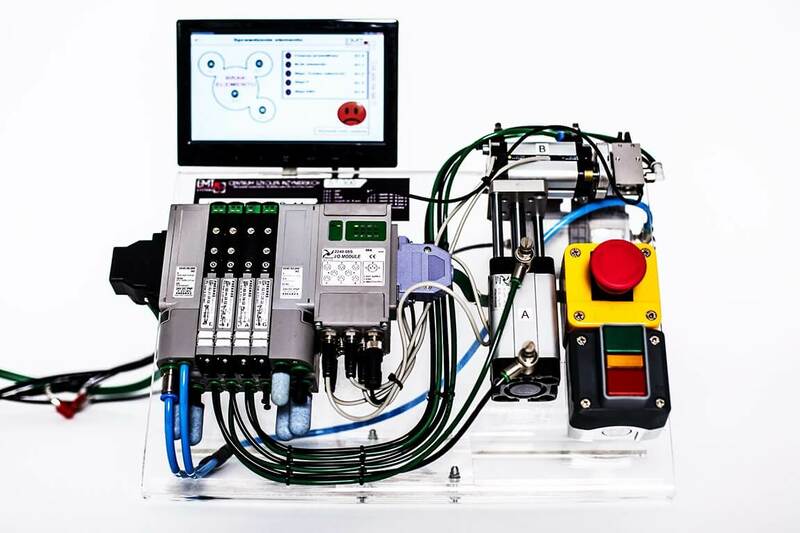 It comes with the latest ABB IRC5 controller. 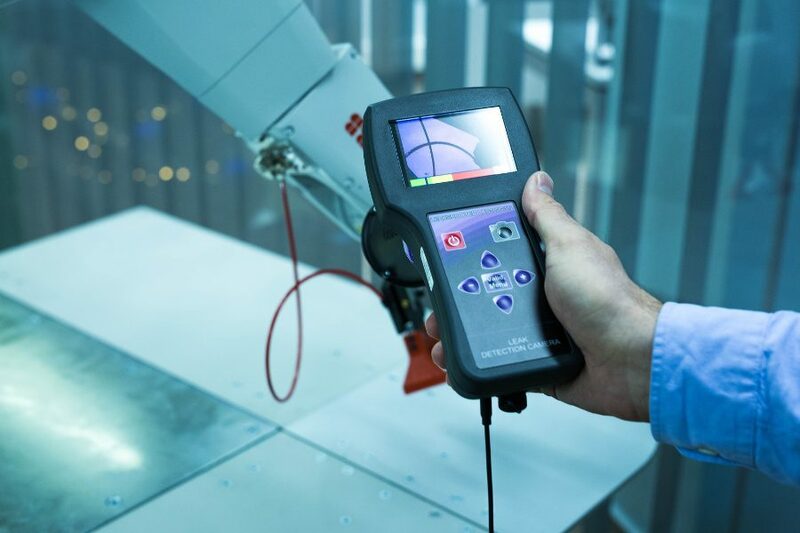 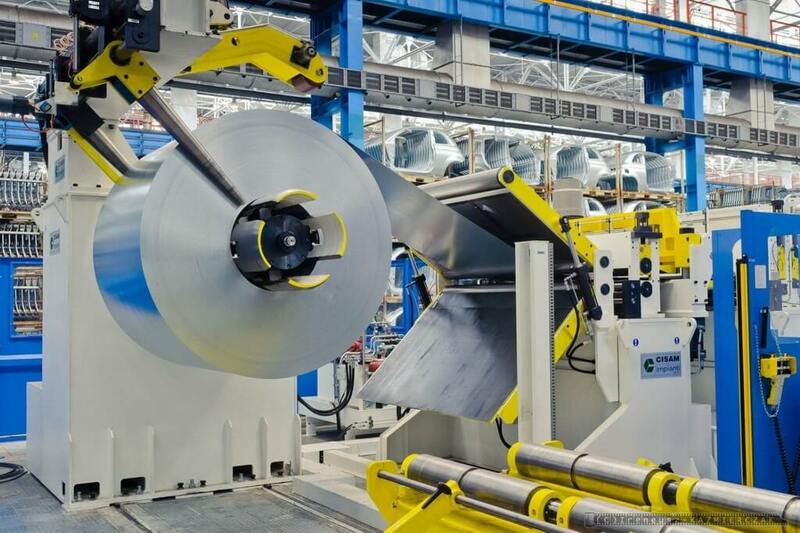 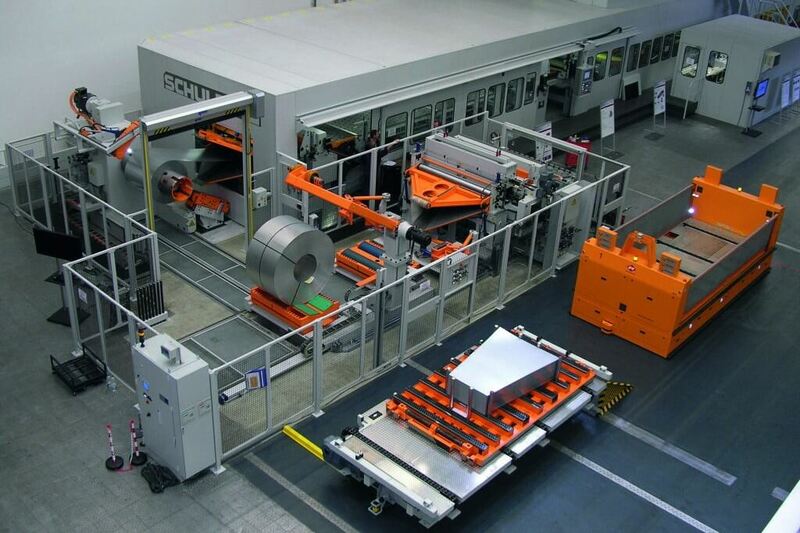 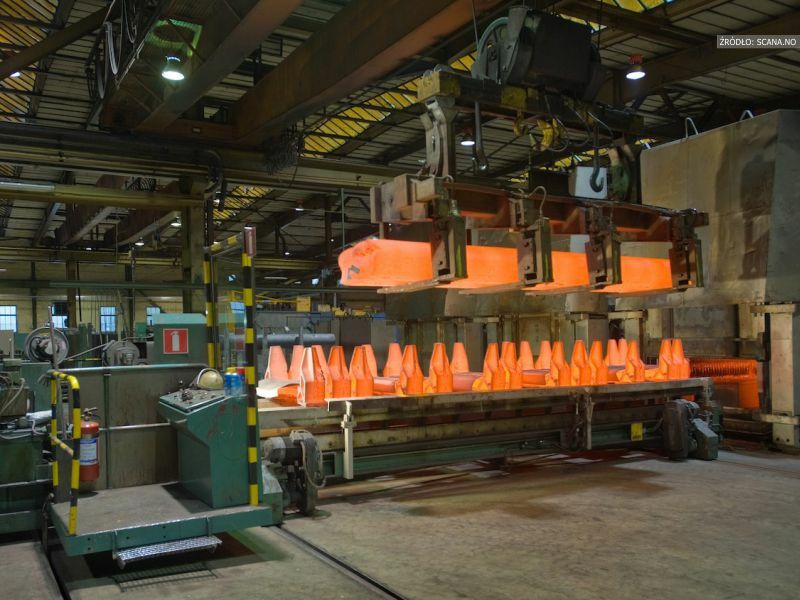 IRB 2400 gives excellent performance in material handling, machine tending and process applications where the required accuracies are necessary while keeping the position repeatability at 0.03mm despite large additional load. 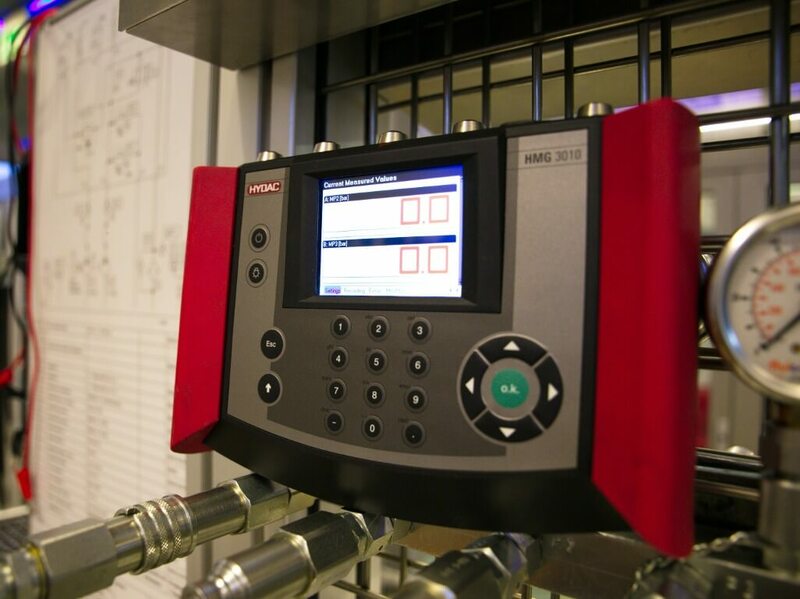 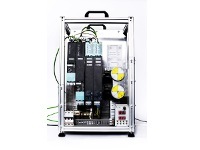 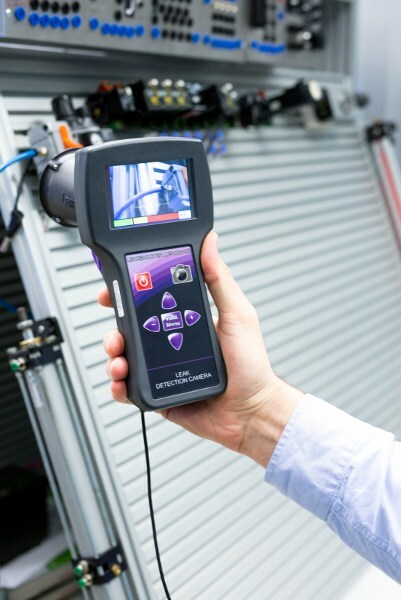 Thanks to its robust construction and IP54 classification it can work in harsh production environment. 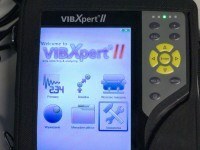 Controller software that enables creating, e.g. 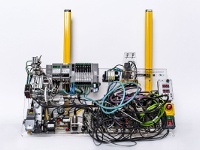 a cubic zone and in case the robot leaves the zone it will generate the signal, e.g. 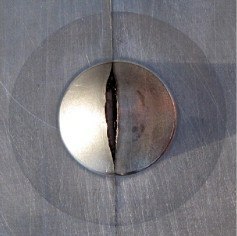 on the IO card. 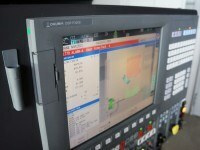 Software useful for defining the so called home position. 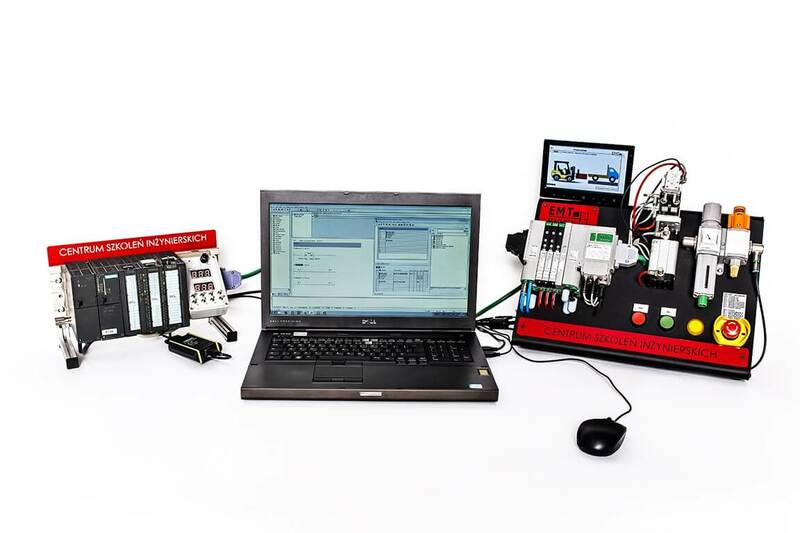 Controller software that enables recovering the path in case of error. 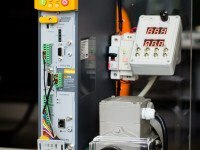 In case specific error occurs (e.g. 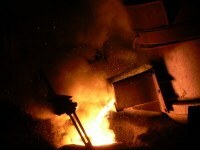 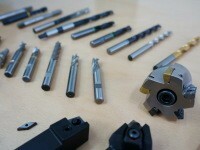 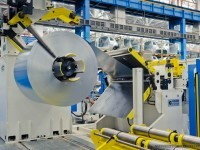 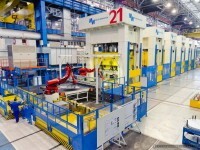 arc time) the robot stops operation for the time of eliminating the error, and then resumes the work where it stopped. 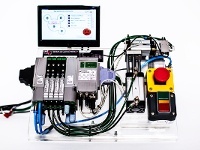 Controller software that enables launching multiple tasks – so called multi-threading. 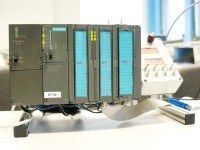 For example, one of the tasks controls robot’s motion while the other, independent task controls IO cards acting like simple PLC. 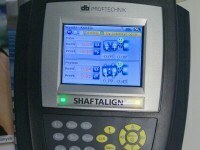 A function of creating graphic operator screens on the FlexPendant screen. 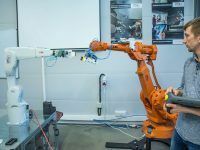 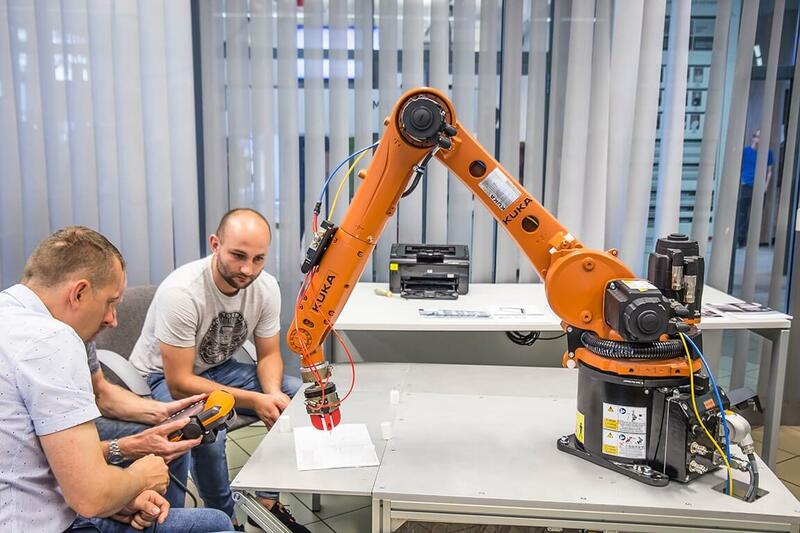 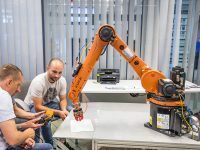 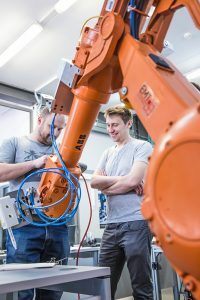 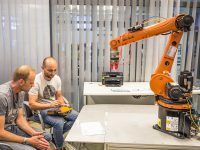 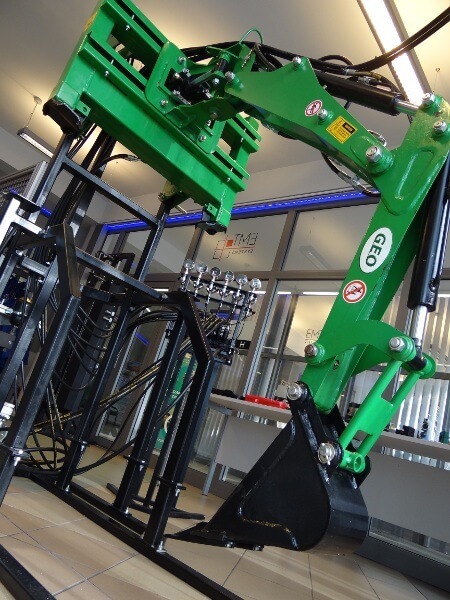 Controller software that enables defining static and dynamic robot stiffness – a robot may react like a spring or yield to external forces. 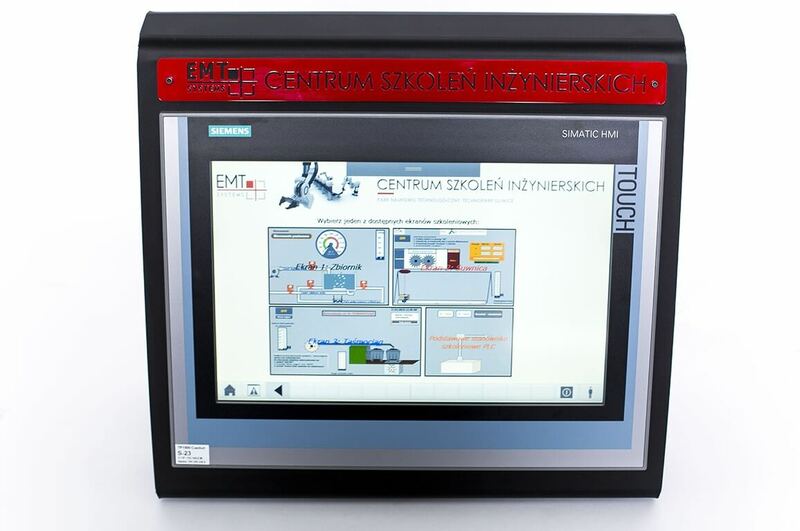 Software – controller’s option that enables communication via ETHERNET, for example with a PC. 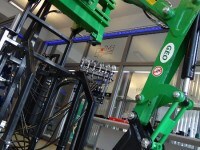 An option useful for integrating the robot with vision systems. 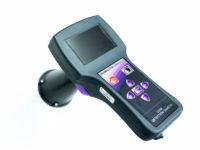 Insight 7200 camera by Cognex. 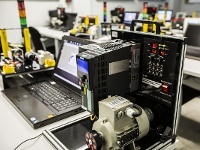 A camera system is based on Cognex In-Sight® series 7000, but it is also possible to connect any CognexIn-Sight® camera. 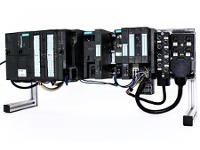 The camera requires 24 VDC power supply. 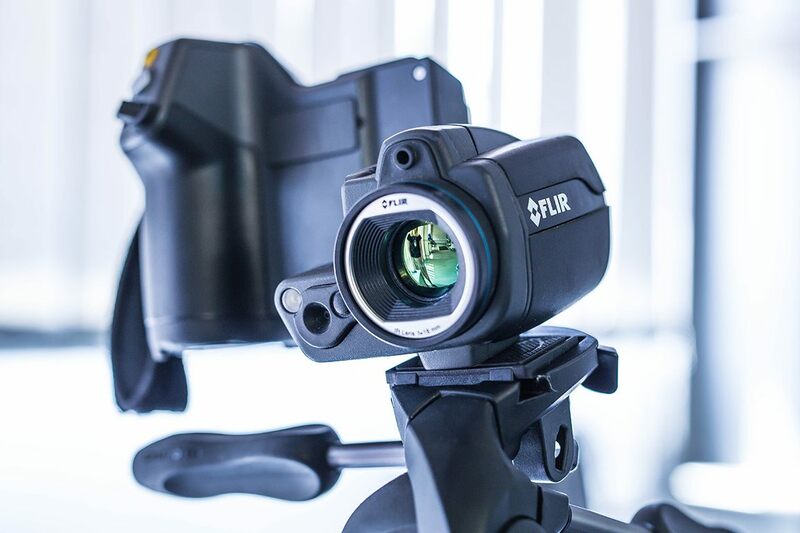 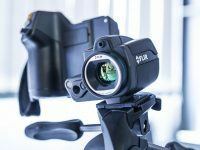 A set of cameras features IP67 protection, M12 lens with autofocus and build-in flash. 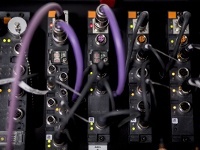 Up to 3 cameras may be simultaneously connected to the Ethernet switch. 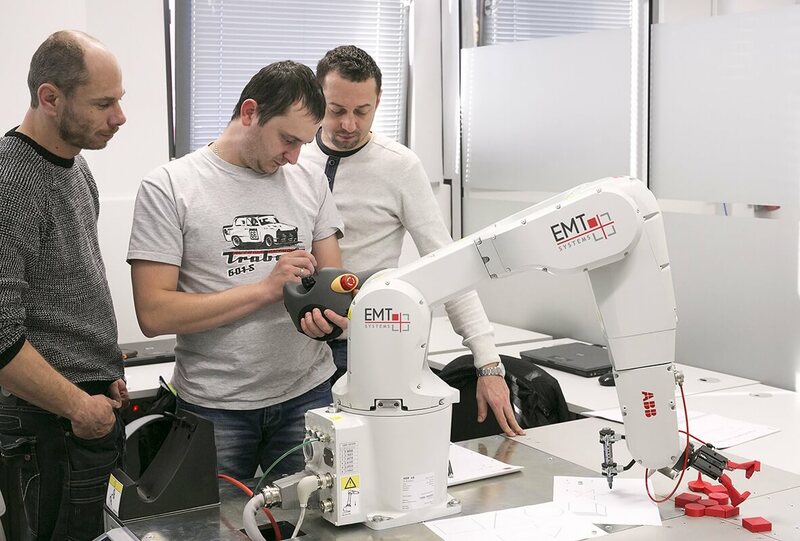 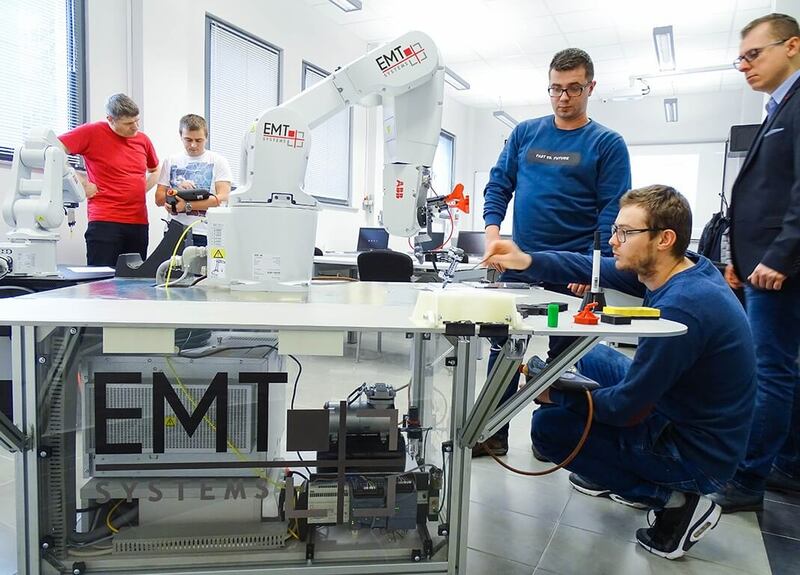 Should you be interested in this form of training please inform us about the available models of robots and used controllers. 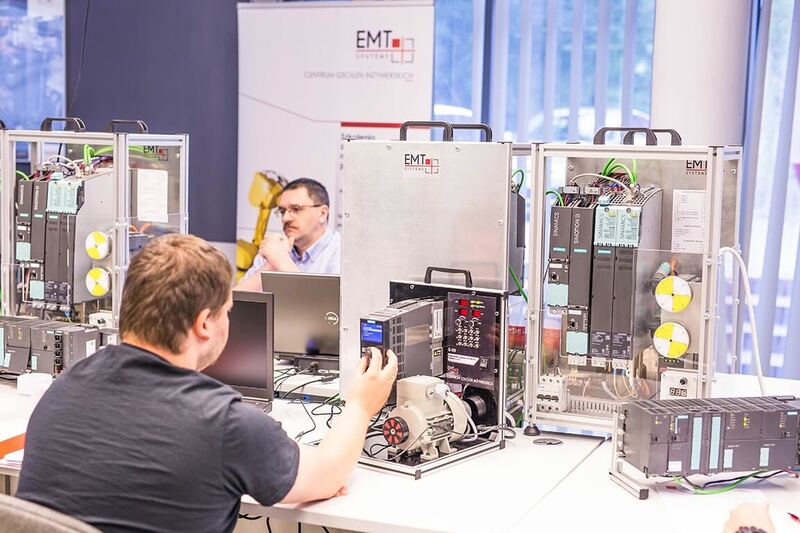 Participants have at their disposal individual training positions designed to learn the tasks and industrial solutions based on the electrical drives using frequency converters. 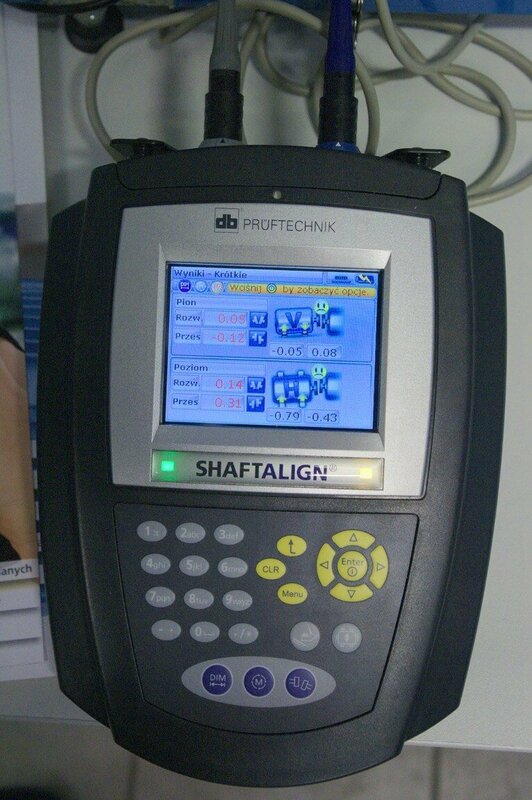 Each position is fitted with the frequency converter featuring digital and analog signal simulator. 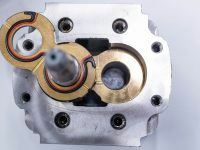 Each converter is connected to the asynchronous electric motor. 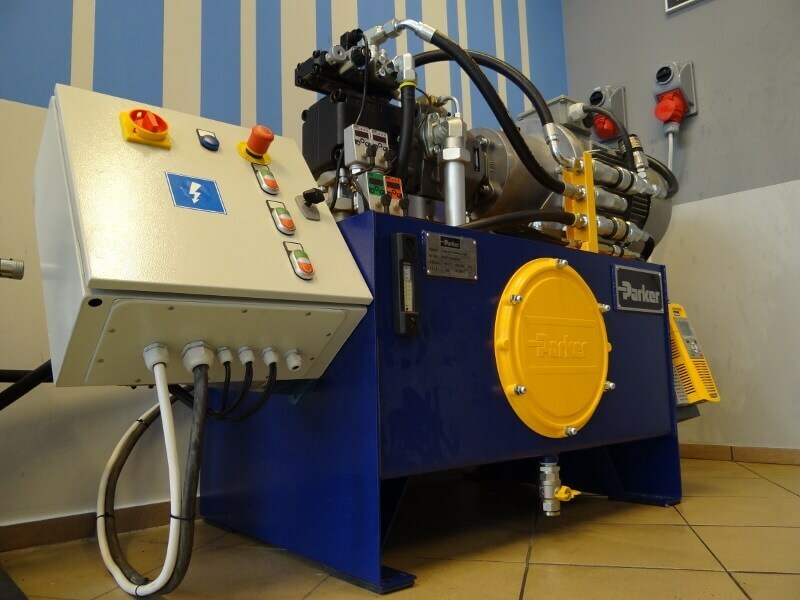 It is also possible to include two extra Parker inverters driving pumps of hydraulic power supplies (the bigger one – 11 kW). 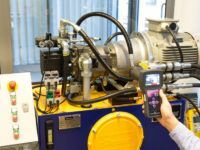 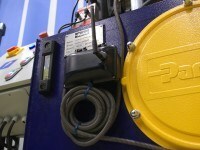 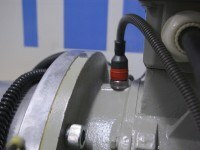 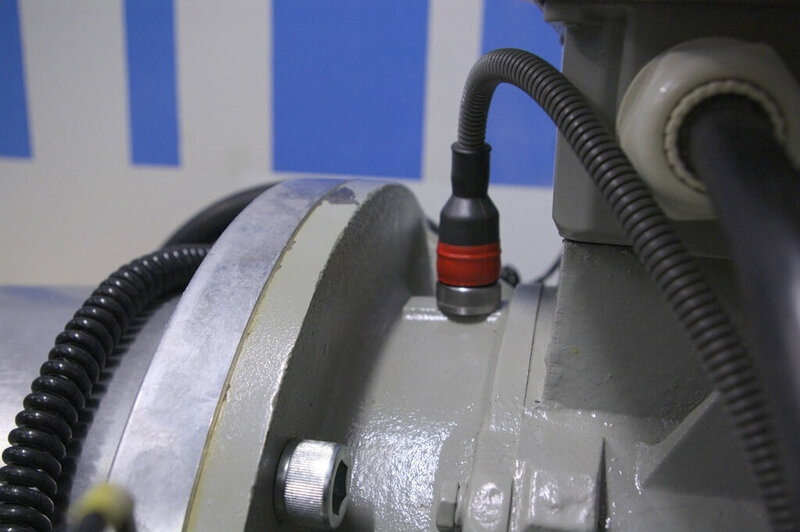 Devices can be plugged while observing the operation of drive system under actual service conditions. 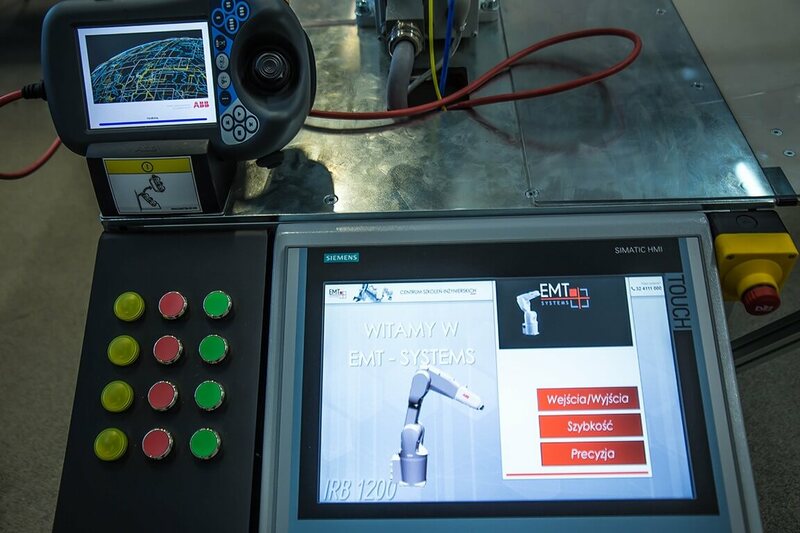 Our equipment allows the participants to perform tasks based on the actual elements applied in industrial automation. 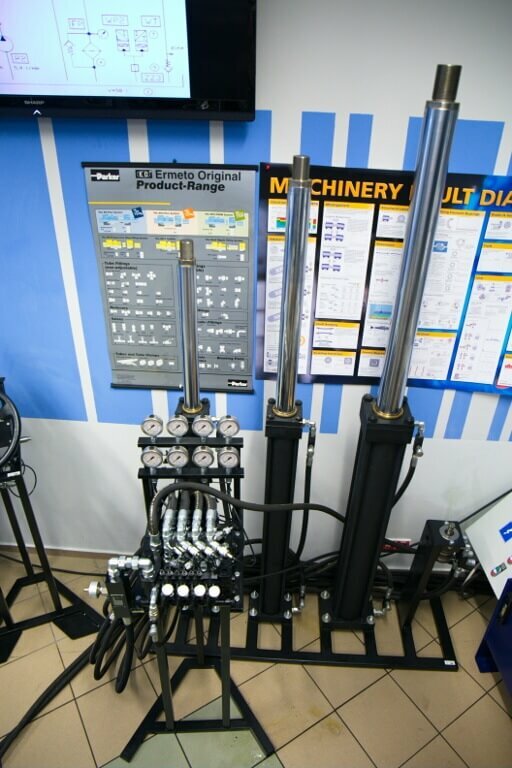 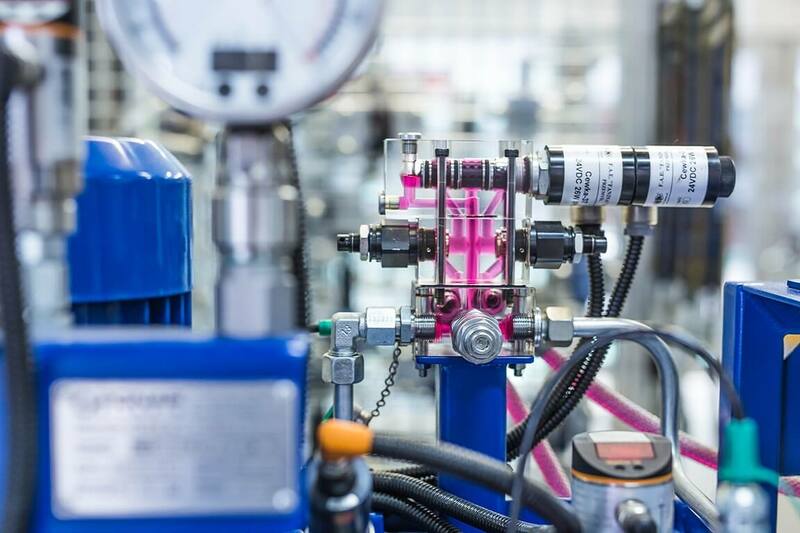 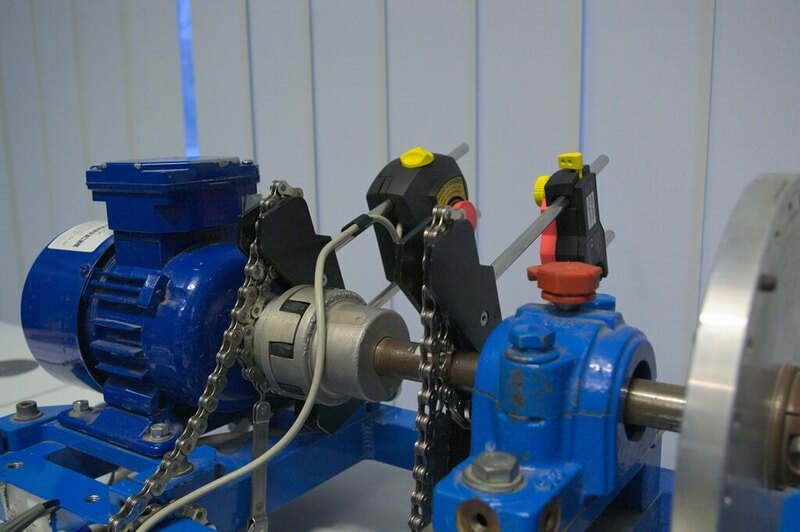 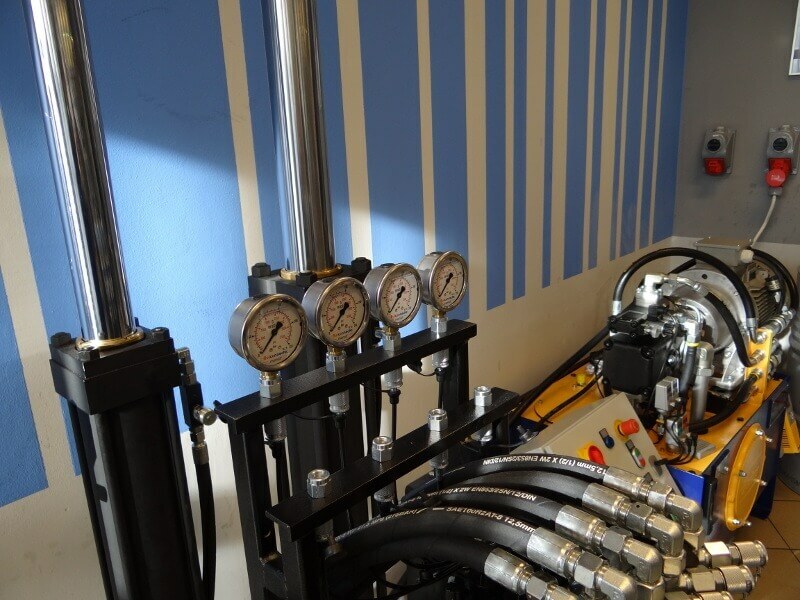 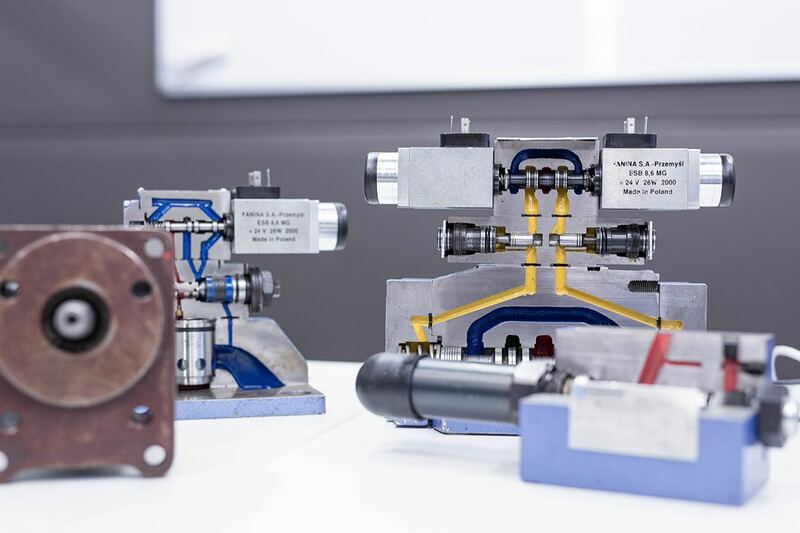 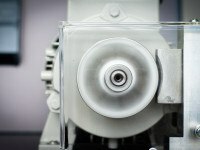 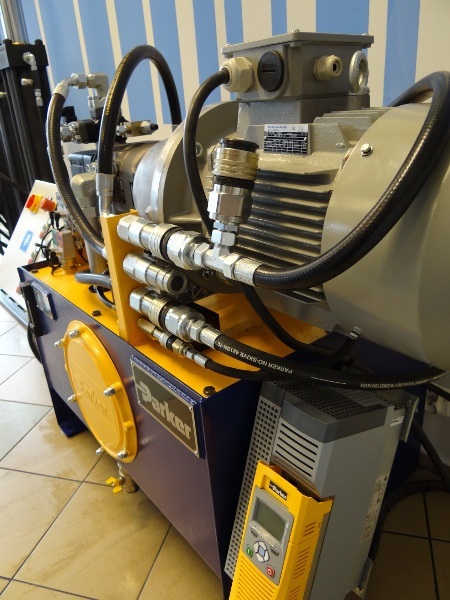 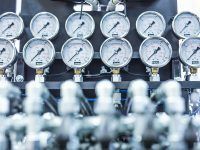 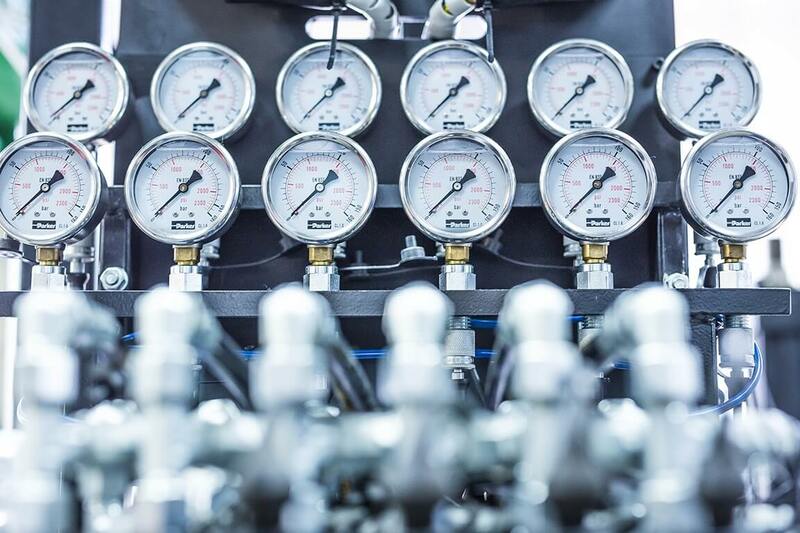 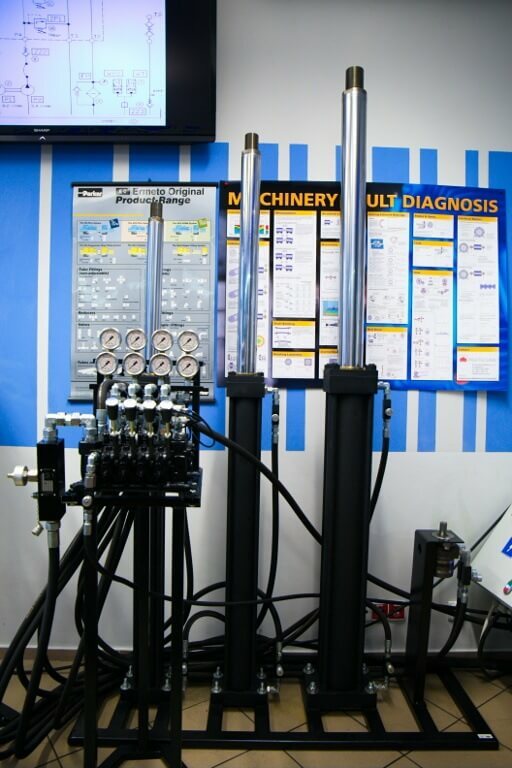 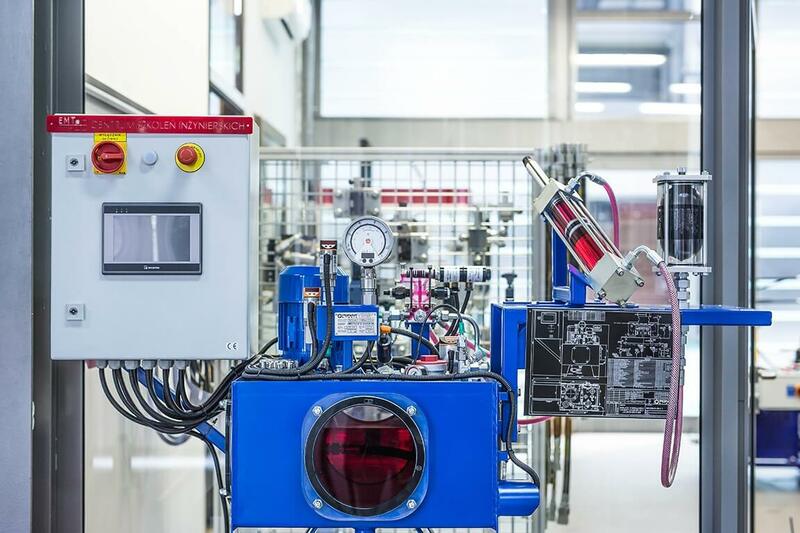 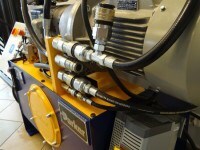 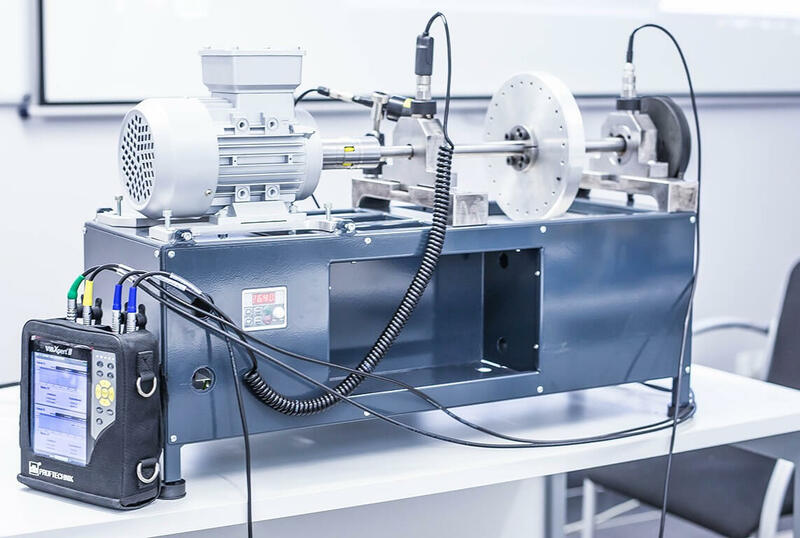 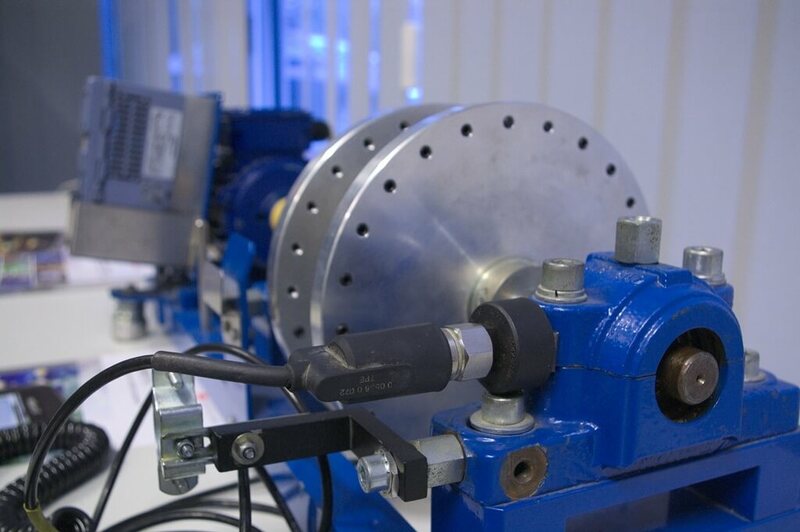 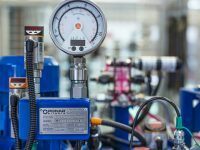 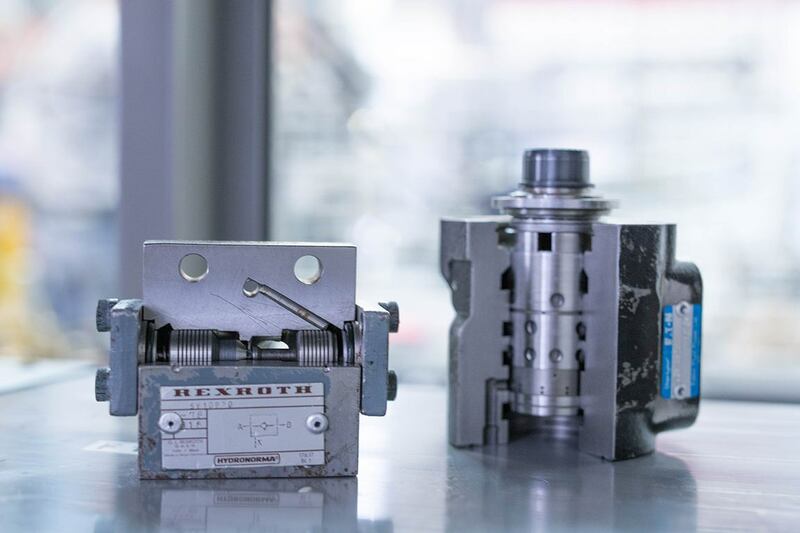 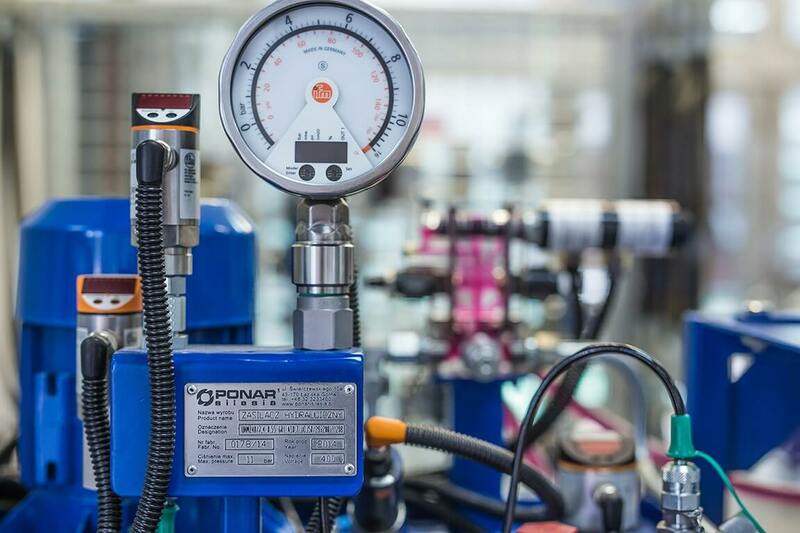 Apart from individual workstations, participants of training courses also have access to the laboratory of hydraulics, where frequency converters are used to power the pumps of the hydraulic feeders, which allows observing their operation and characteristics under the actual industrial load. 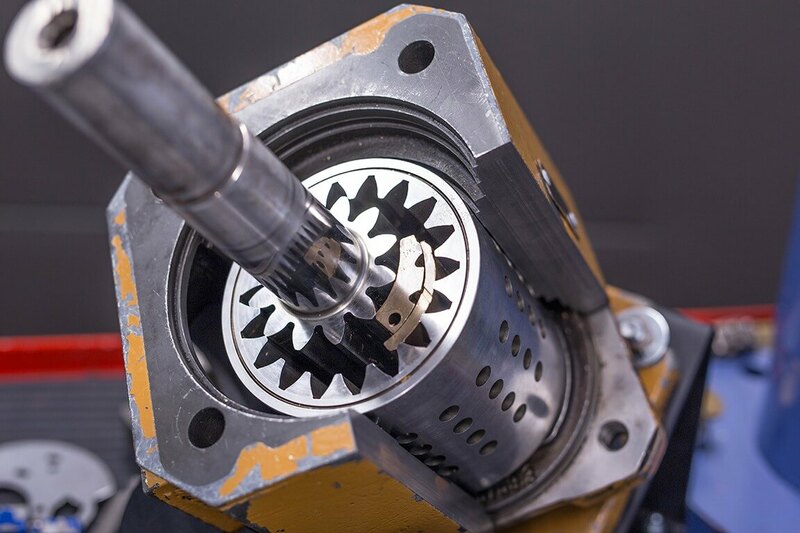 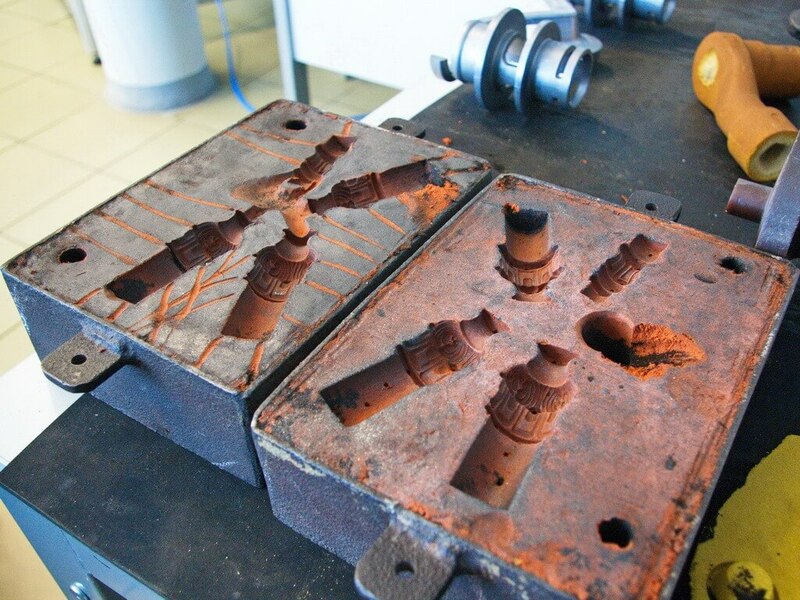 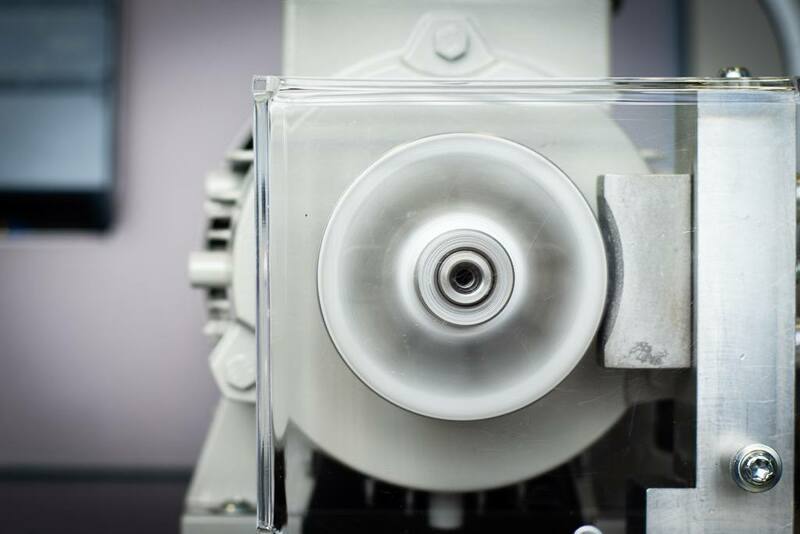 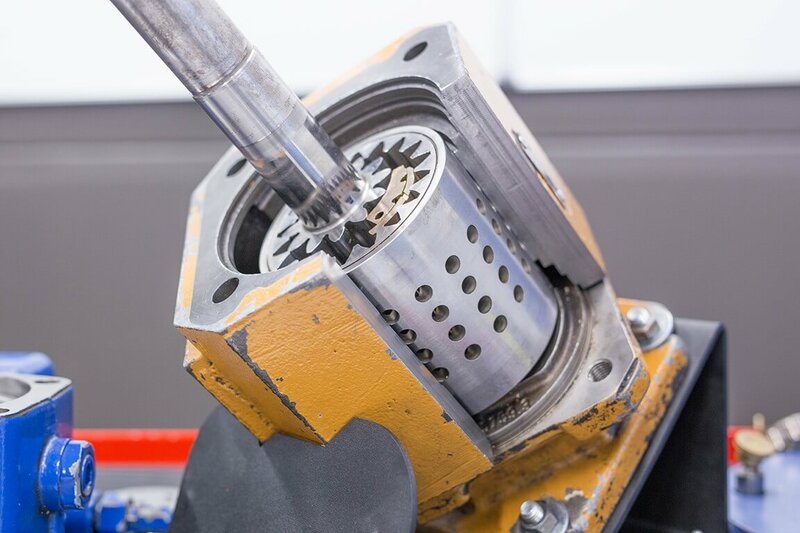 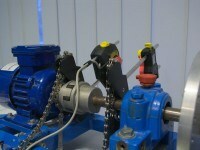 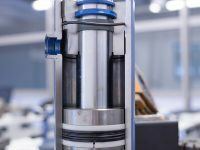 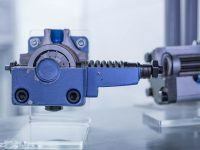 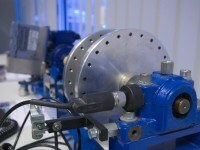 Today, the application of electric motors extends well beyond the simple powering machinery. 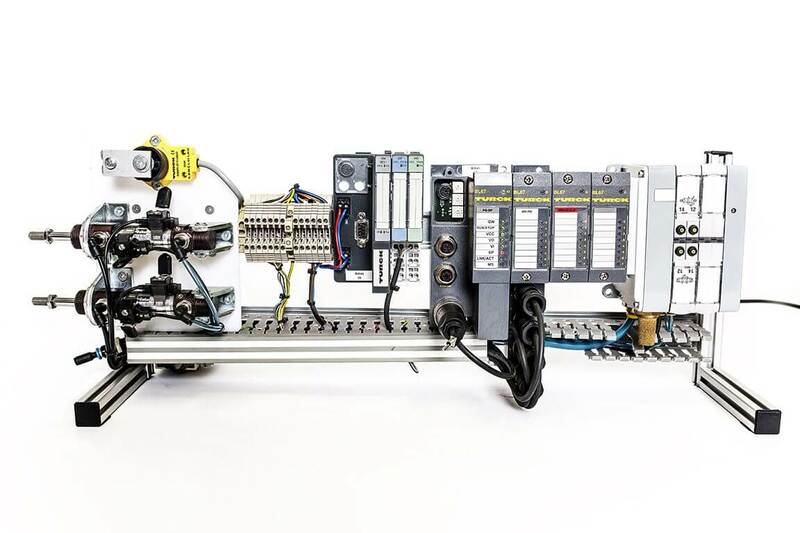 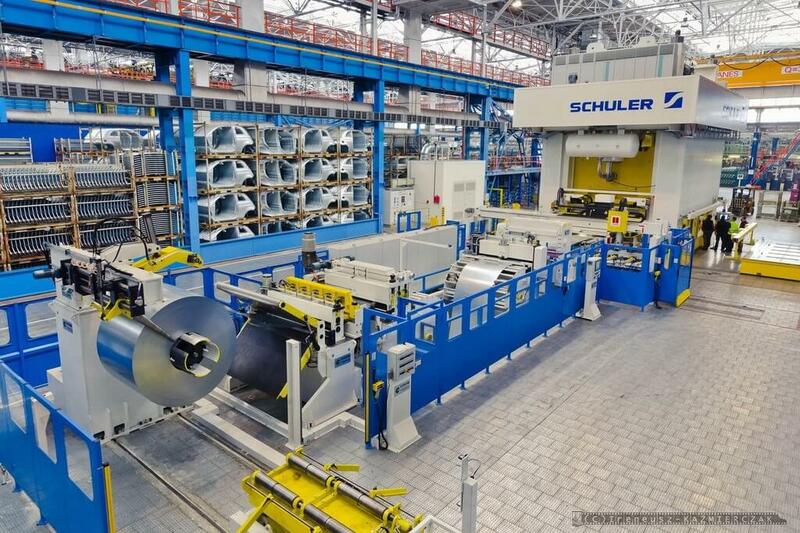 What really counts nowadays is flexibility, controllability, often with no additional machinery (PLC, for instance). 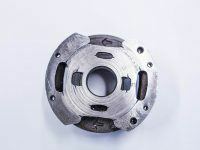 It is extremely important to consider the optimization of energy consumption during the nominal working cycle of the machine or device, as well as energy recovery to the grid at the moment of machine’s braking. 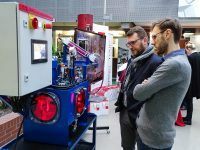 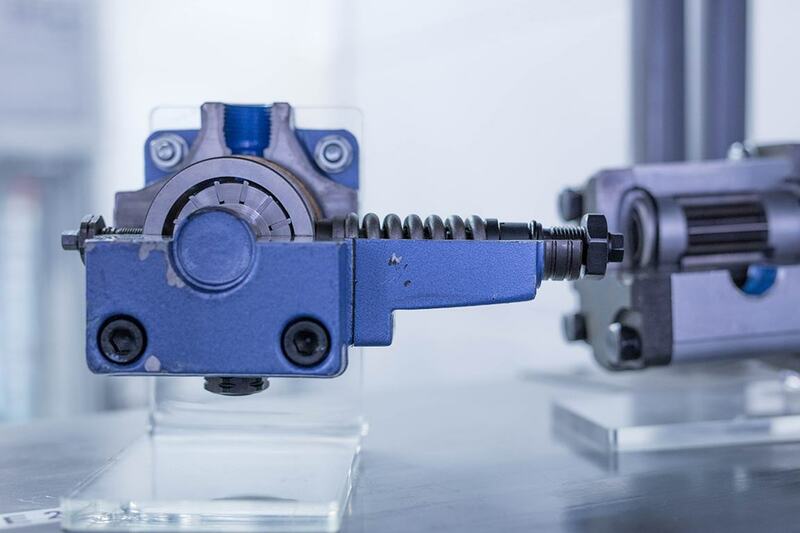 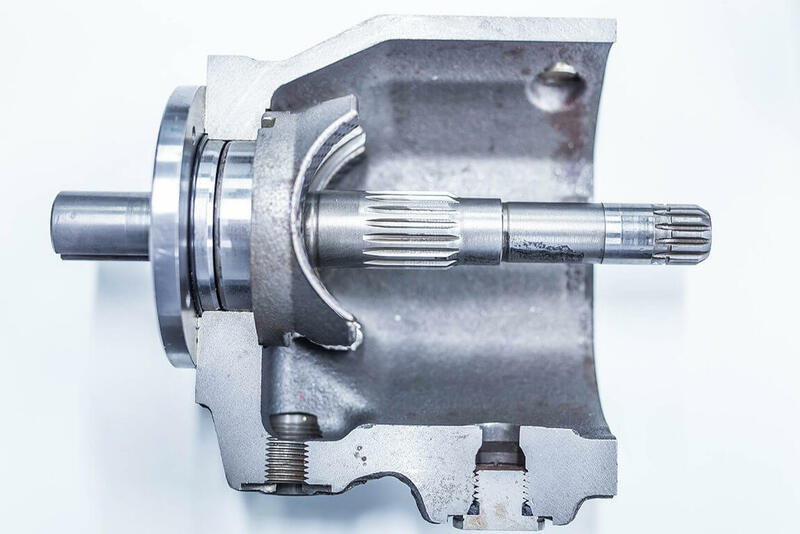 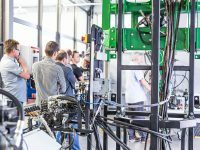 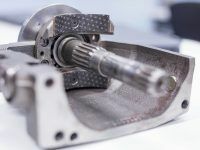 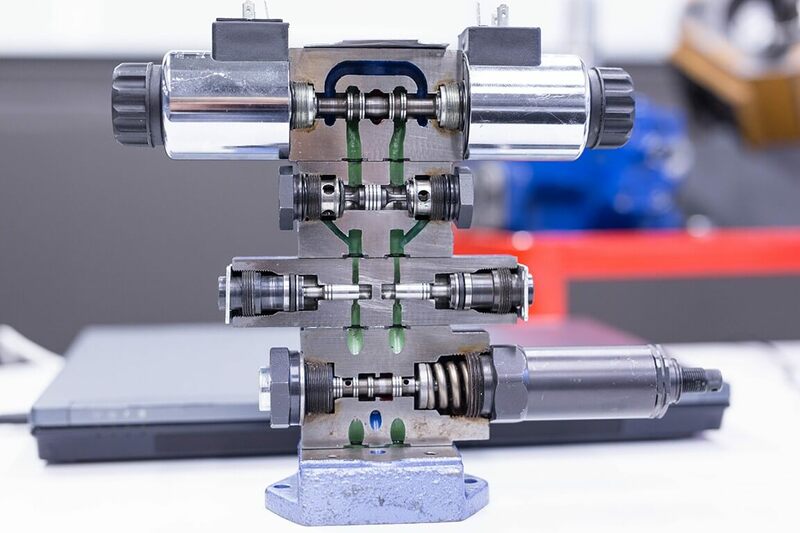 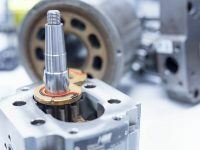 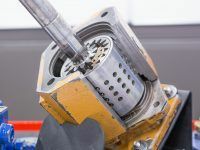 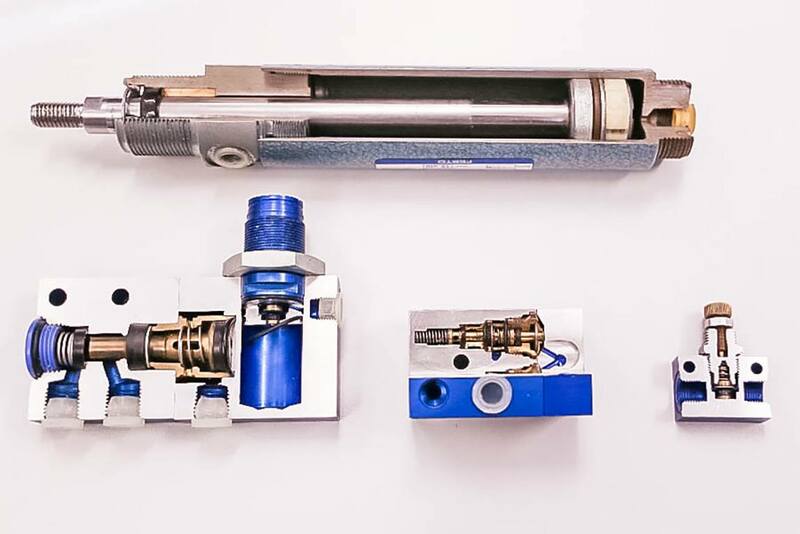 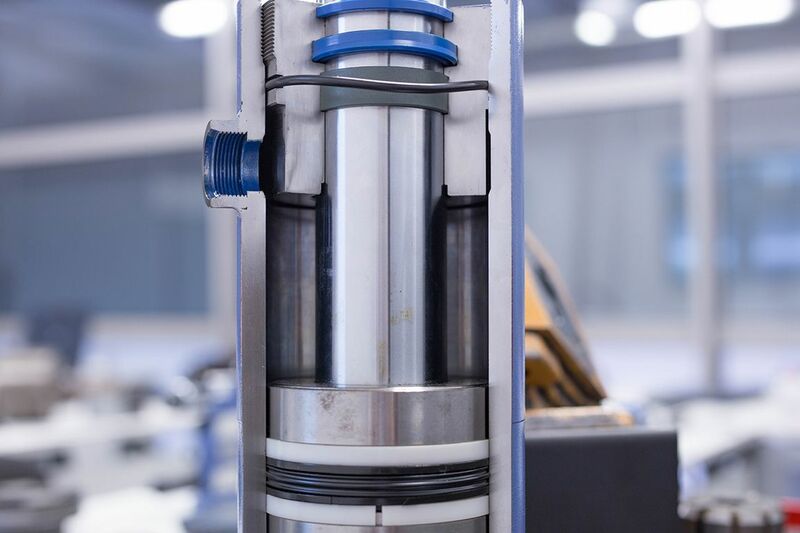 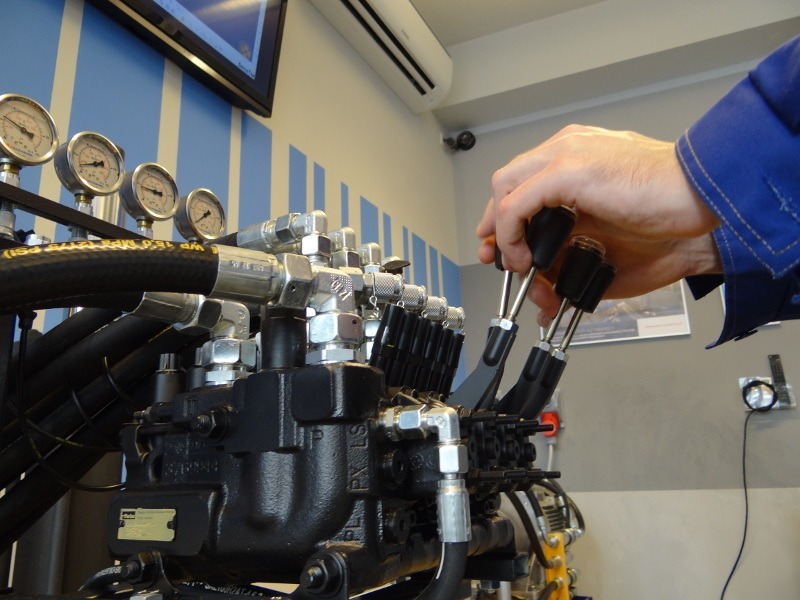 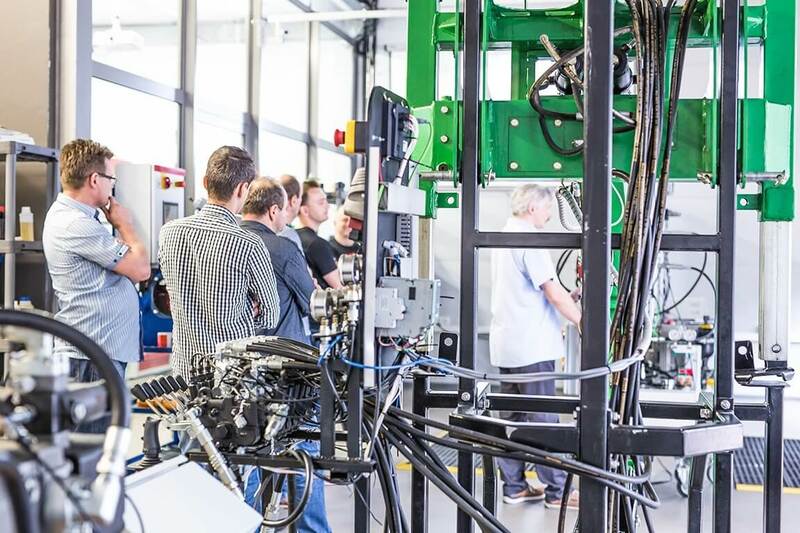 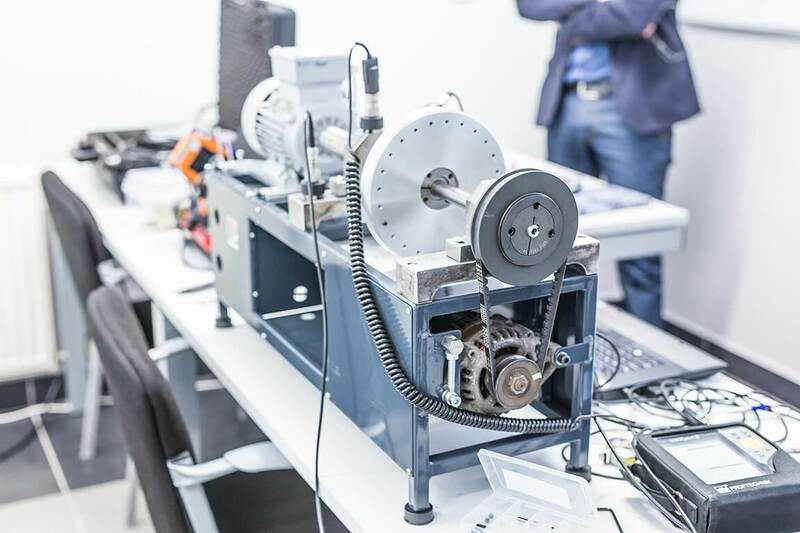 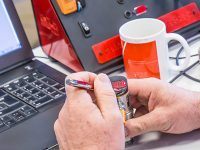 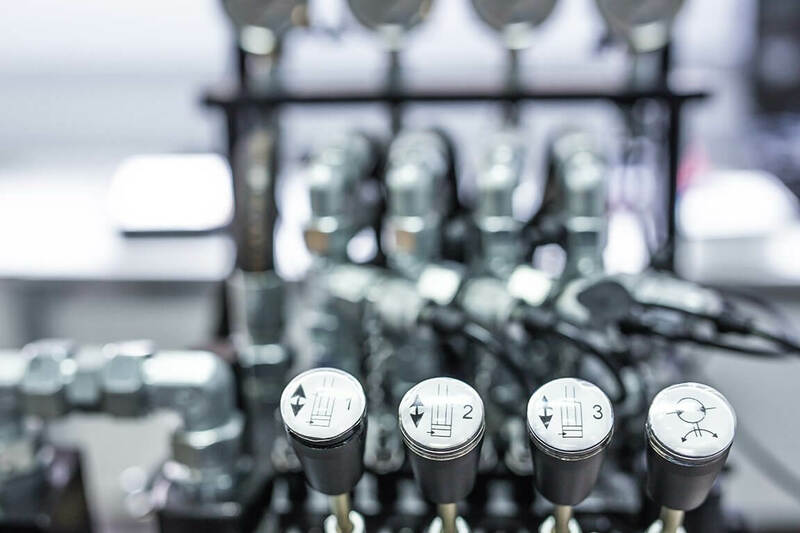 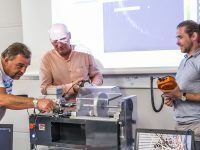 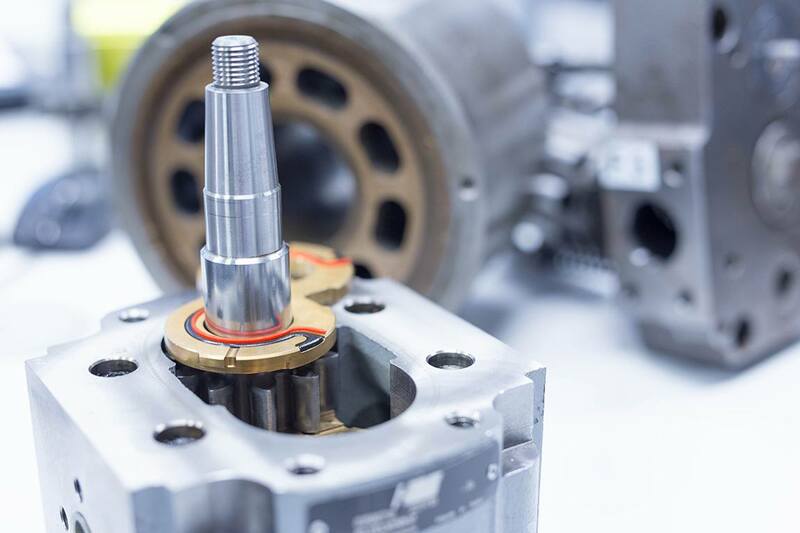 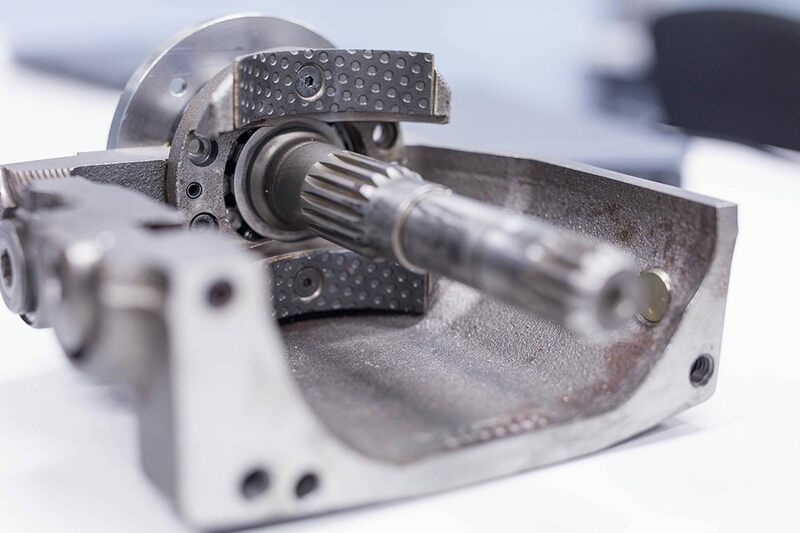 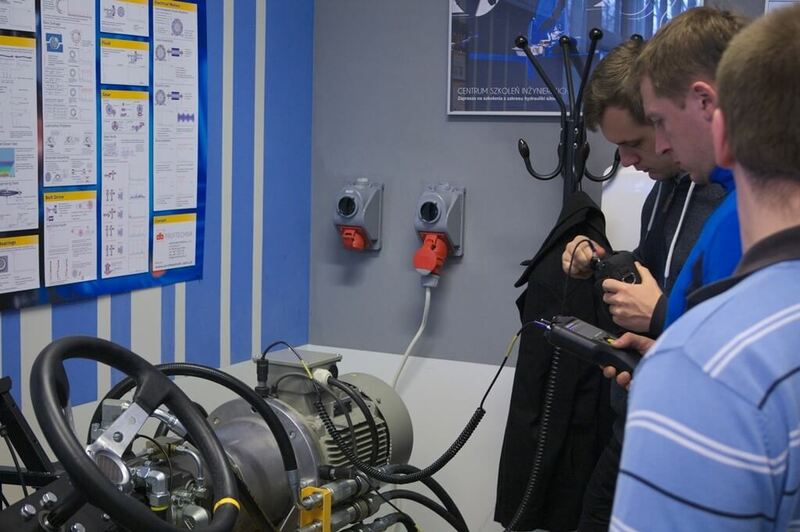 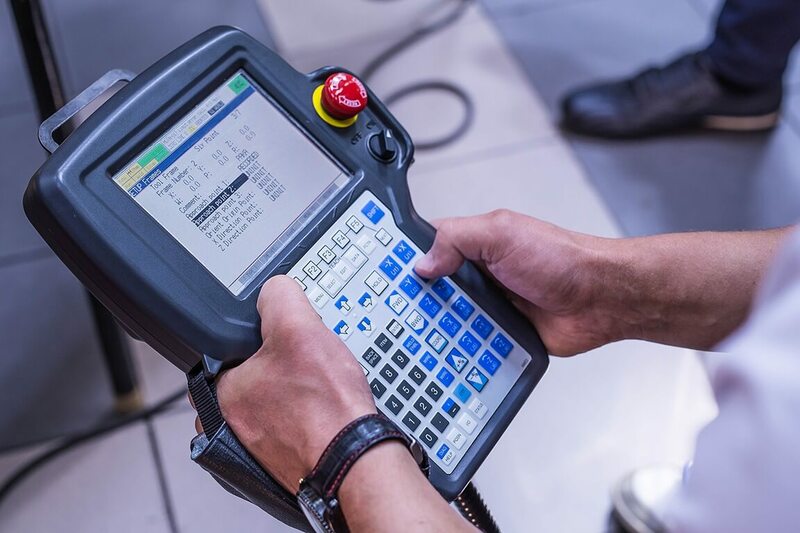 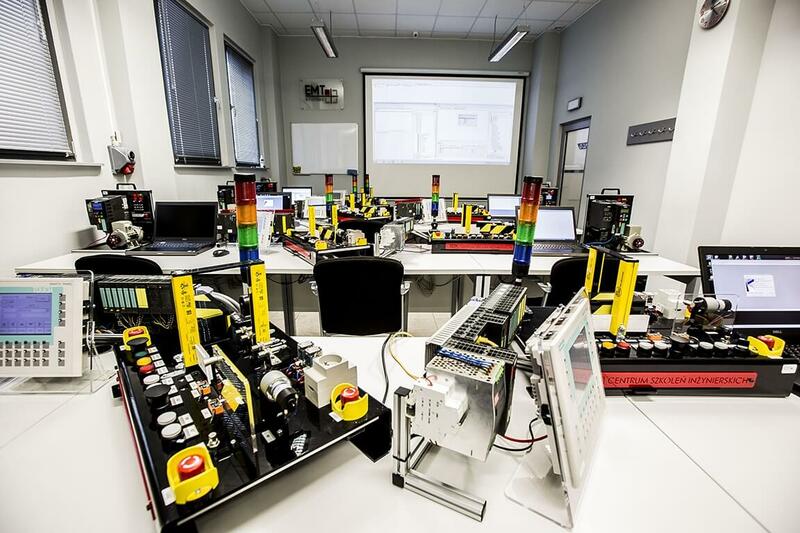 Our training courses in drive systems focus on all the essential matters – from the selection of devices to be used in the drive systems, through their launching and diagnostics, to optimization and economy-related problems. 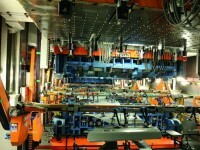 Training rooms and laboratories designed to learn about plastics are large, spacious and air-conditioned. 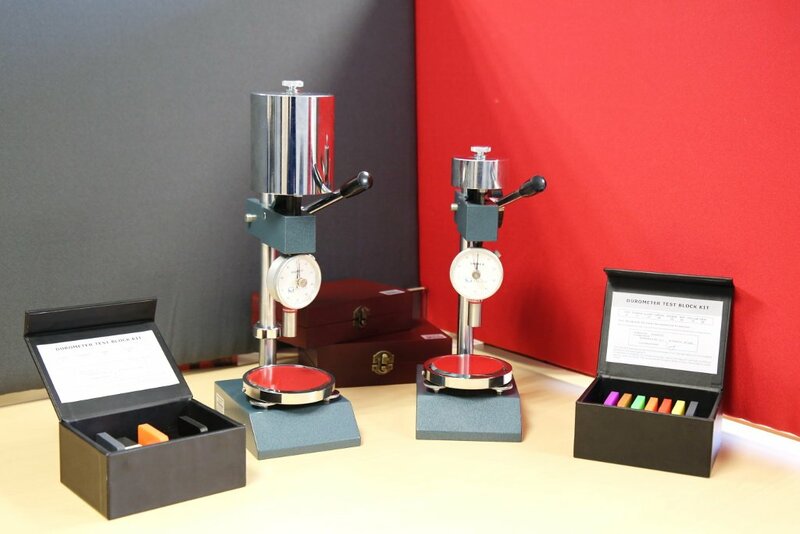 The stations for students feature all necessary specialist equipment. 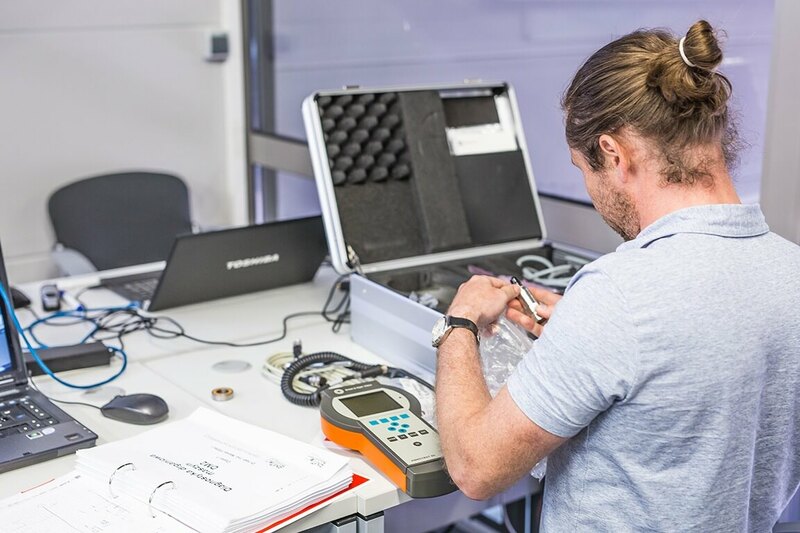 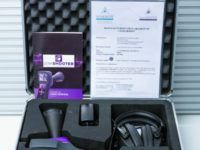 Each participant has at their disposal a PC with simulation software, the latest product catalogues and full access to specialist laboratory equipment. 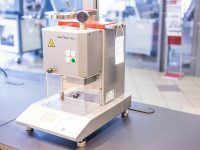 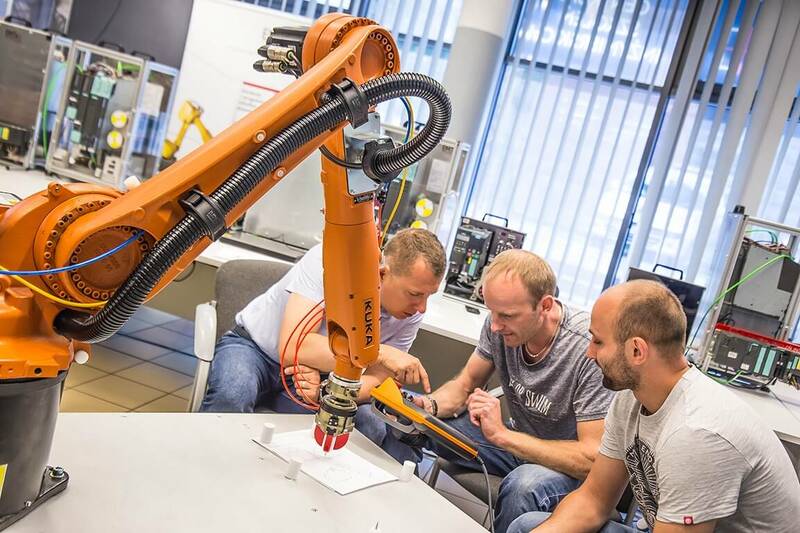 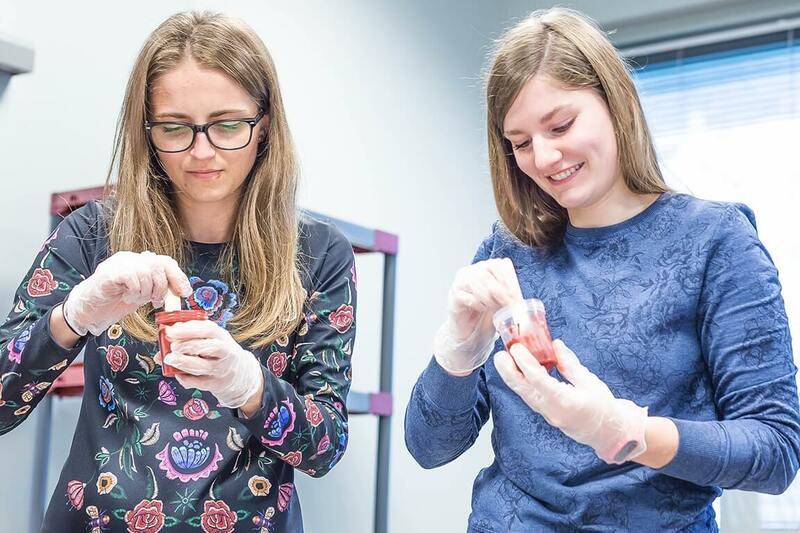 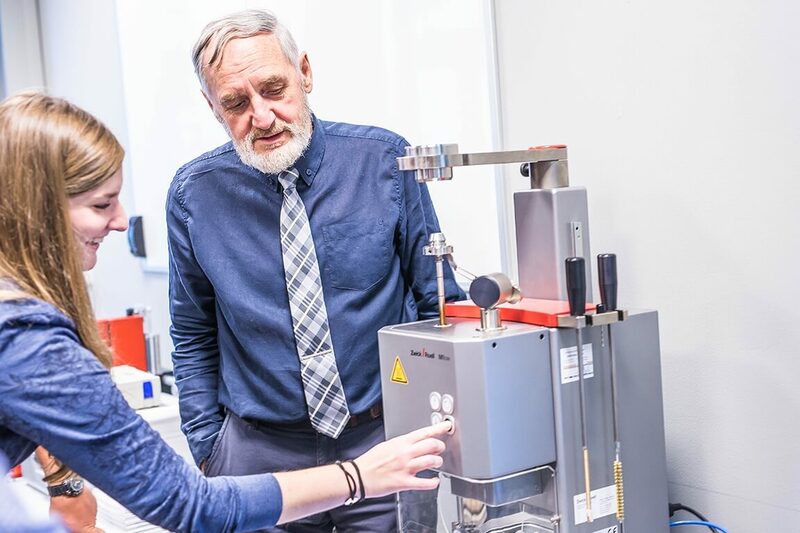 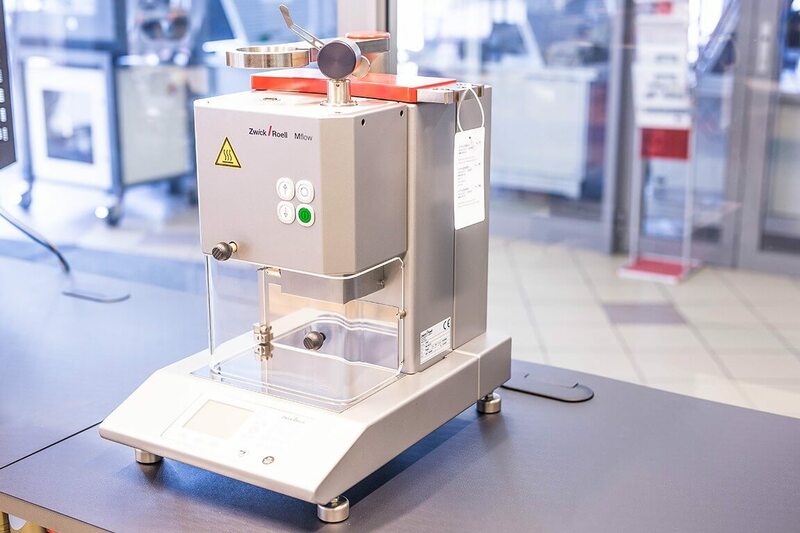 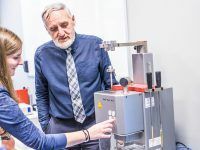 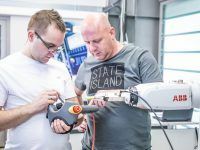 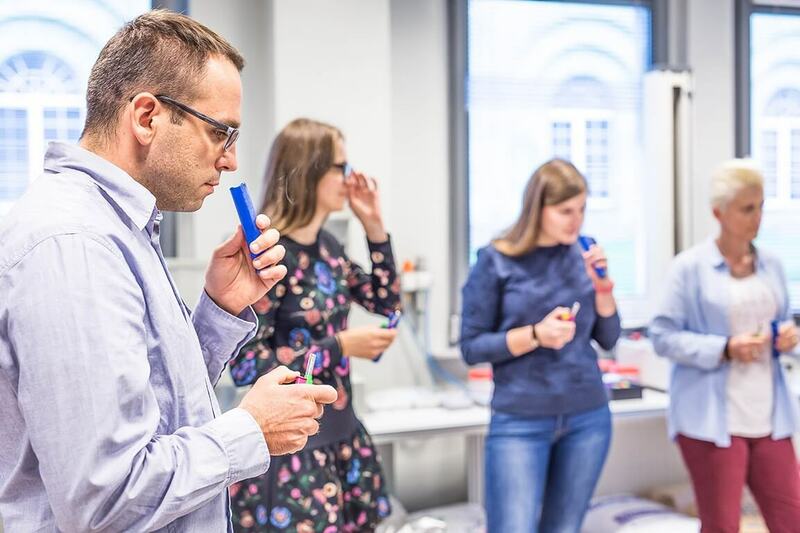 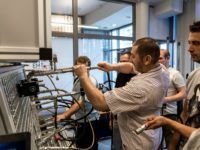 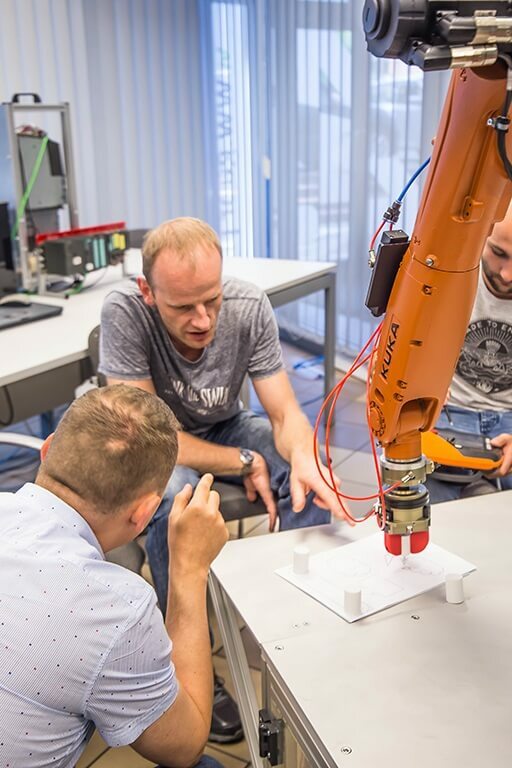 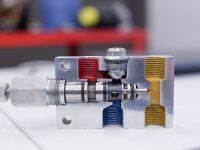 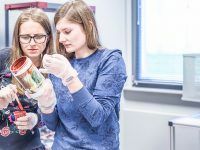 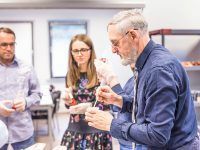 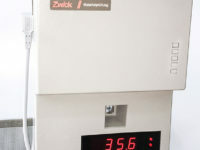 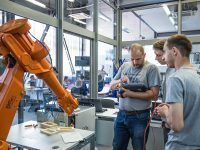 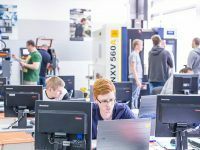 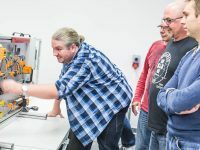 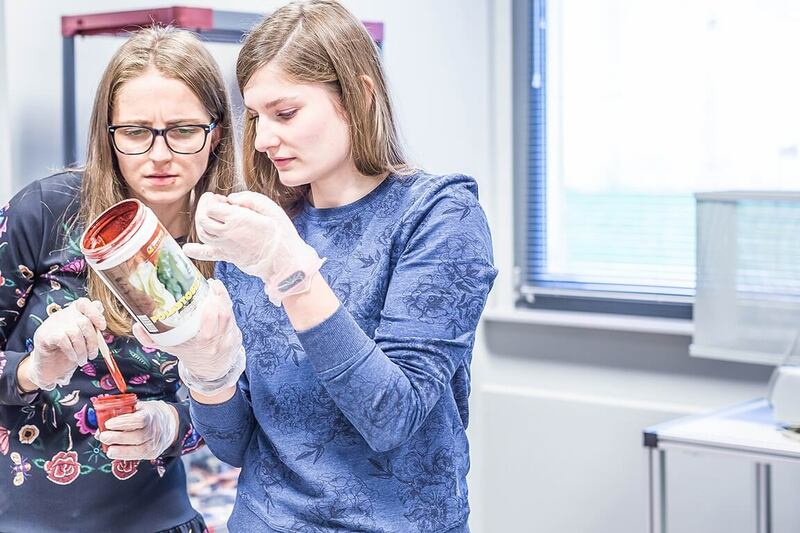 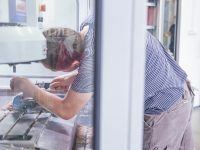 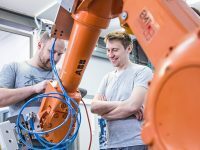 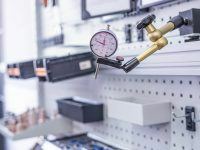 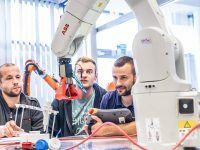 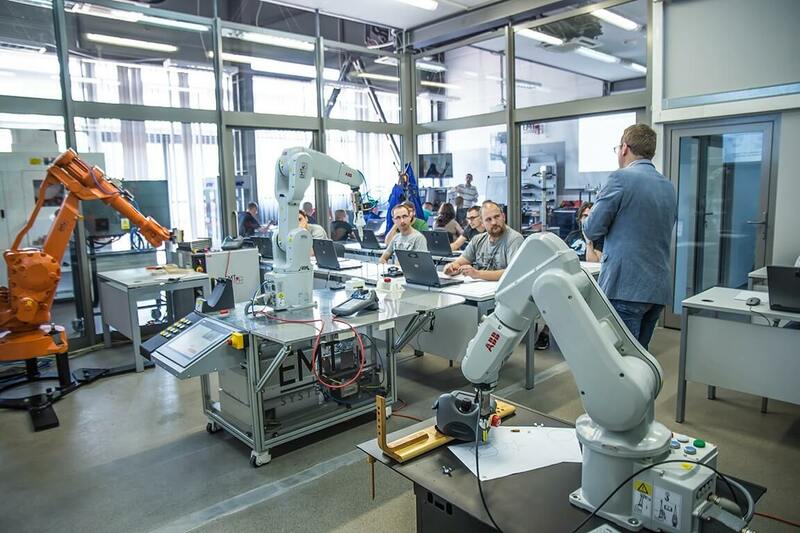 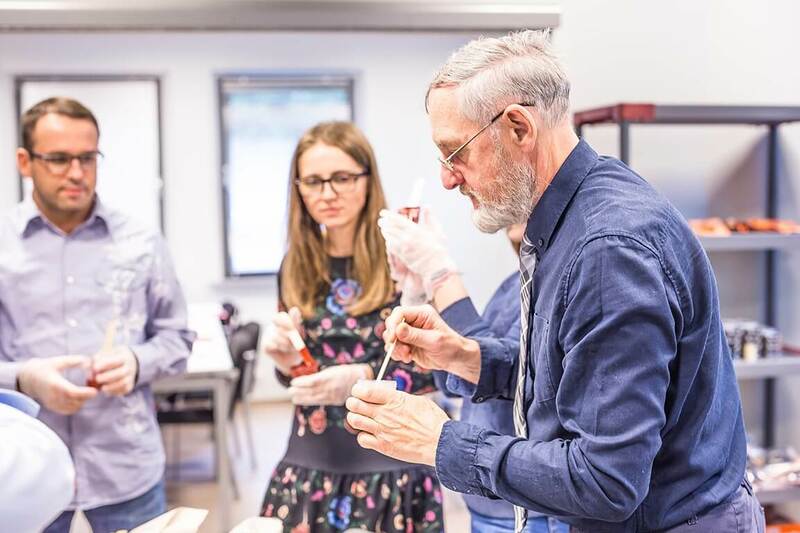 Our training laboratories enable the students to use industrial laboratory equipment and components provided by leading manufacturers – ZWICK/ROELL, Meusburger, IGUS. 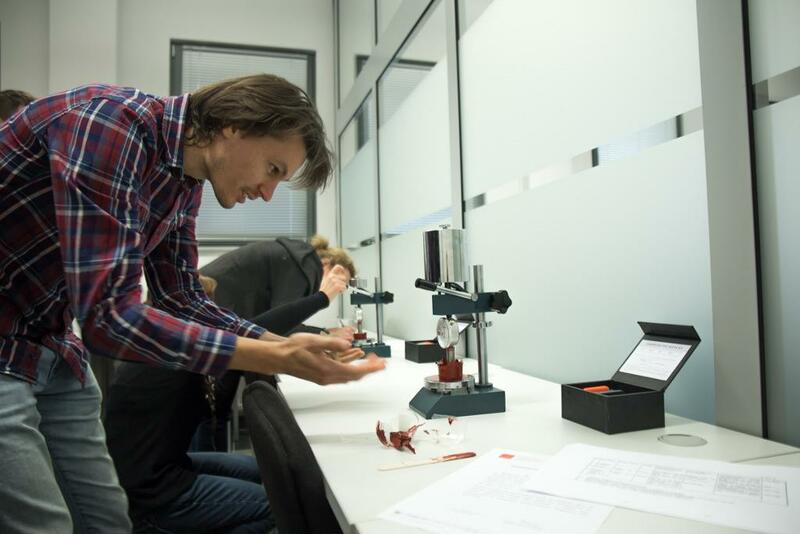 During classes, students do many practical exercises using diversified training and laboratory workstations. 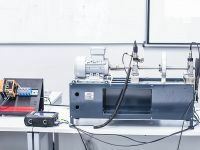 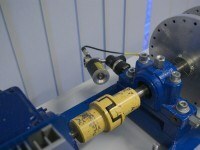 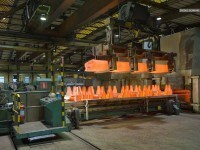 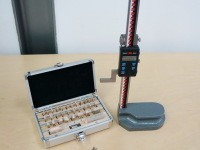 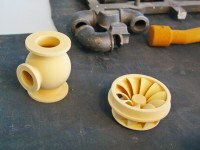 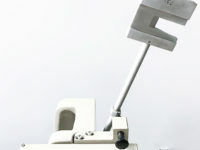 A device is used to test the impact strength of plastics. 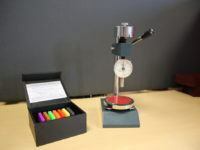 a classic drop weight testers function on the principle of a linear fall movement. 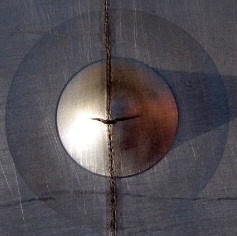 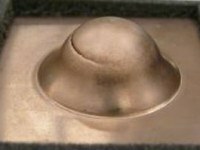 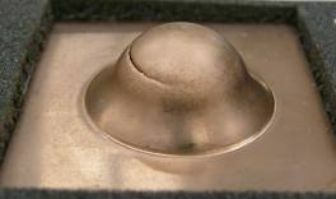 A mass with an impact object is released from a height that is usually defined. 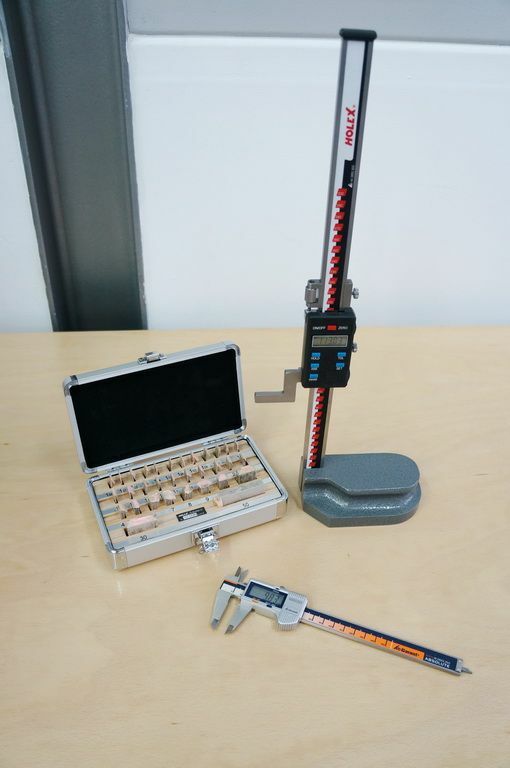 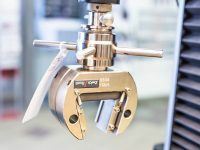 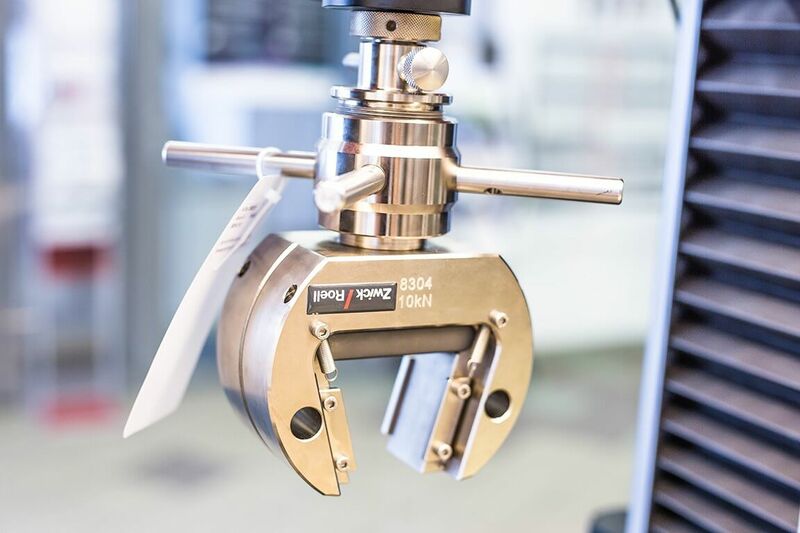 Since no other measurement follows specimen penetration, these simple drop weight testers are used for go/no go analysis with the staircase method or in around-the-clock method. 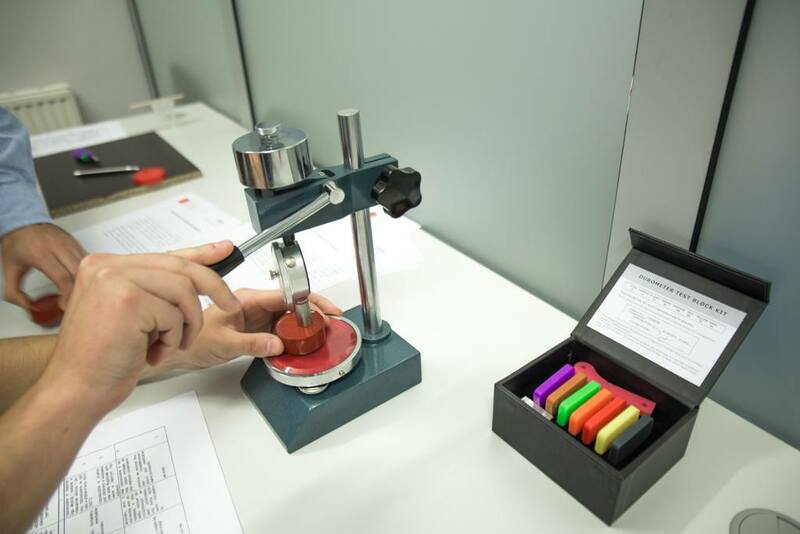 During our training courses, we use analog hardness testers with tripods for Shore A and D durometers and sets of 3 rubber durometer scales of Shore A and D.
During practical part of the training course in plastics each participant receives a set of samples and a list of plastics to identify. 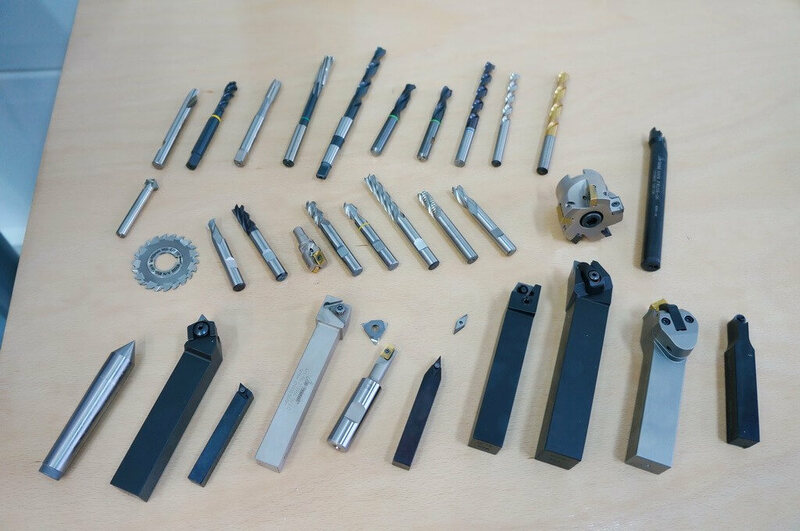 Plastics that we use for the identification purposes are: PE, PP-R, CPVC, PP, PVC, PCV, ABS, PC, PCV SP, PMA, PMMA, PET, PE, high-density PE, PA, POM, PTFE, POM-C, PEEK, PETP, PU. 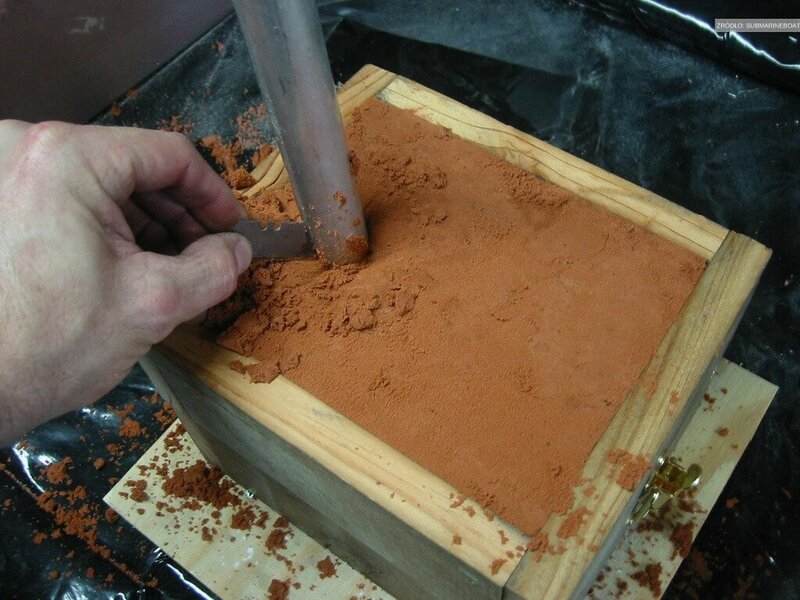 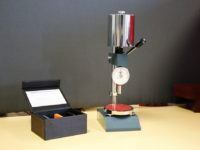 The participants, with no assistance, prepare samples for tests, for instance using Shore durometers. 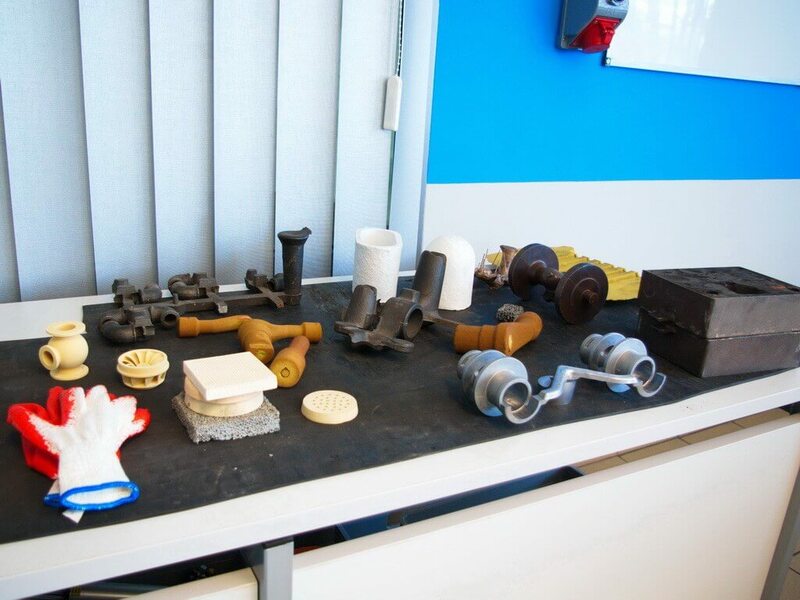 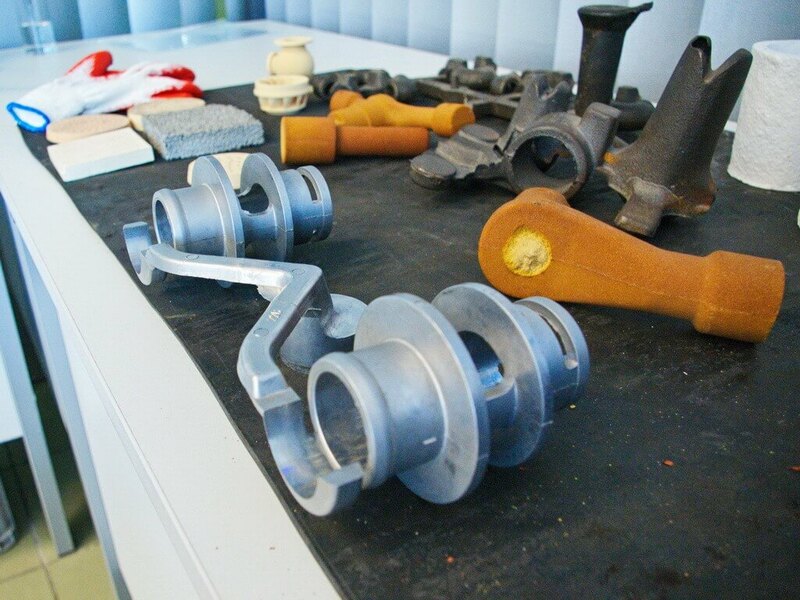 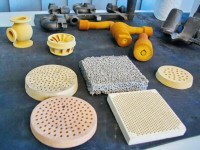 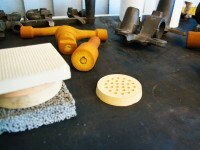 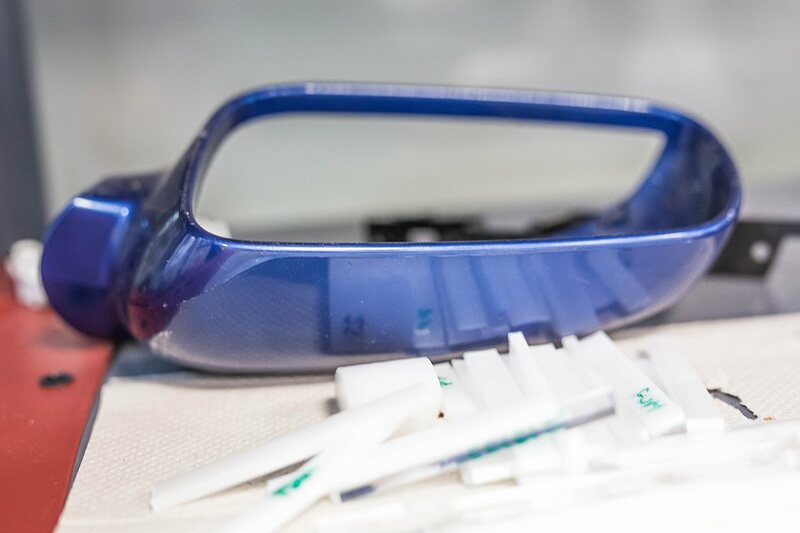 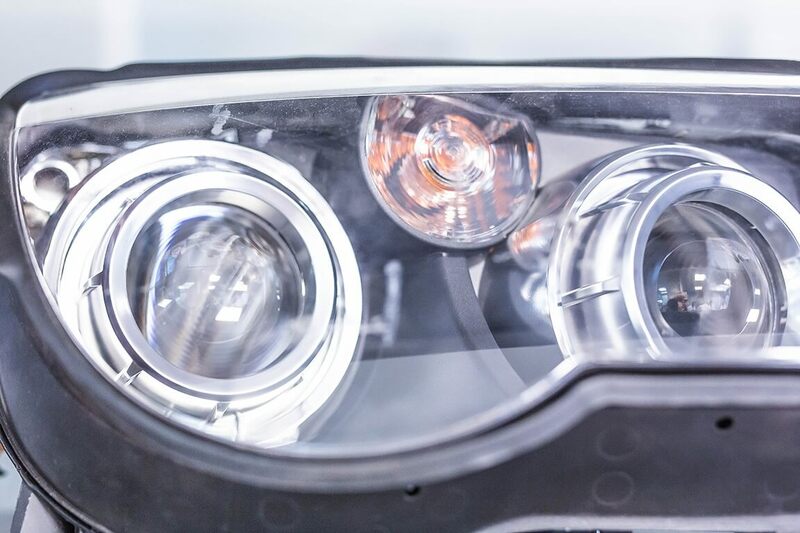 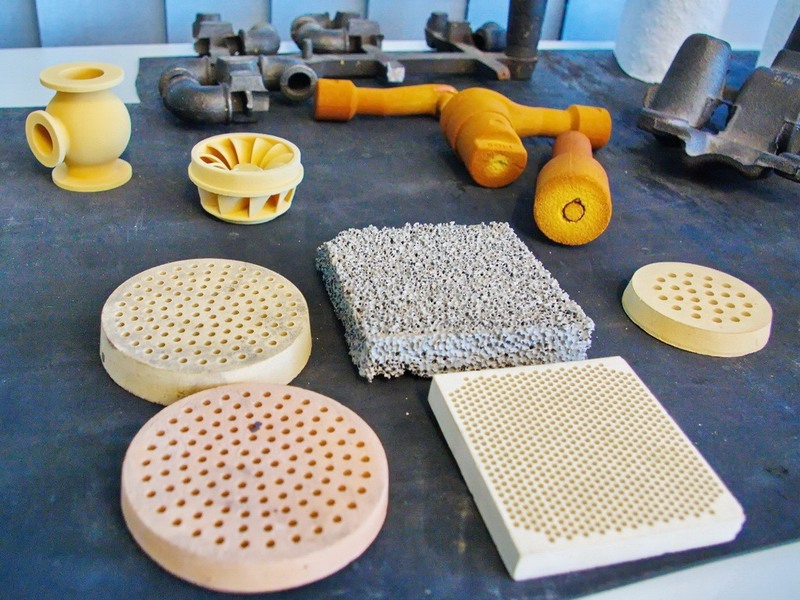 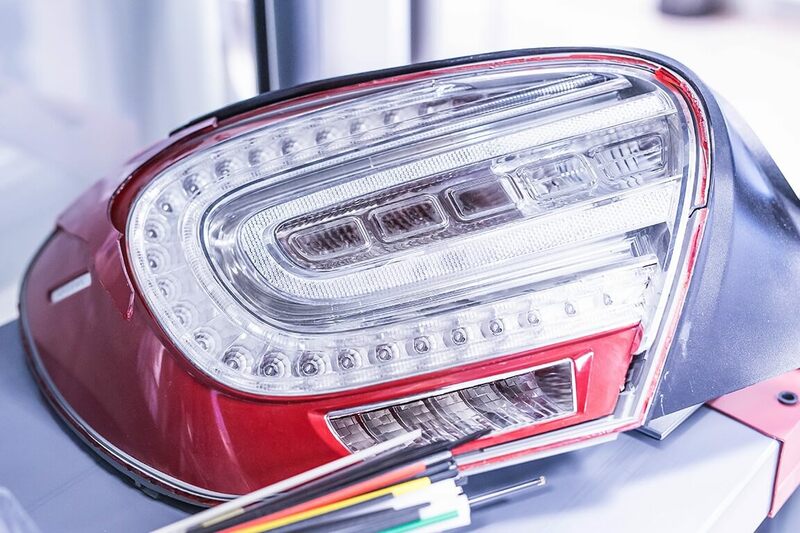 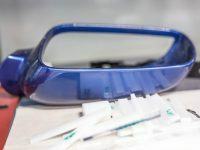 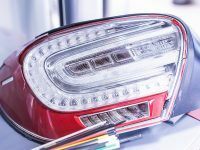 The laboratory is also equipped with a variety of ready products made of plastics – elements of car upholstery, cases, bearings made of plastics, industrial joints, car light. 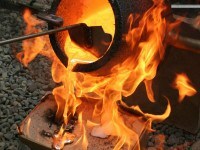 Elements are used to present exemplary work or defects. 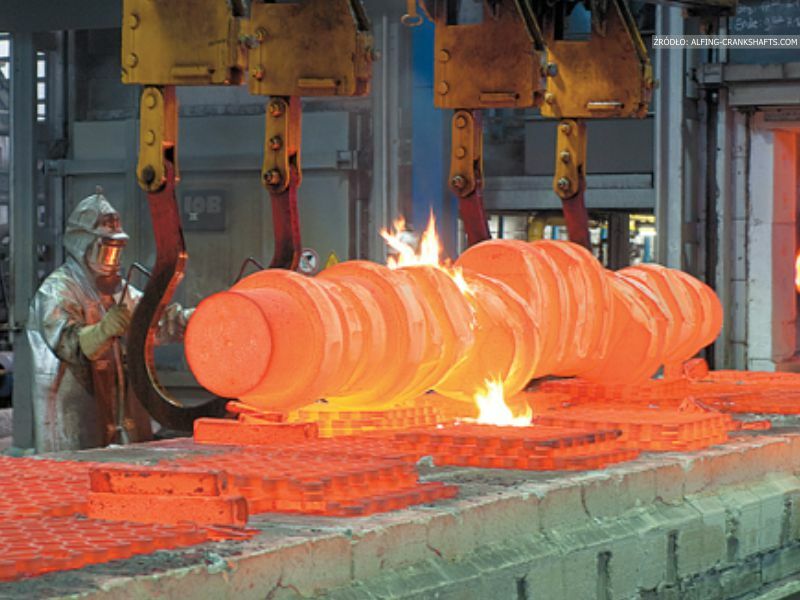 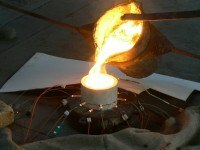 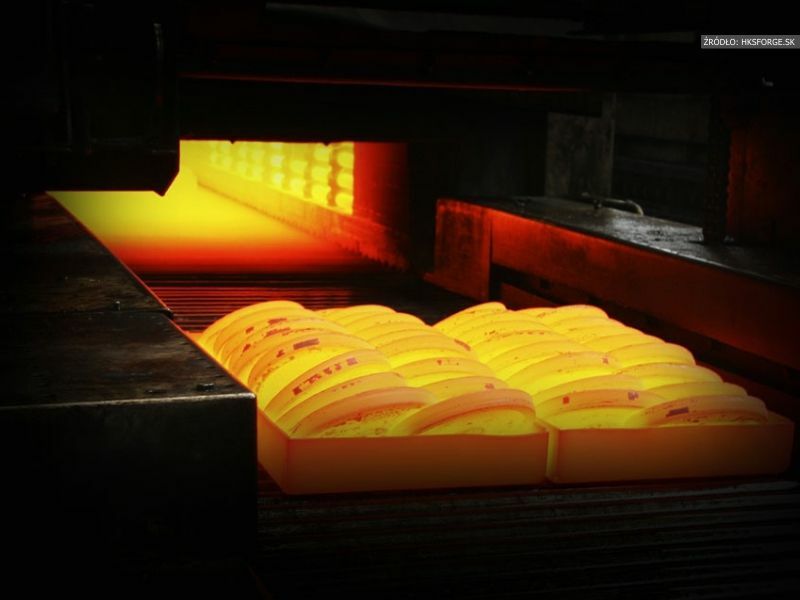 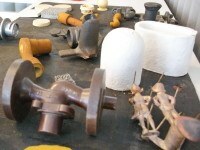 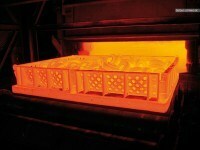 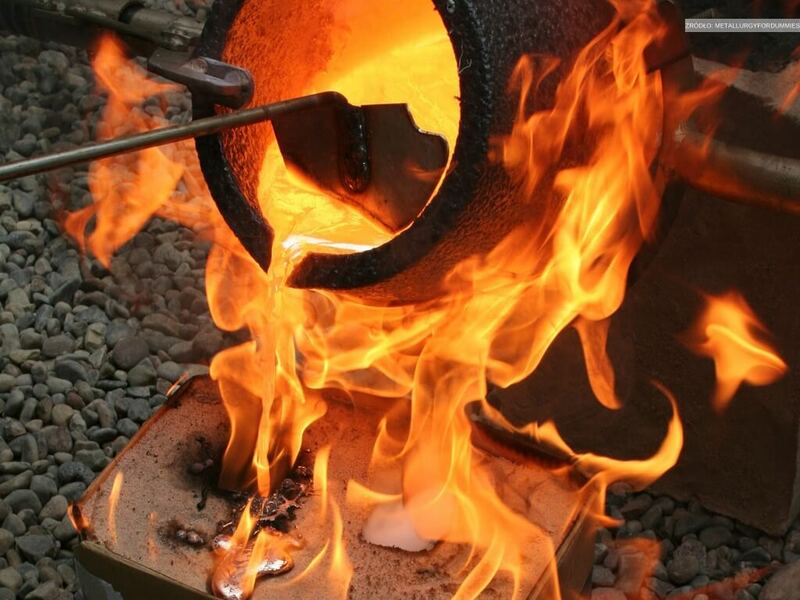 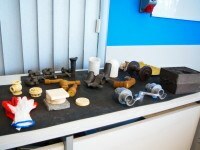 Trainings can be conducted at client‘s premises (foundry) or in EMT-Systems training rooms. 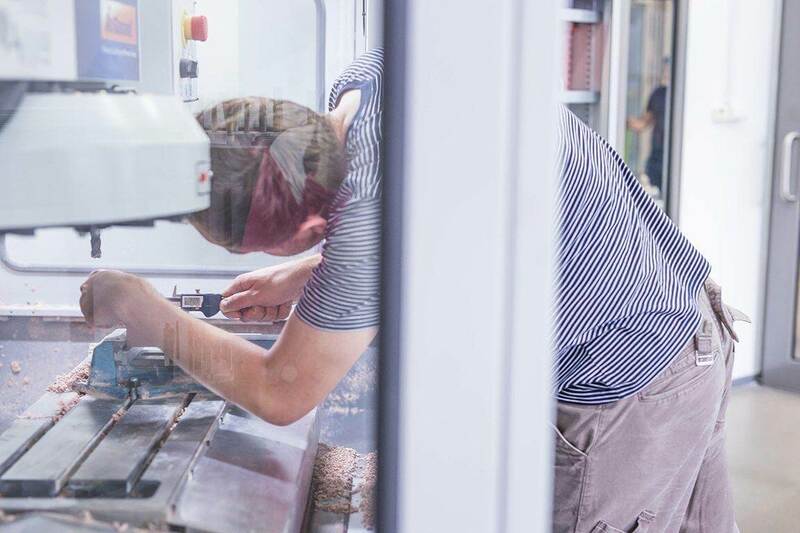 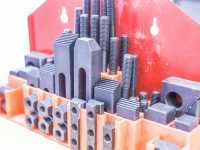 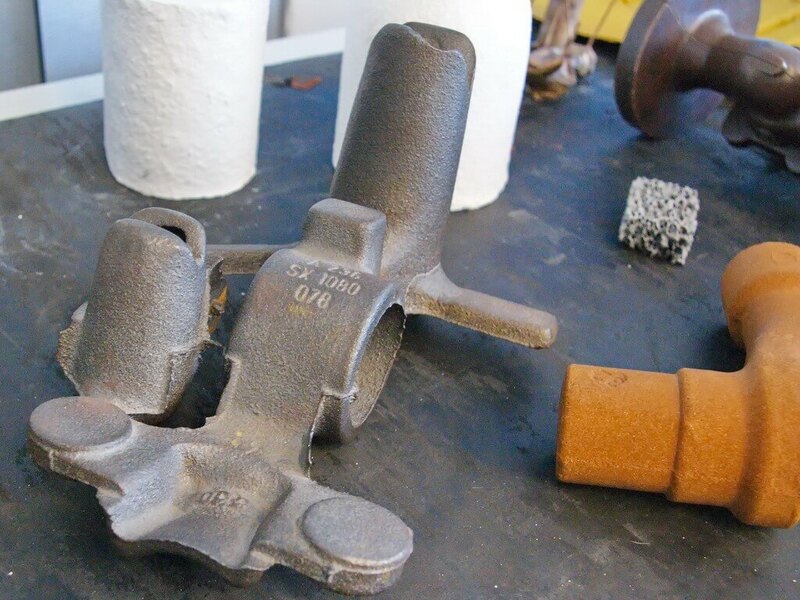 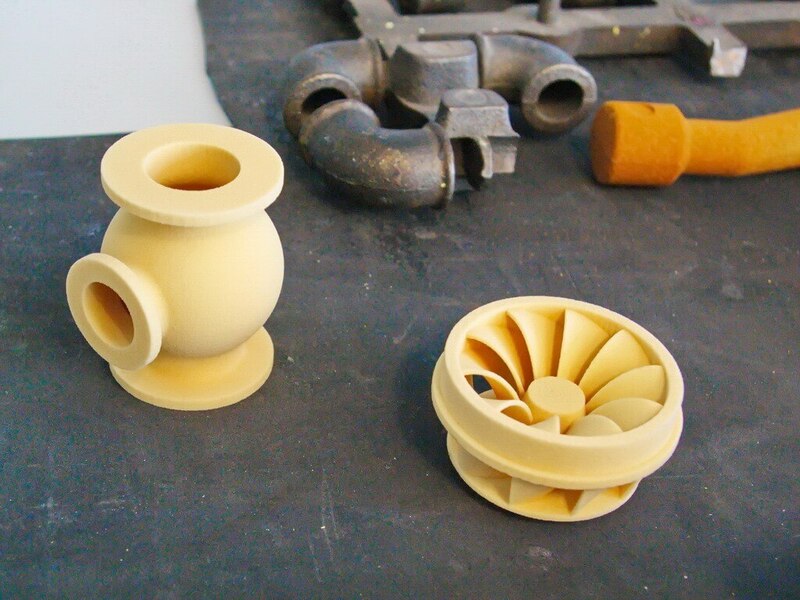 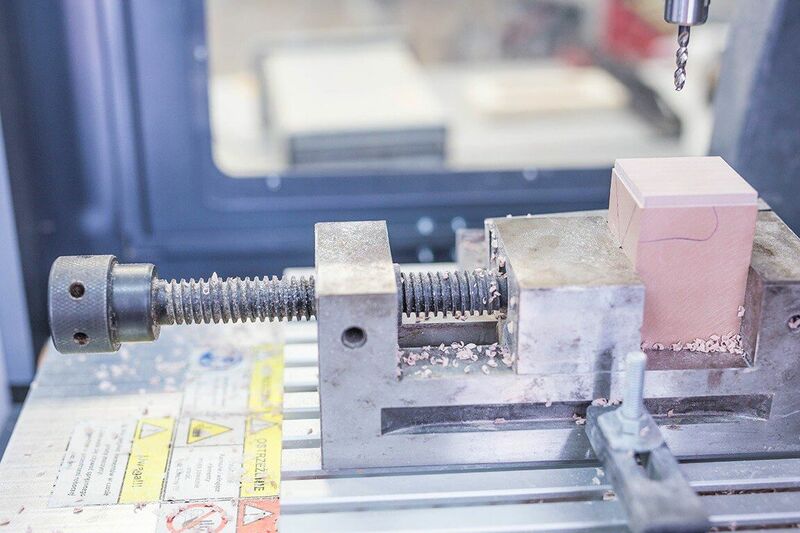 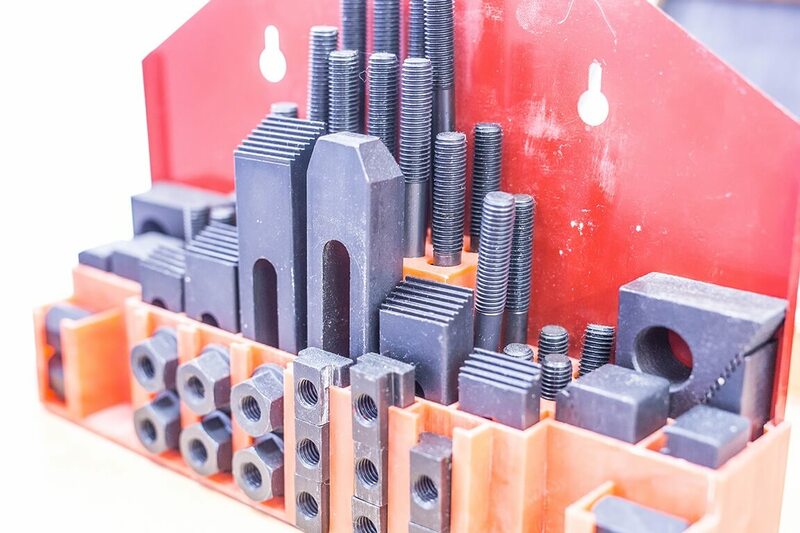 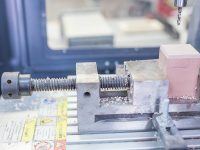 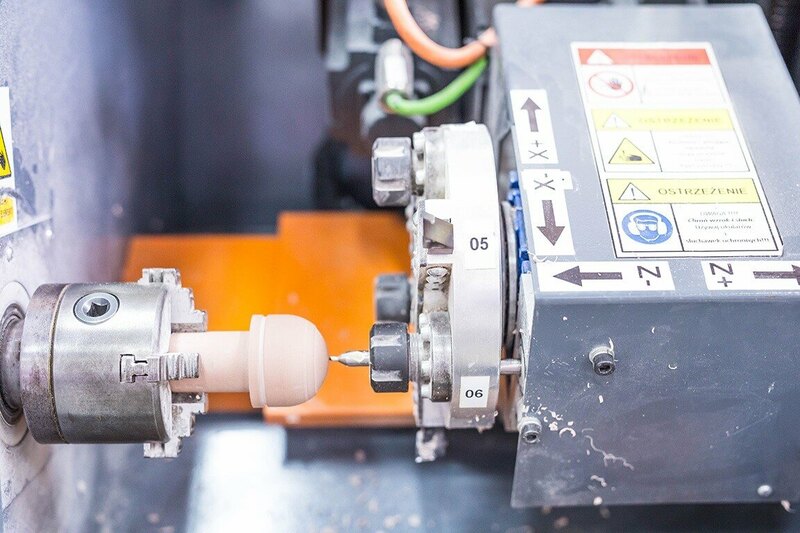 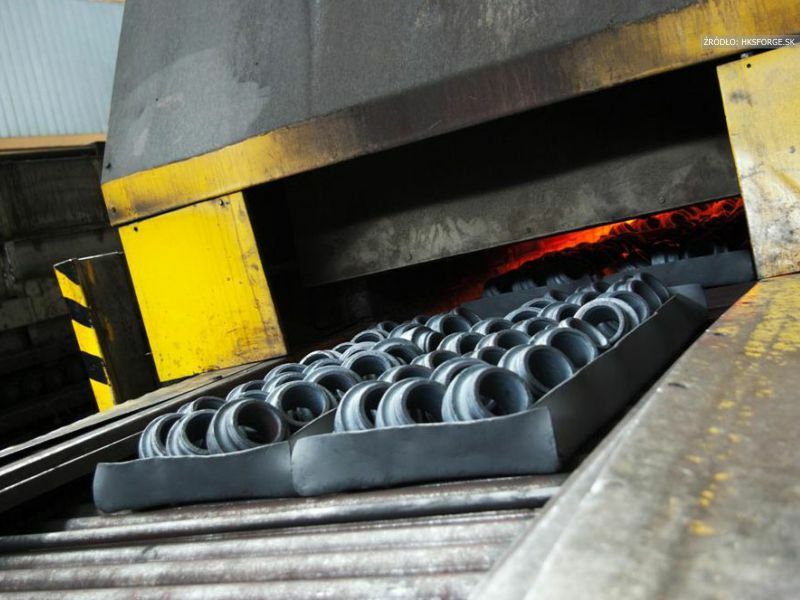 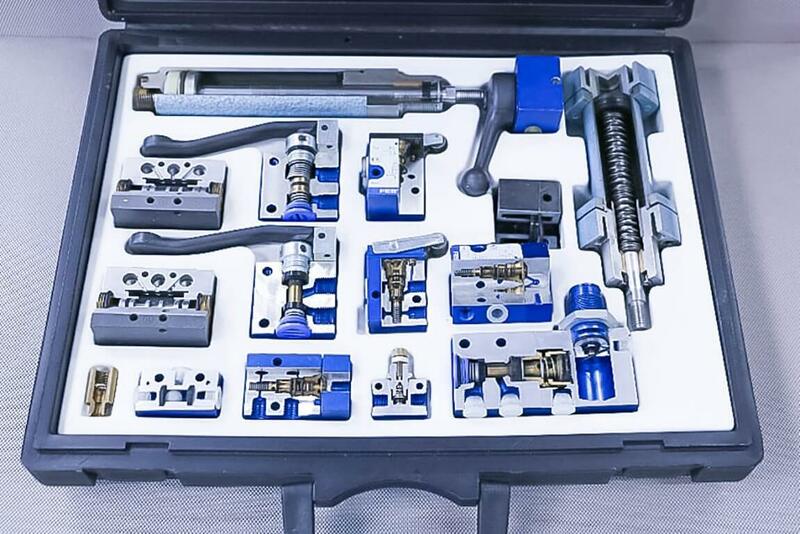 In this case, some classes take place in laboratories of our partner school, equipped with all tools and materials necessary to practice the forming process and to examine molding material properties. 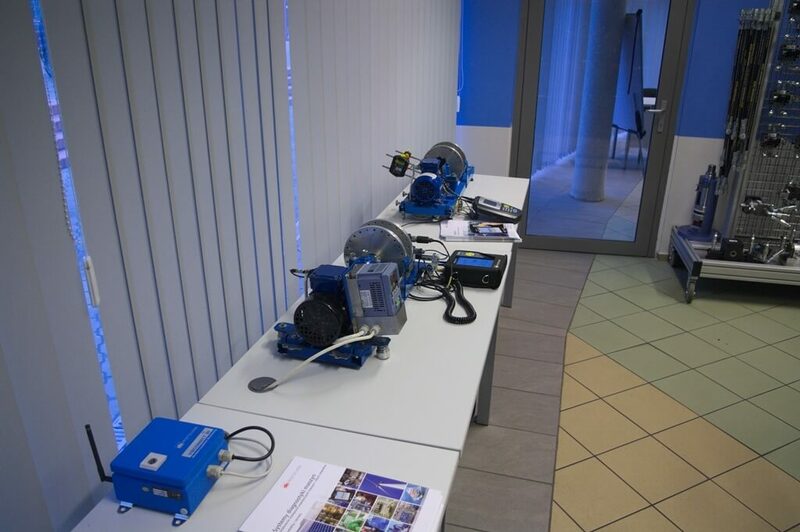 Participants of the courses have at their disposal equipment and machines available in a given workplace. 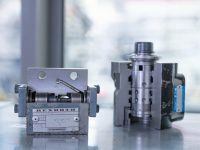 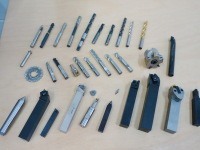 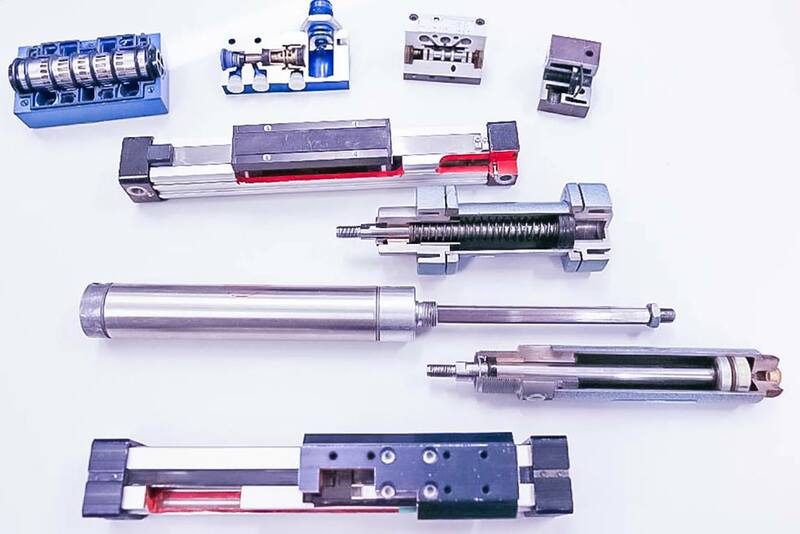 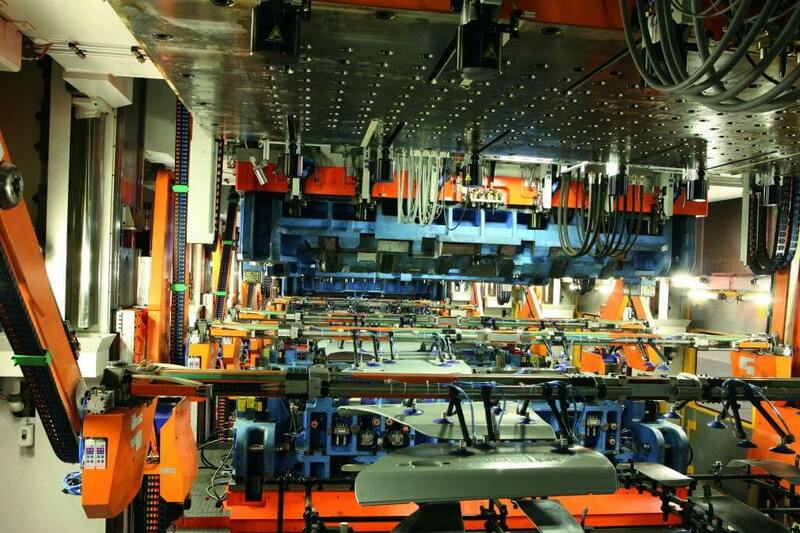 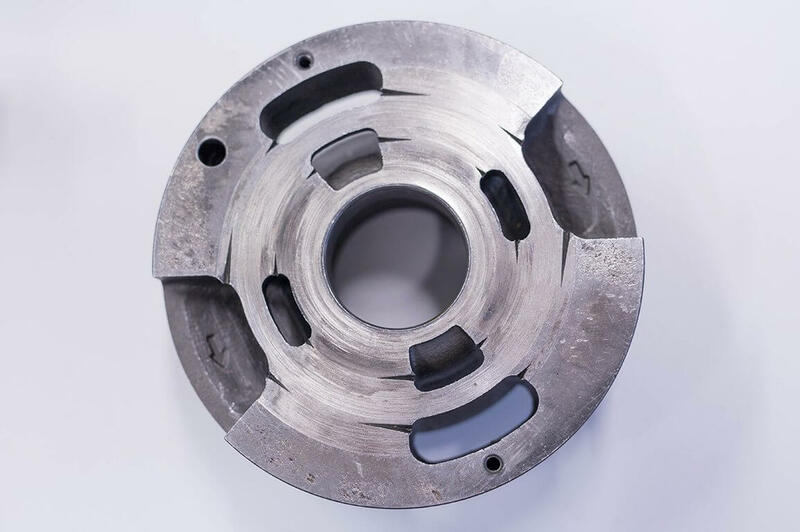 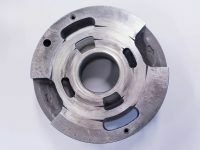 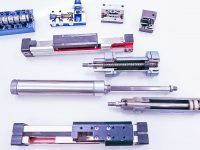 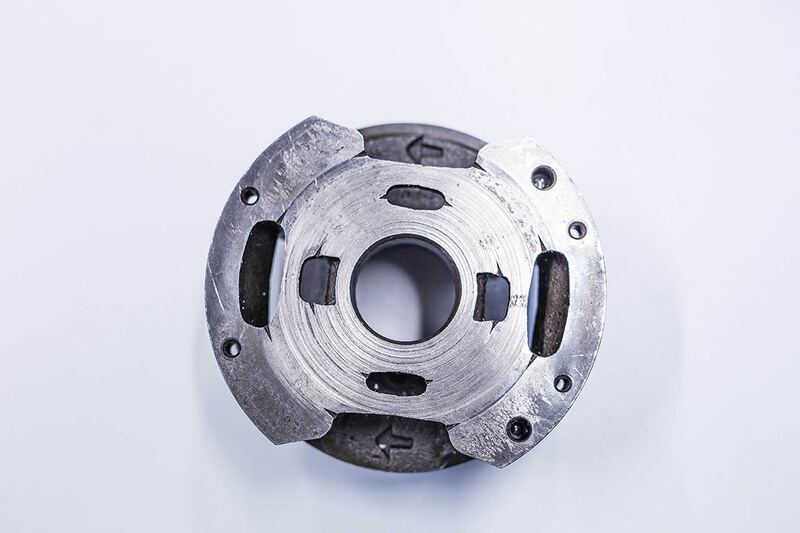 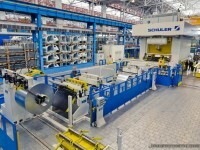 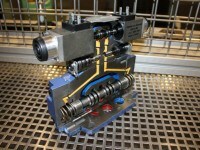 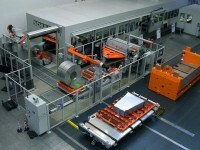 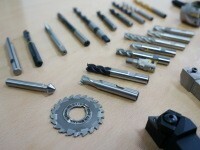 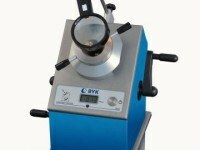 We can also use the documentation provided by the Client – presses, extrusion dies. 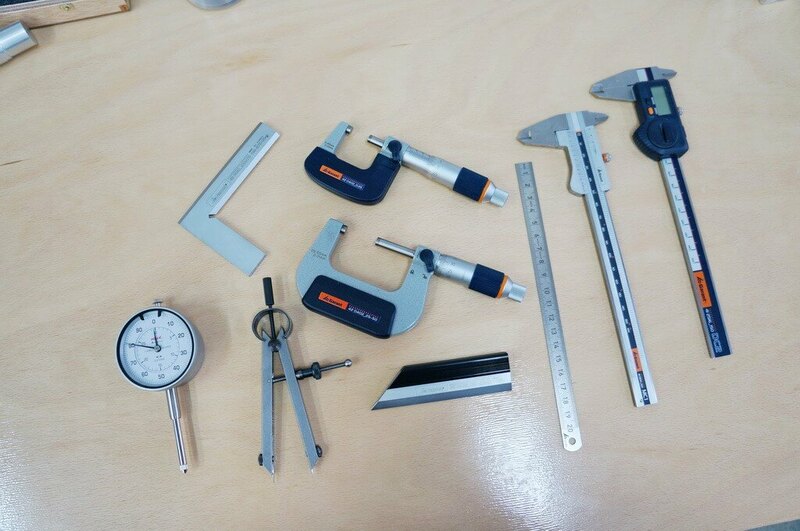 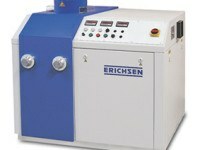 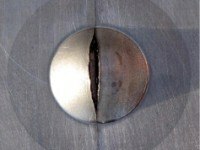 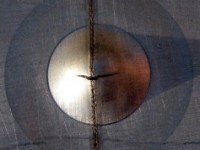 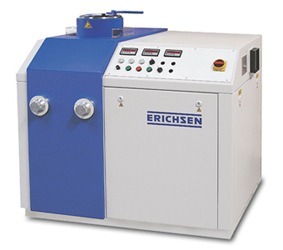 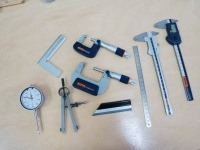 We can also use client’s laboratories to perform sheet metal formability test using Erichsen method.